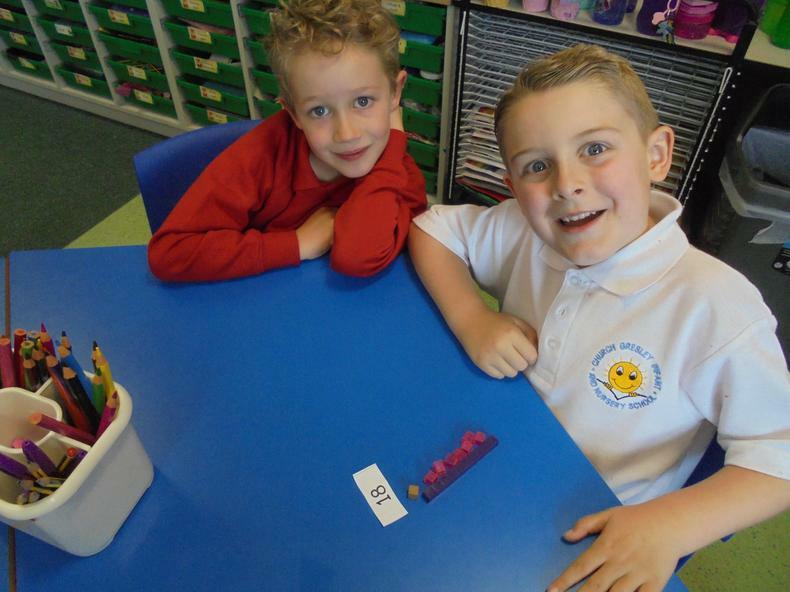 Welcome to Class 7, we are the Terrific Tigers! 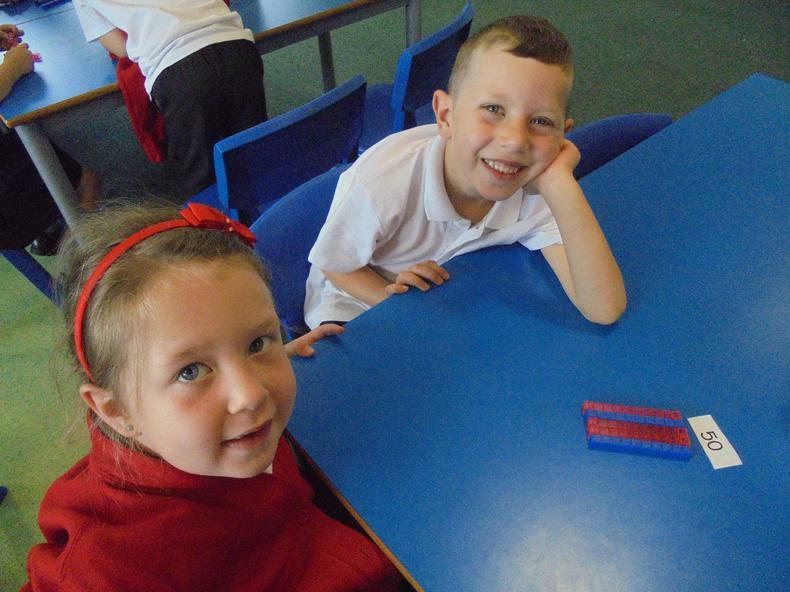 Our teacher is Mrs Yates and our teaching assistant is Mrs Palmer. 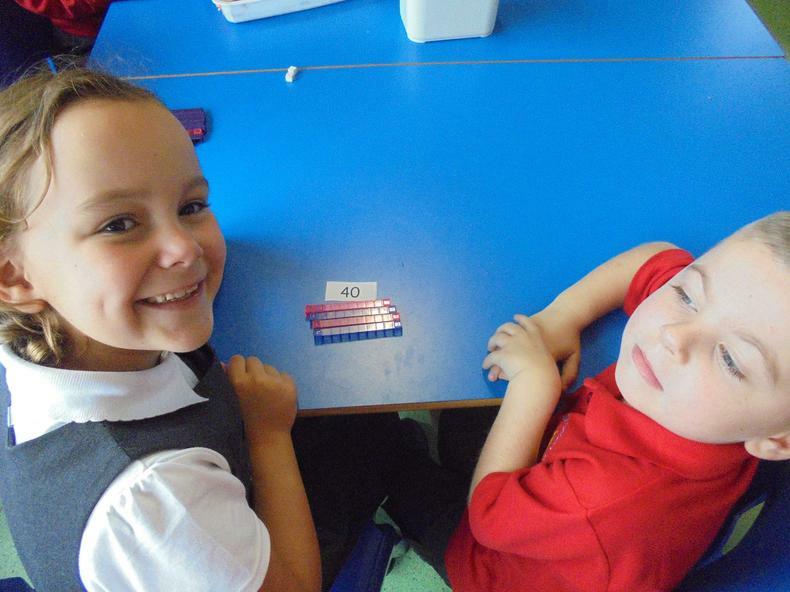 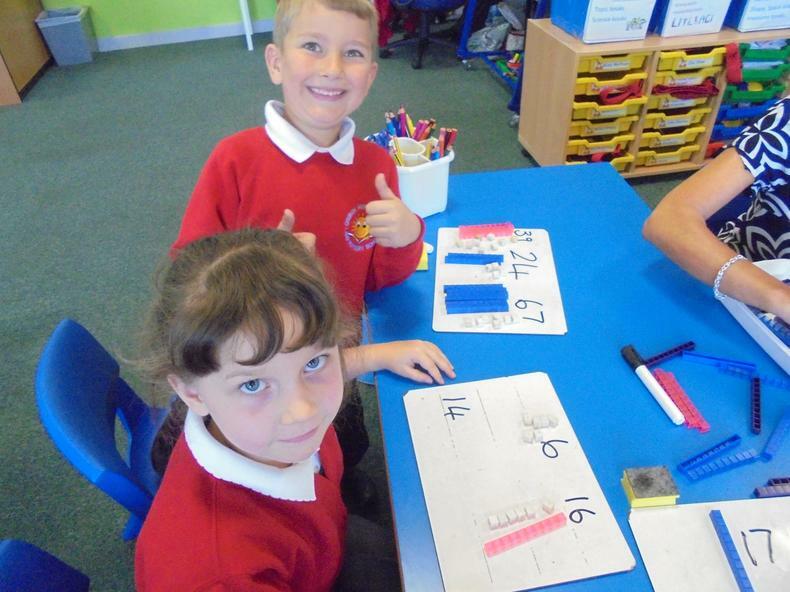 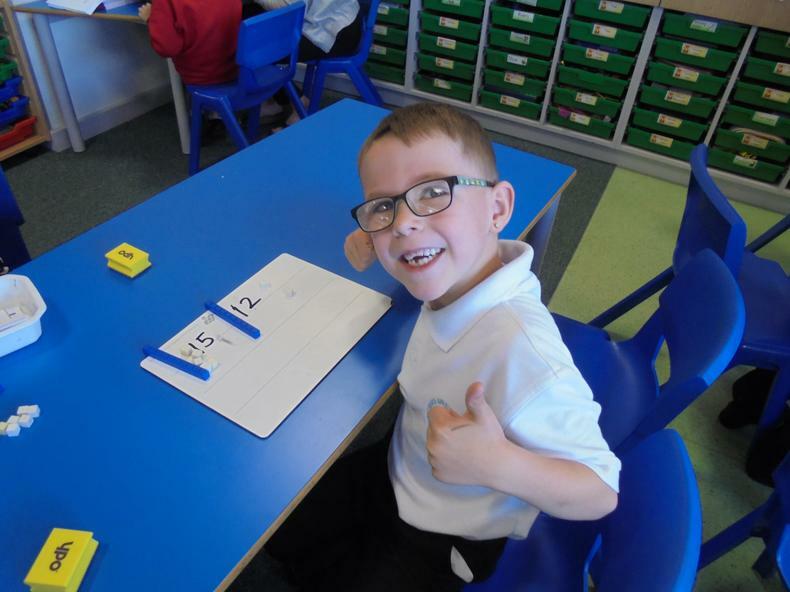 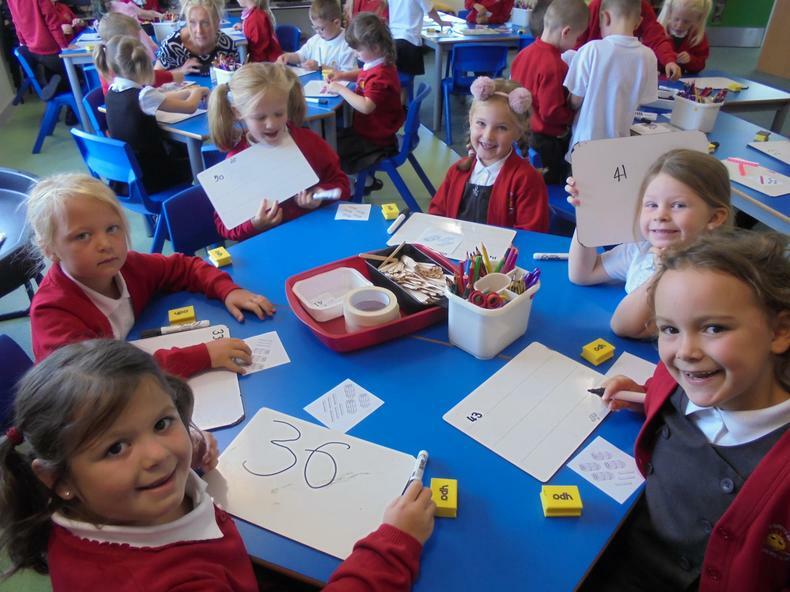 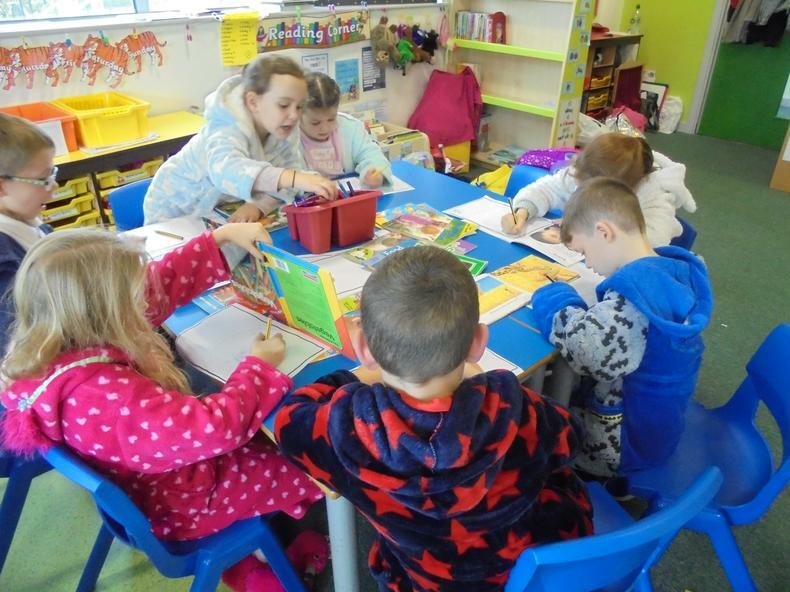 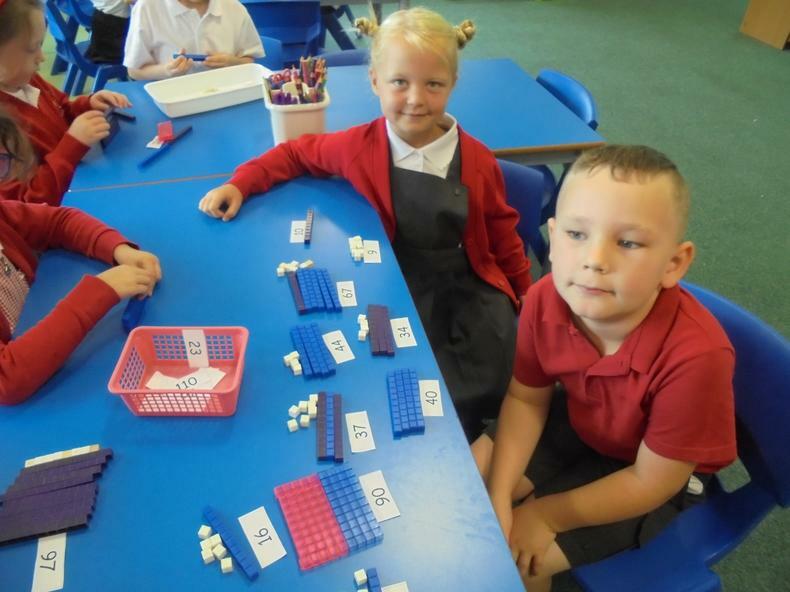 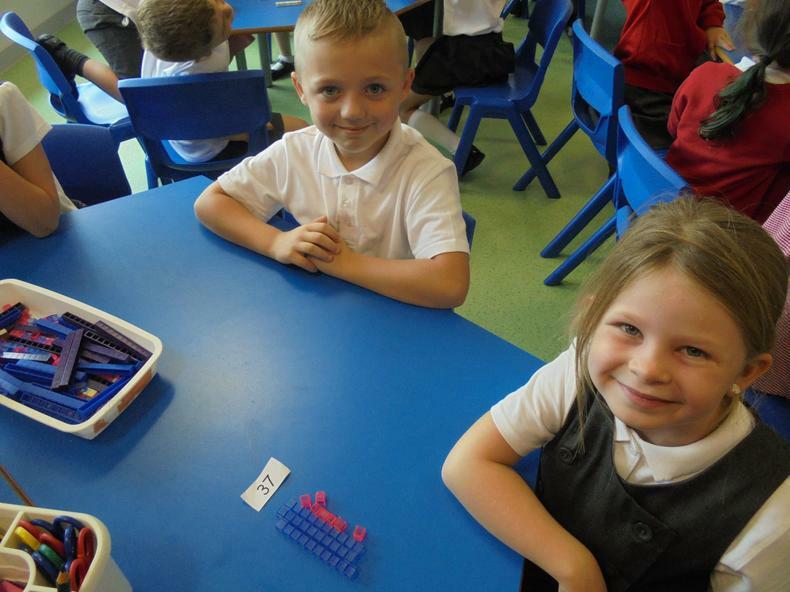 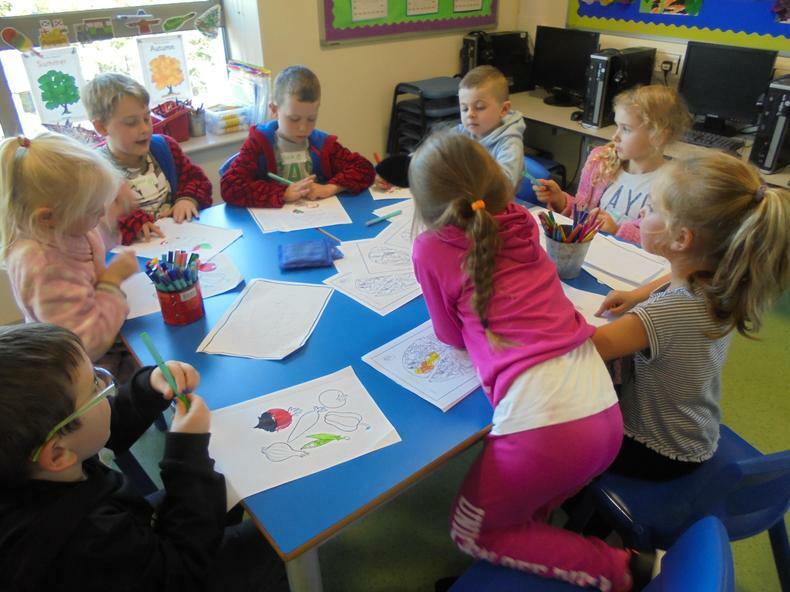 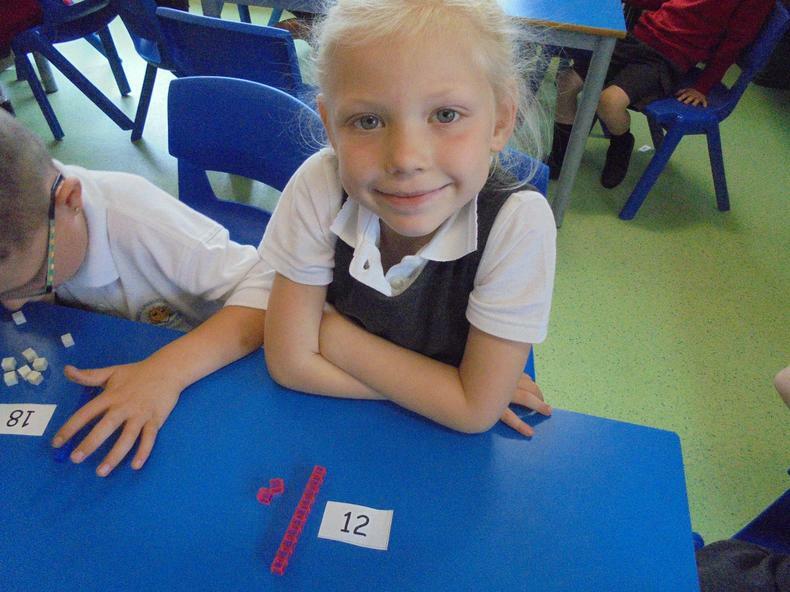 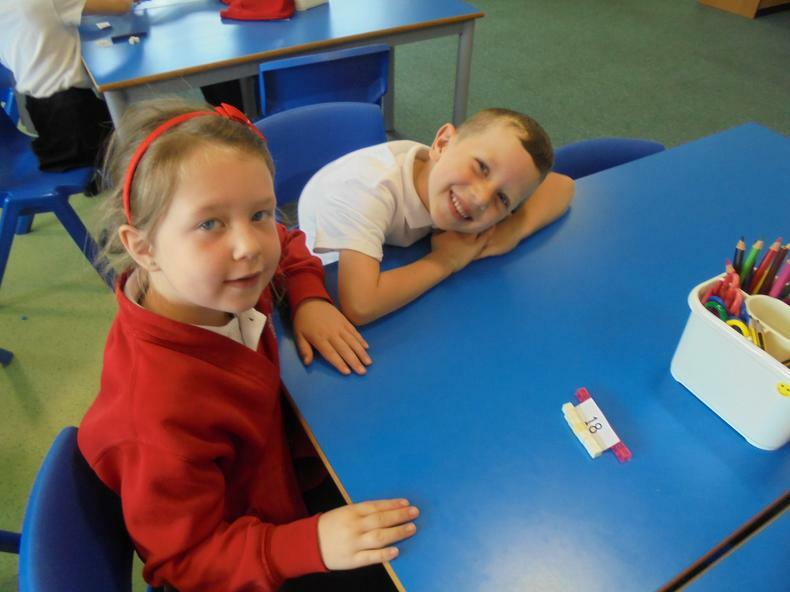 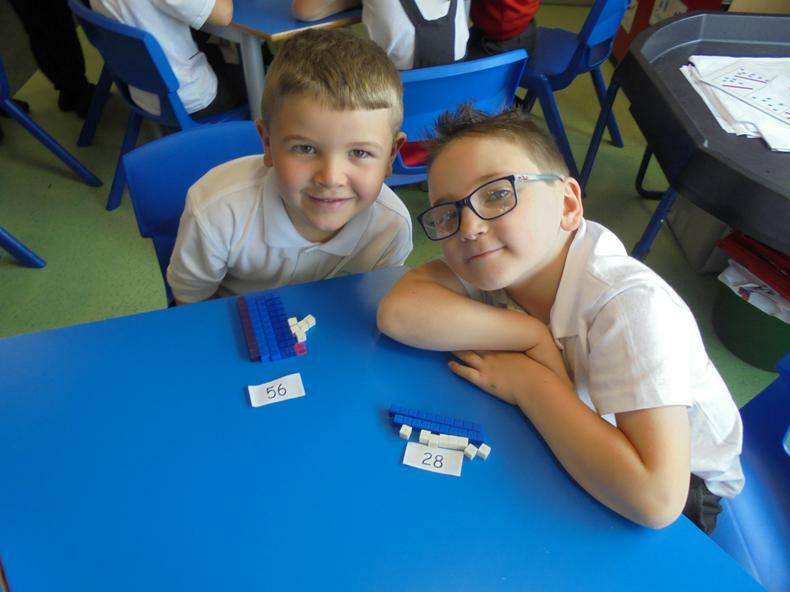 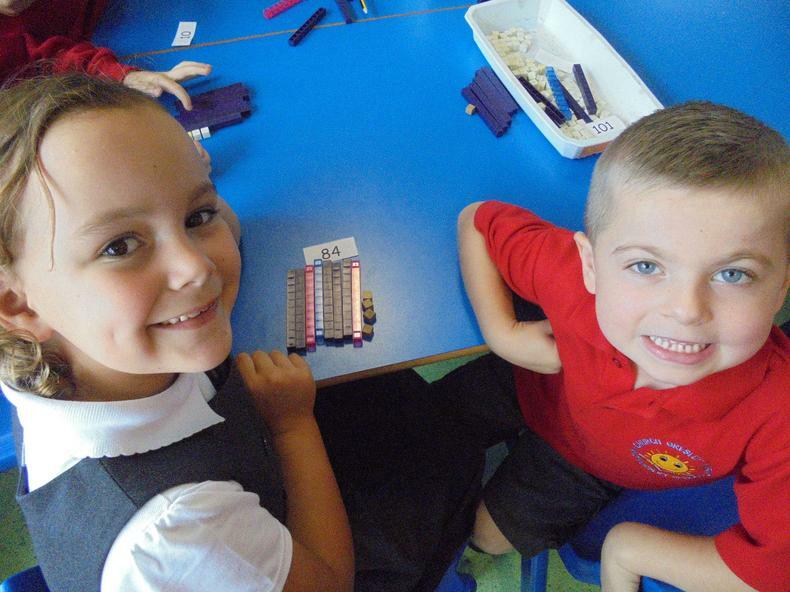 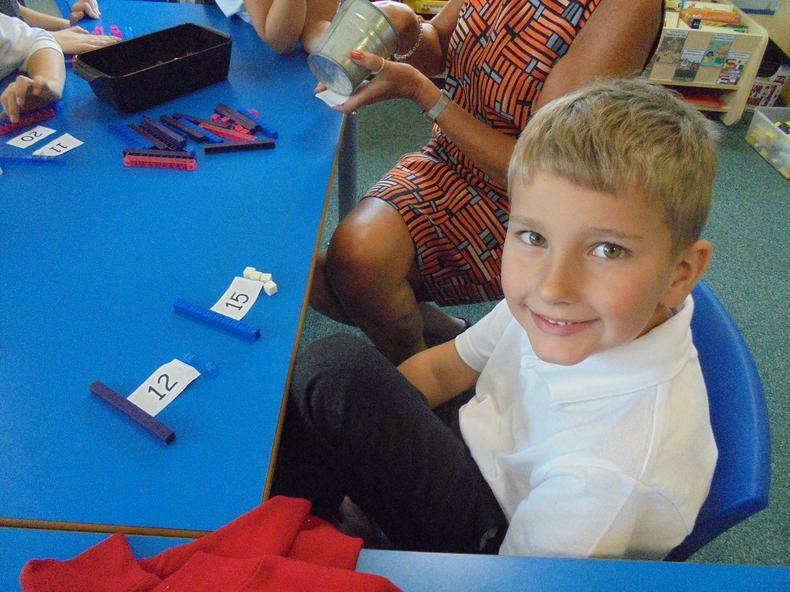 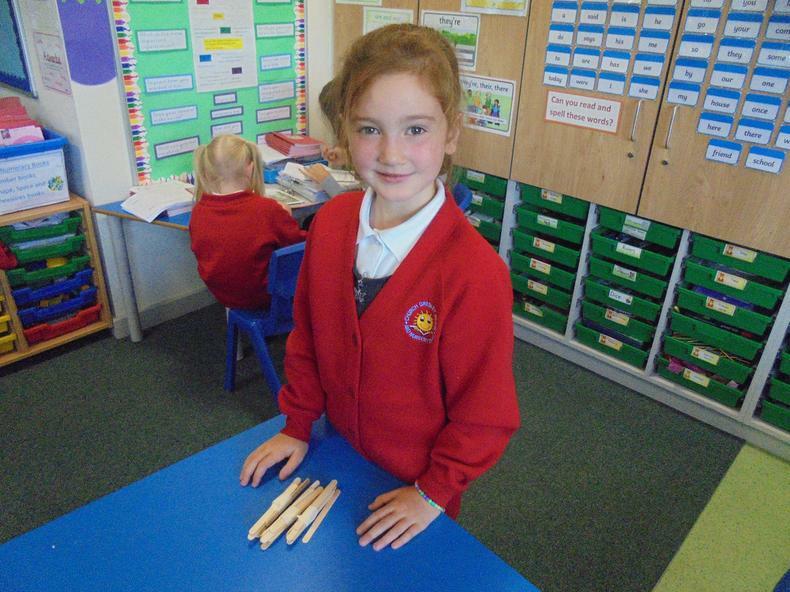 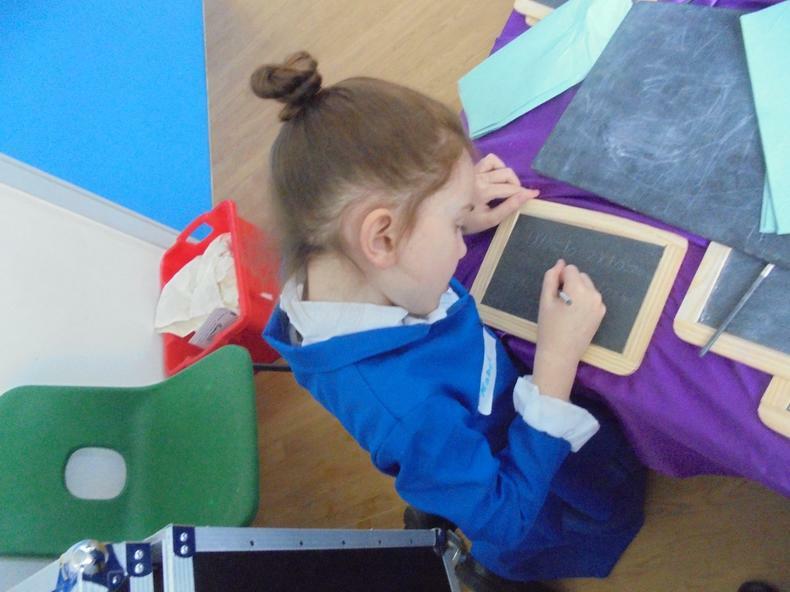 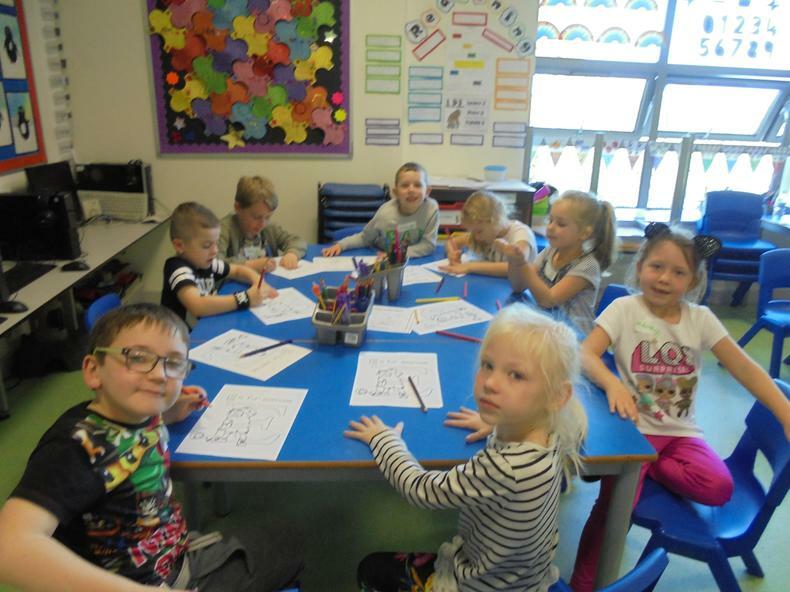 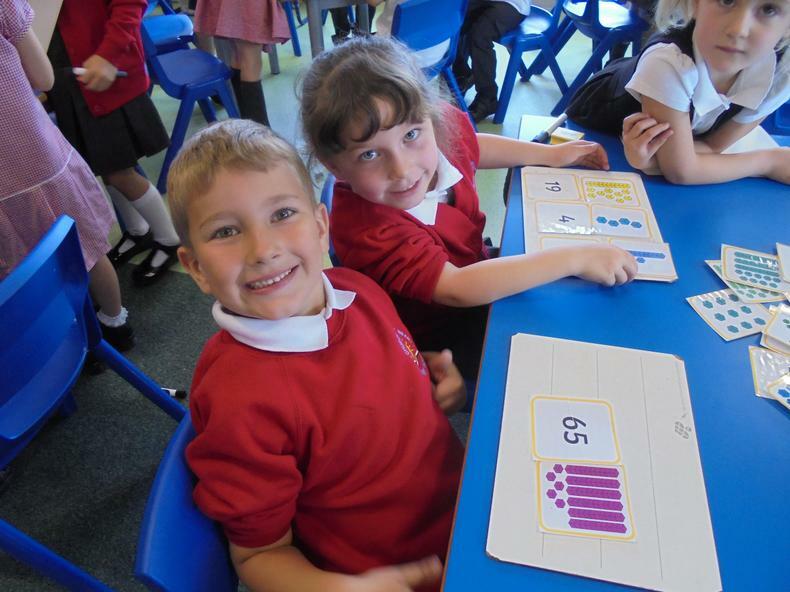 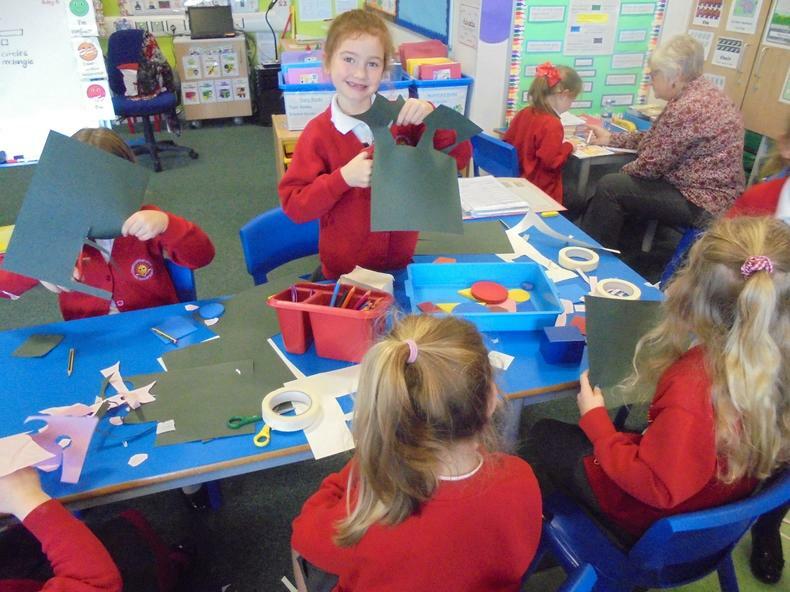 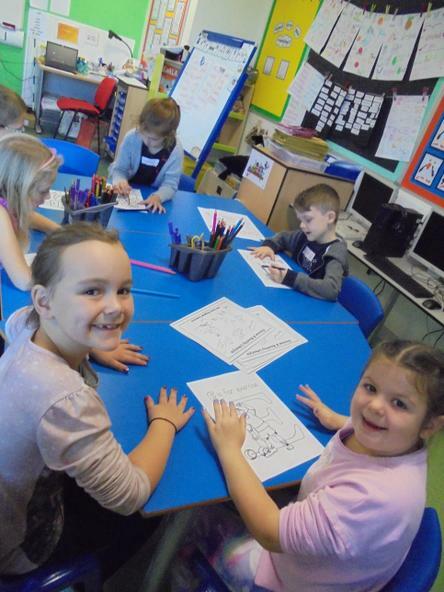 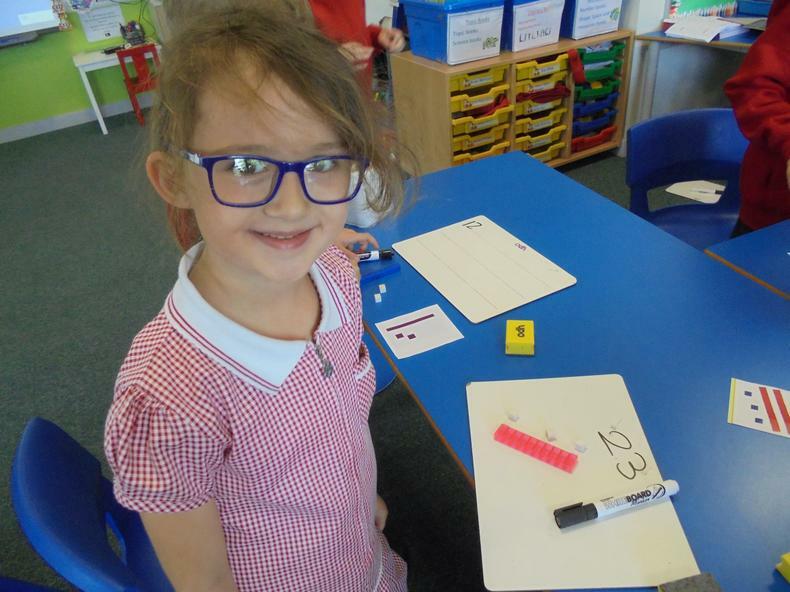 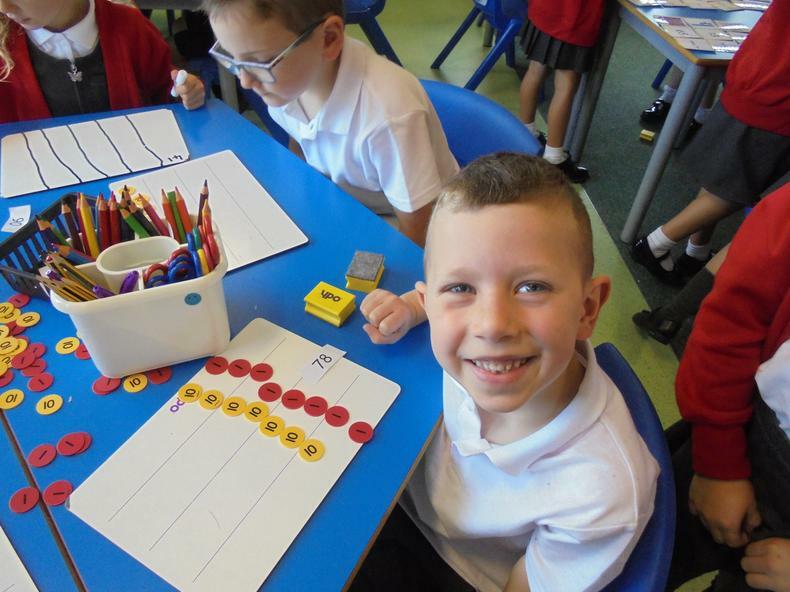 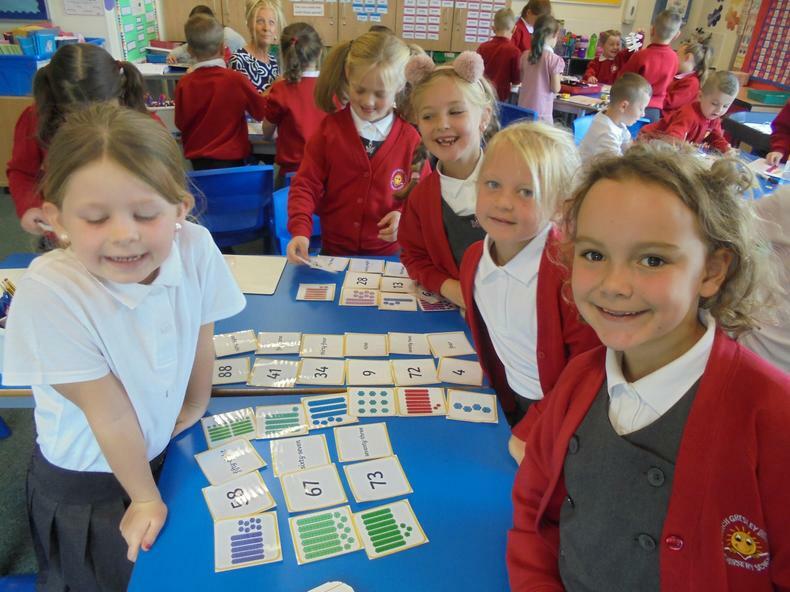 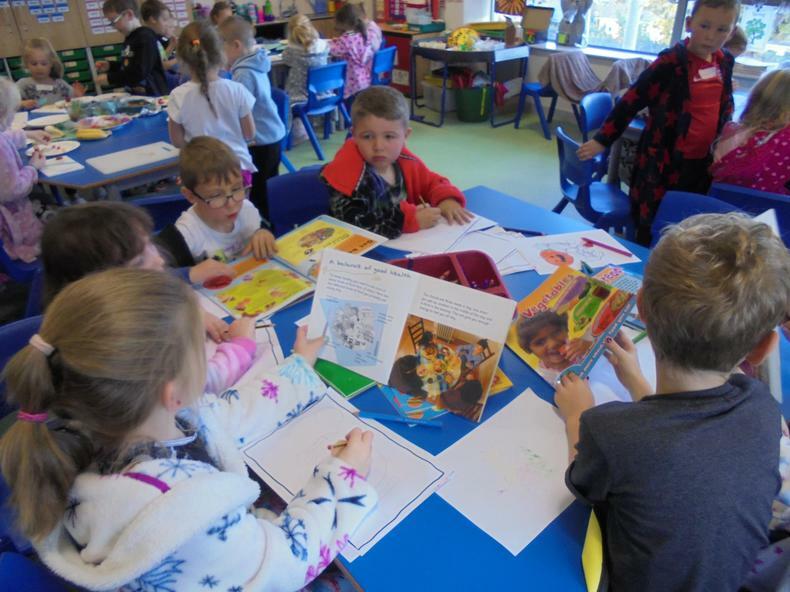 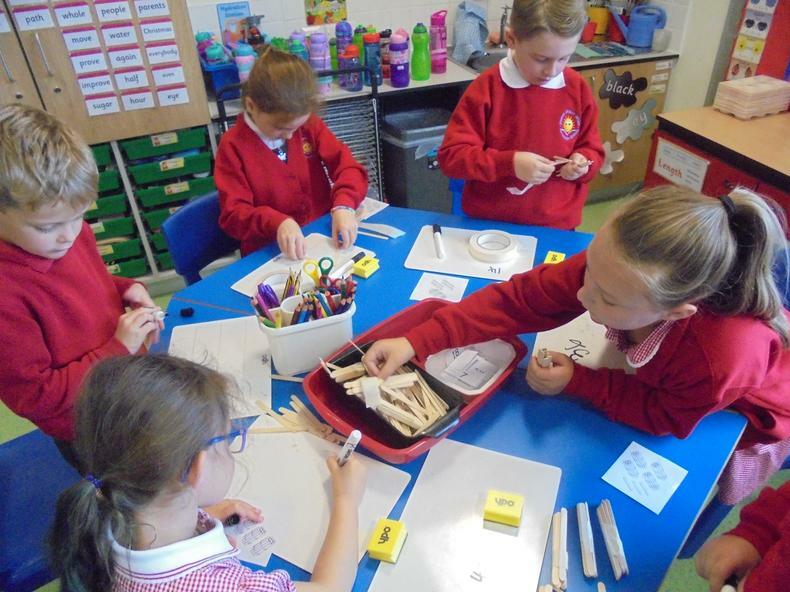 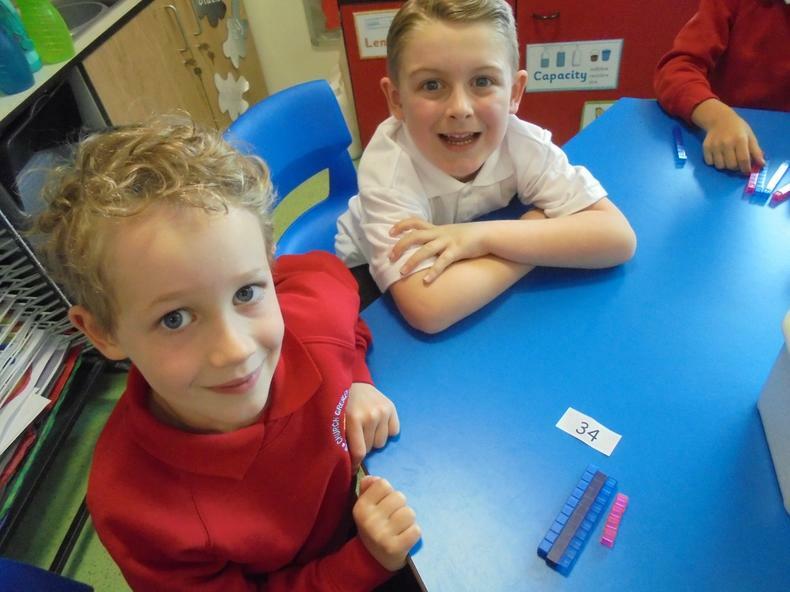 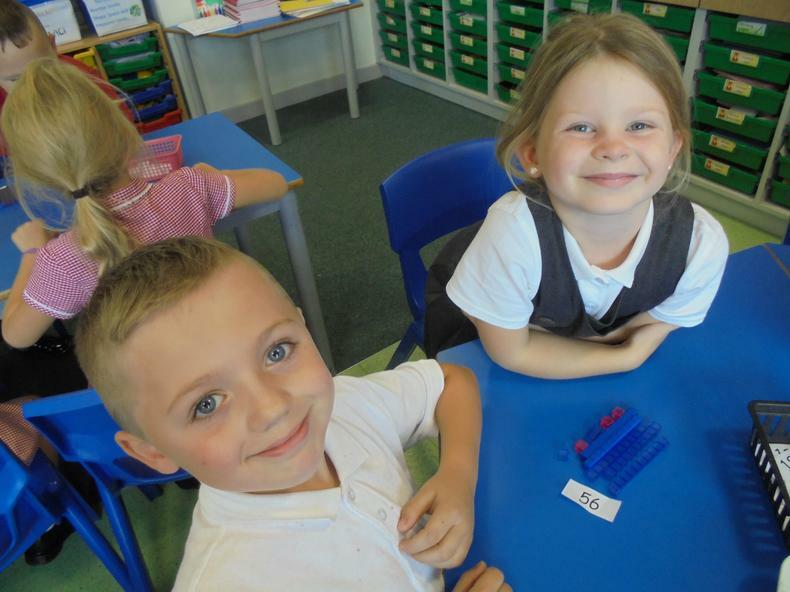 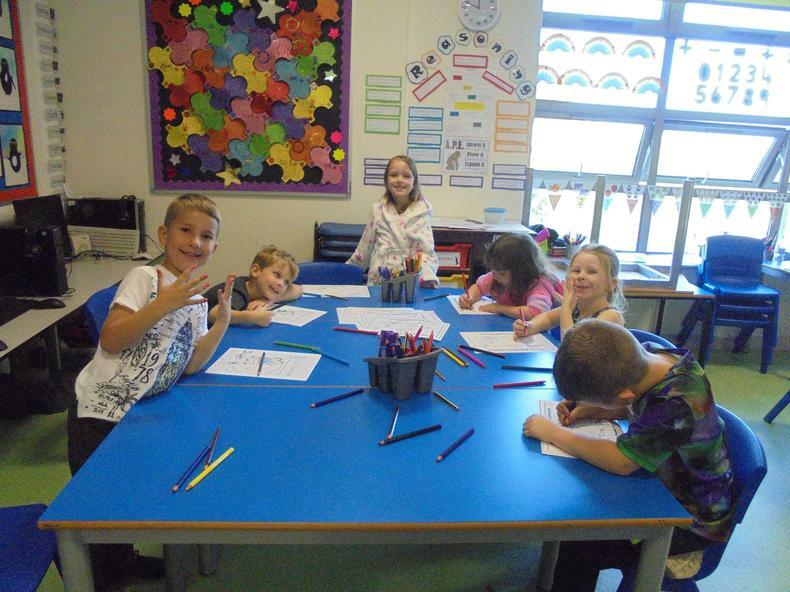 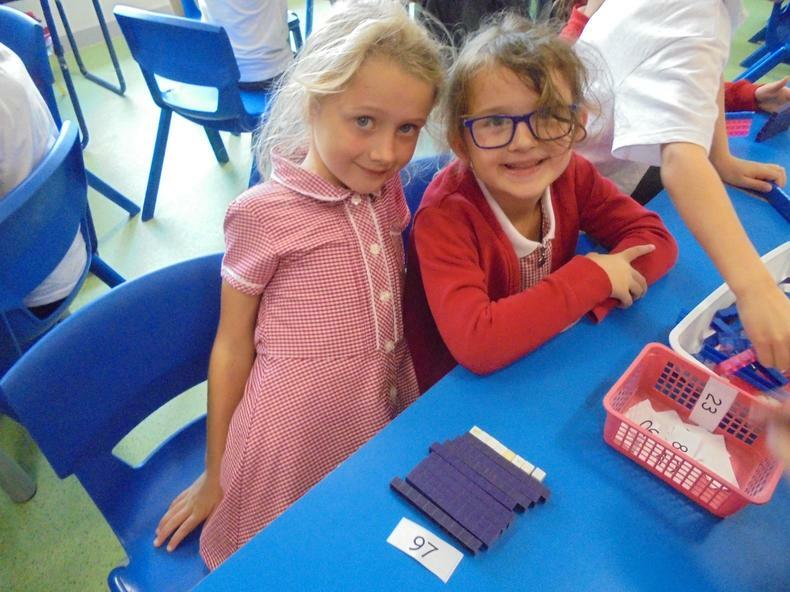 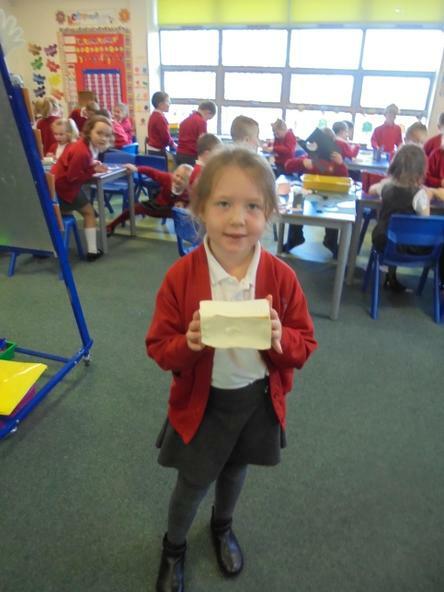 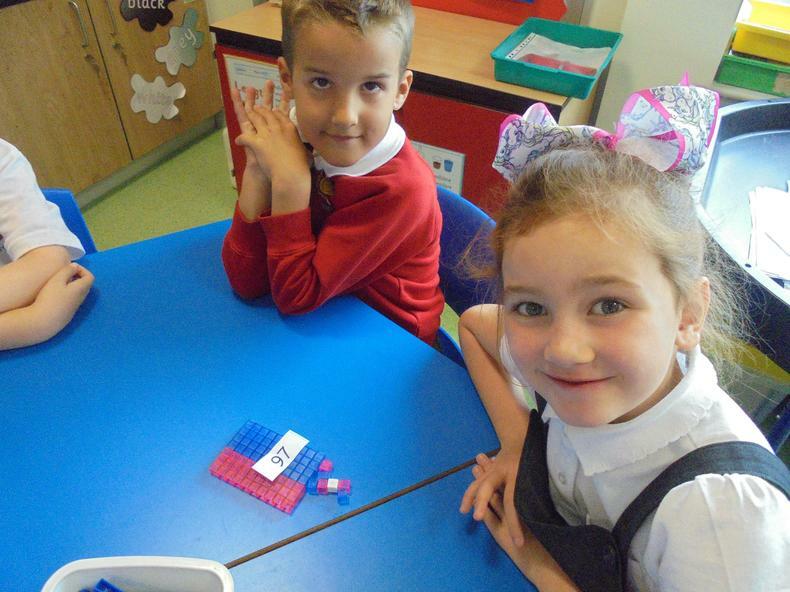 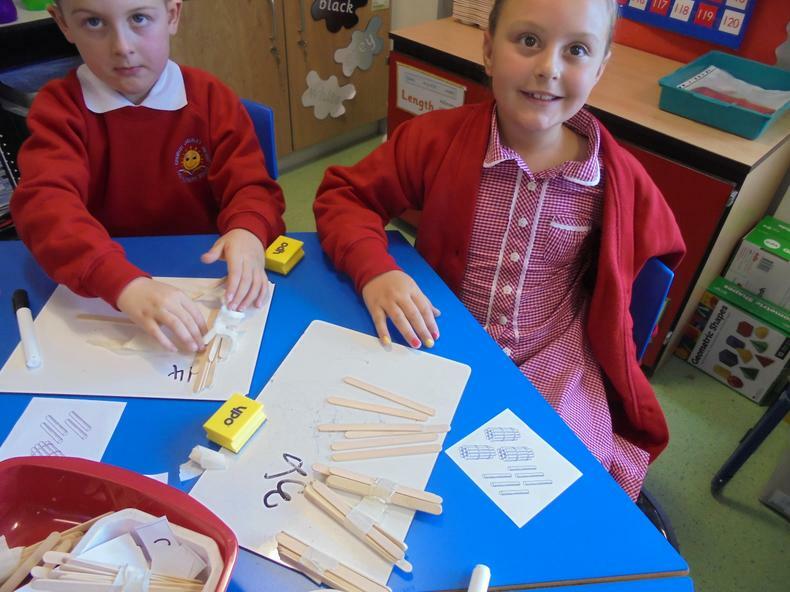 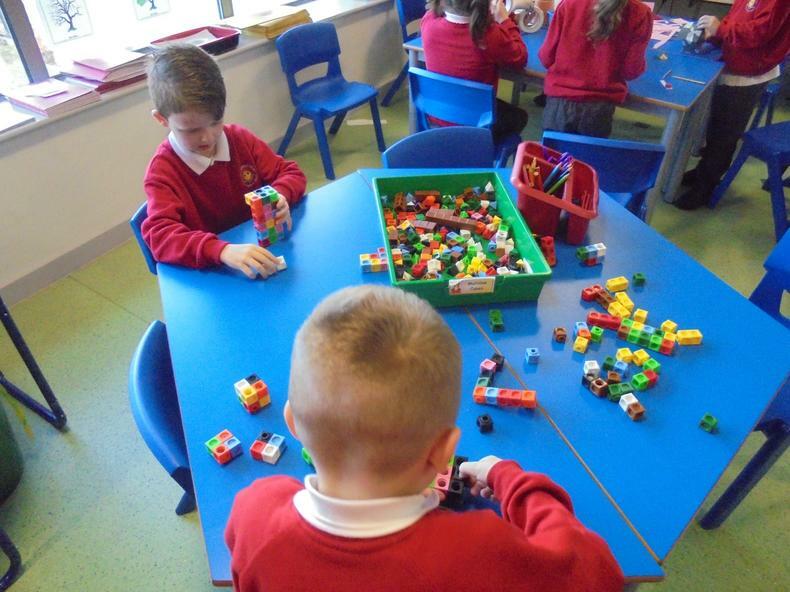 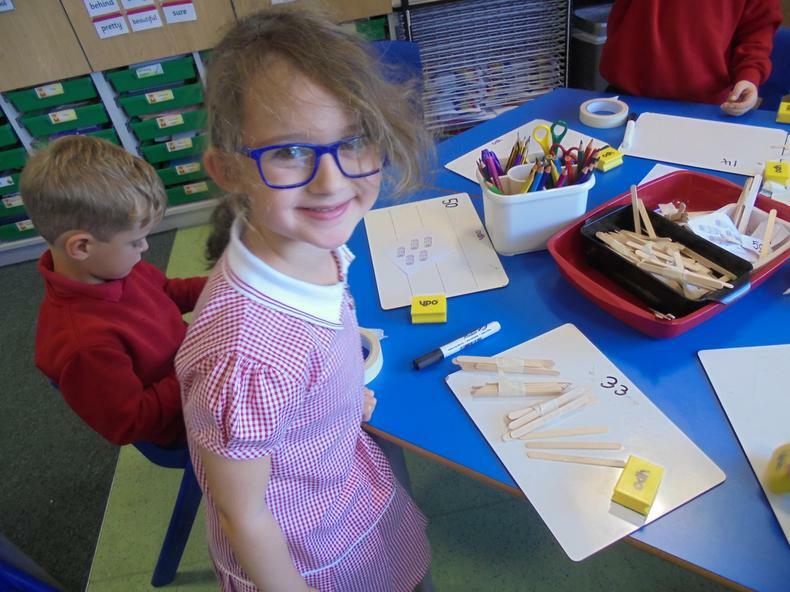 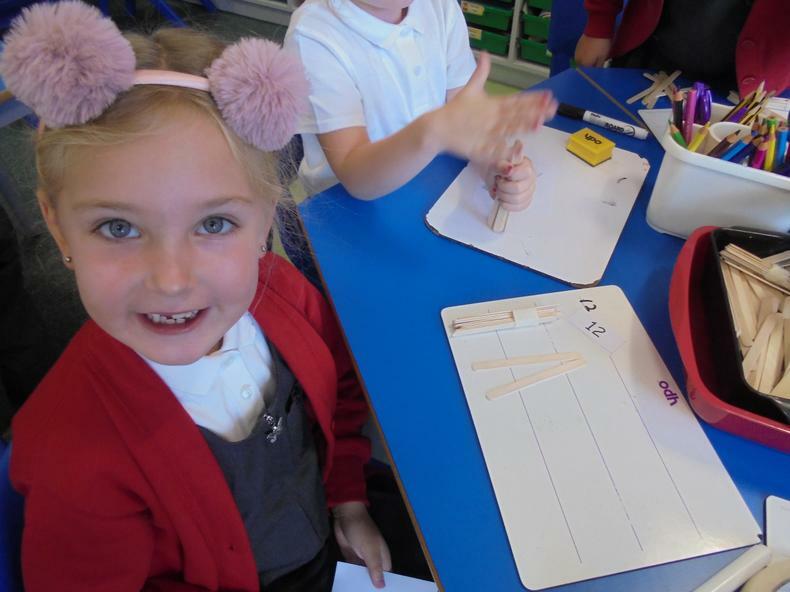 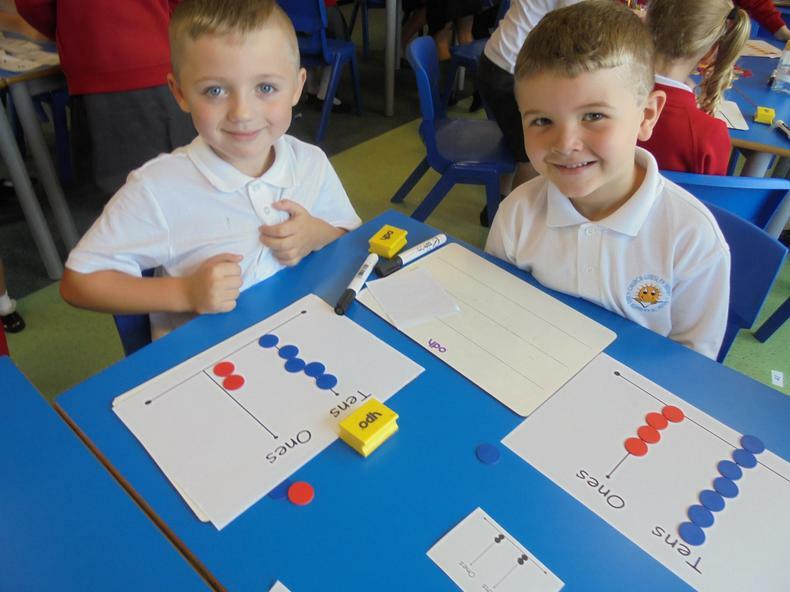 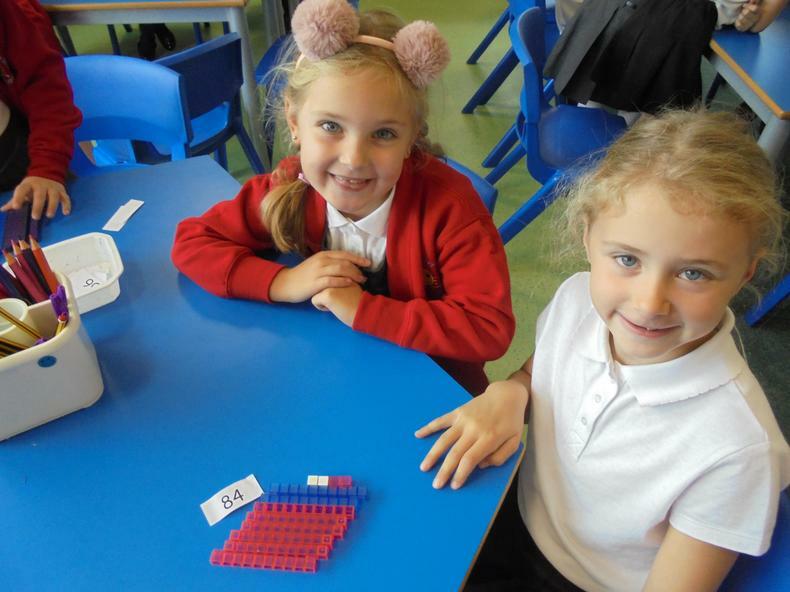 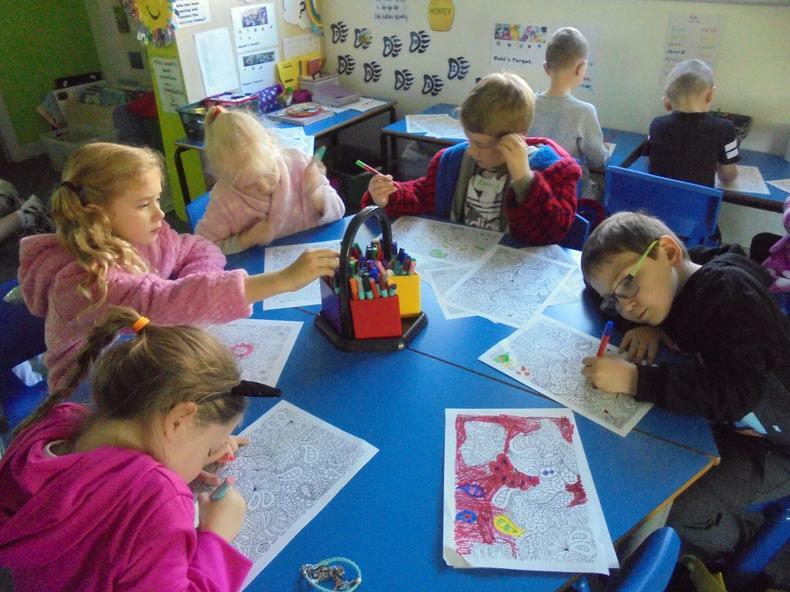 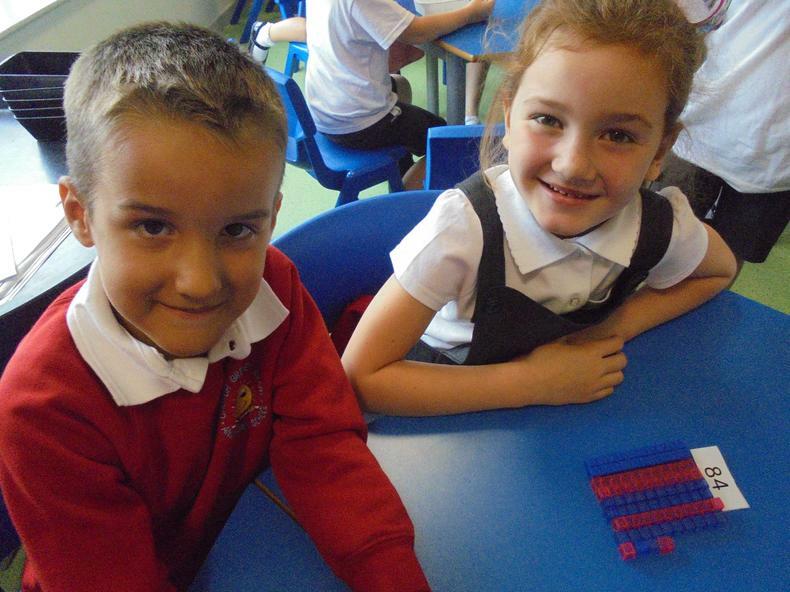 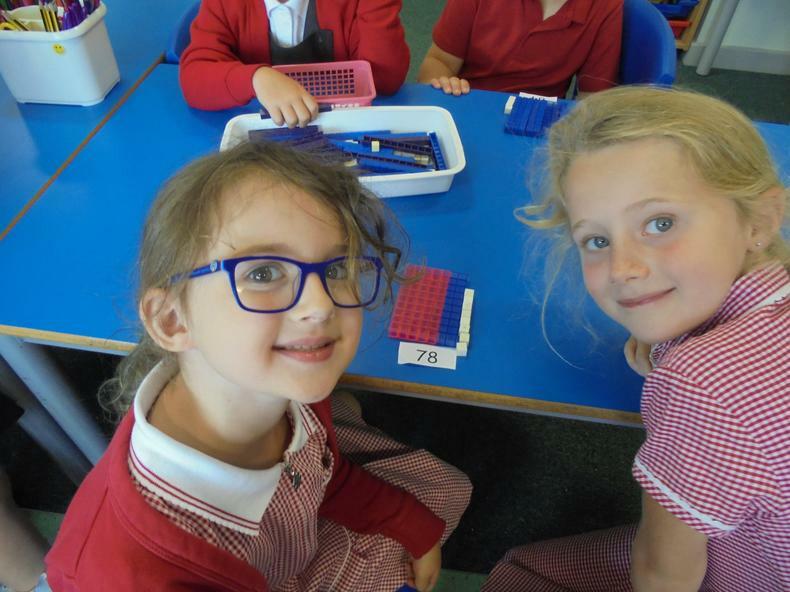 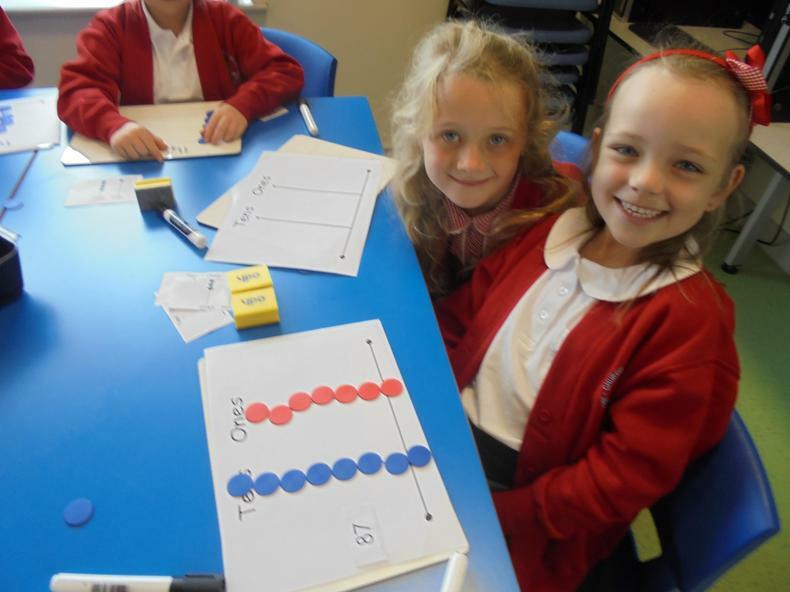 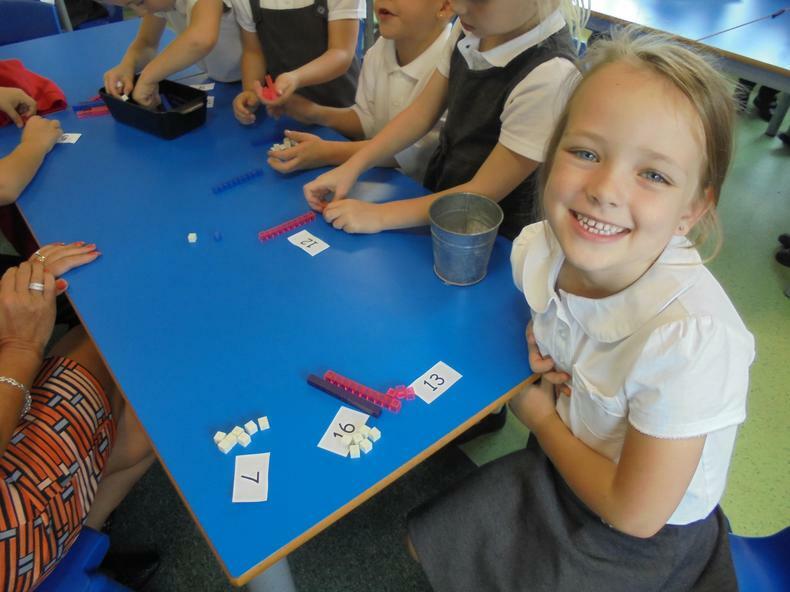 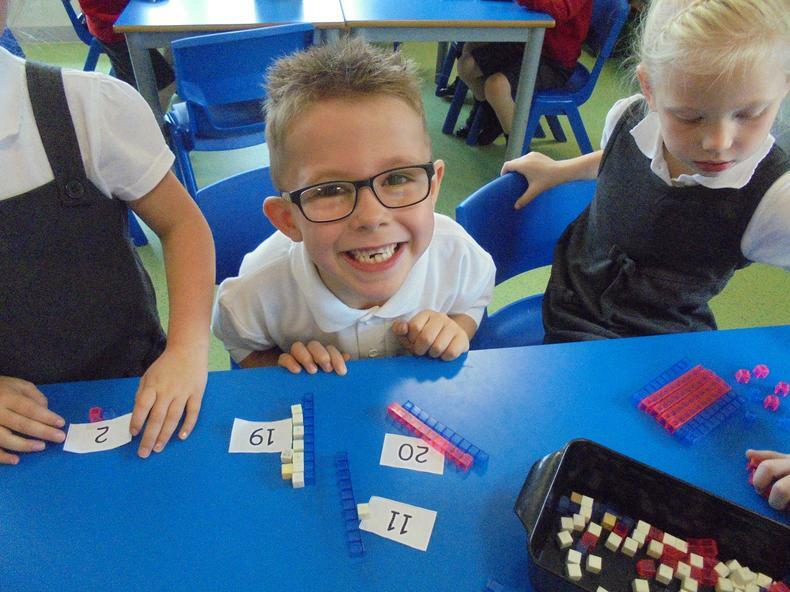 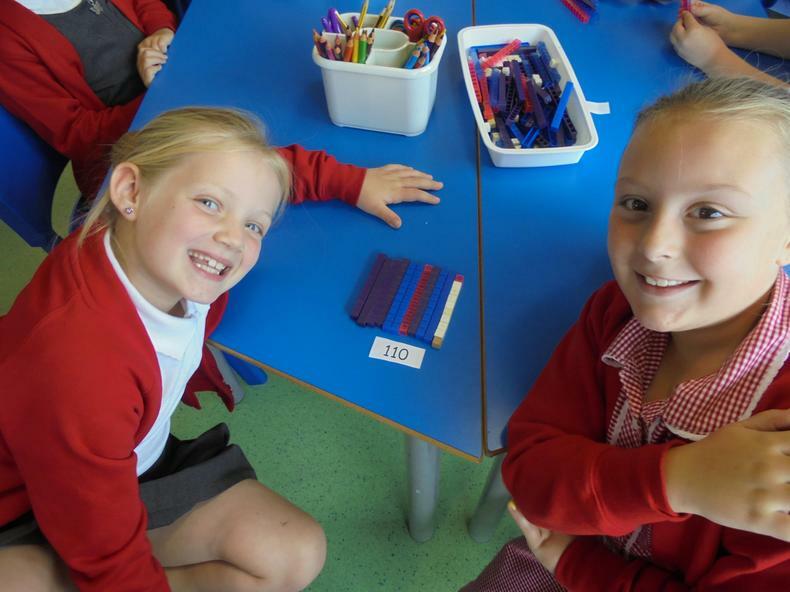 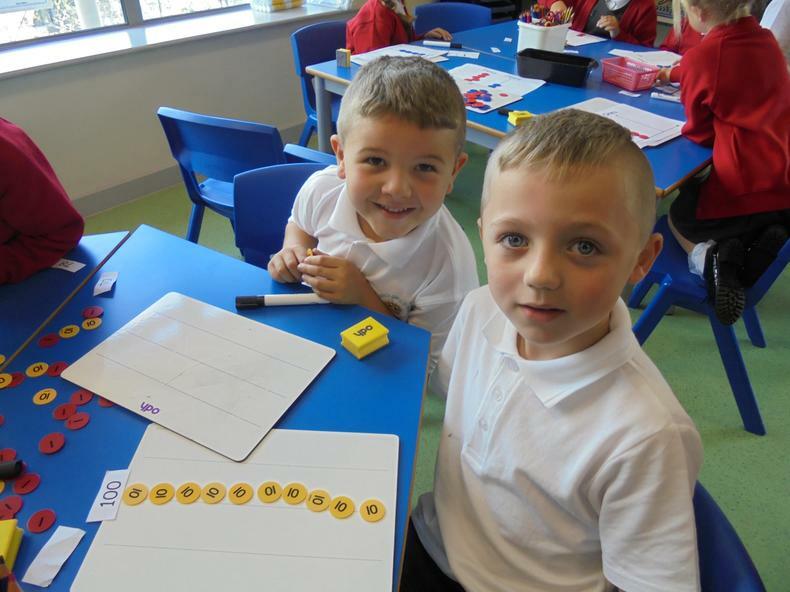 We are looking forward to working hard and learning lots of new things in Year 2. 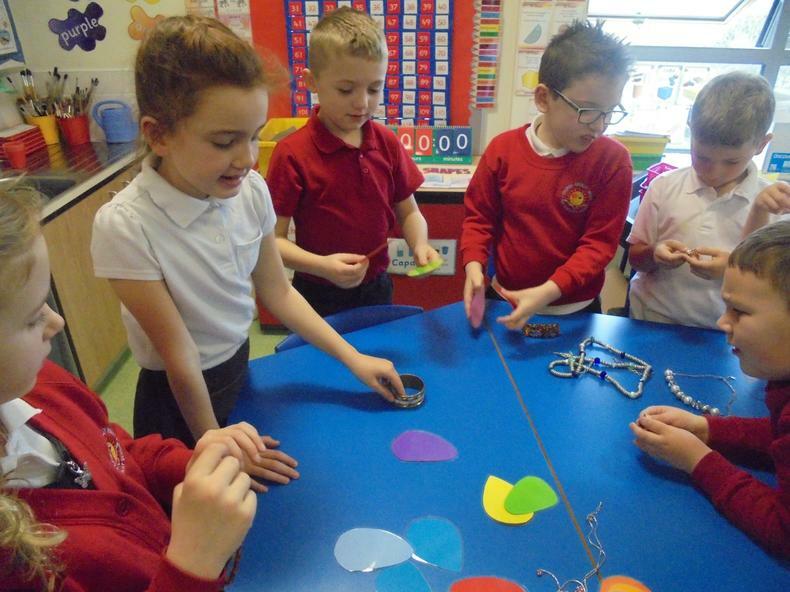 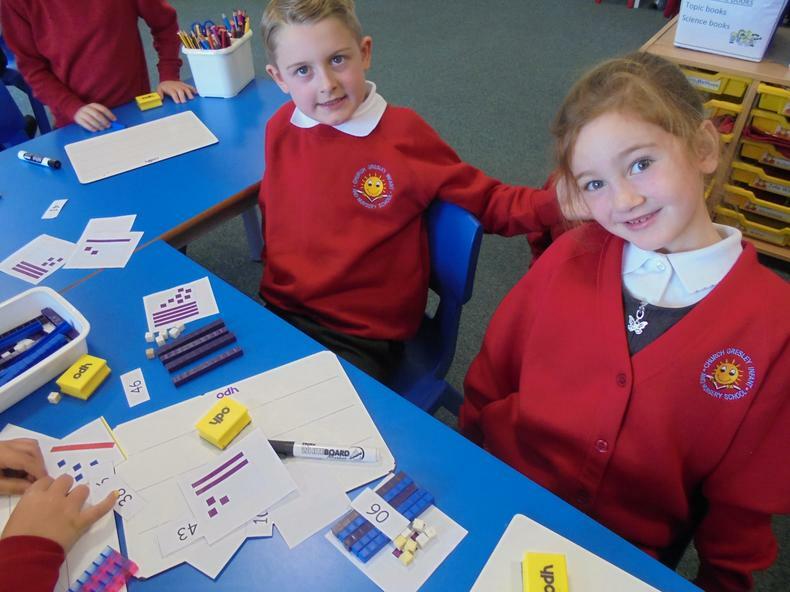 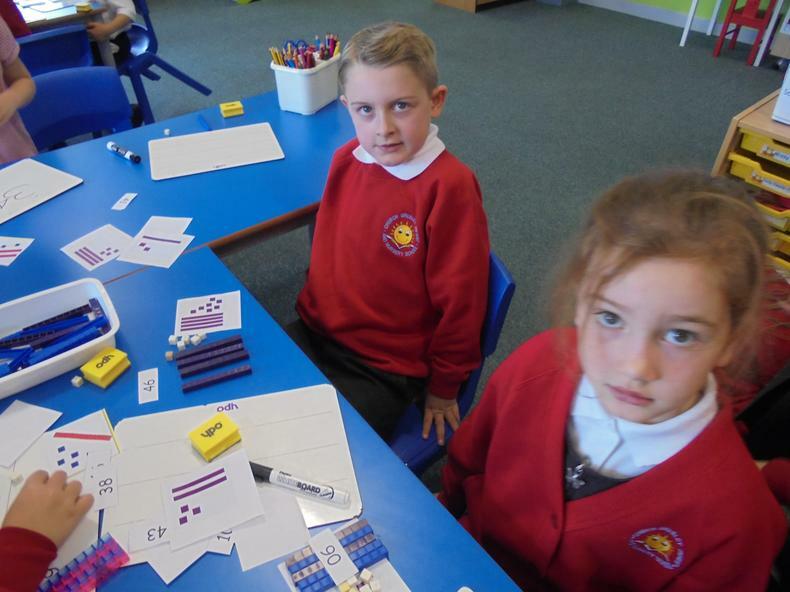 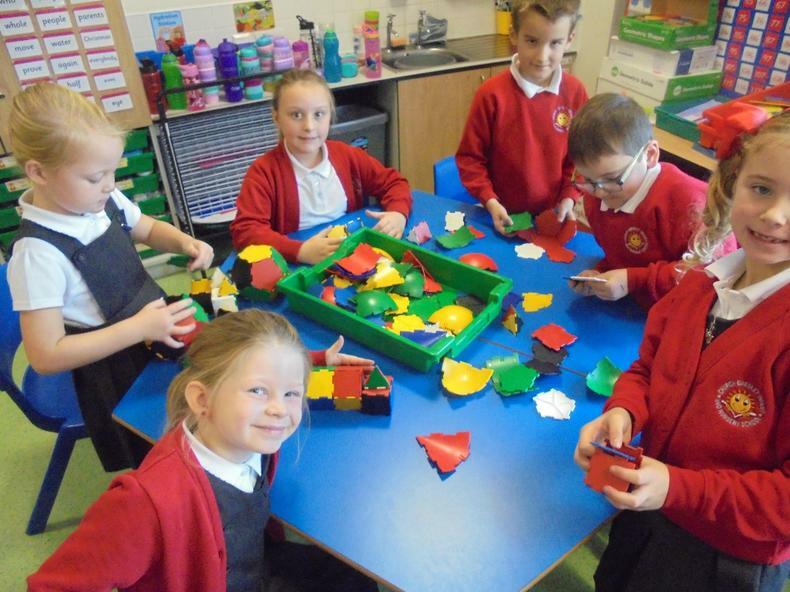 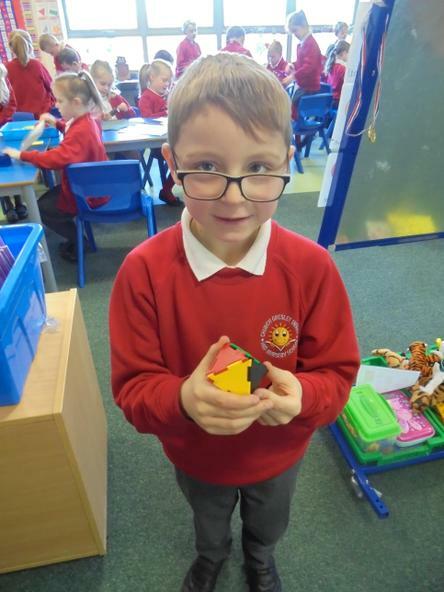 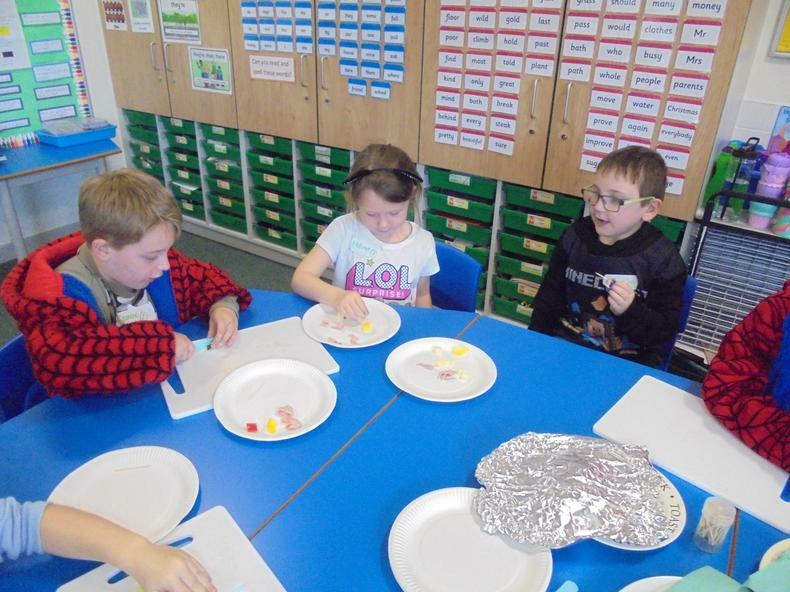 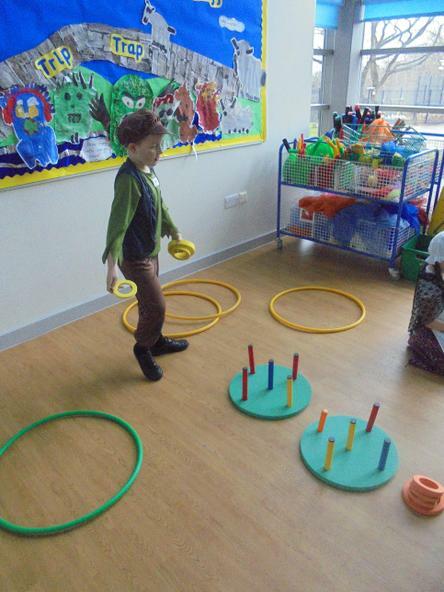 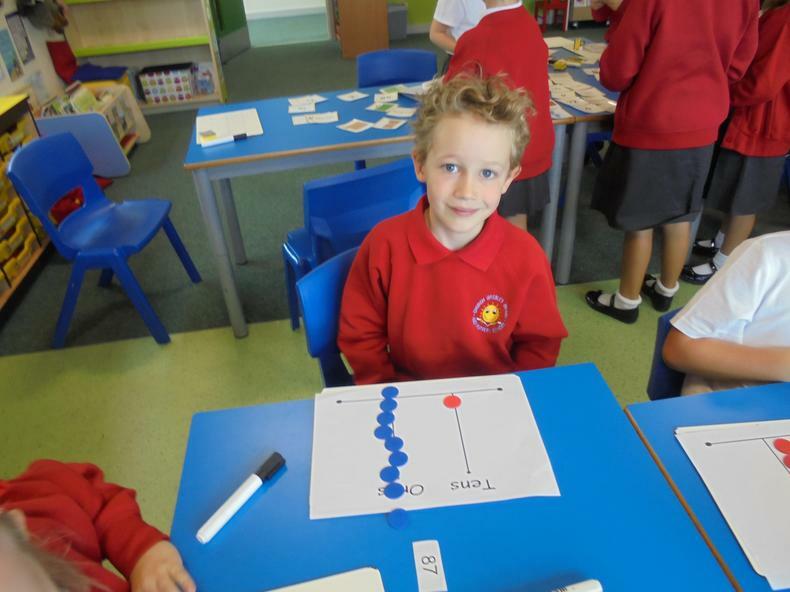 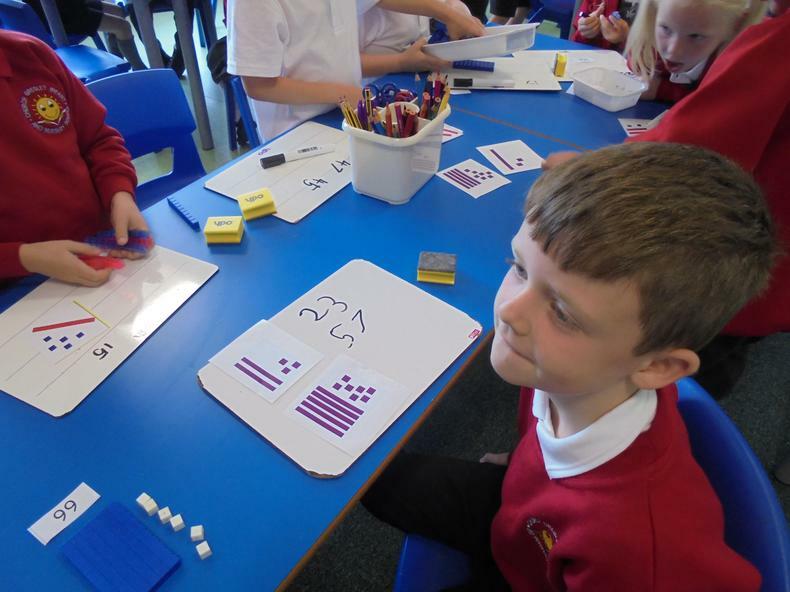 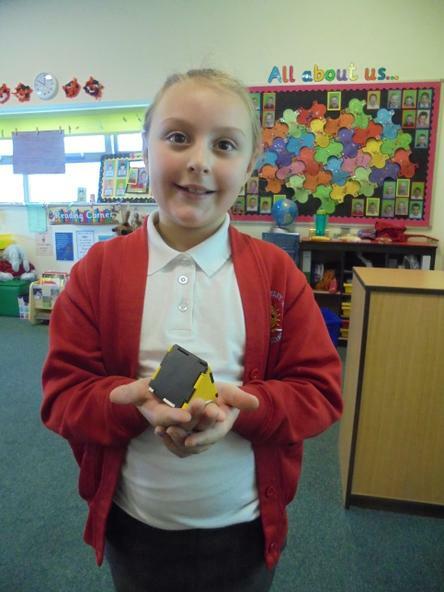 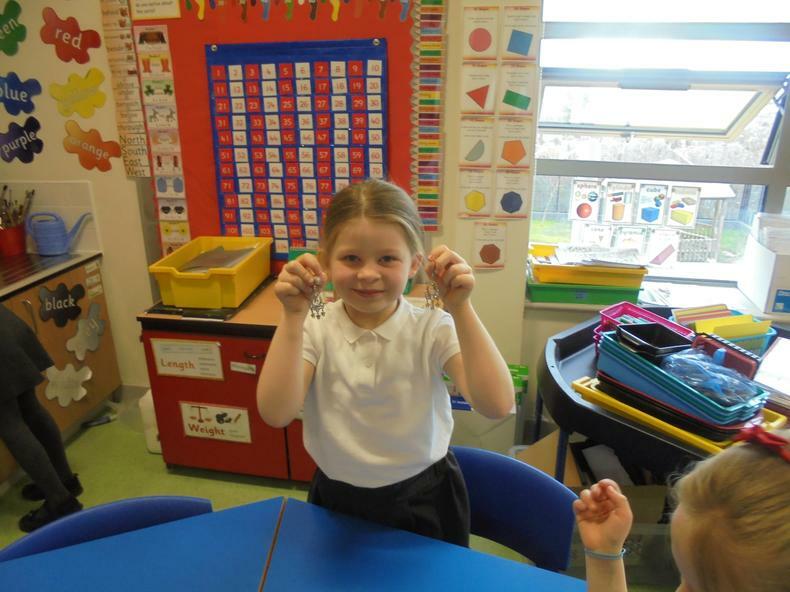 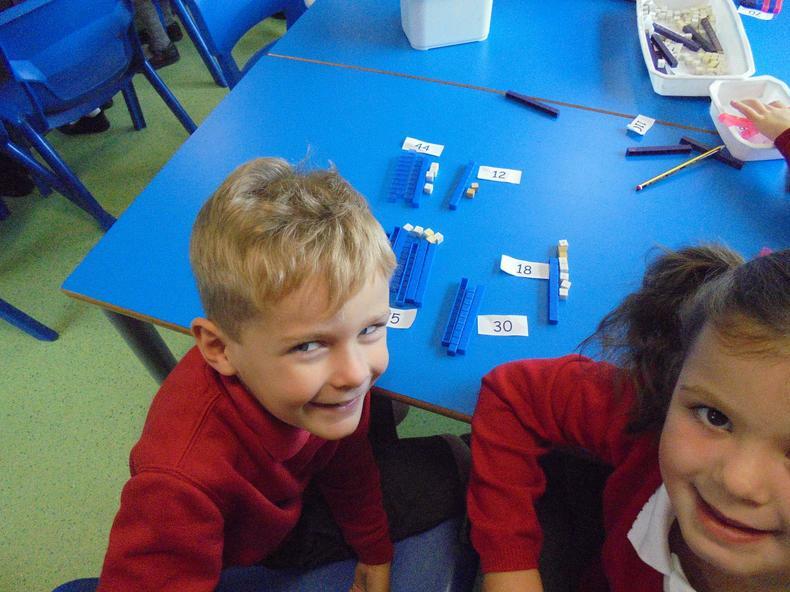 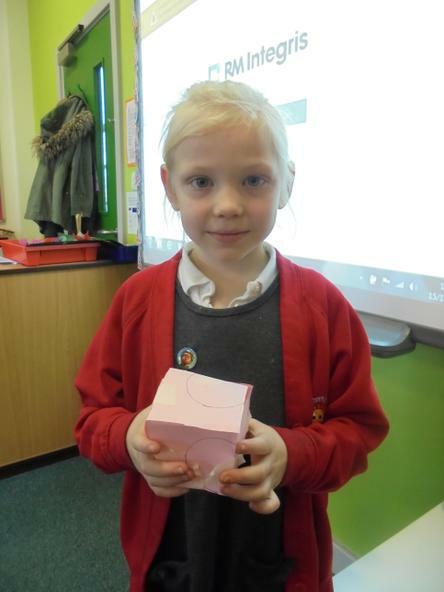 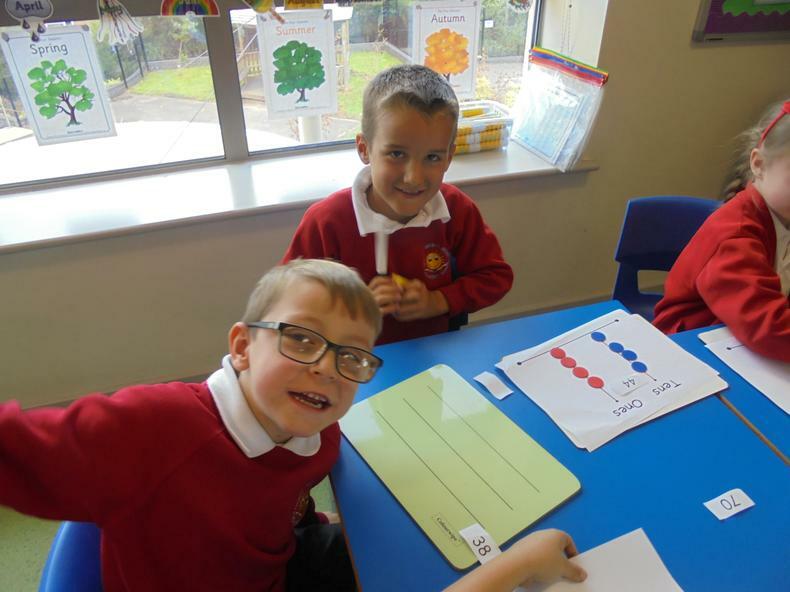 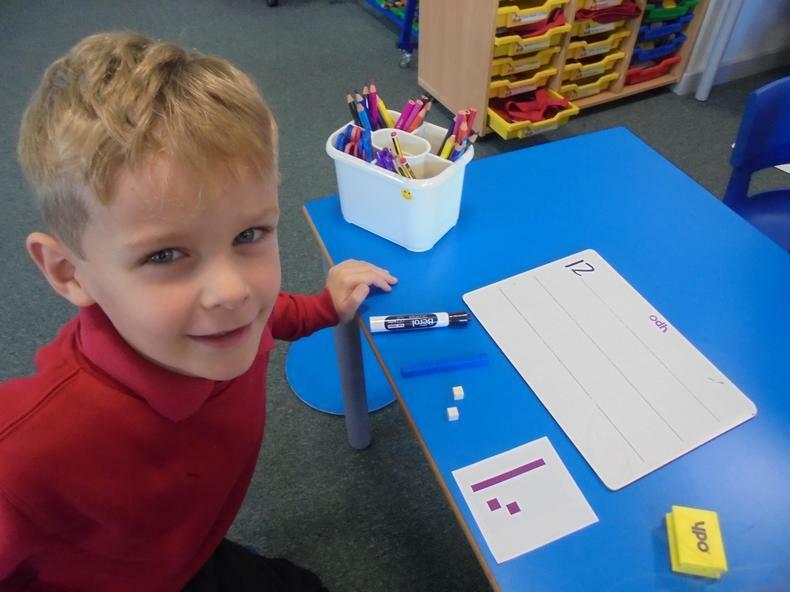 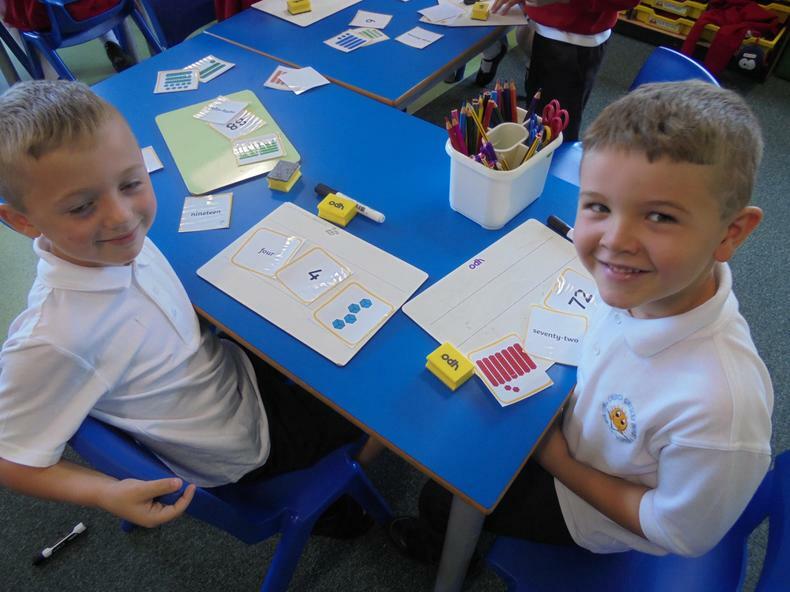 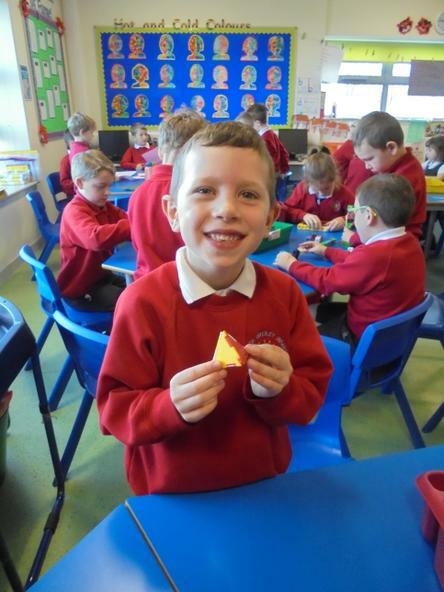 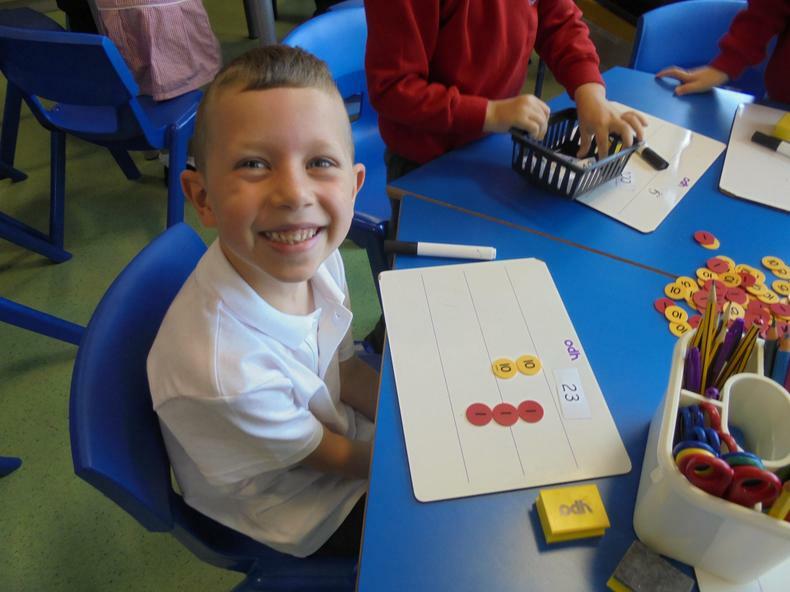 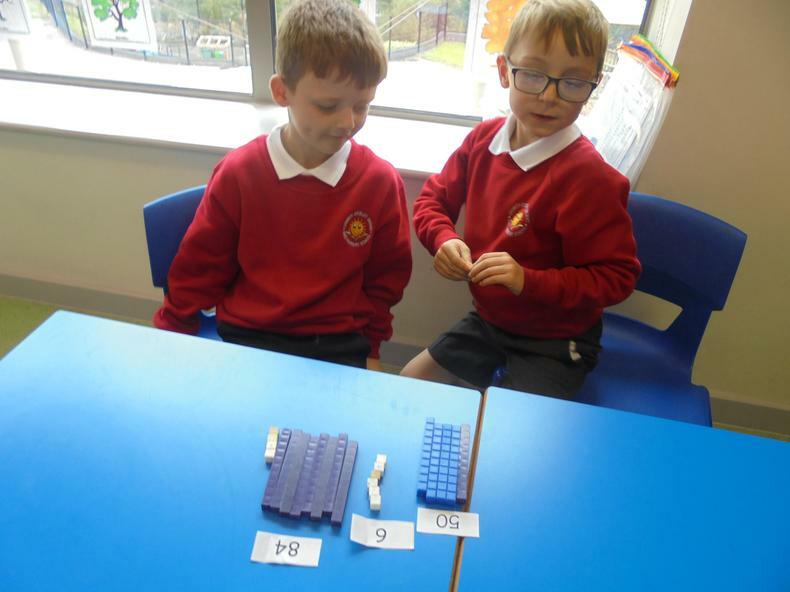 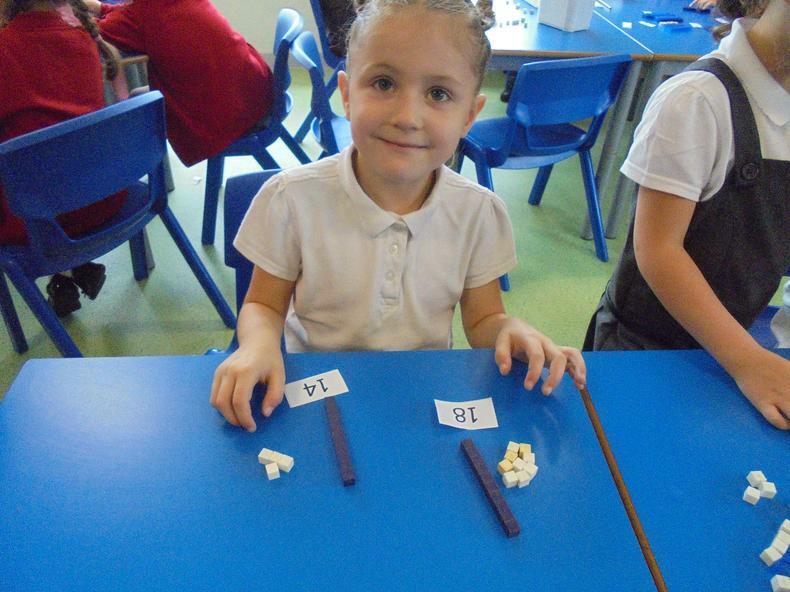 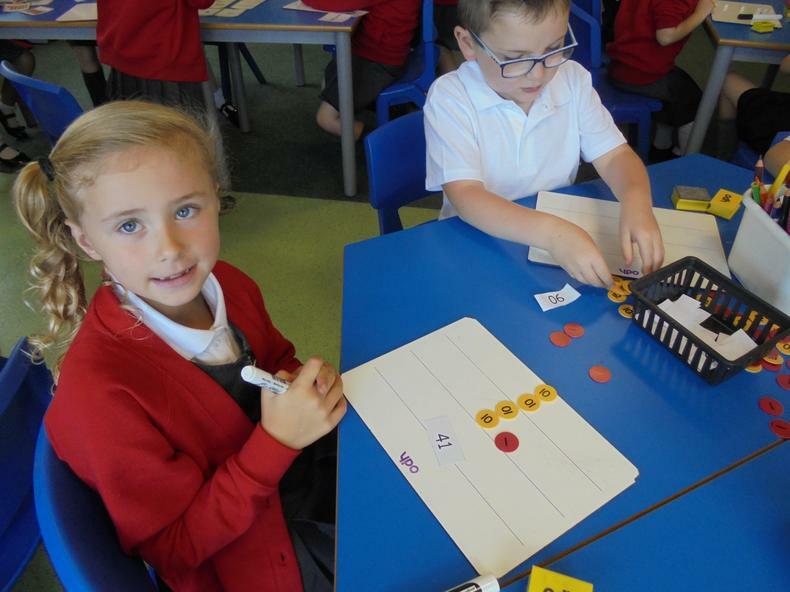 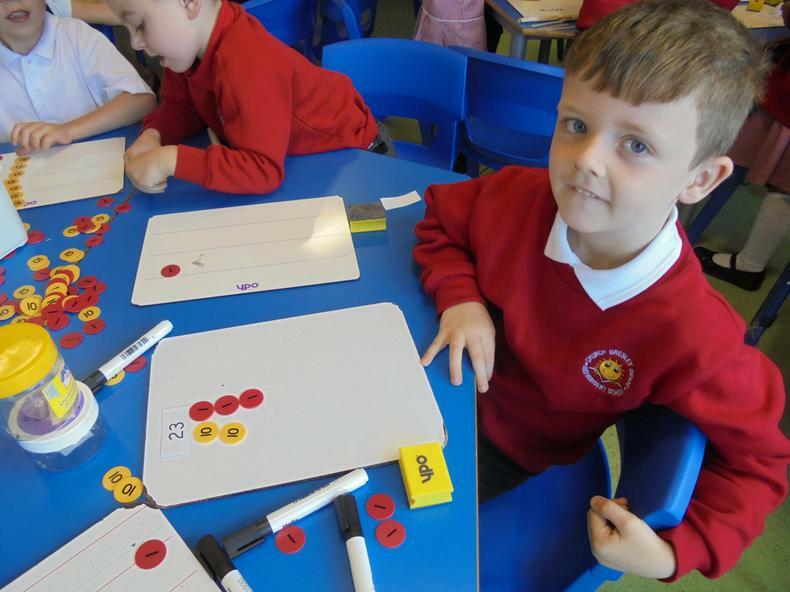 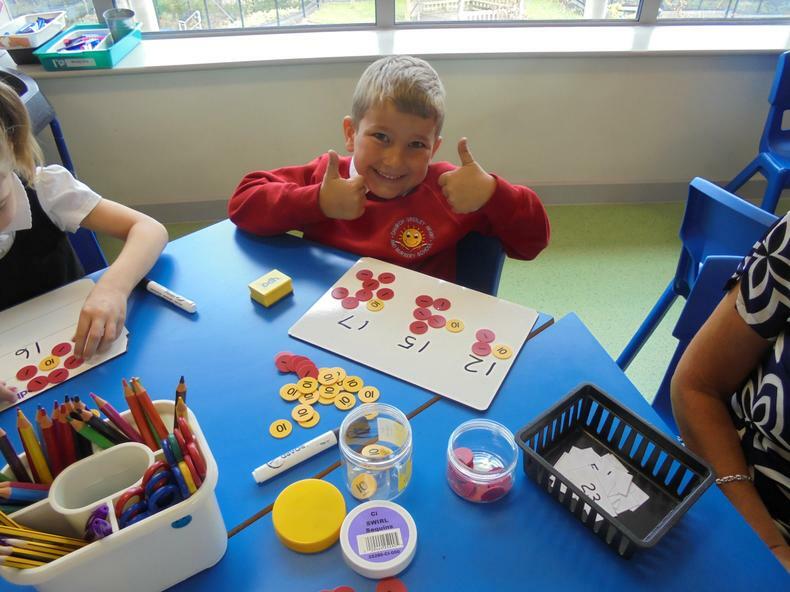 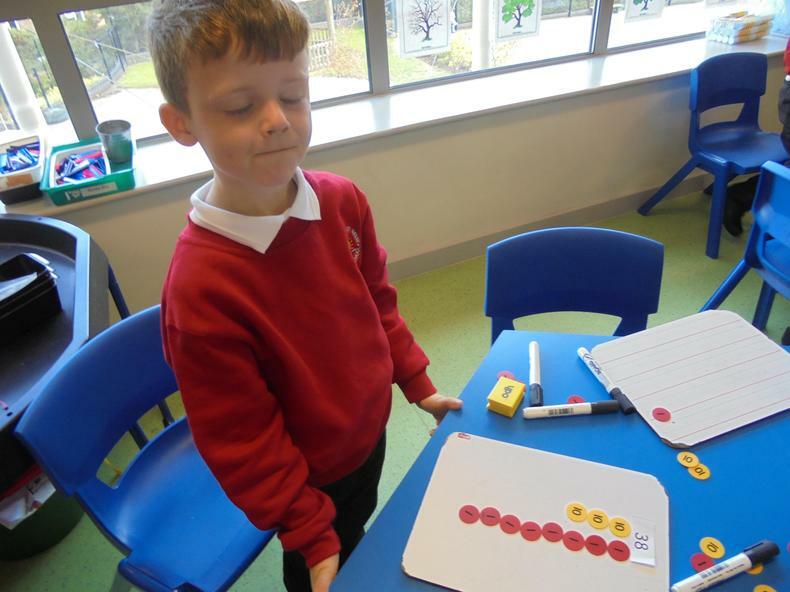 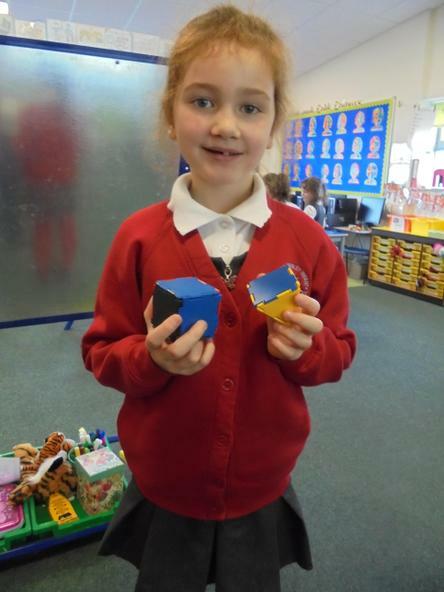 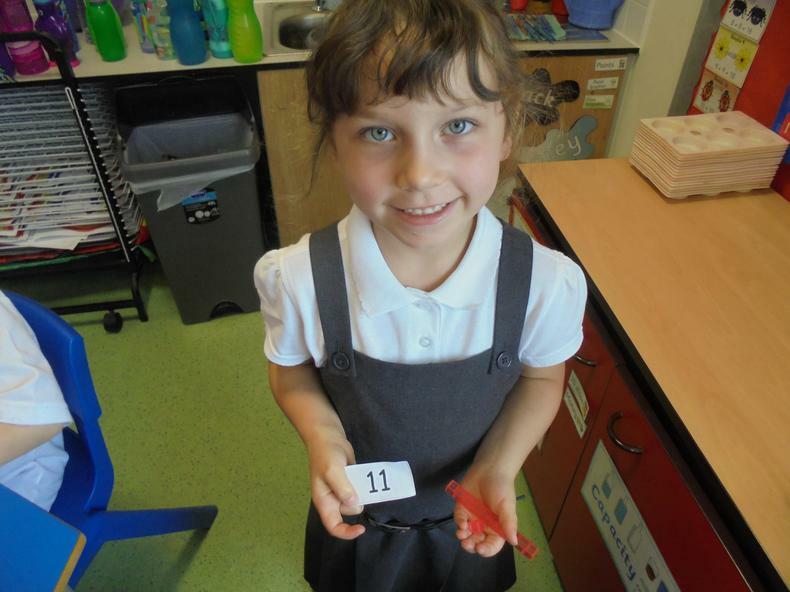 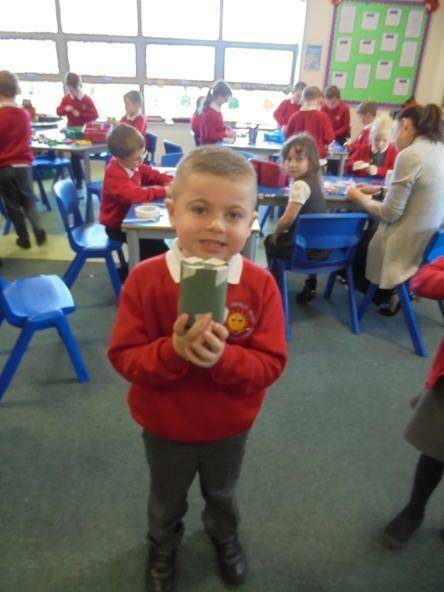 We have been learning about the properties of 2D shapes and sorting them in different ways. 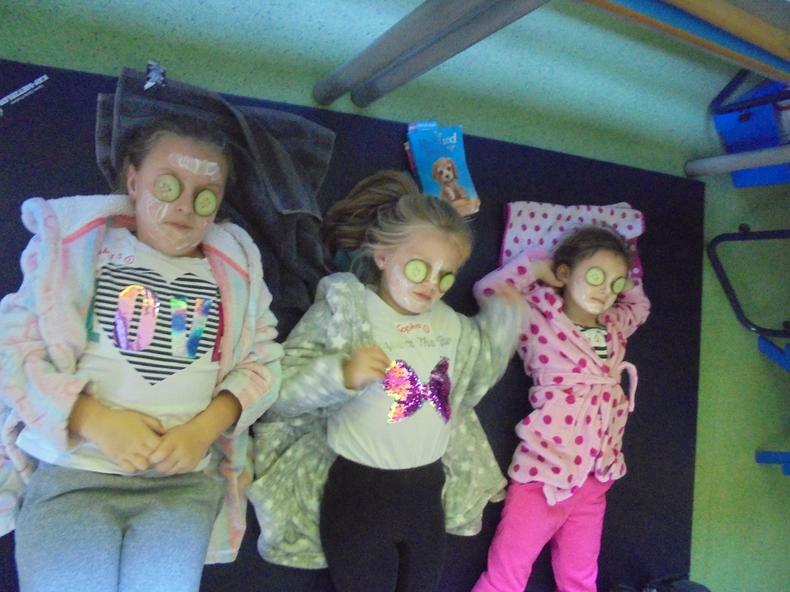 19.10.18 Spa Day. 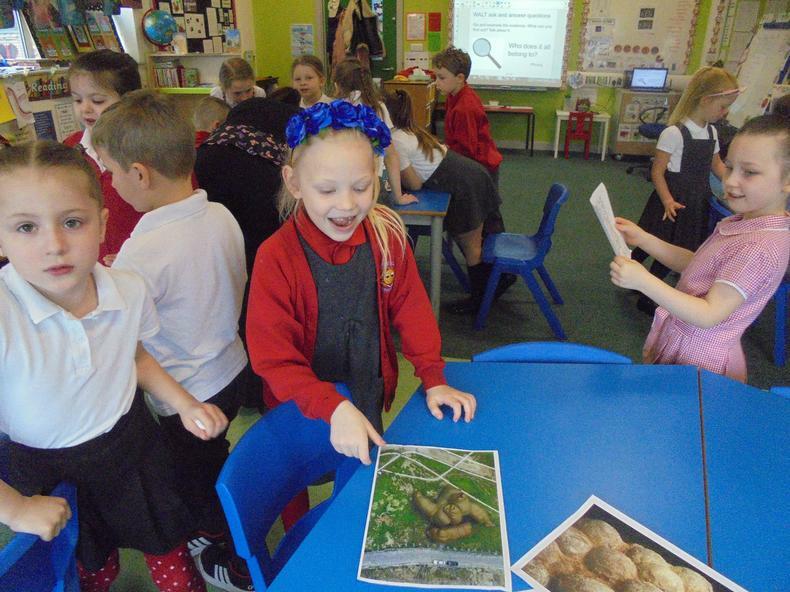 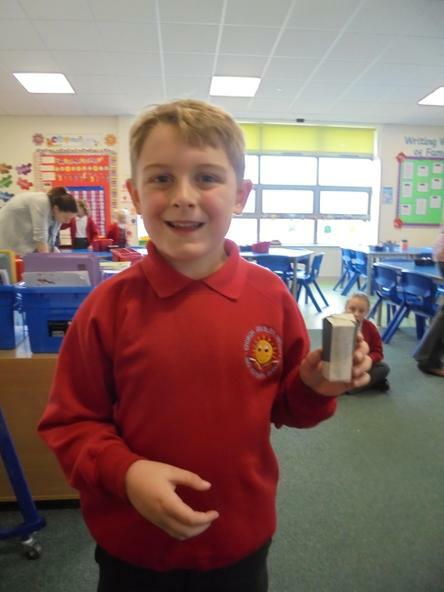 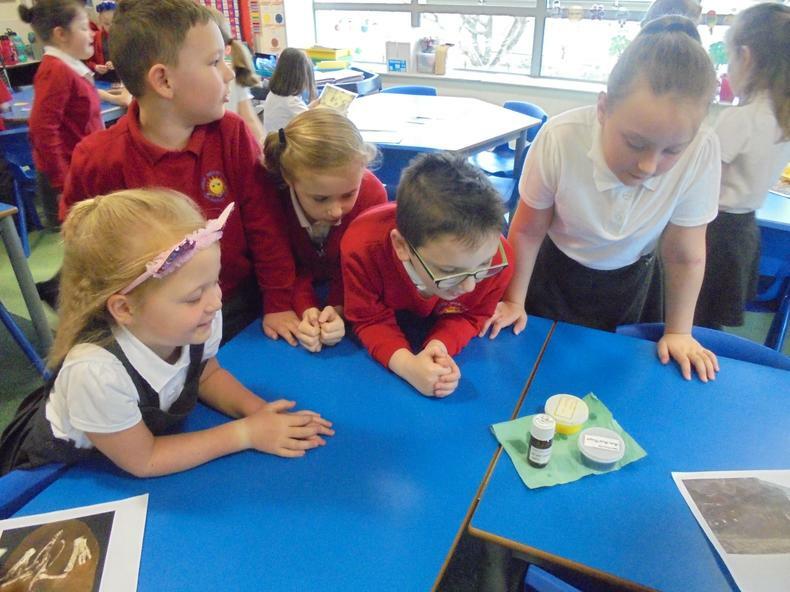 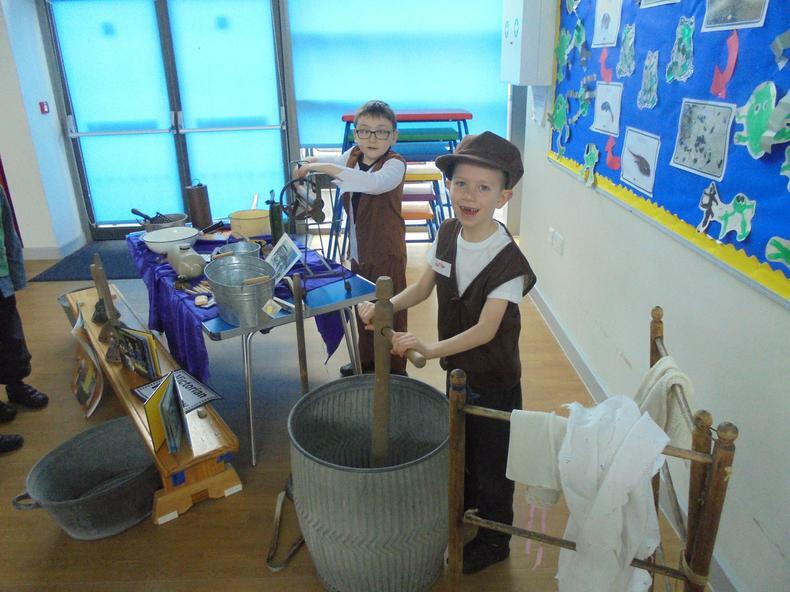 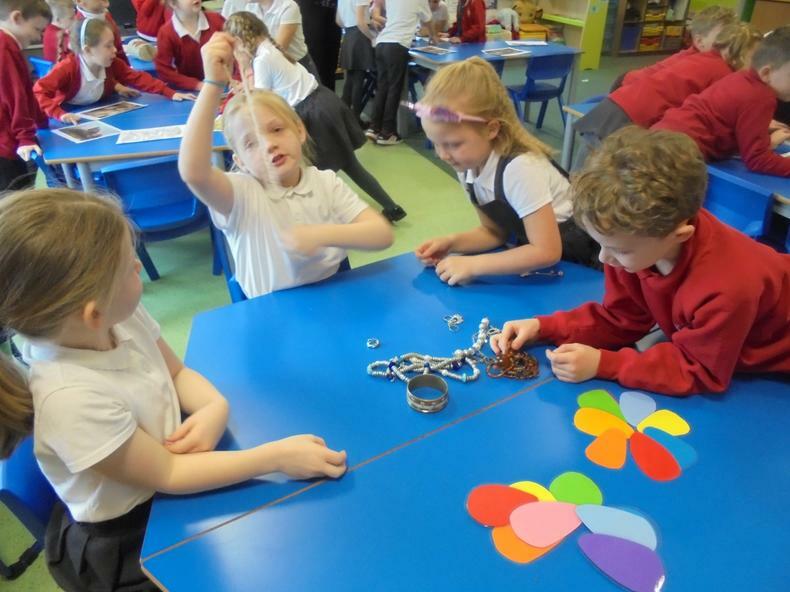 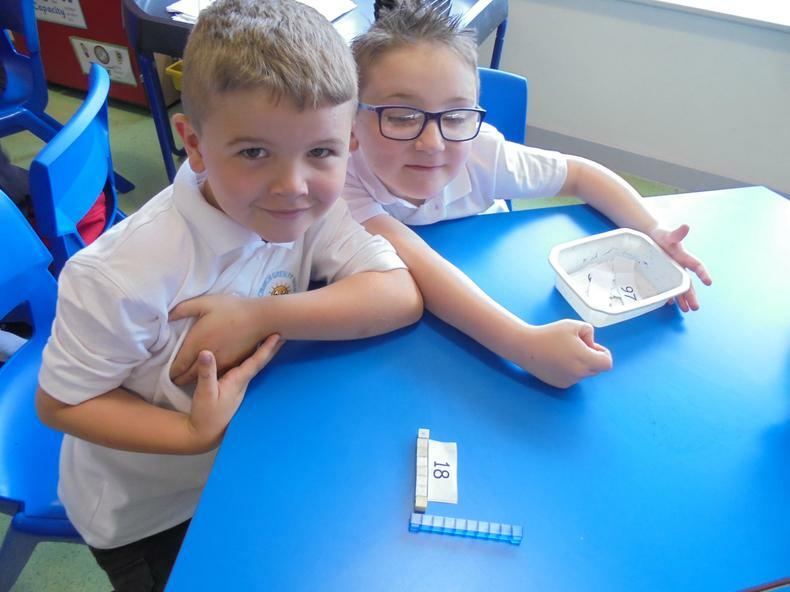 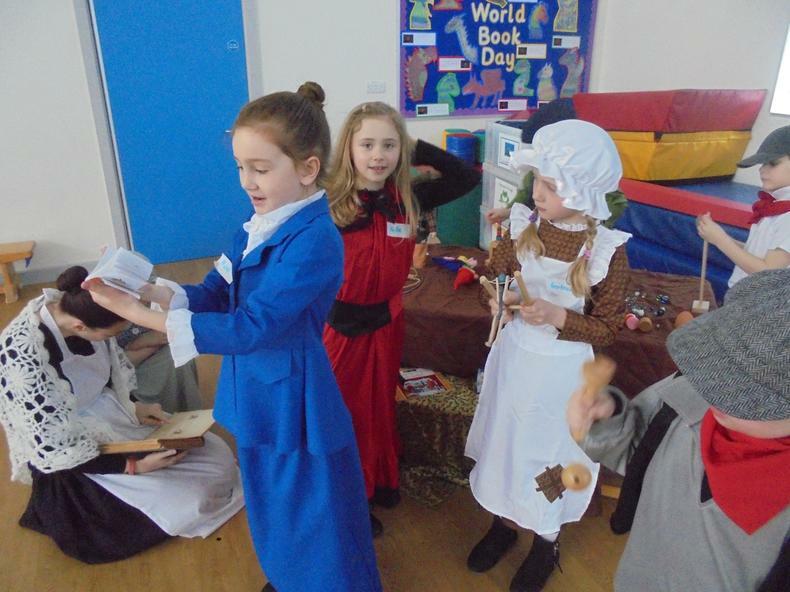 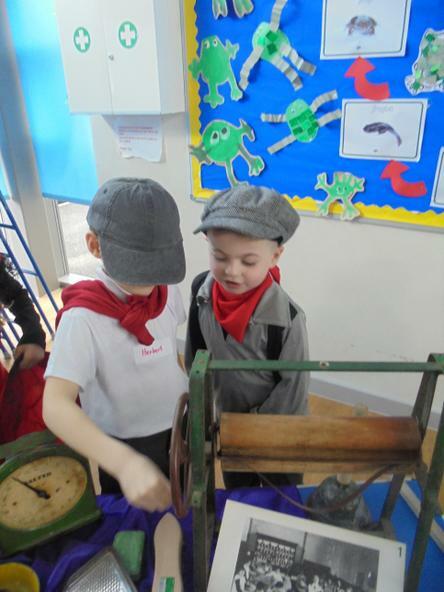 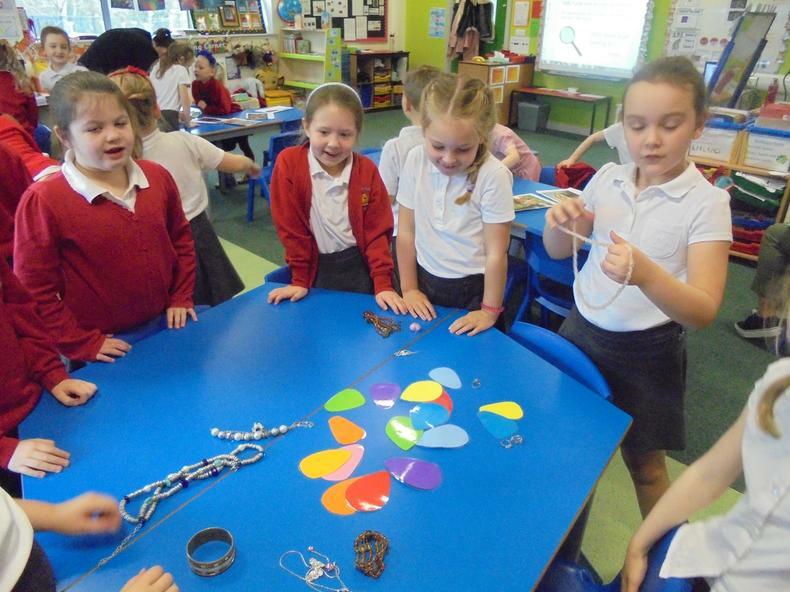 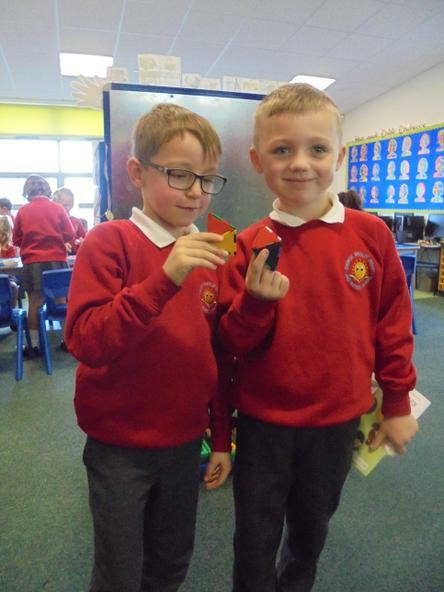 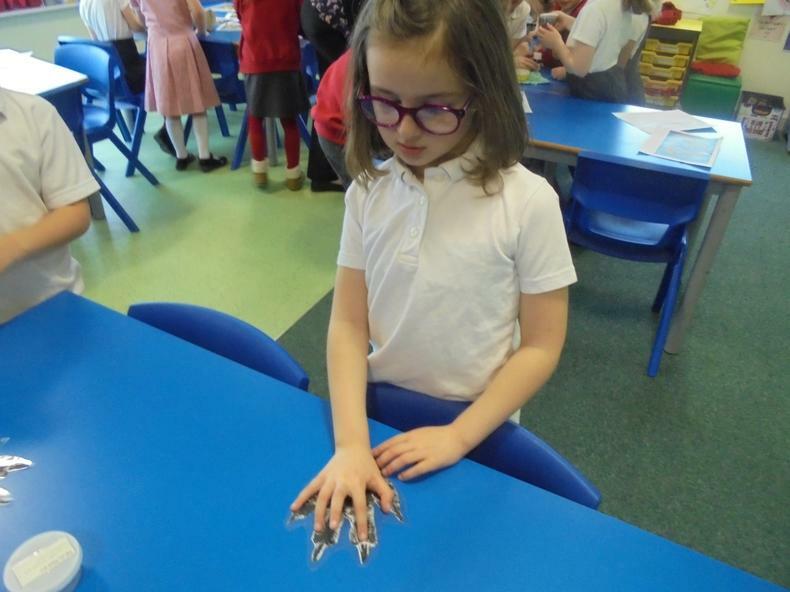 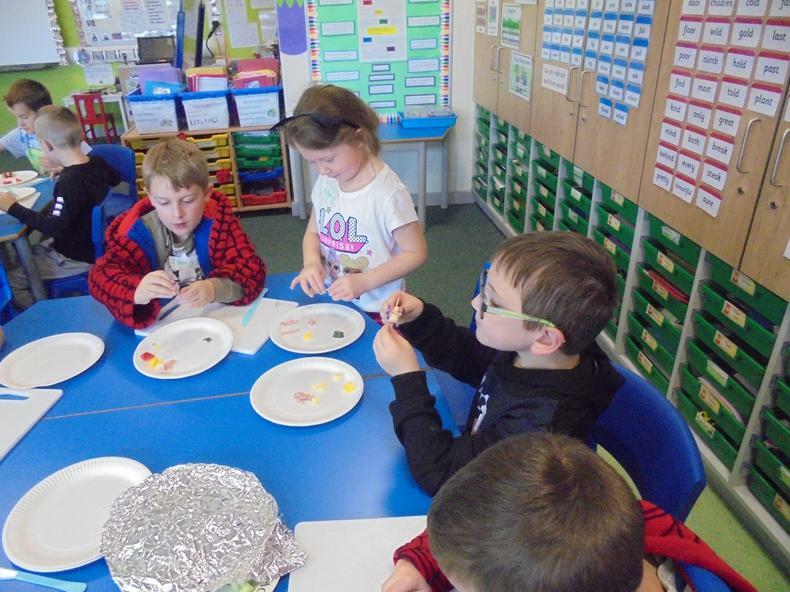 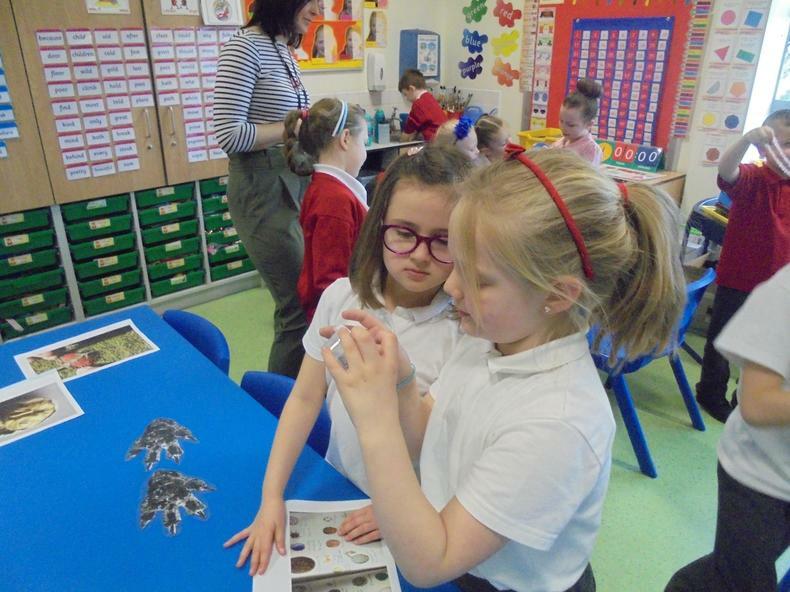 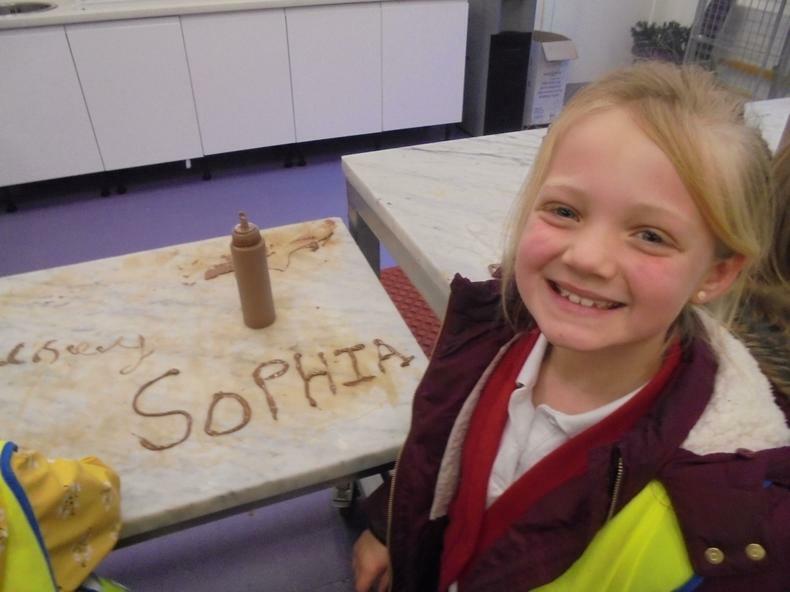 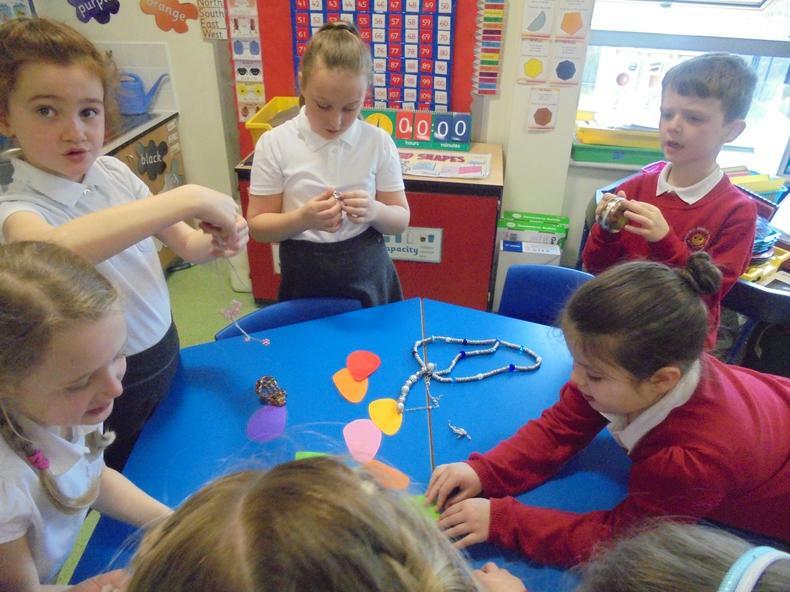 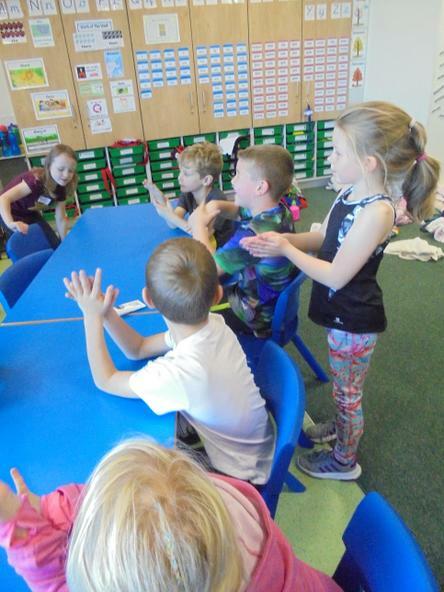 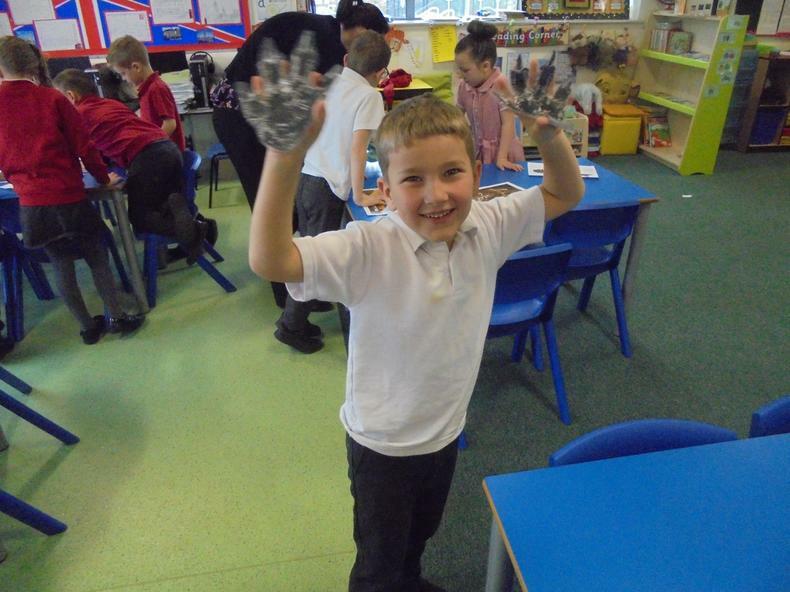 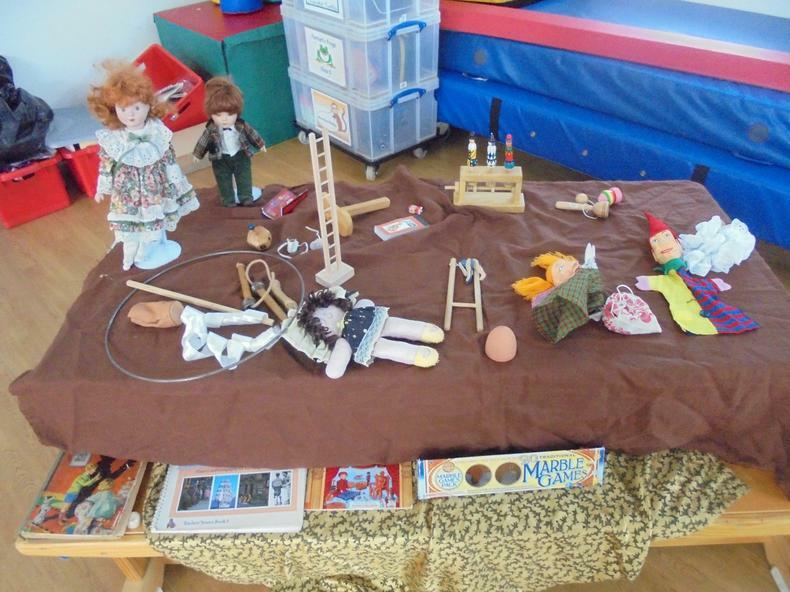 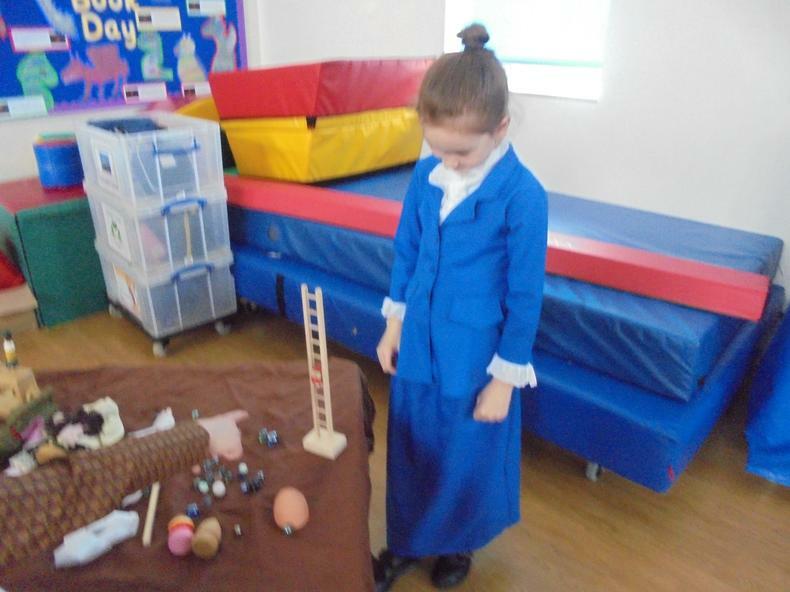 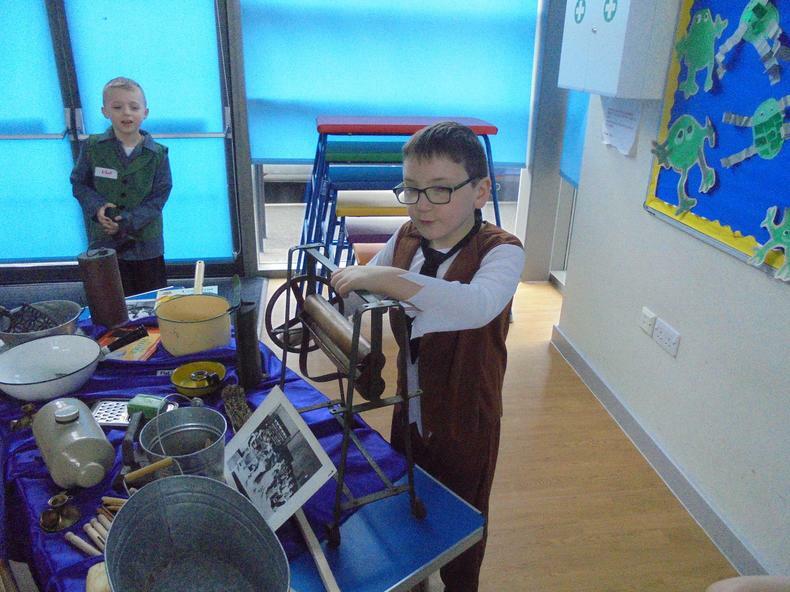 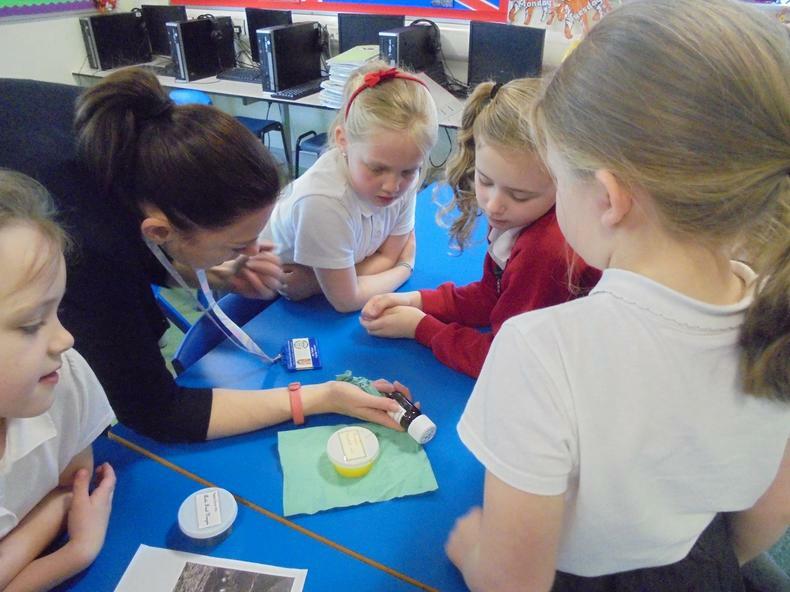 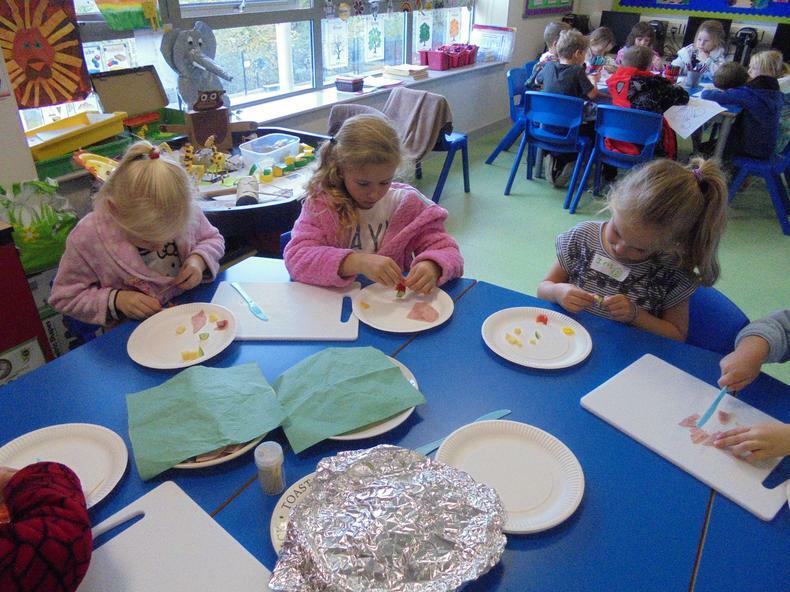 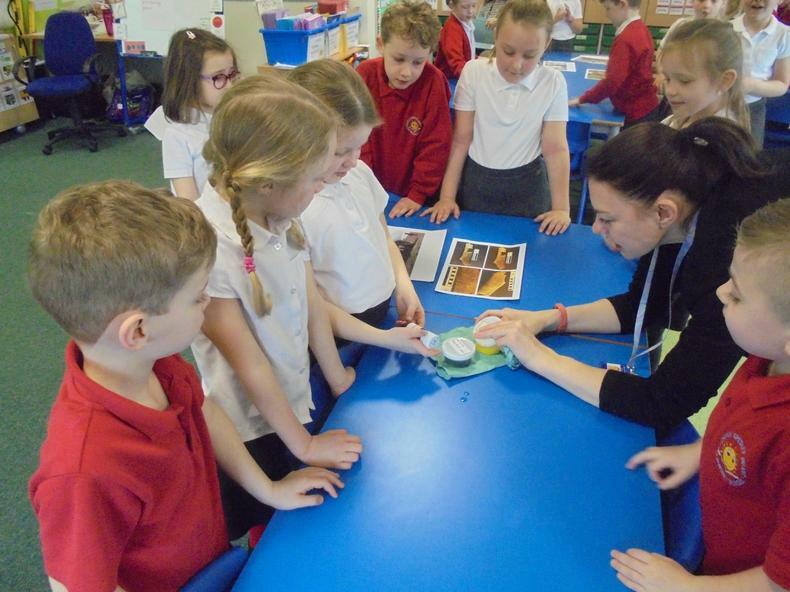 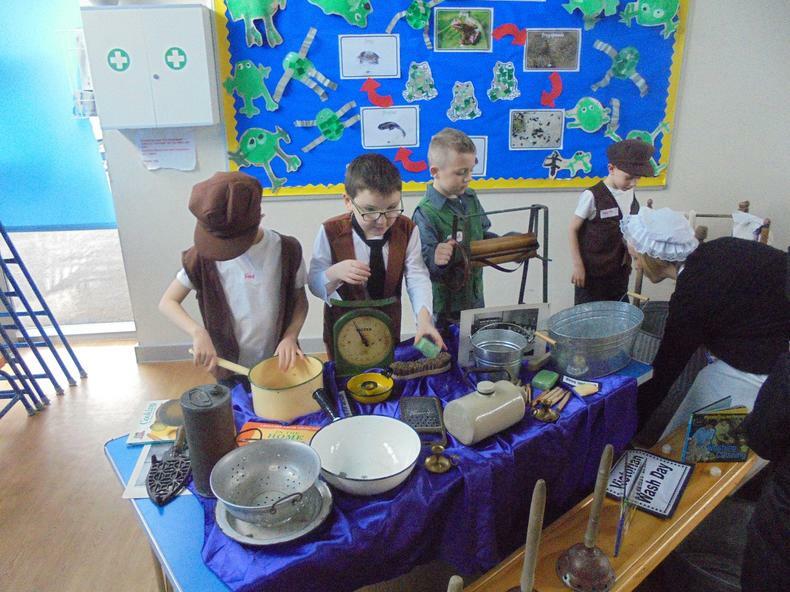 Year 2 had a brilliant day today celebrating all the things we have learned in science this term. 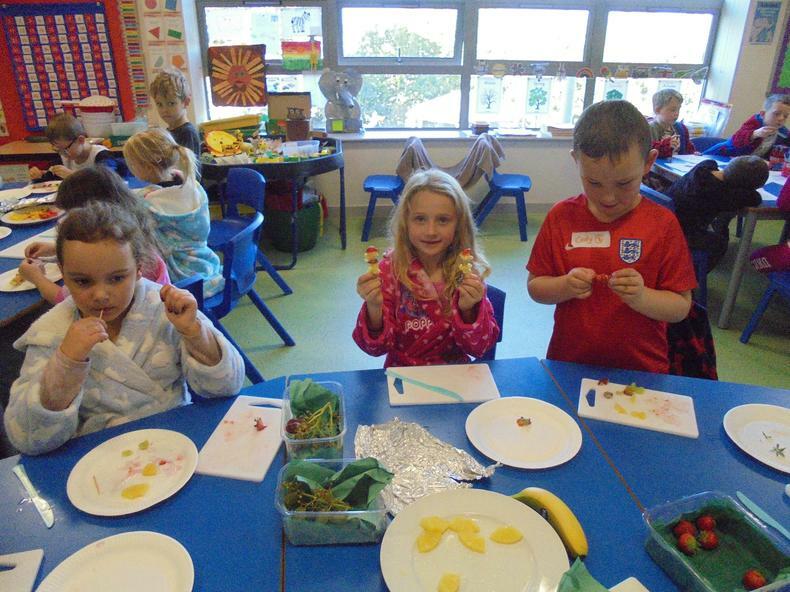 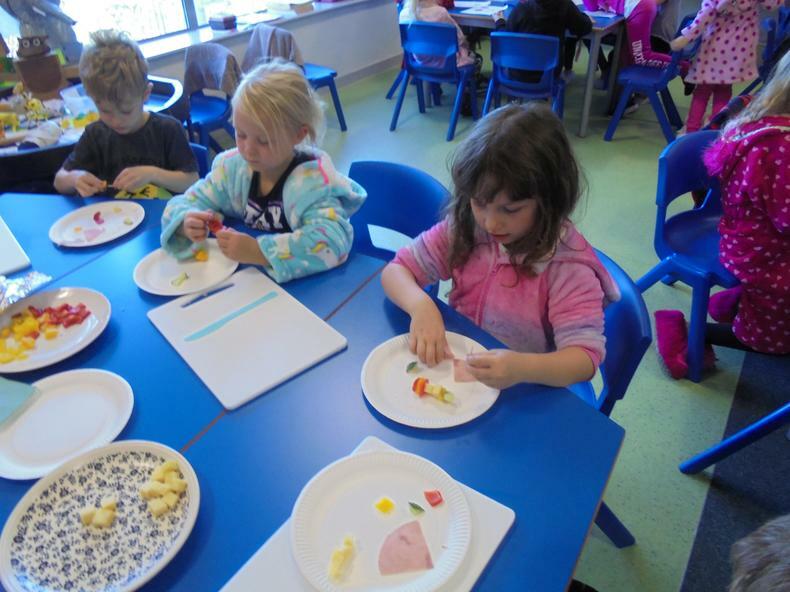 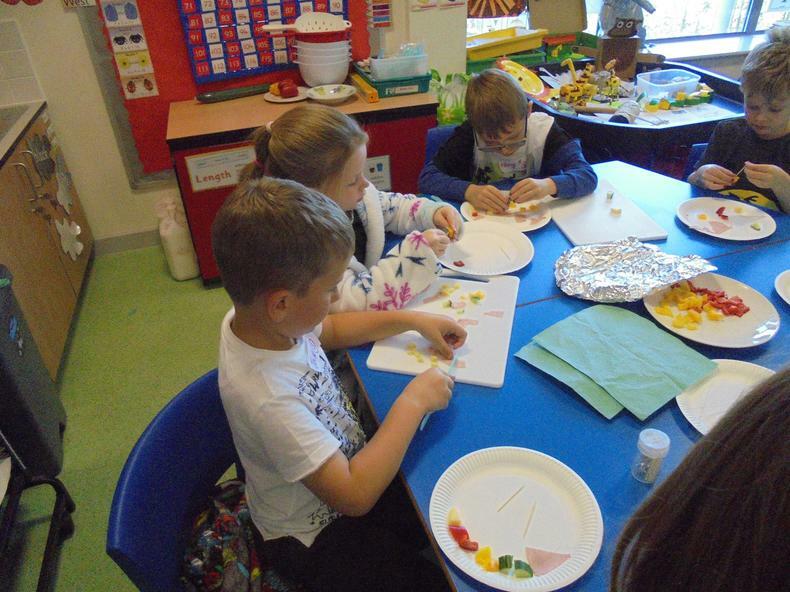 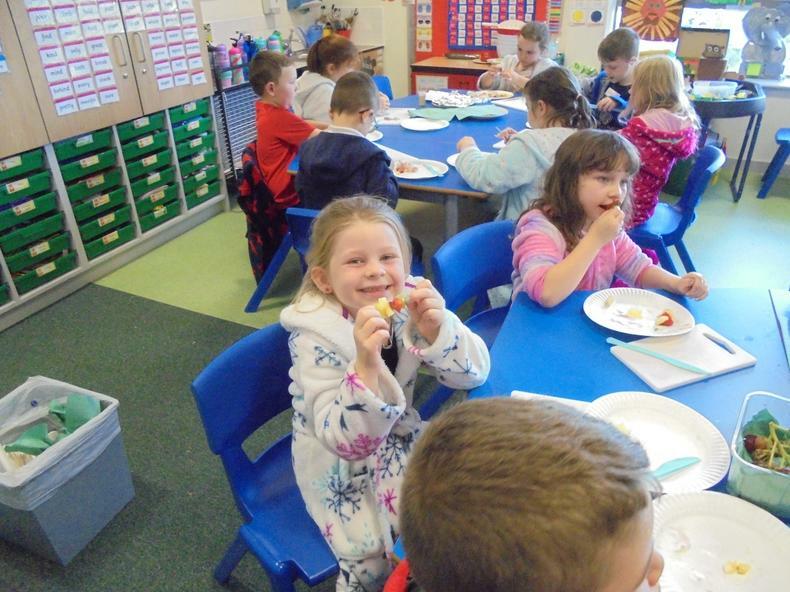 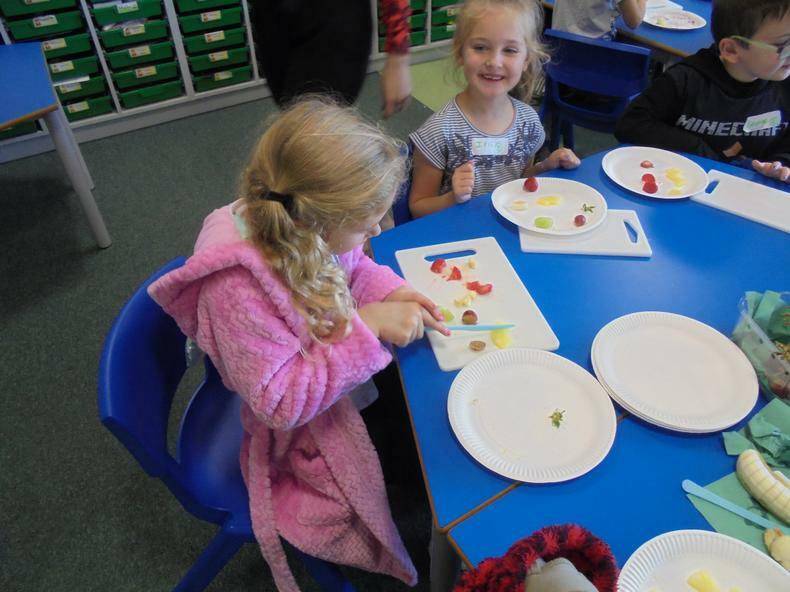 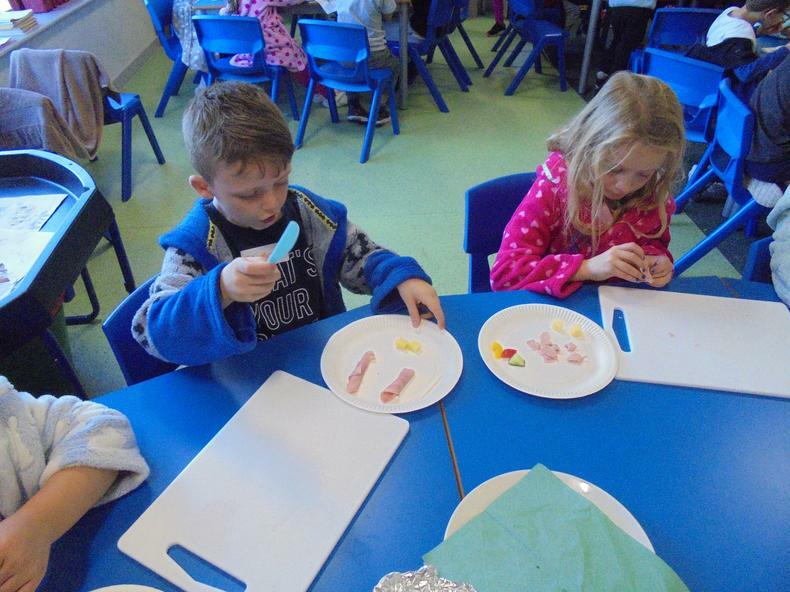 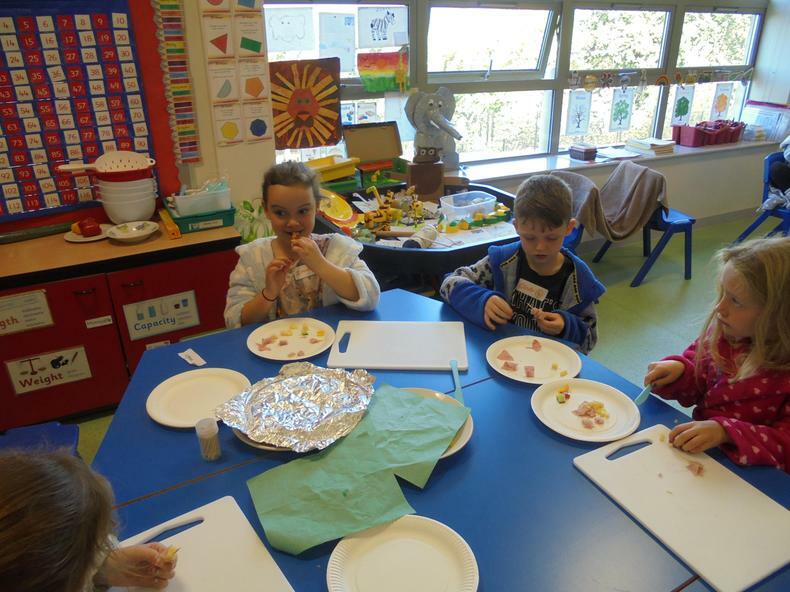 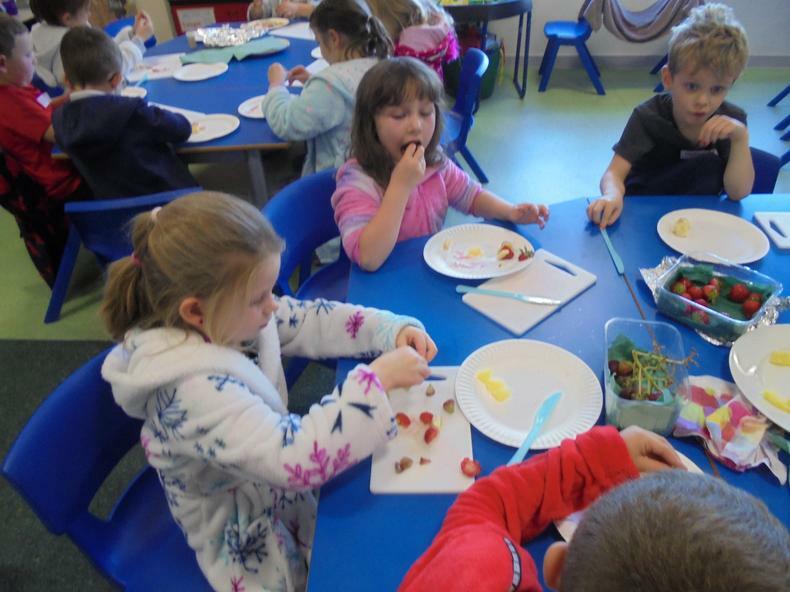 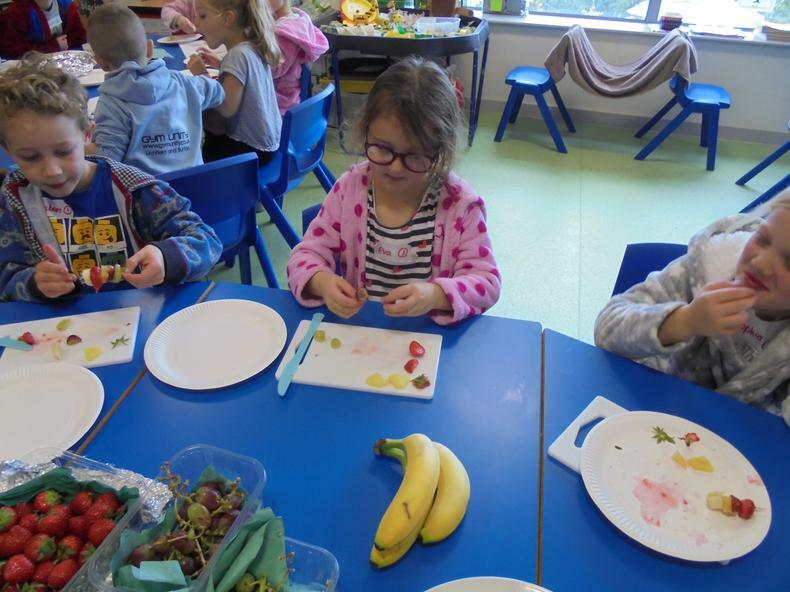 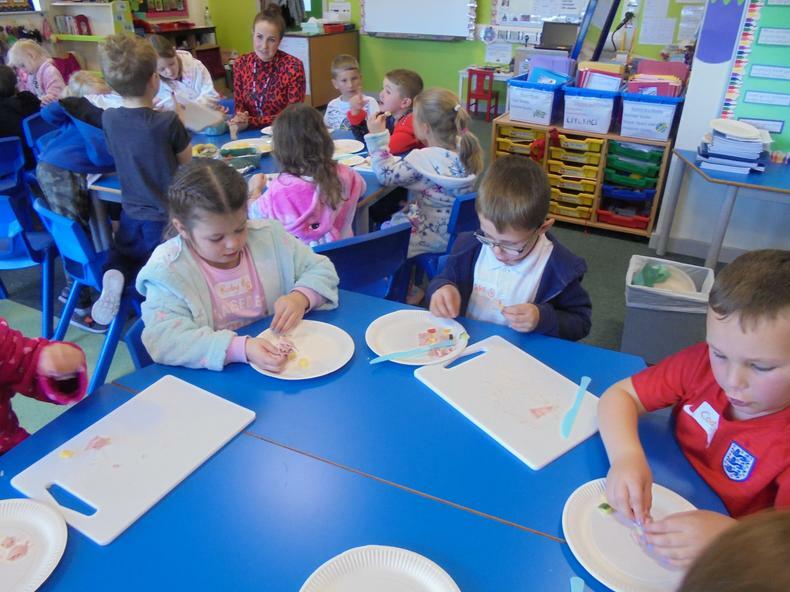 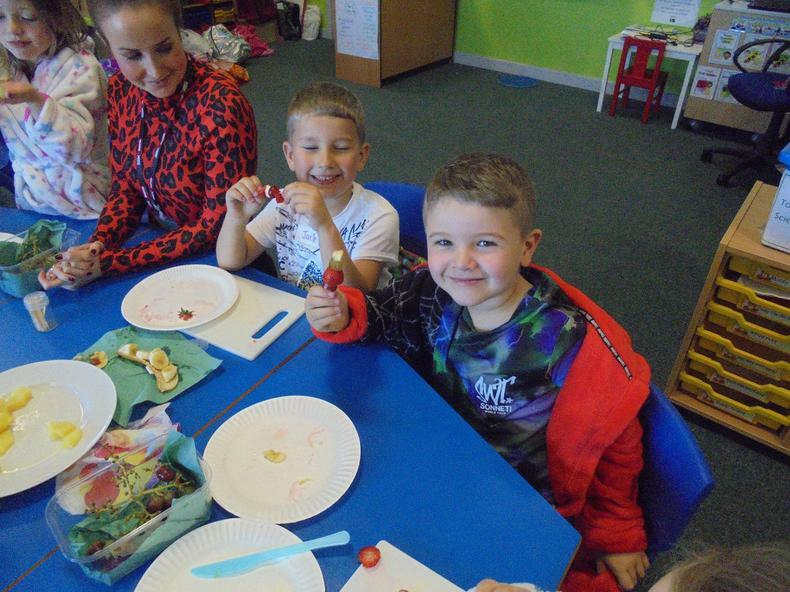 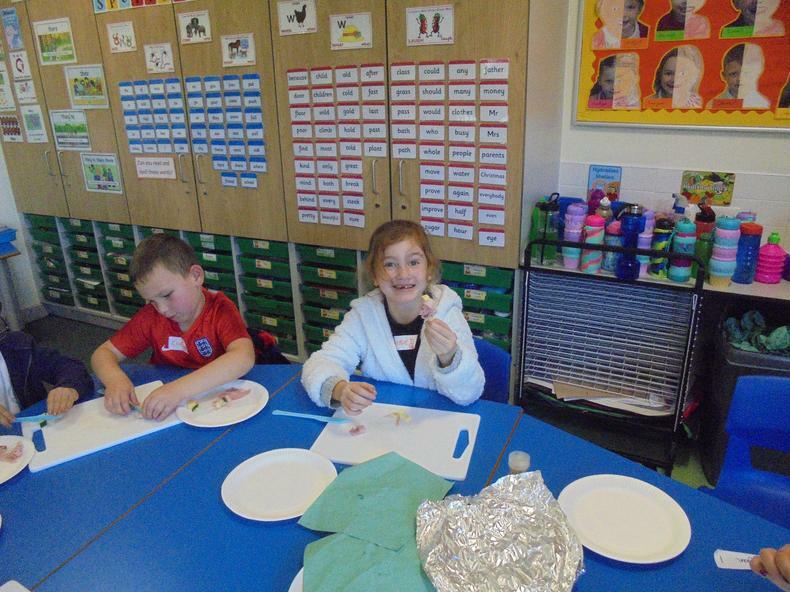 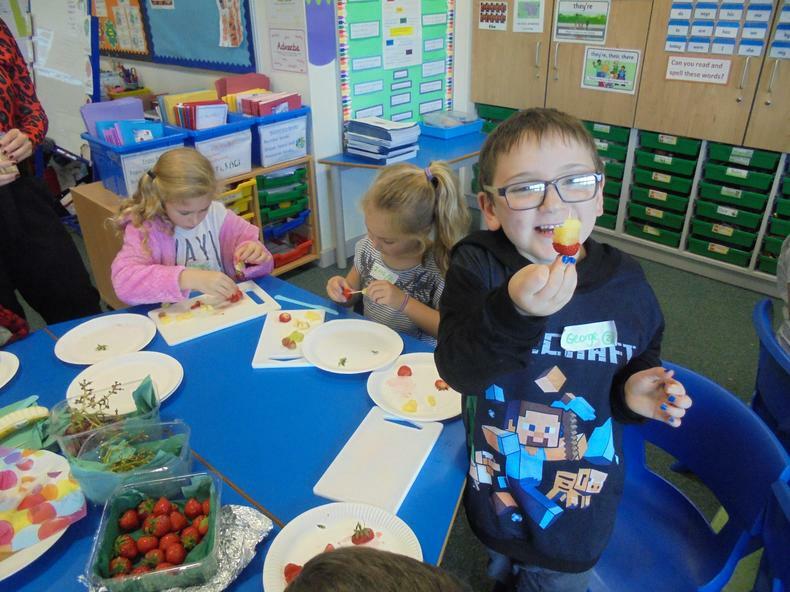 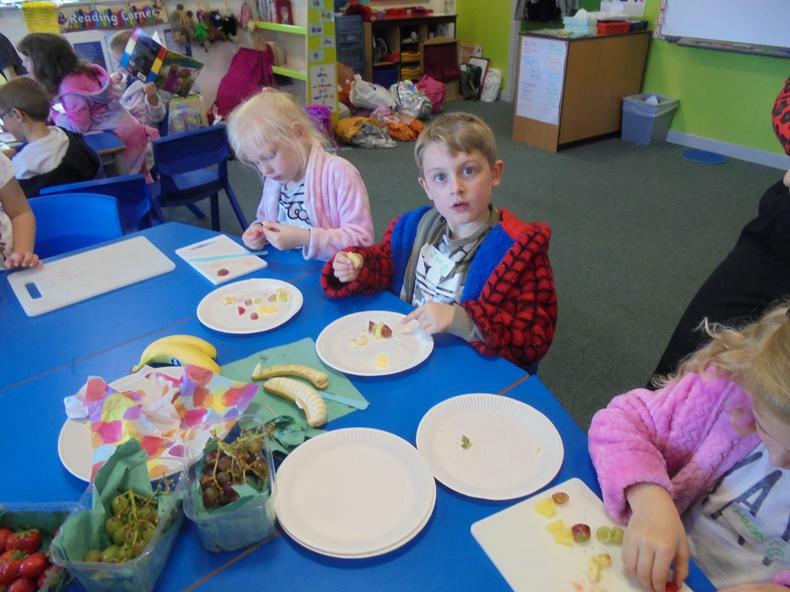 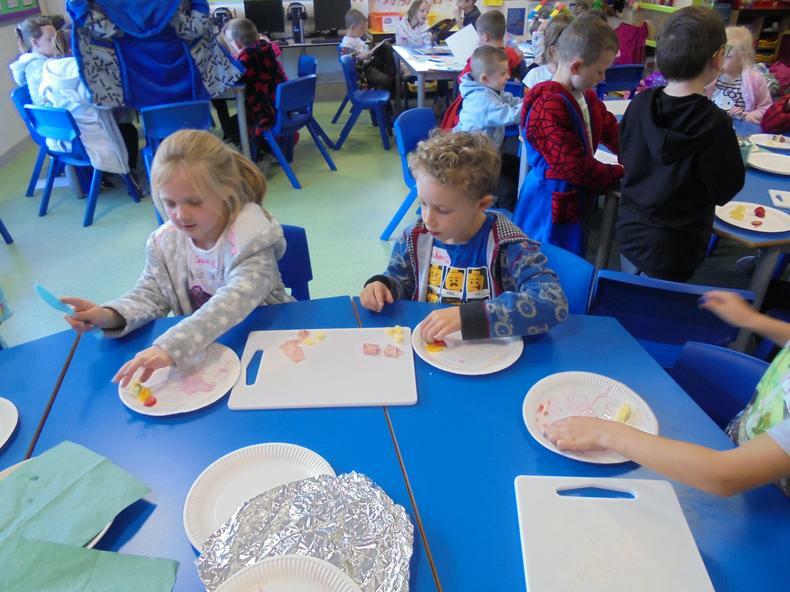 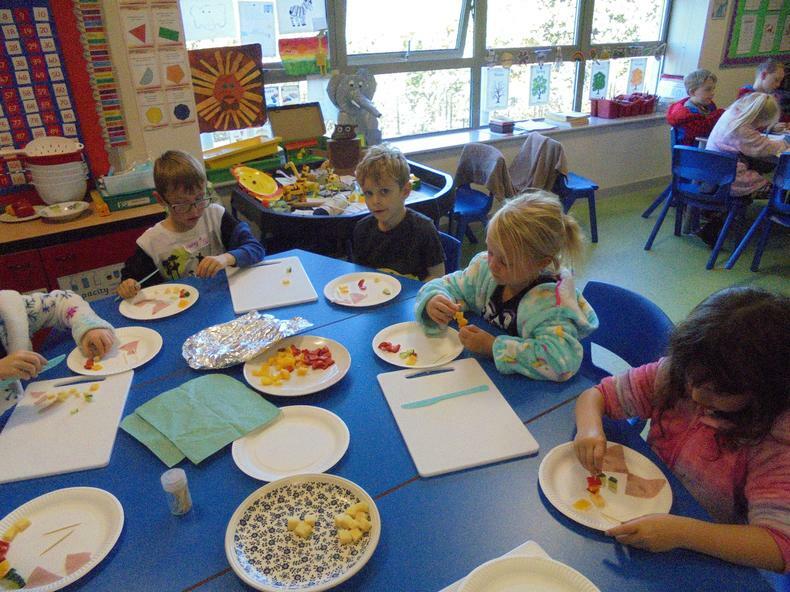 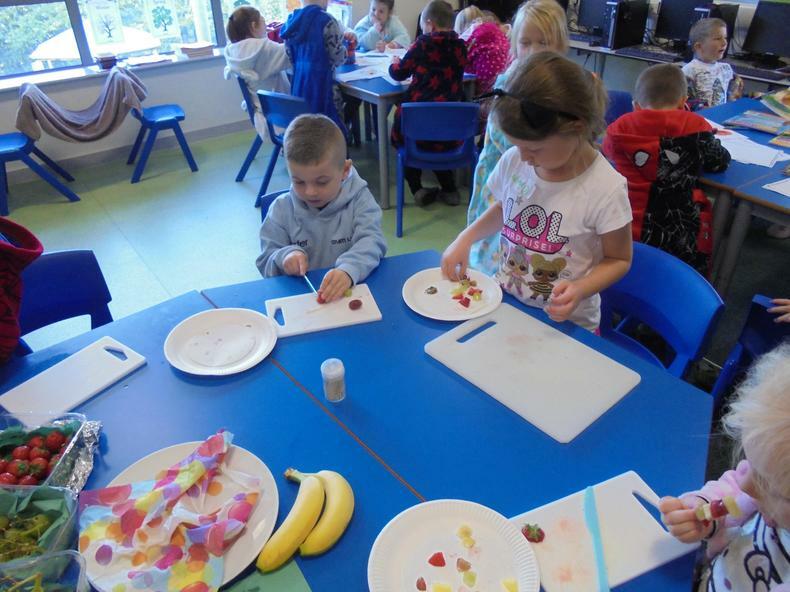 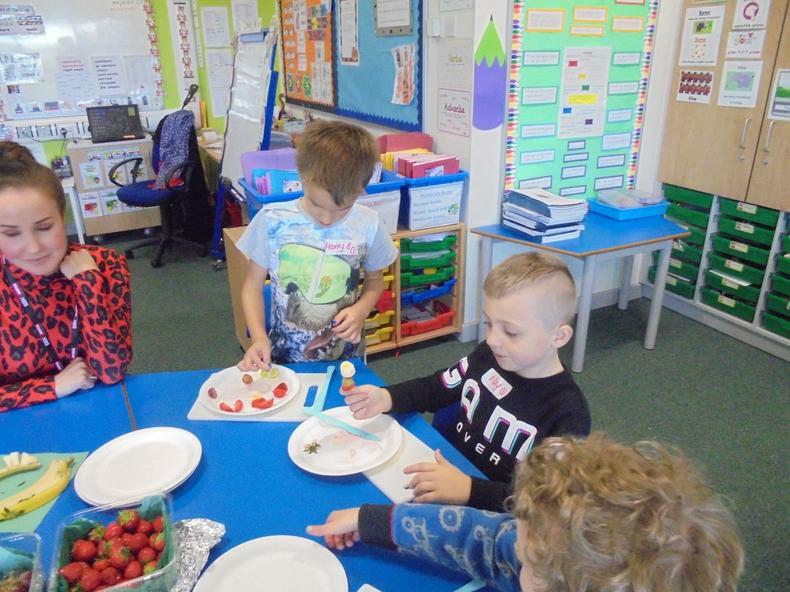 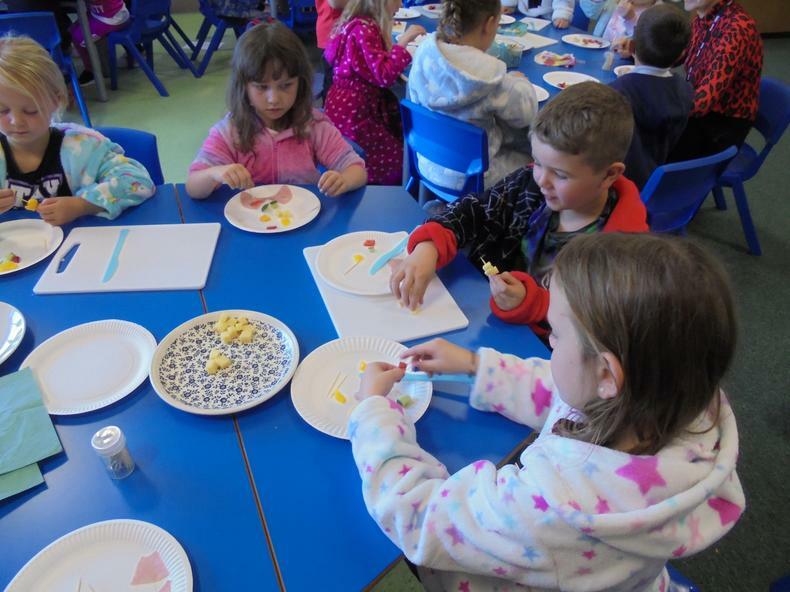 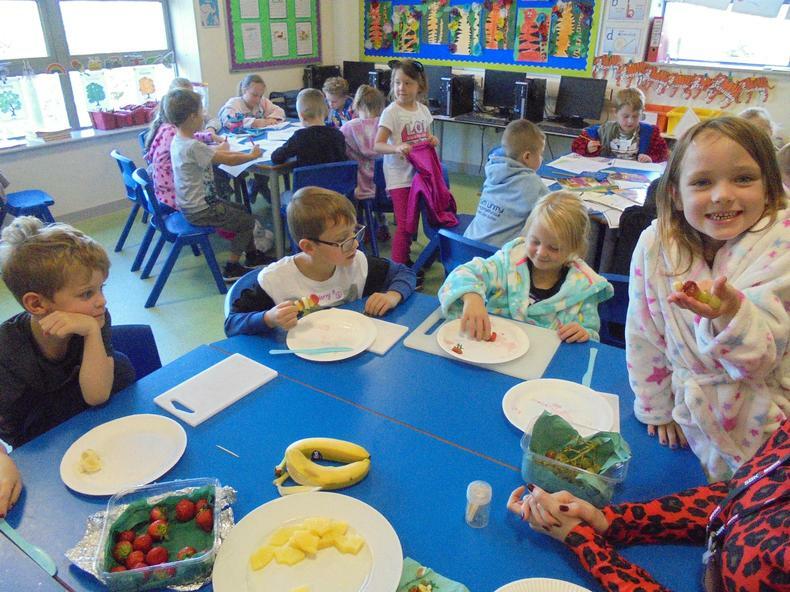 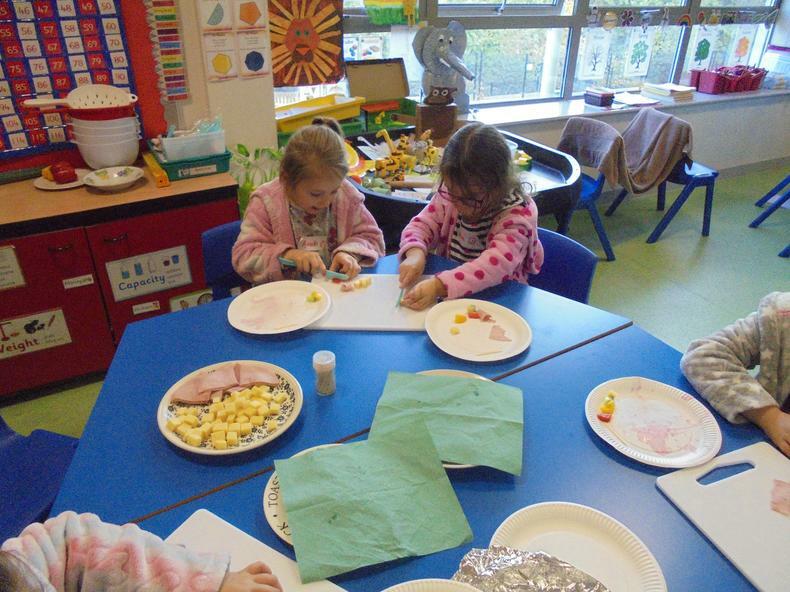 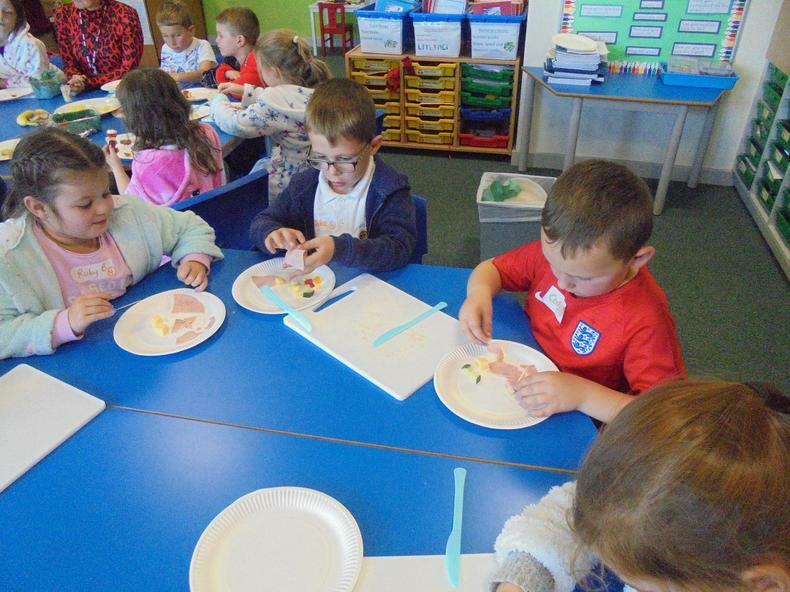 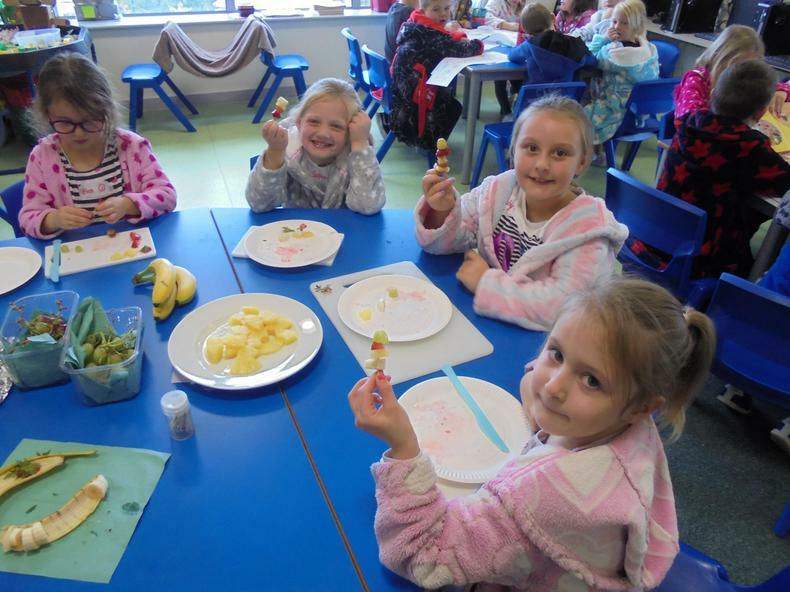 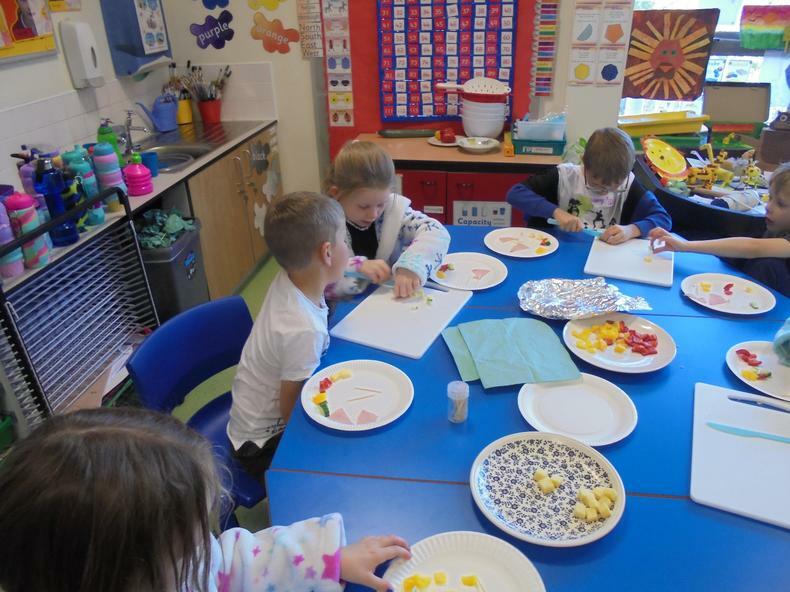 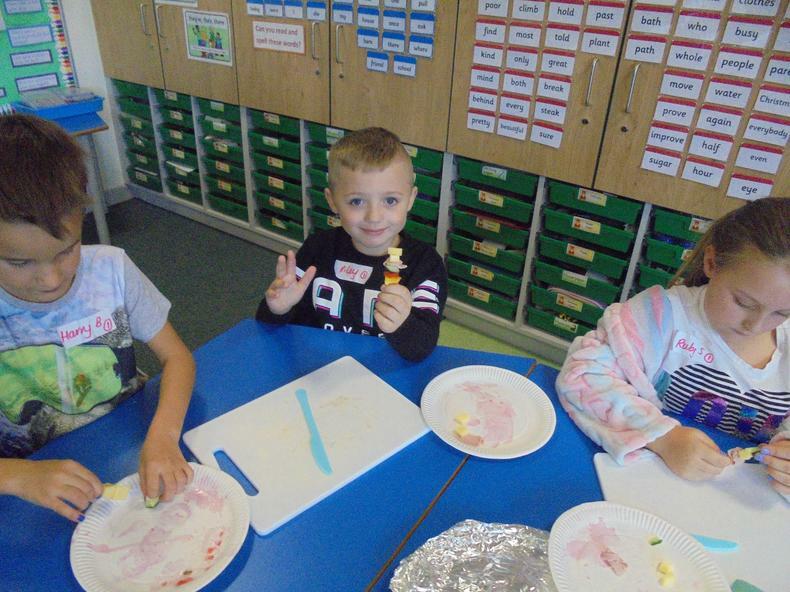 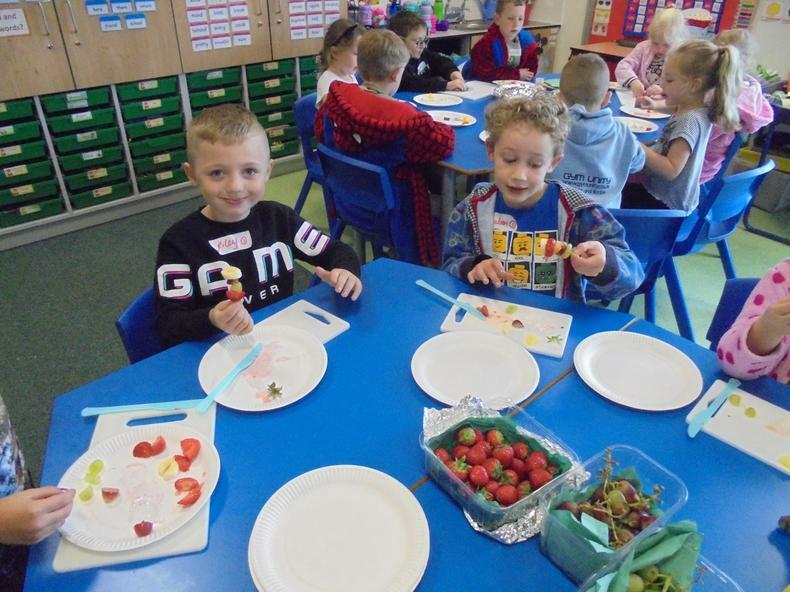 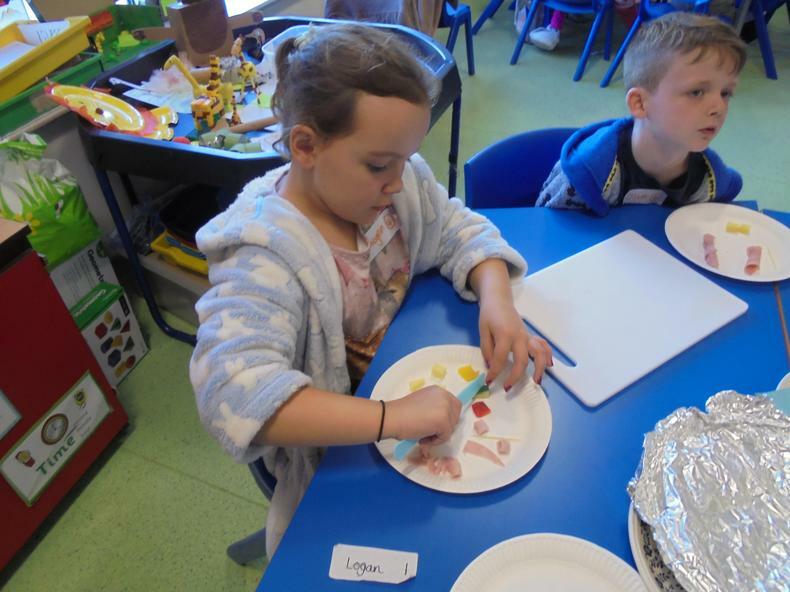 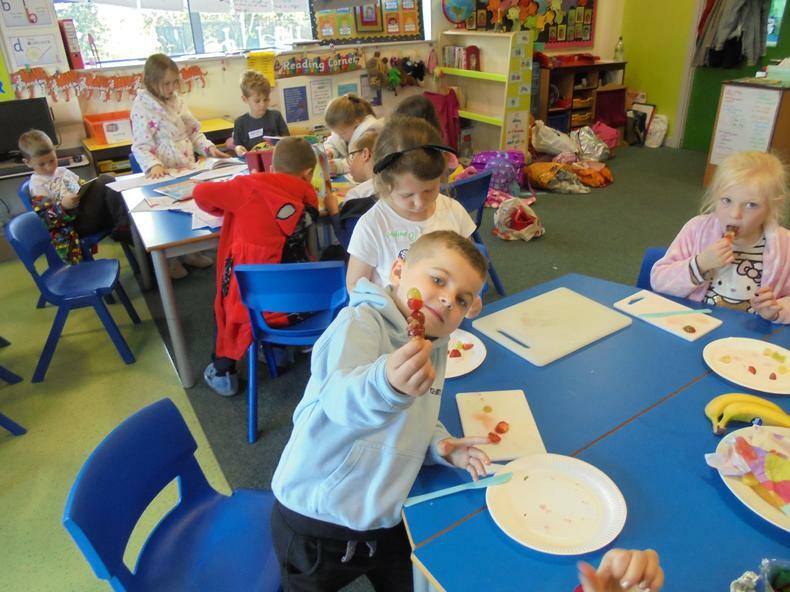 We enjoyed making healthy kebabs and exercising outside with Mrs Elks. 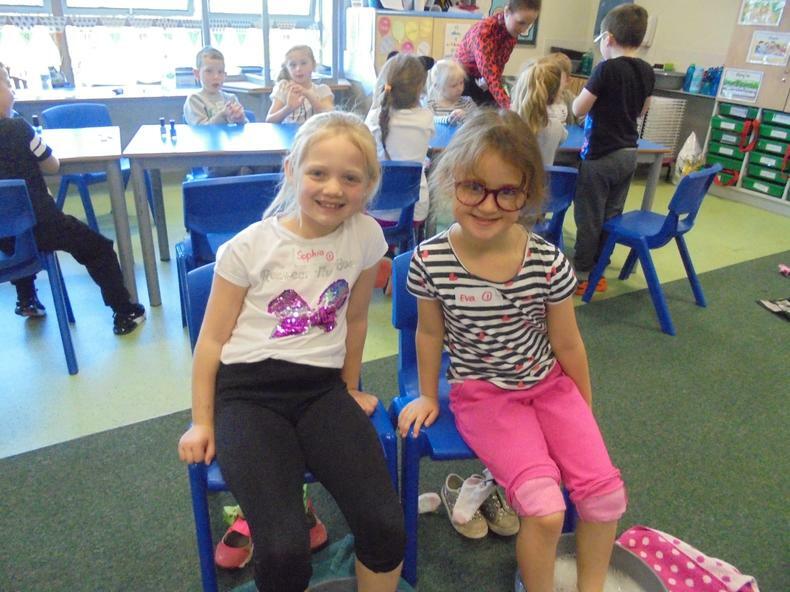 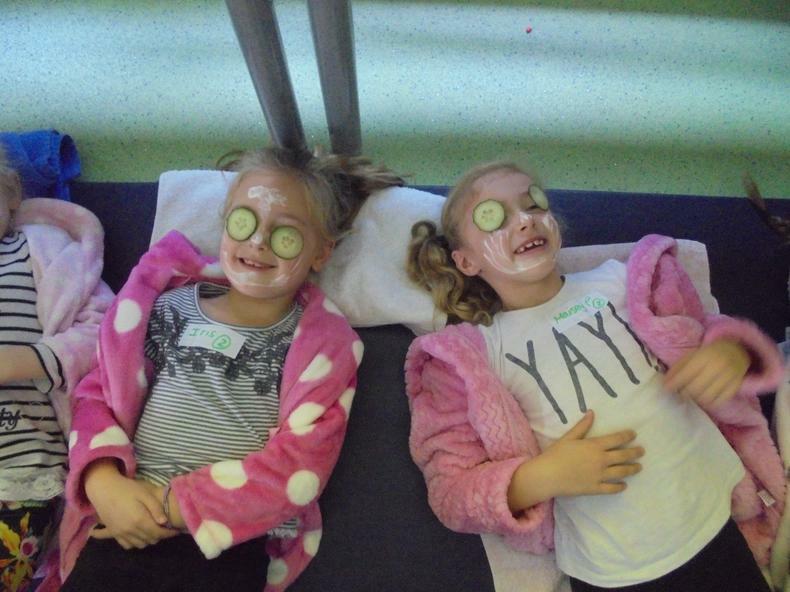 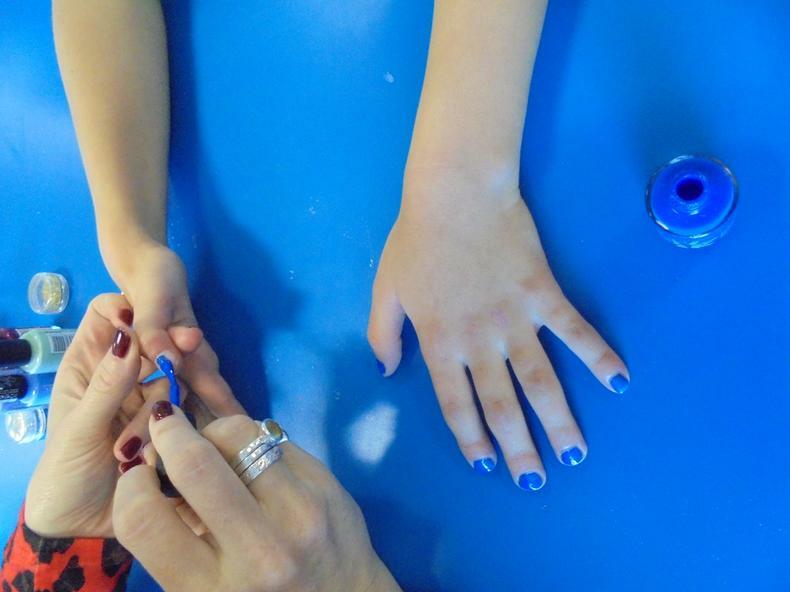 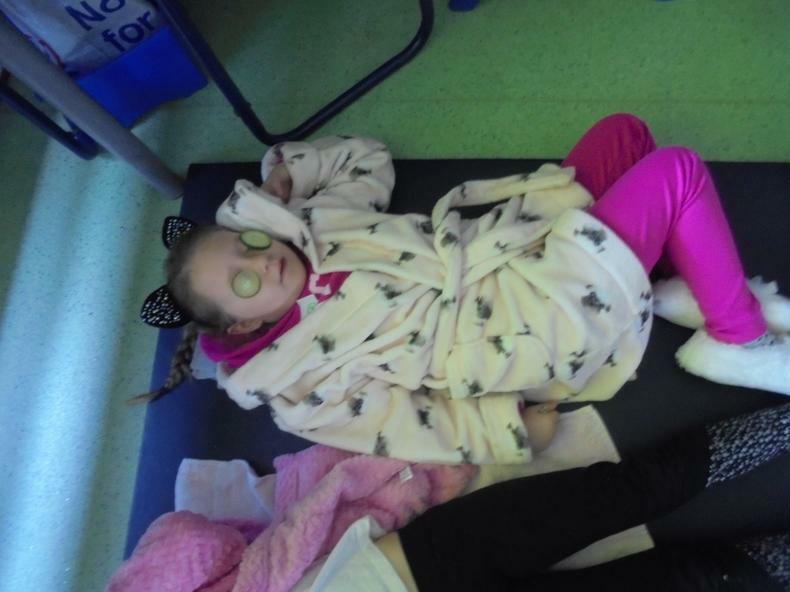 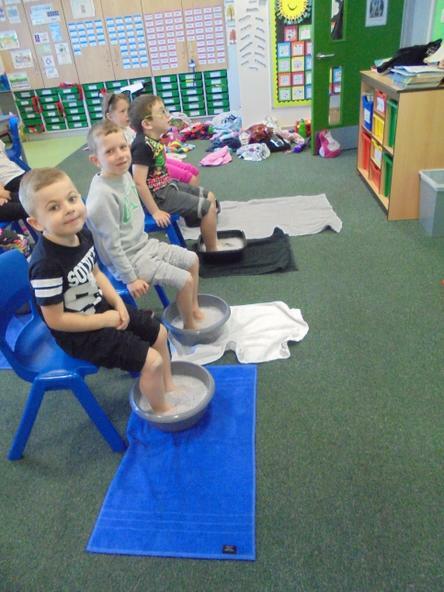 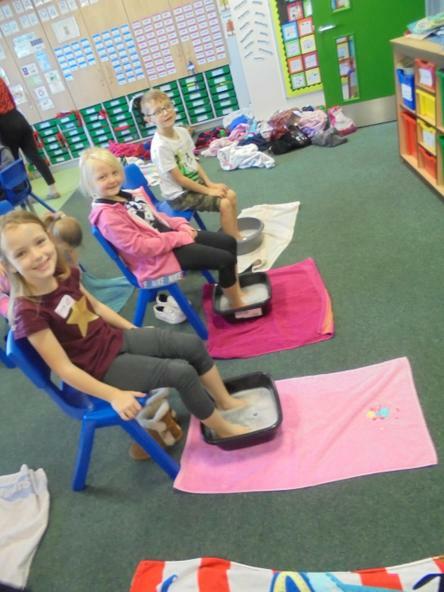 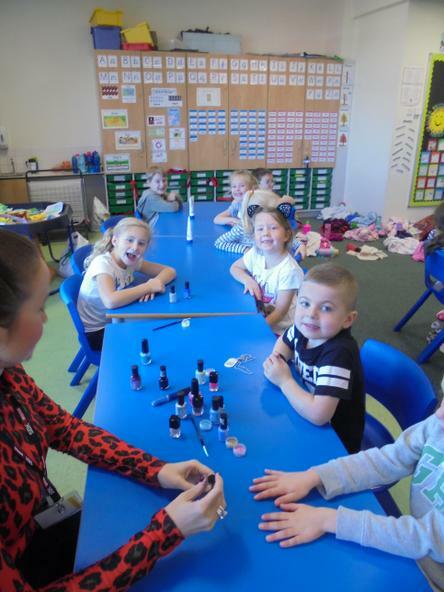 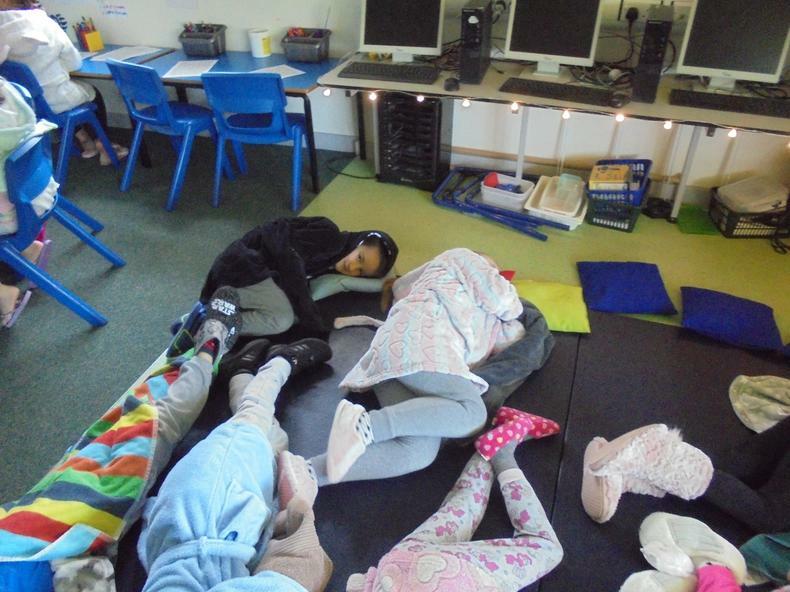 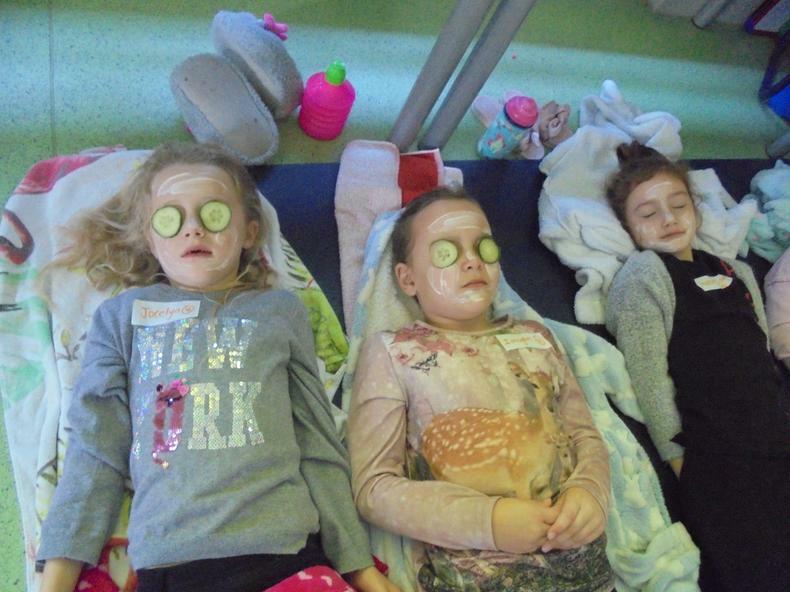 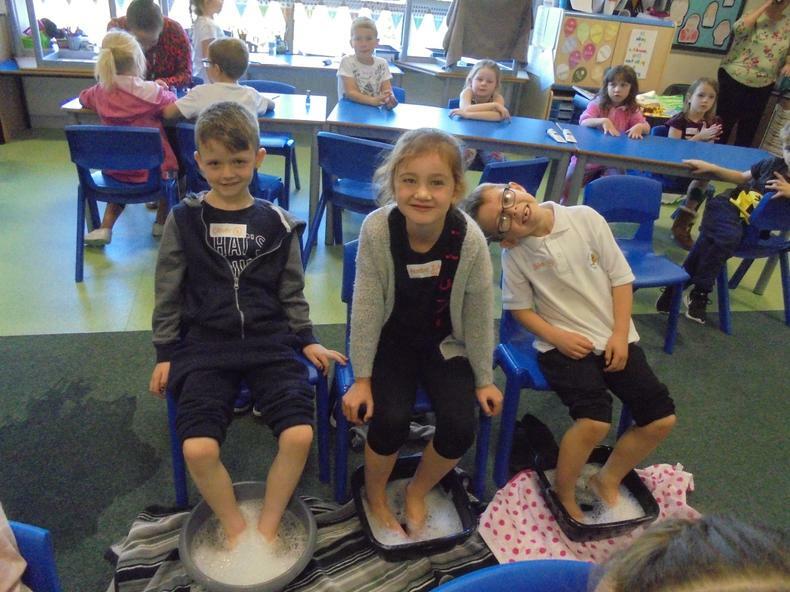 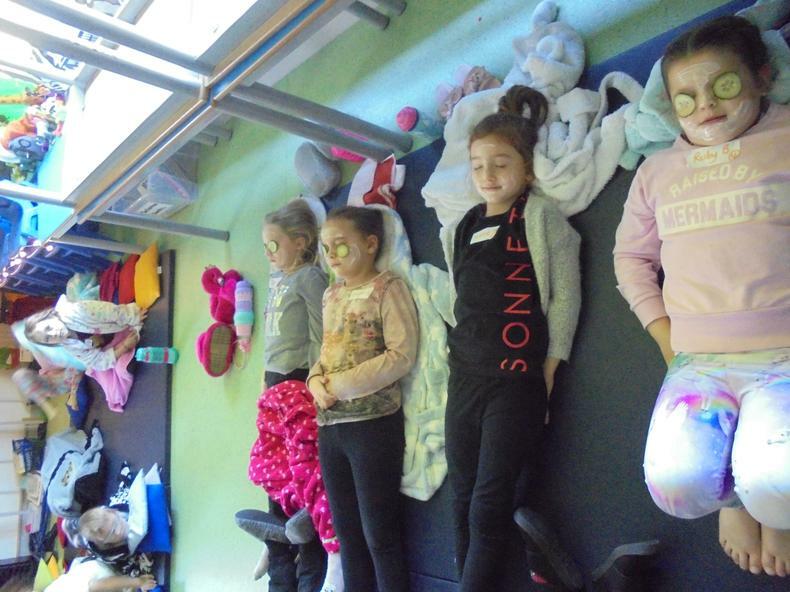 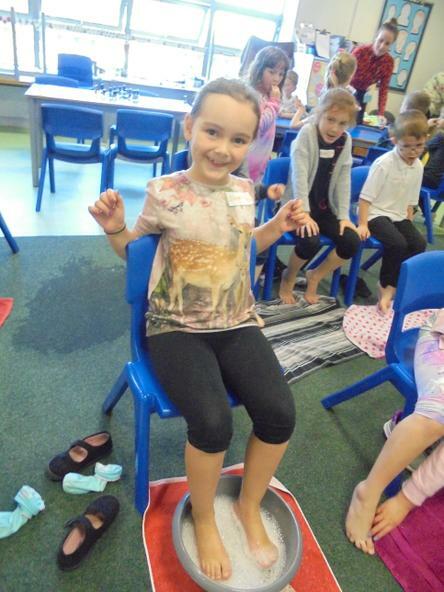 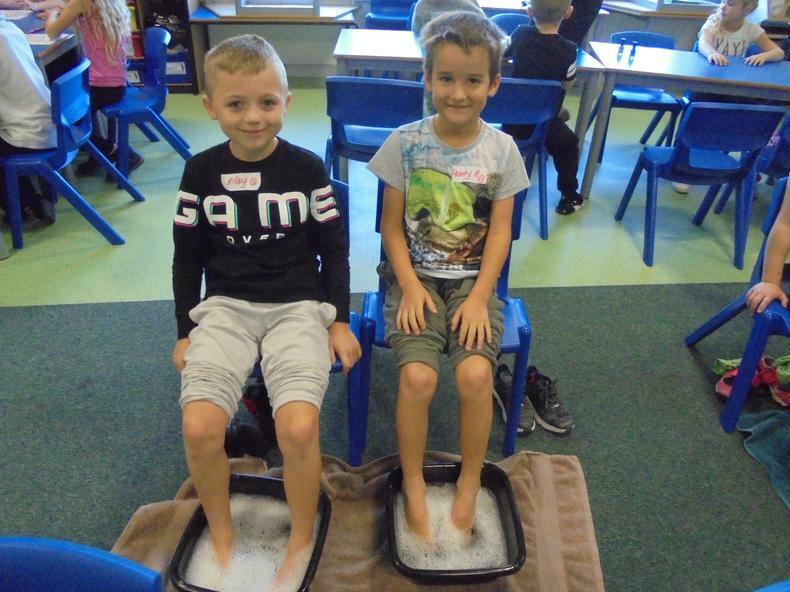 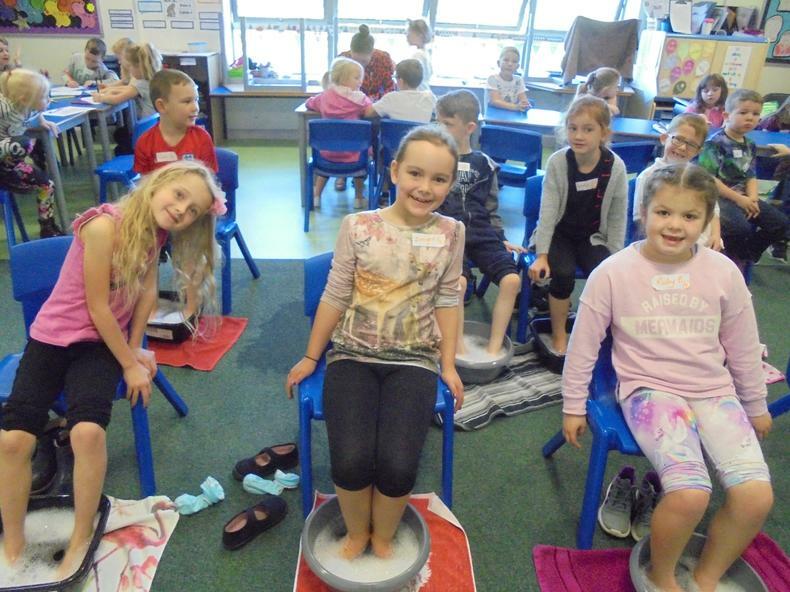 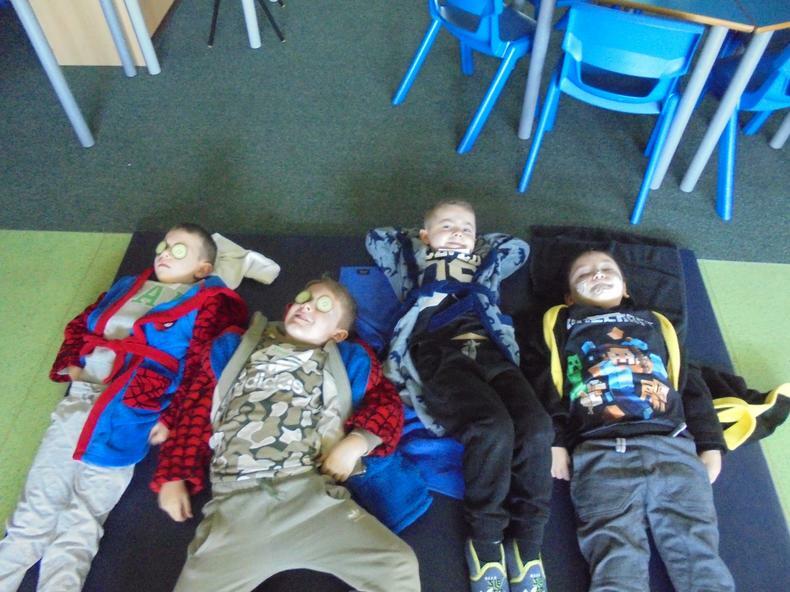 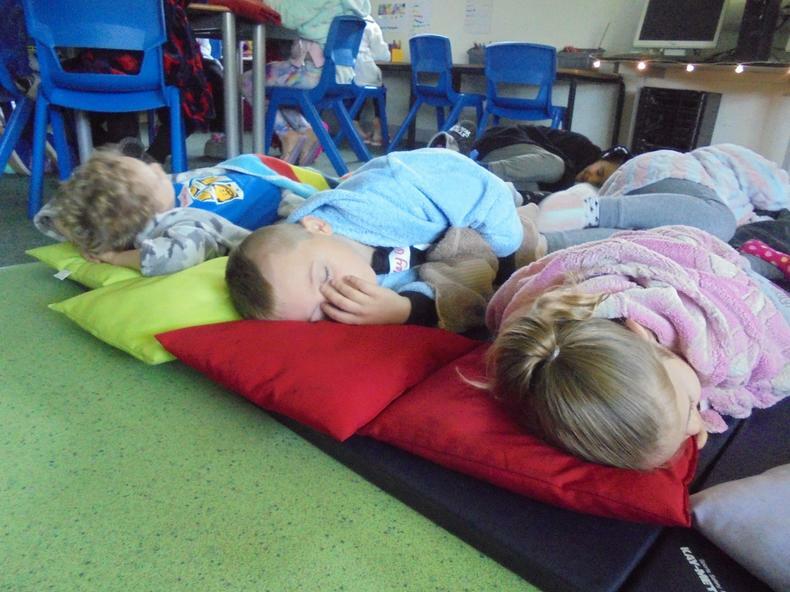 We did yoga, we had relaxing face masks and we even had our nails painted and a foot spa! 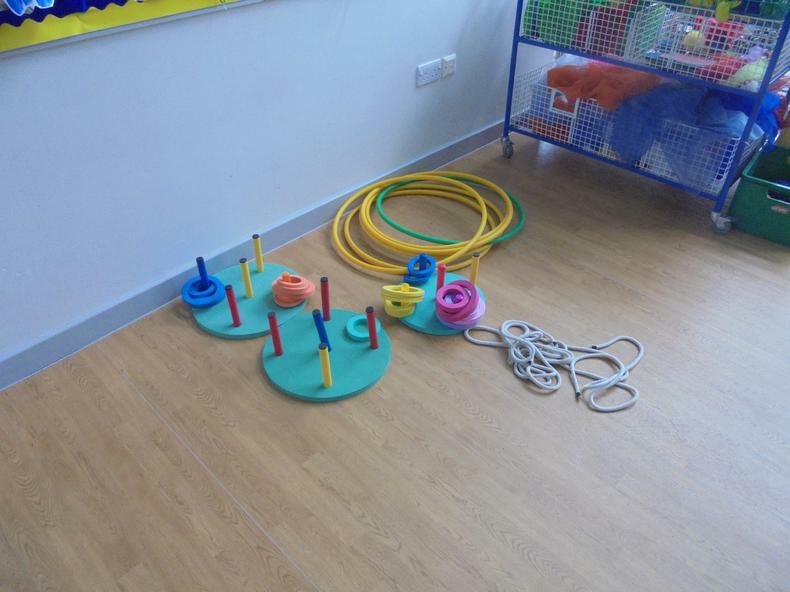 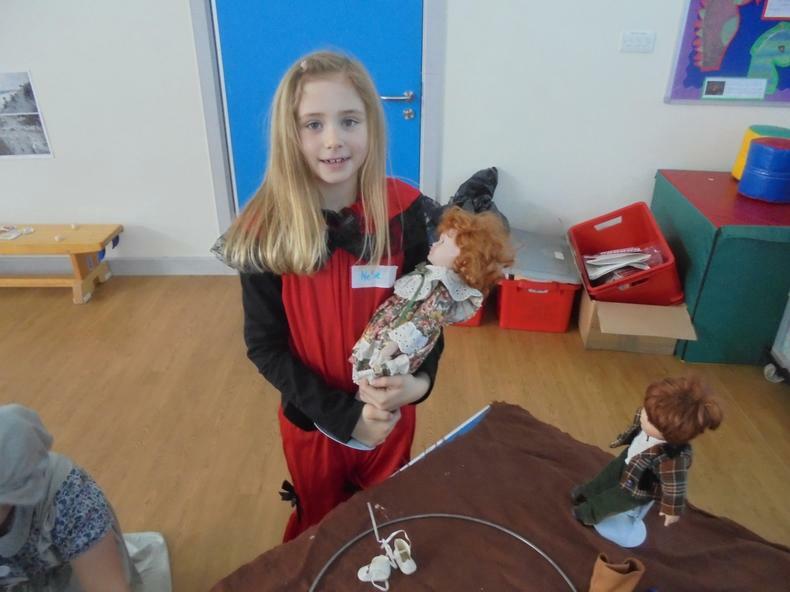 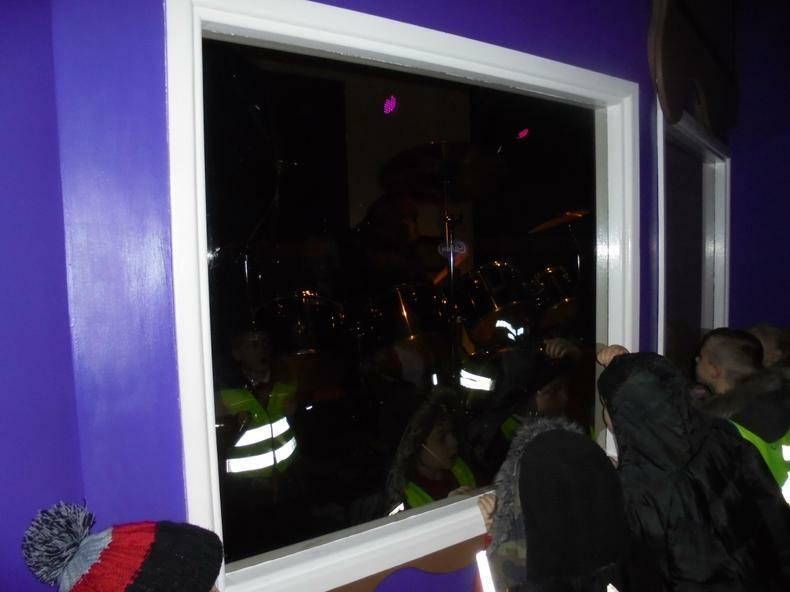 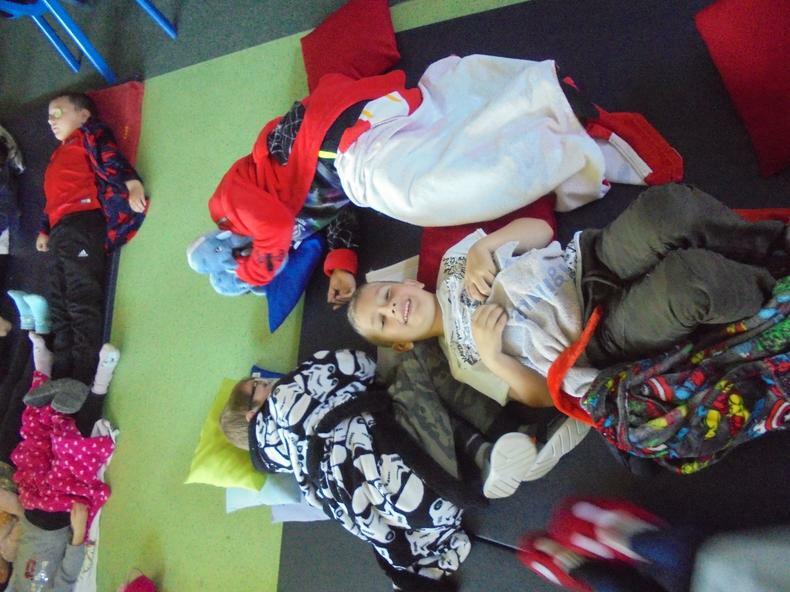 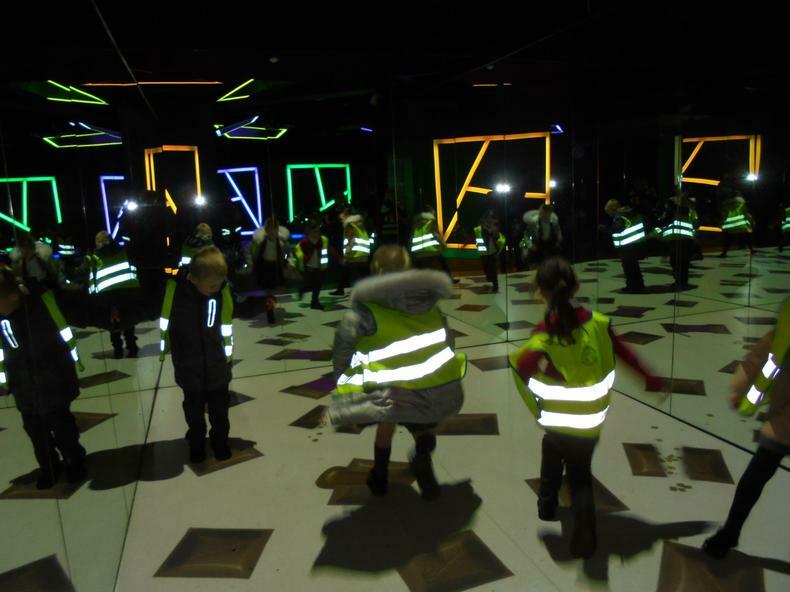 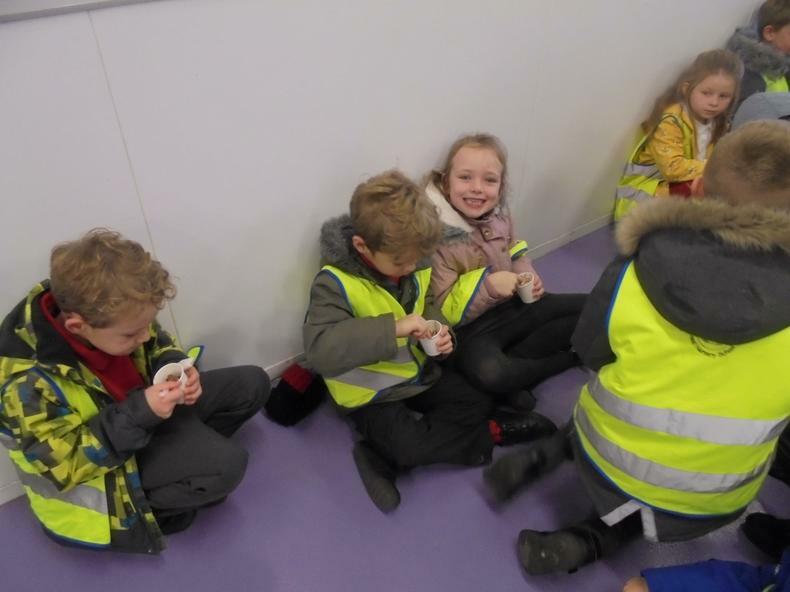 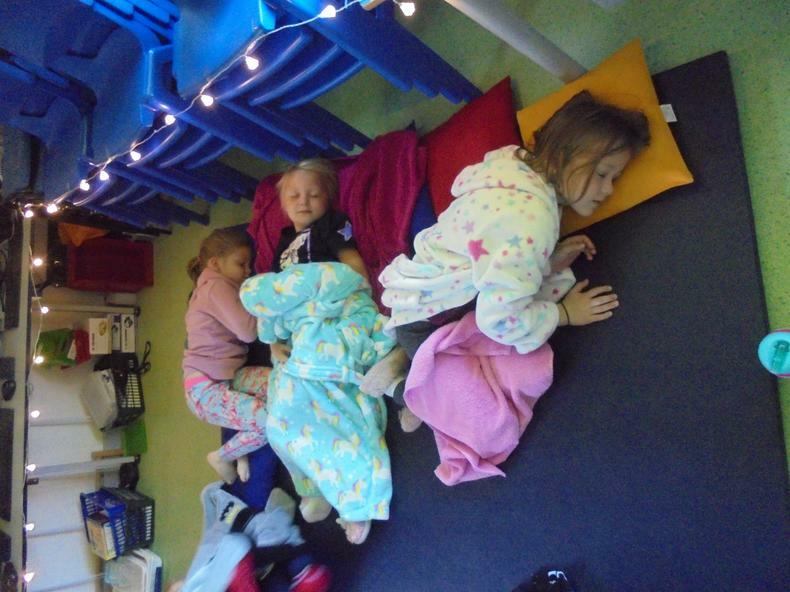 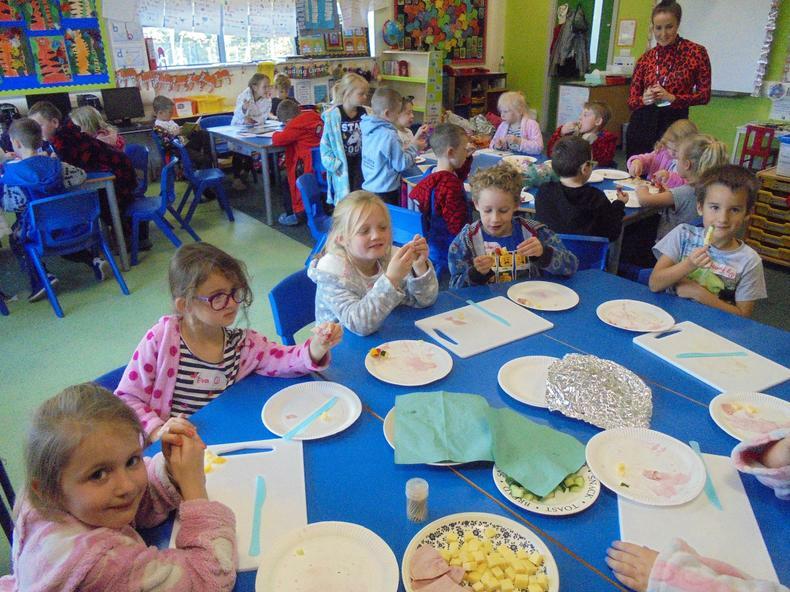 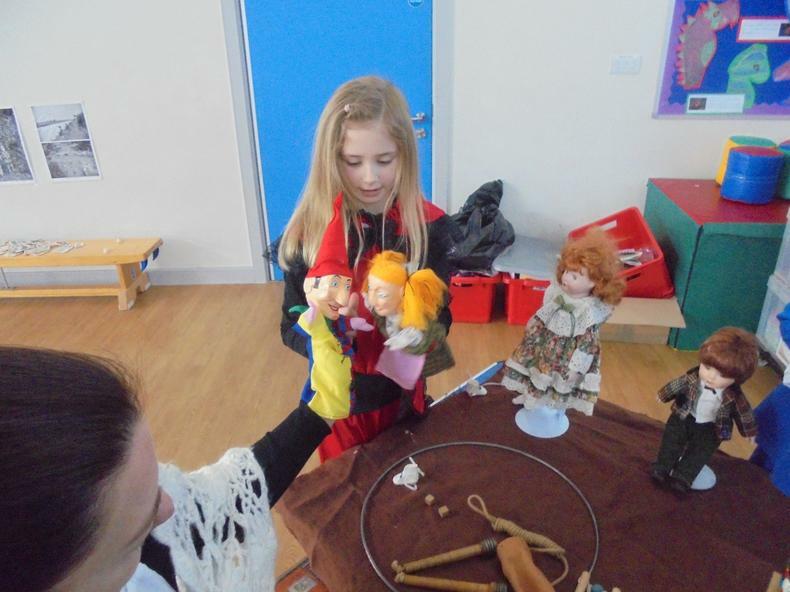 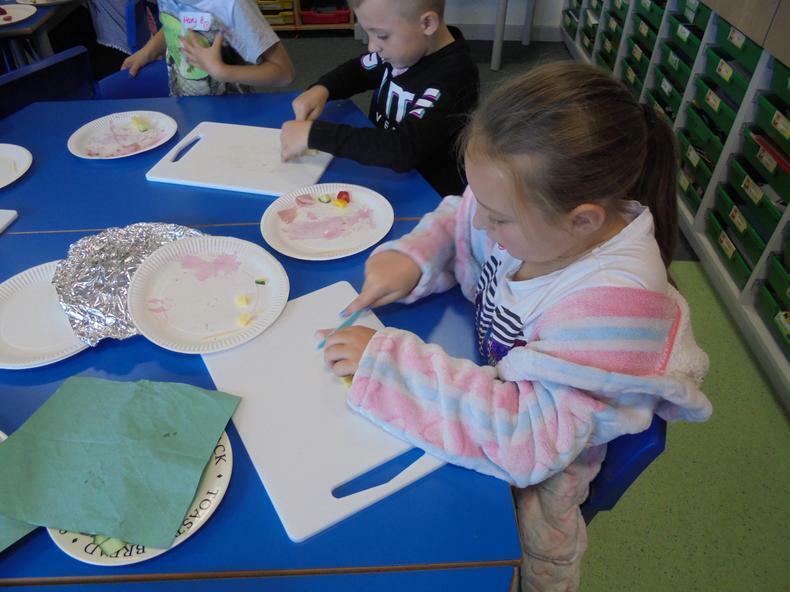 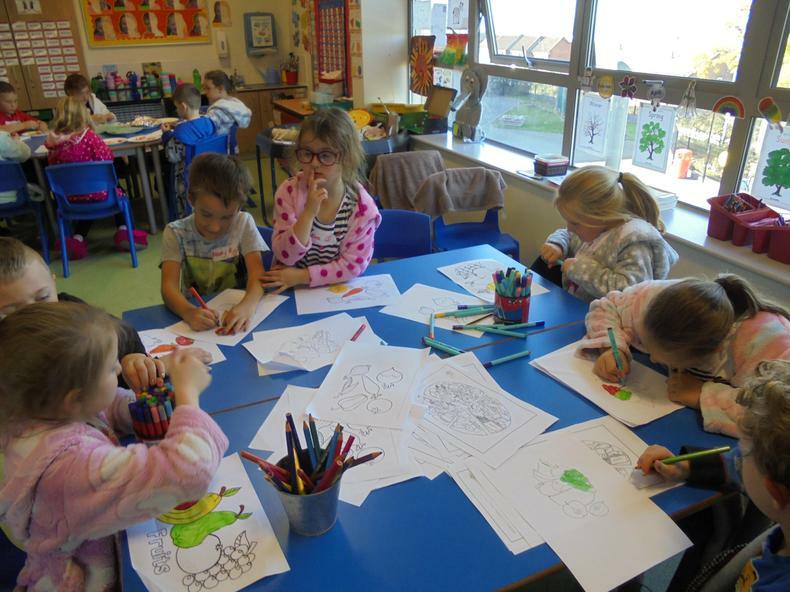 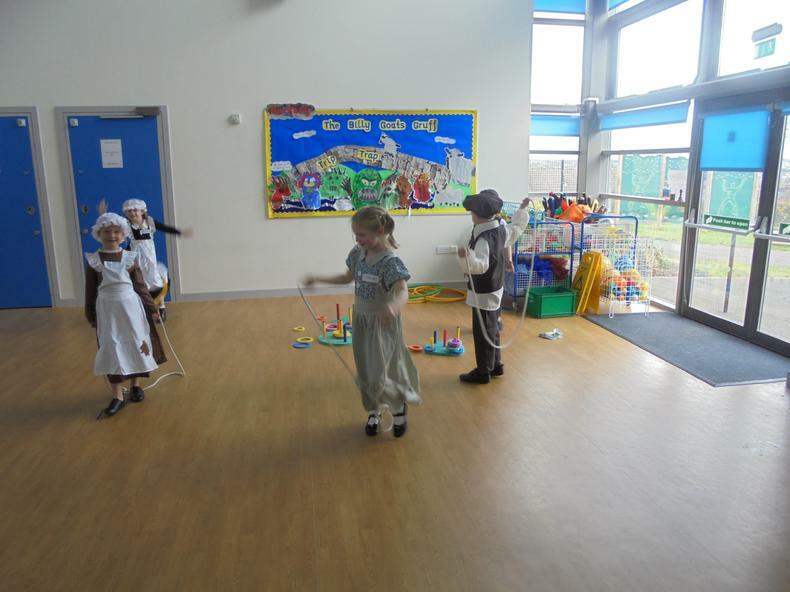 The children had a fantastic day and they definitely had lots of fun! 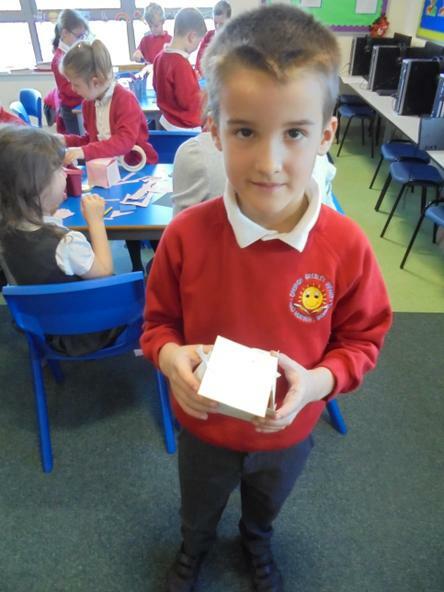 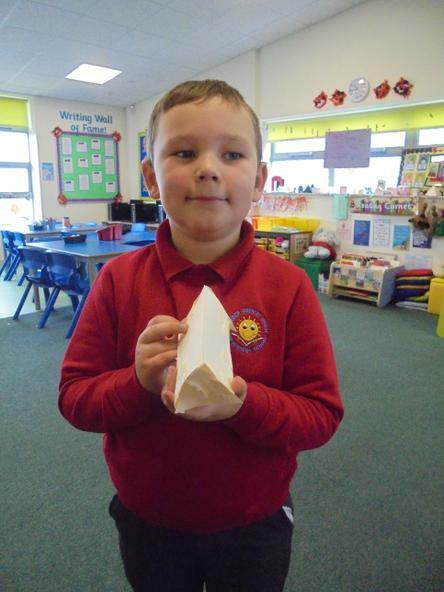 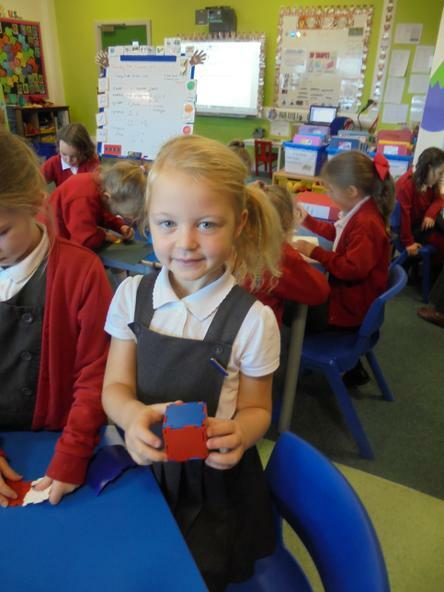 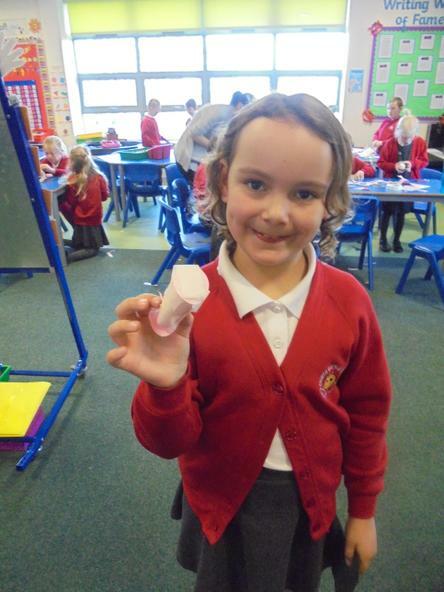 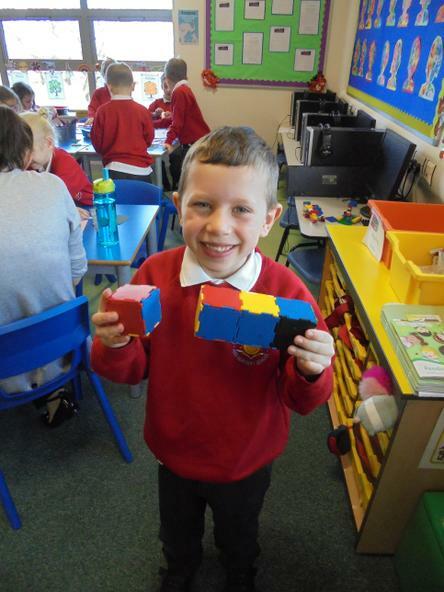 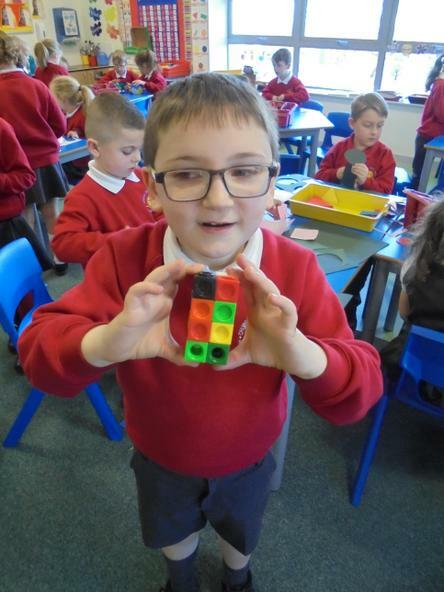 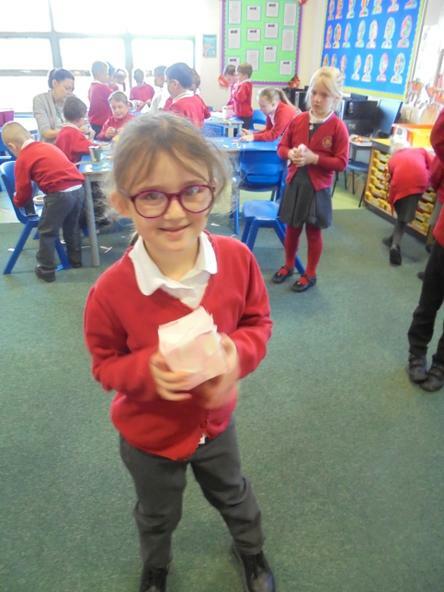 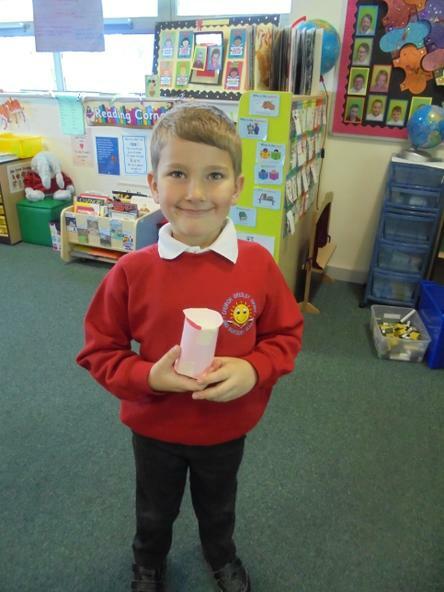 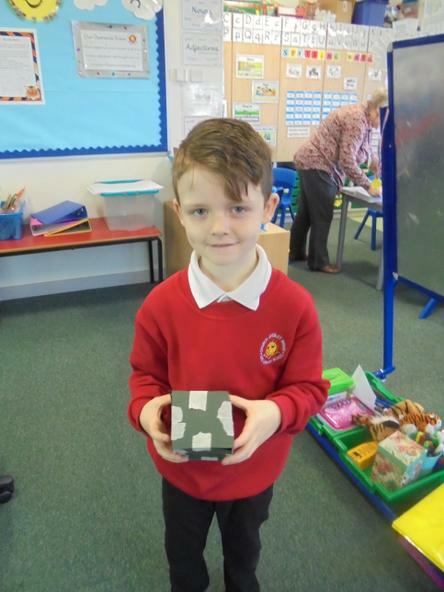 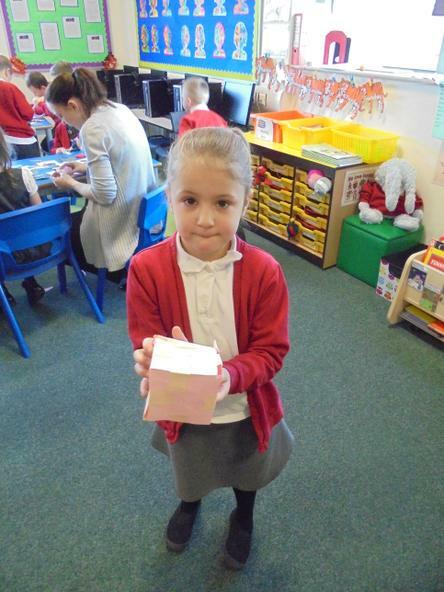 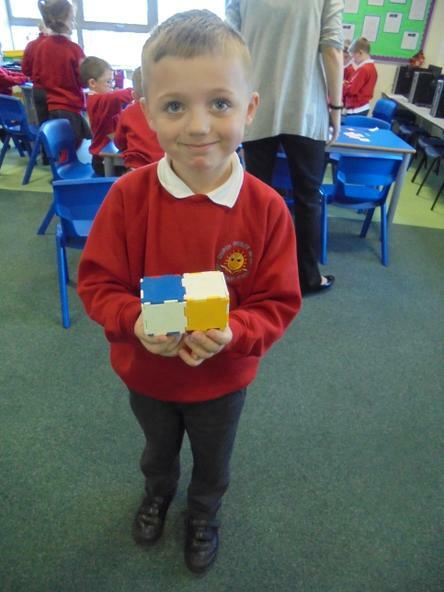 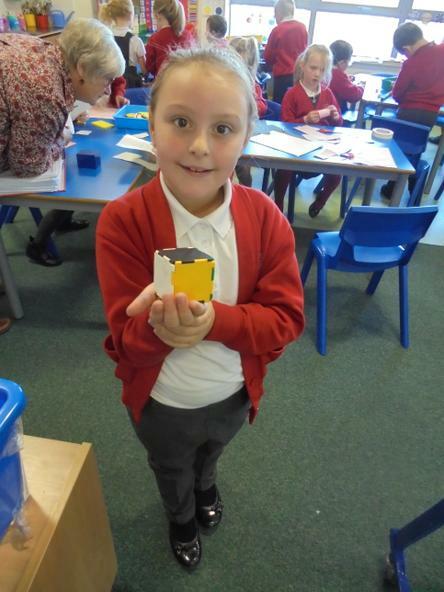 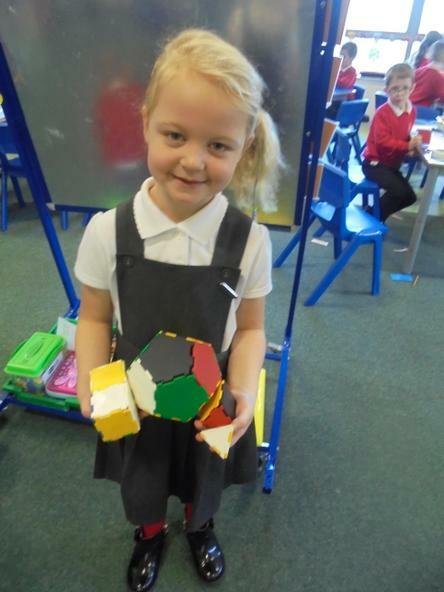 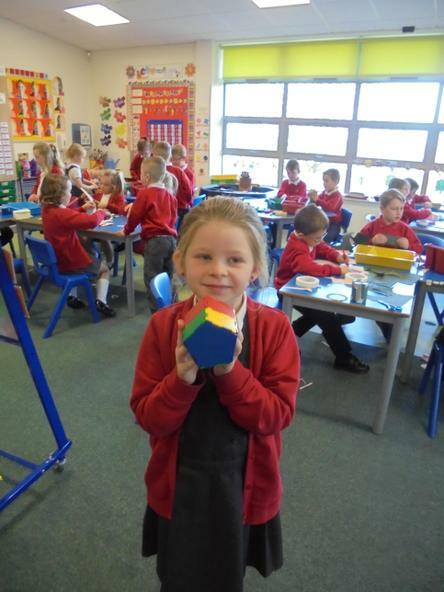 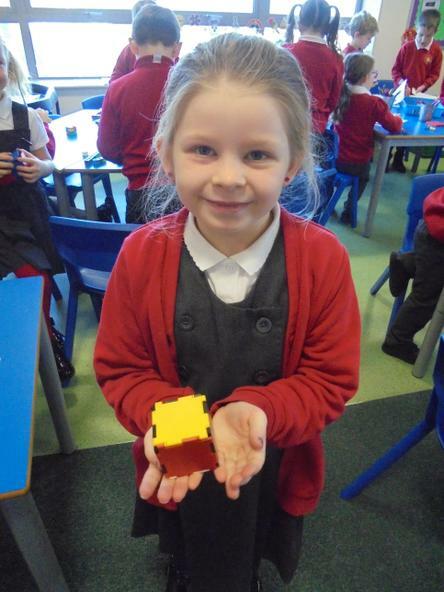 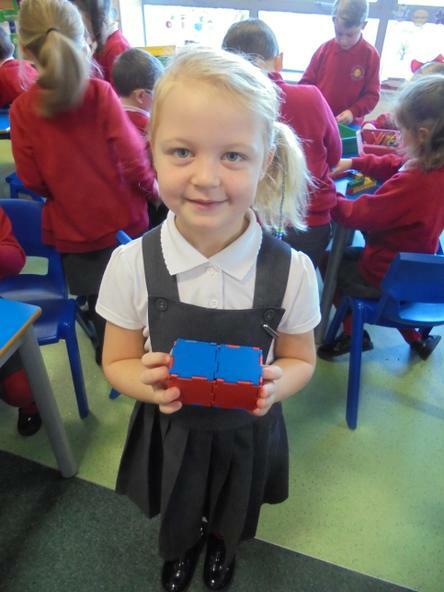 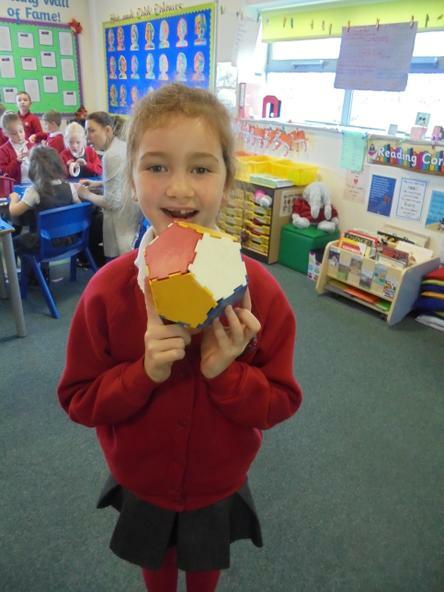 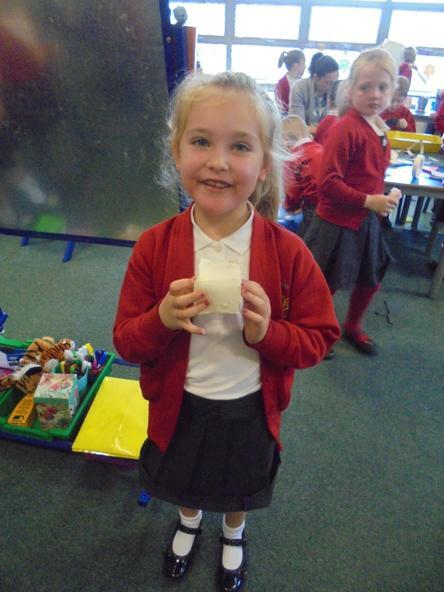 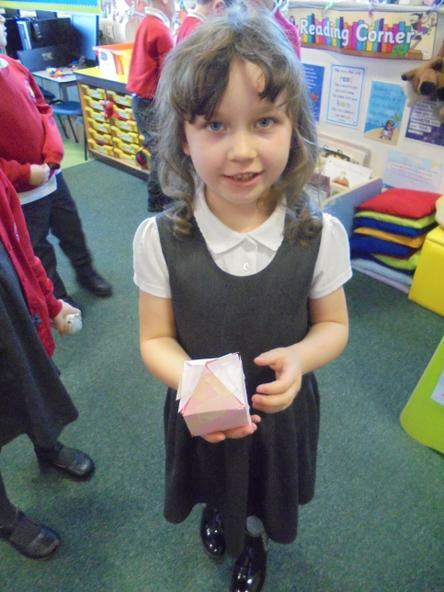 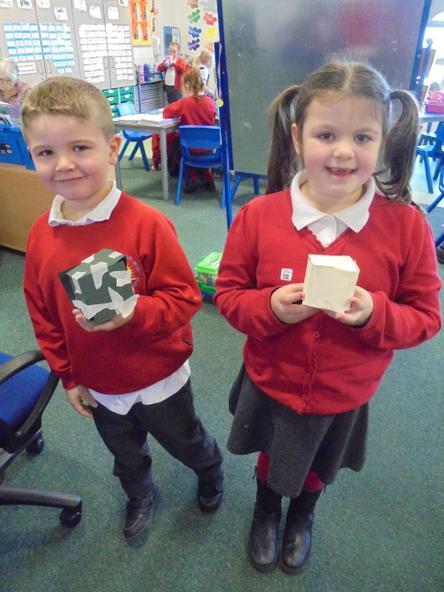 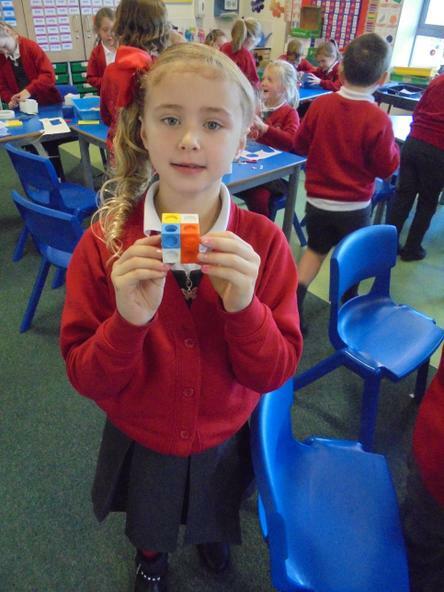 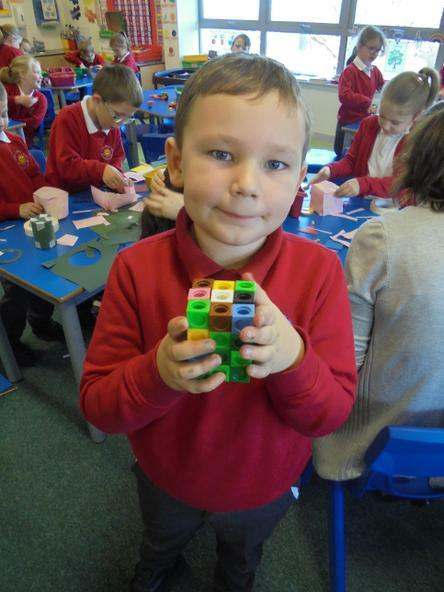 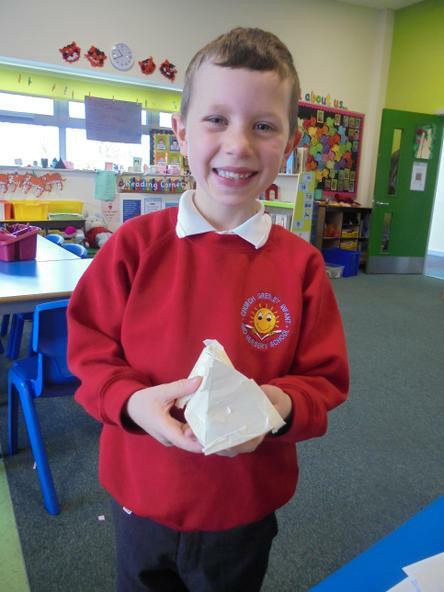 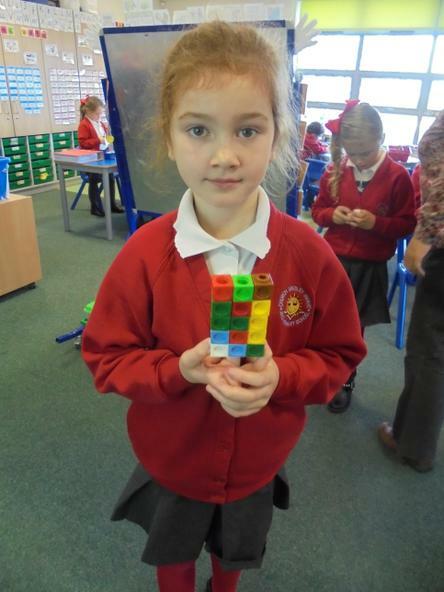 How many different 3D shapes can you spot? 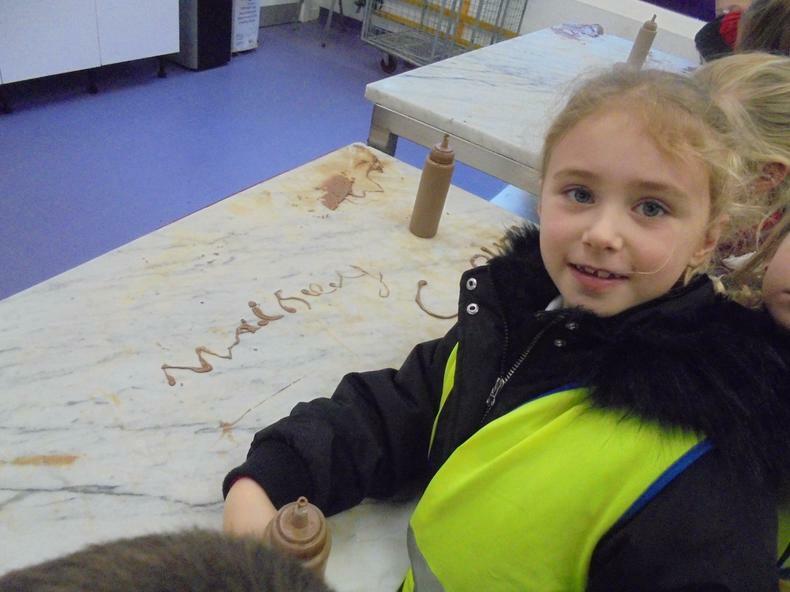 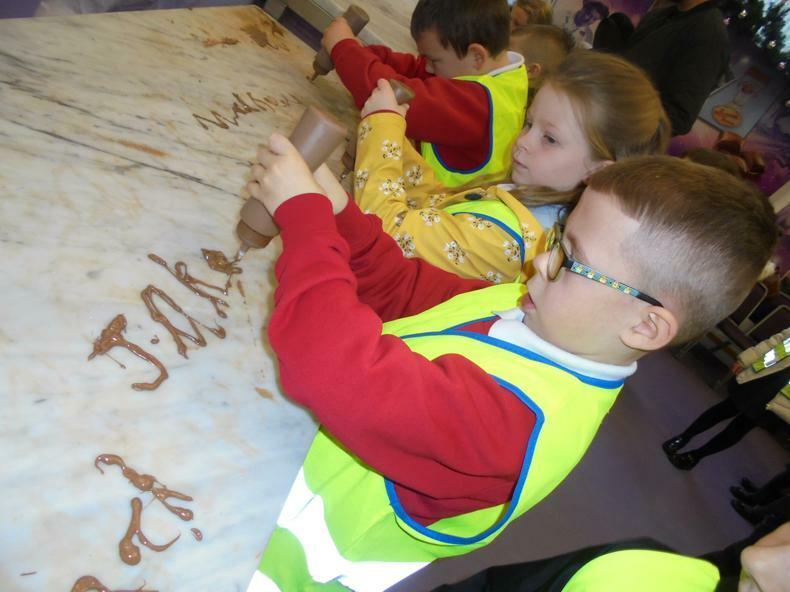 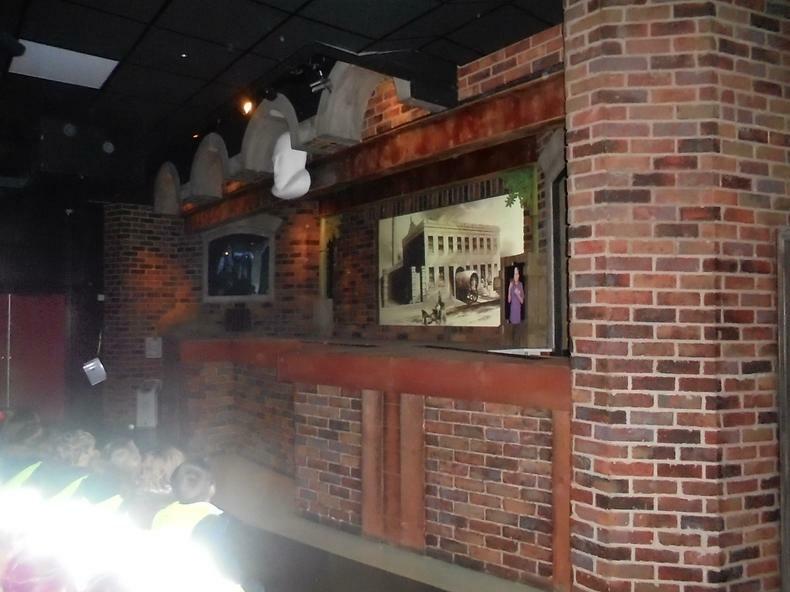 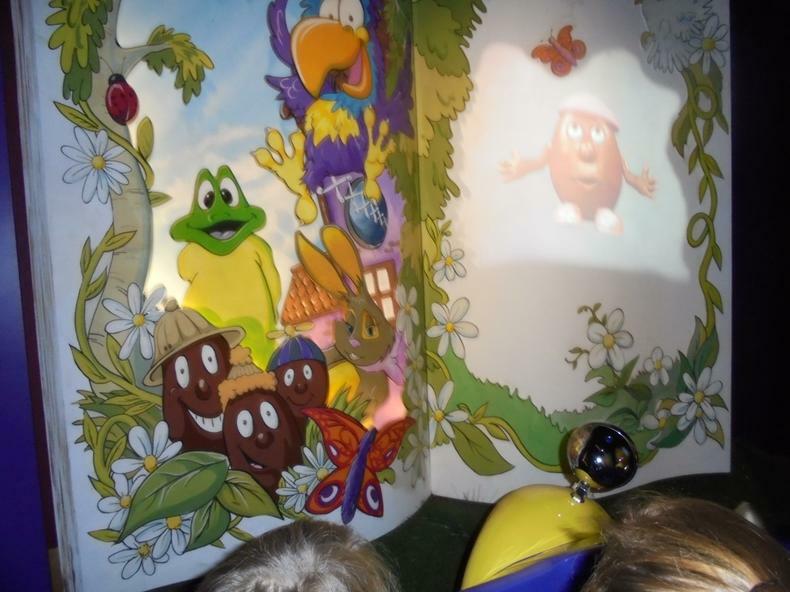 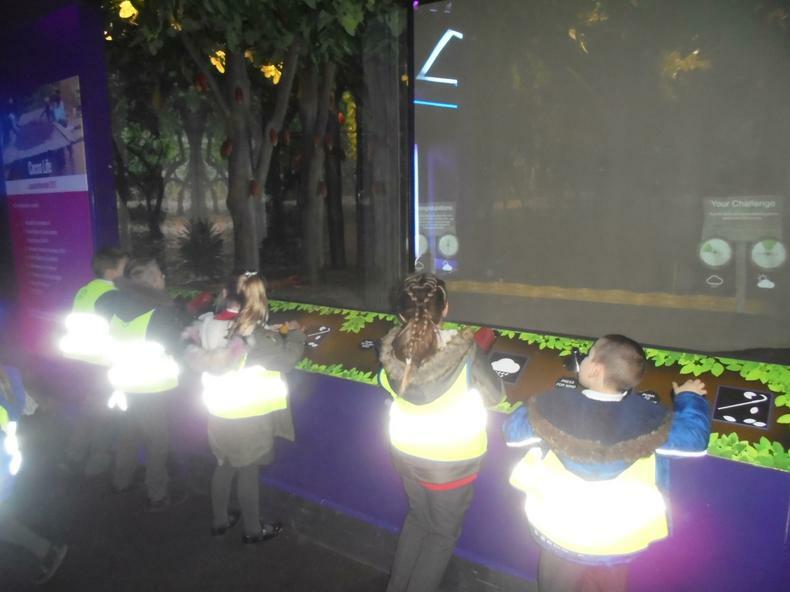 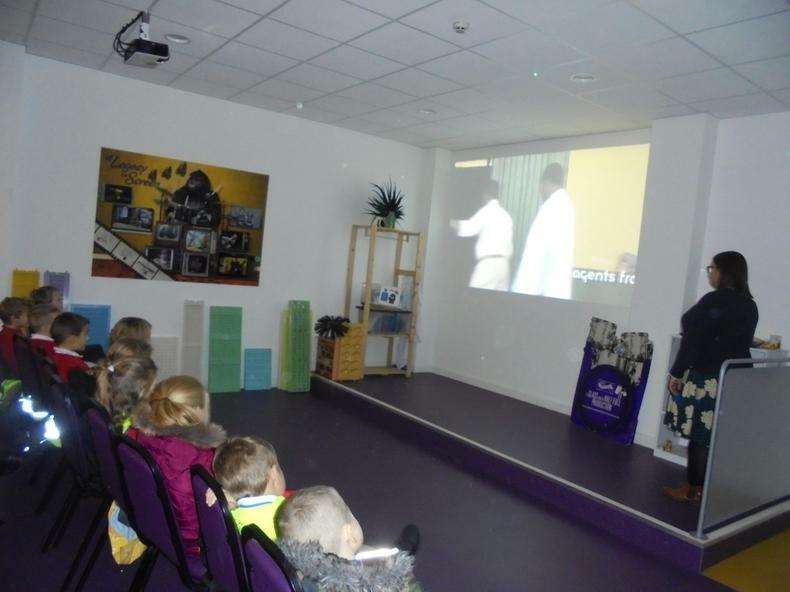 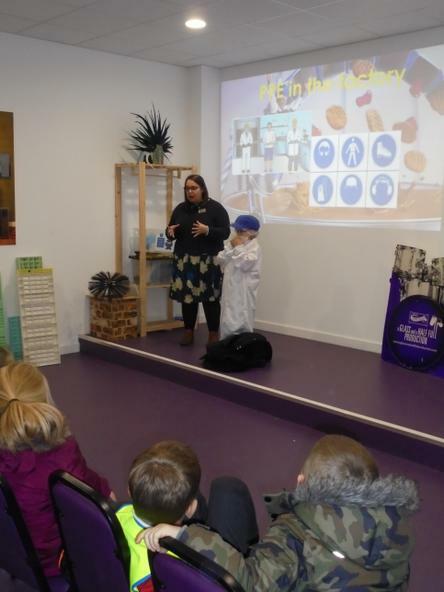 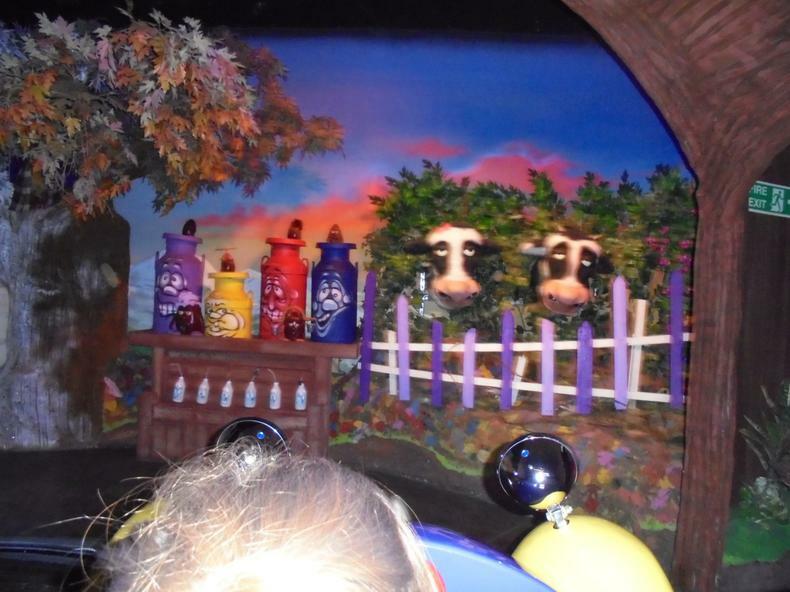 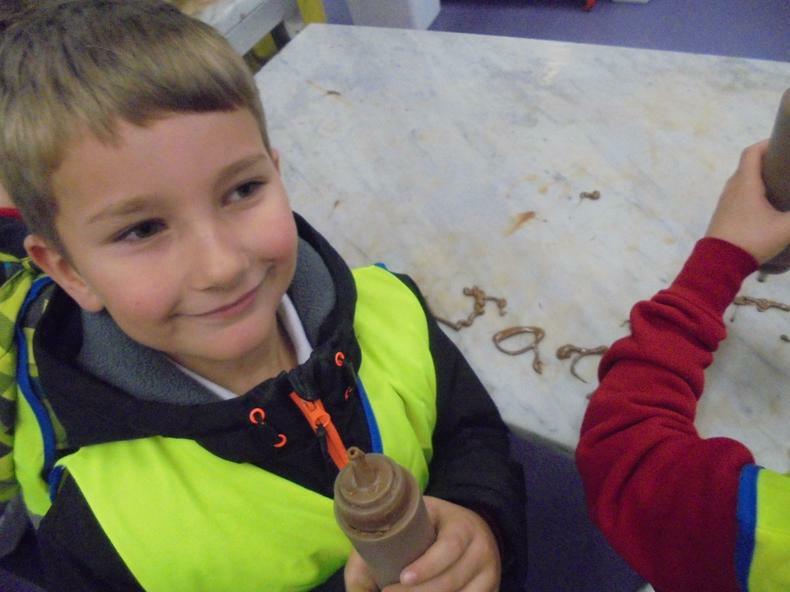 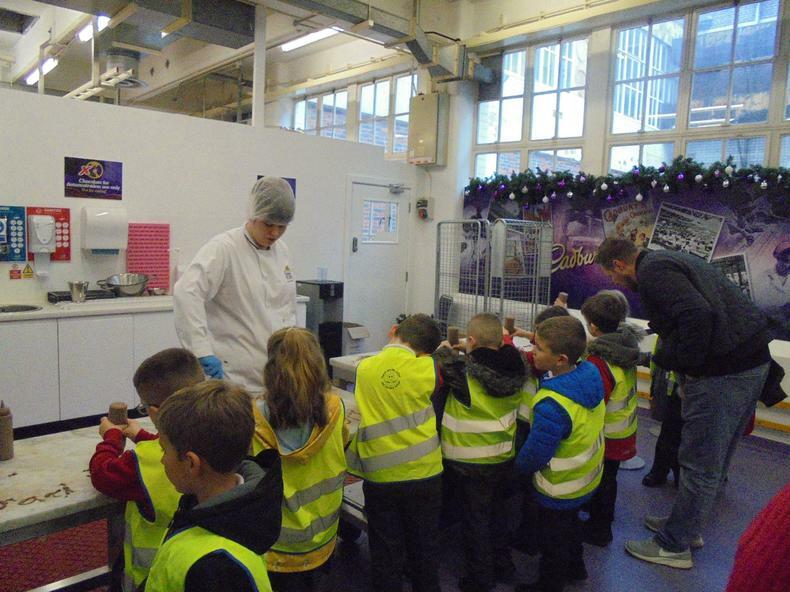 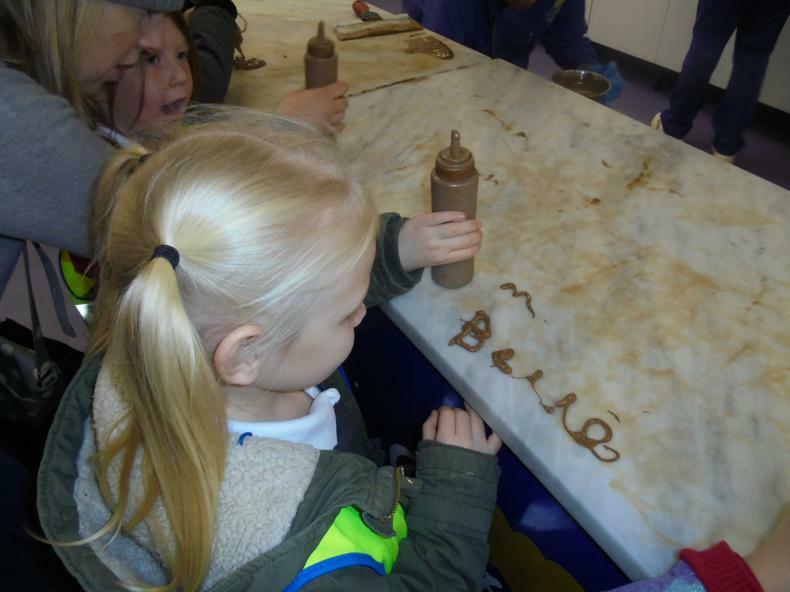 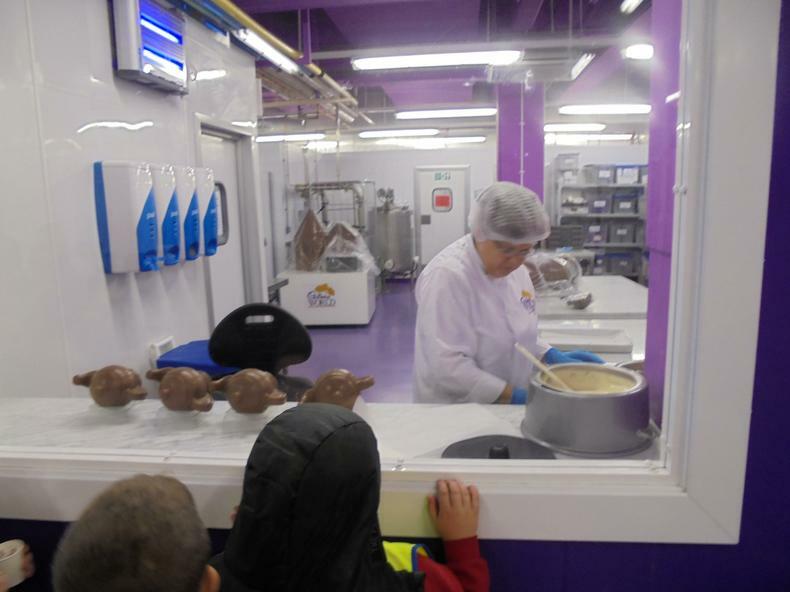 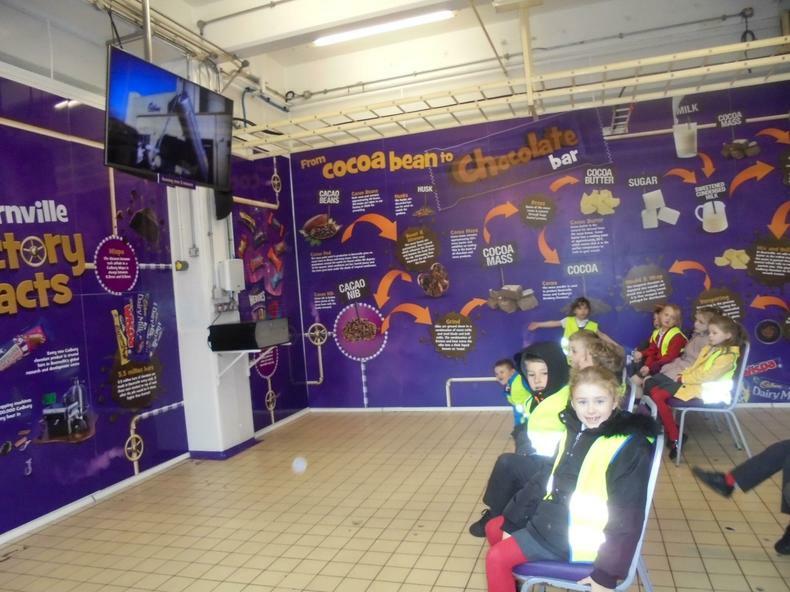 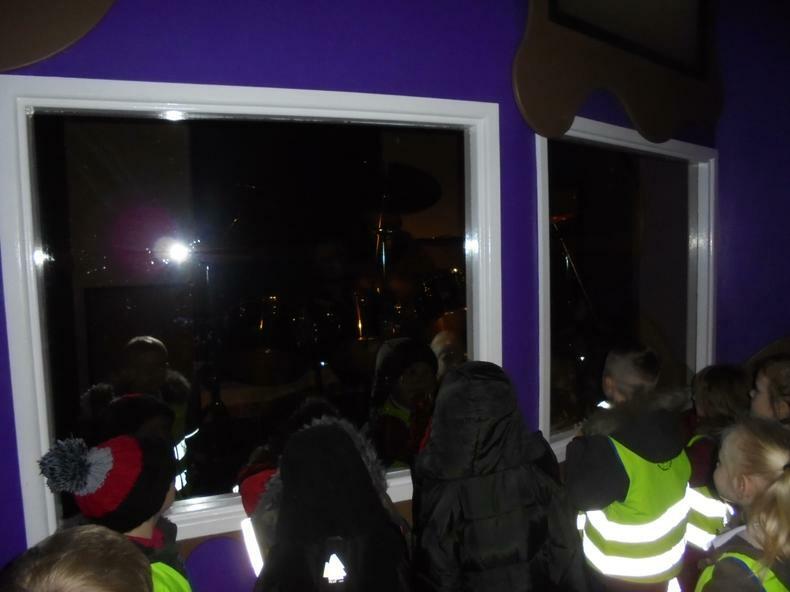 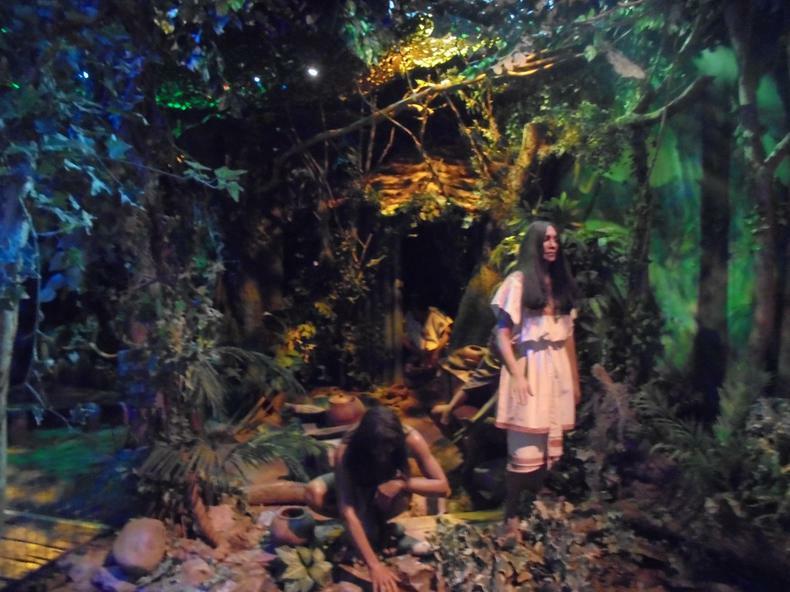 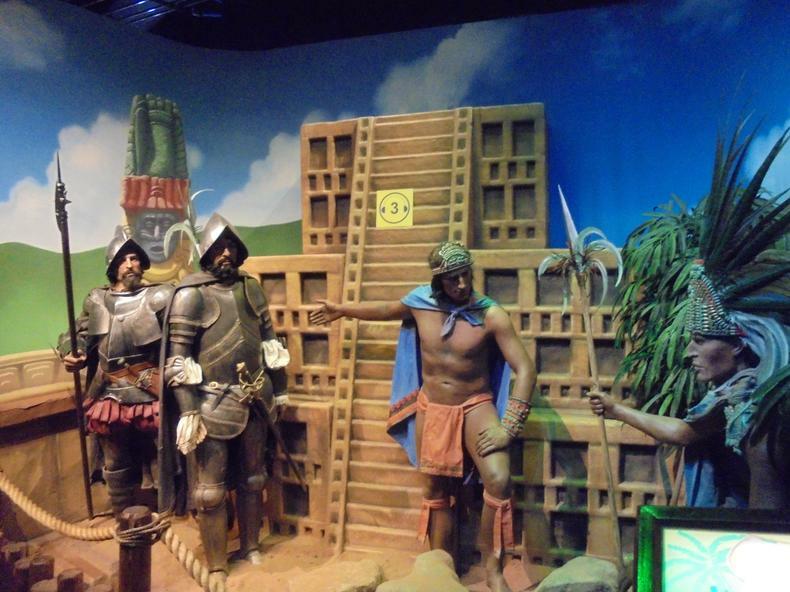 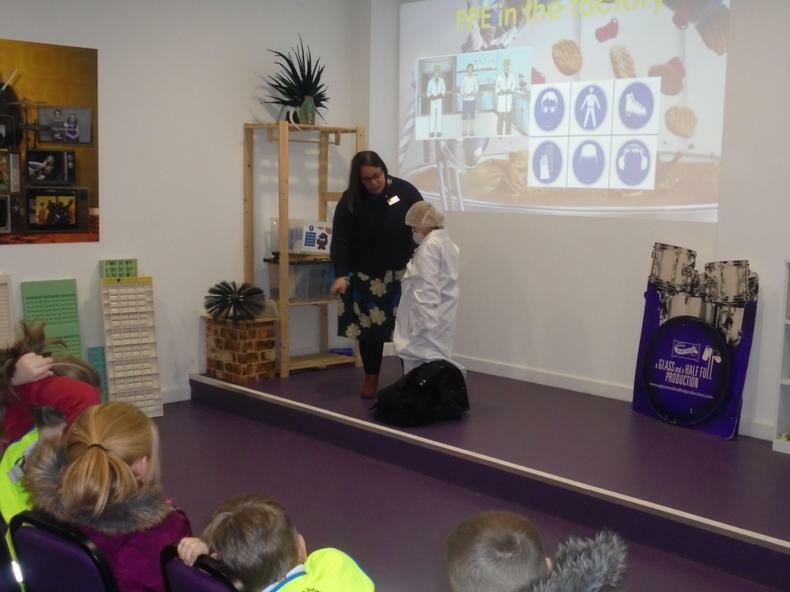 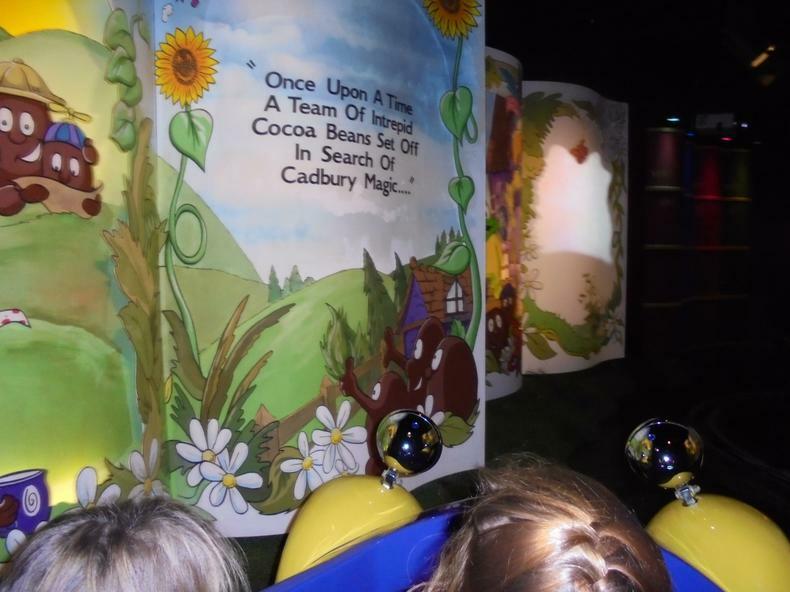 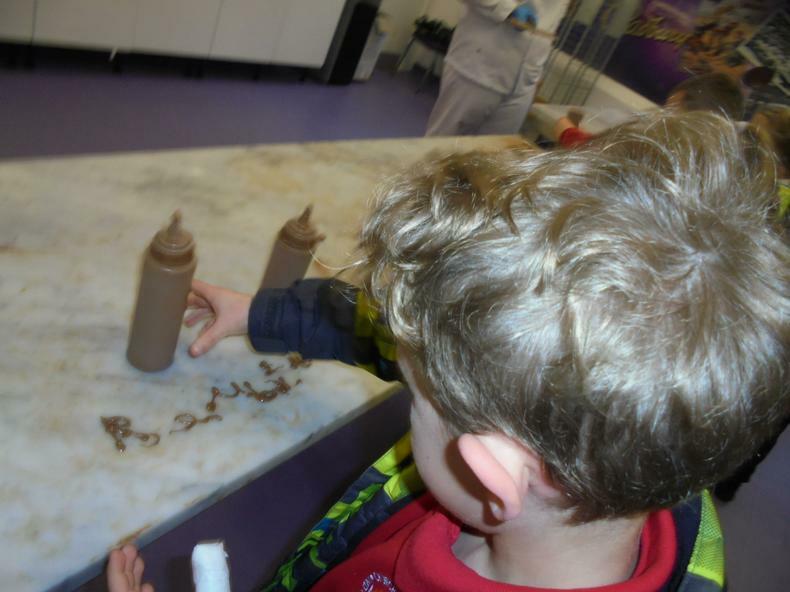 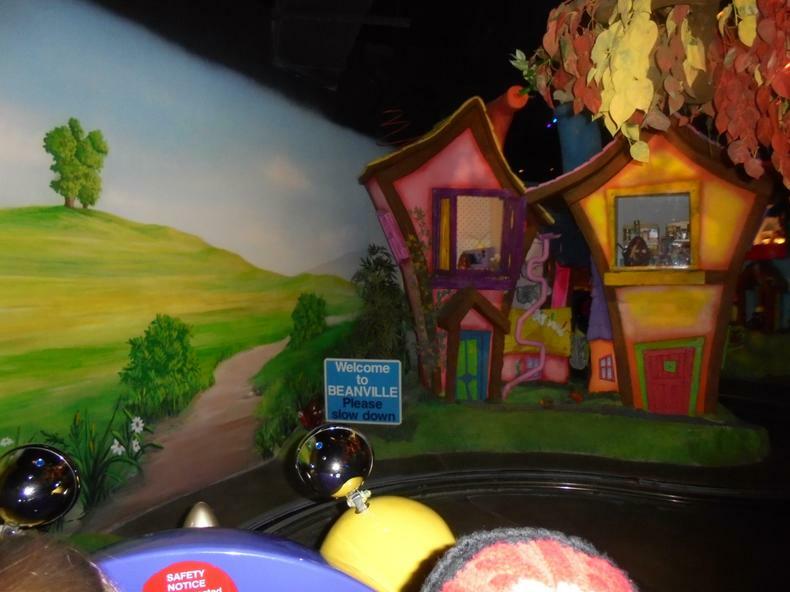 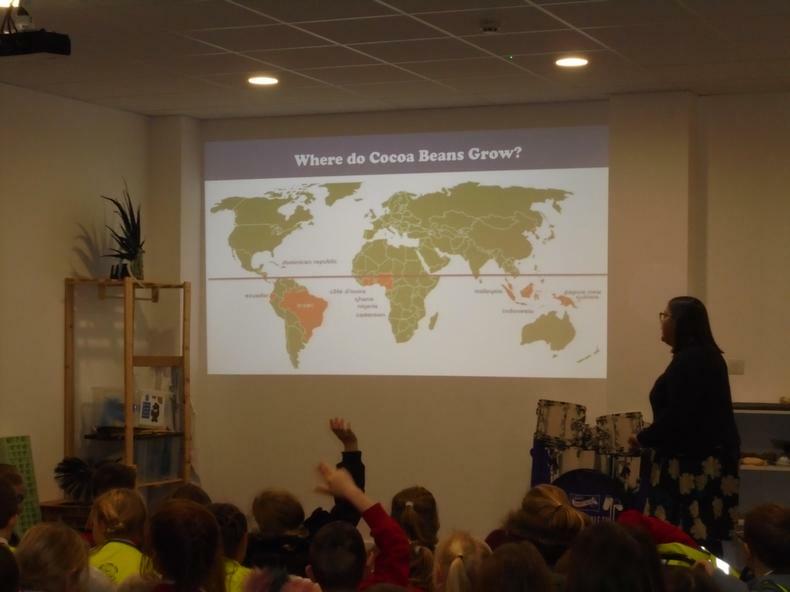 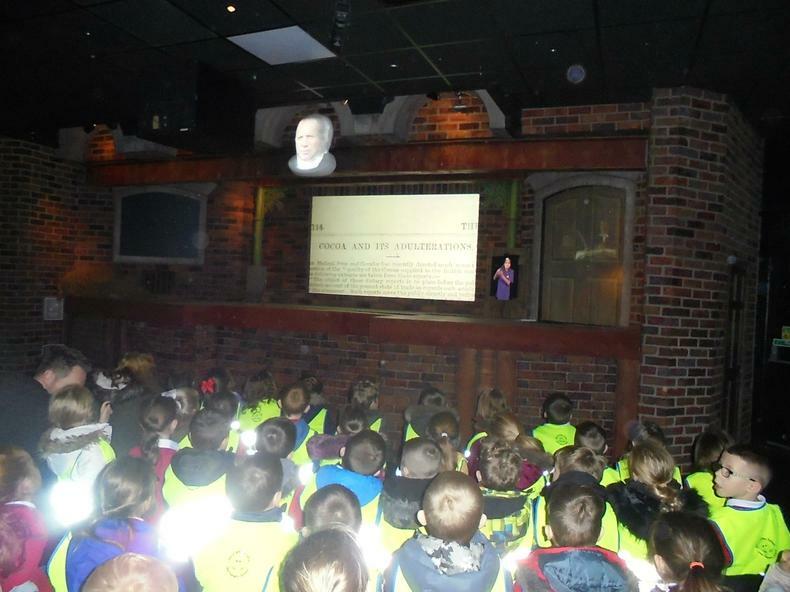 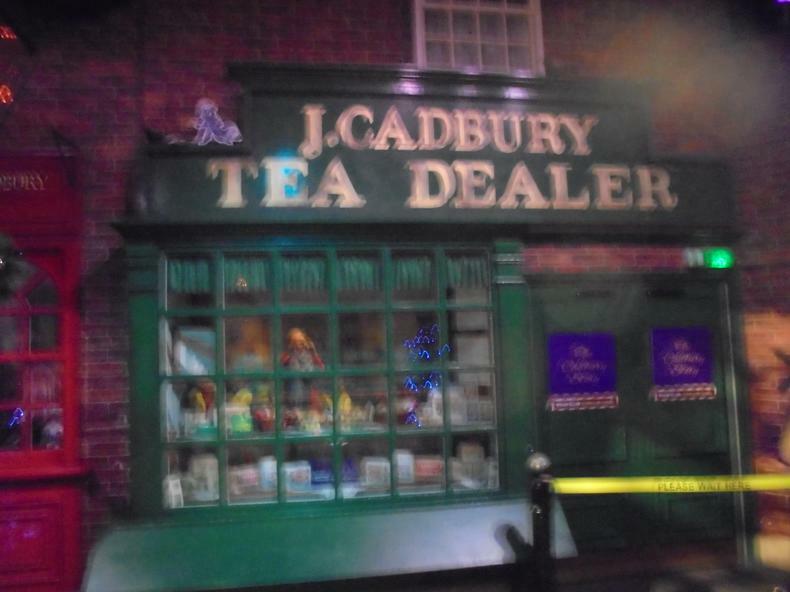 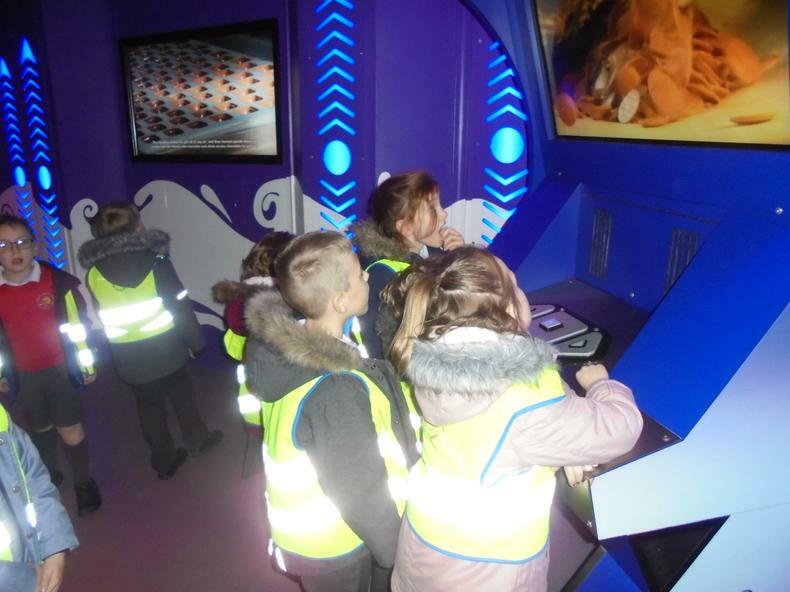 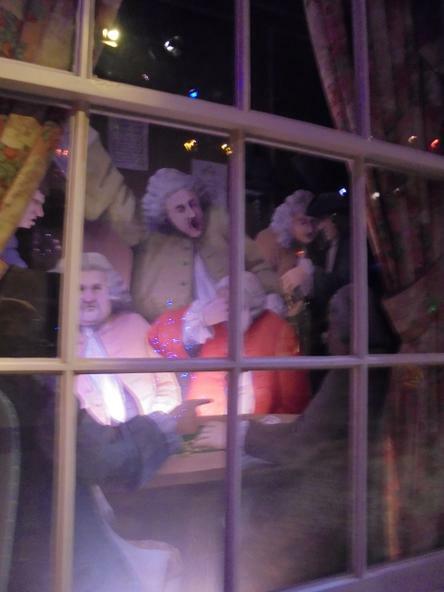 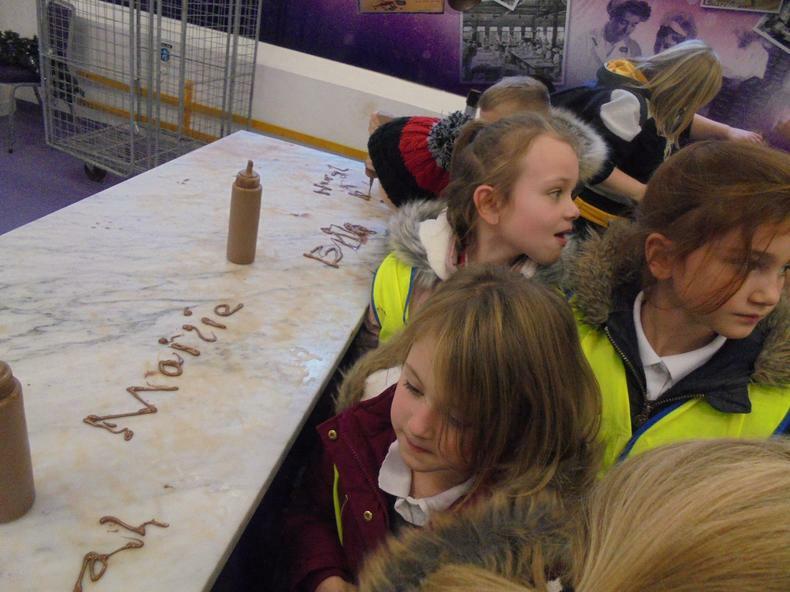 We had a brilliant time at Cadbury World! 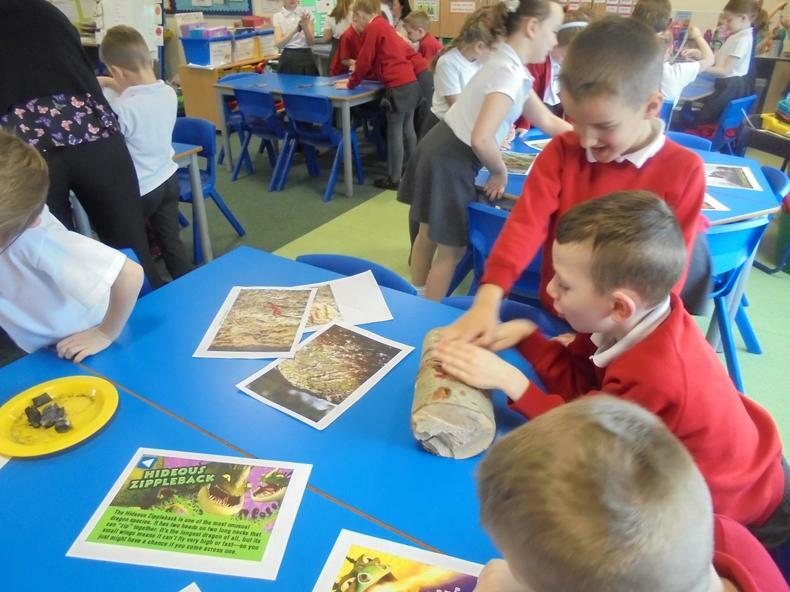 We had a lovely time on our Music Day creating adverts for chocolate, with different instruments to represent the ingredients. 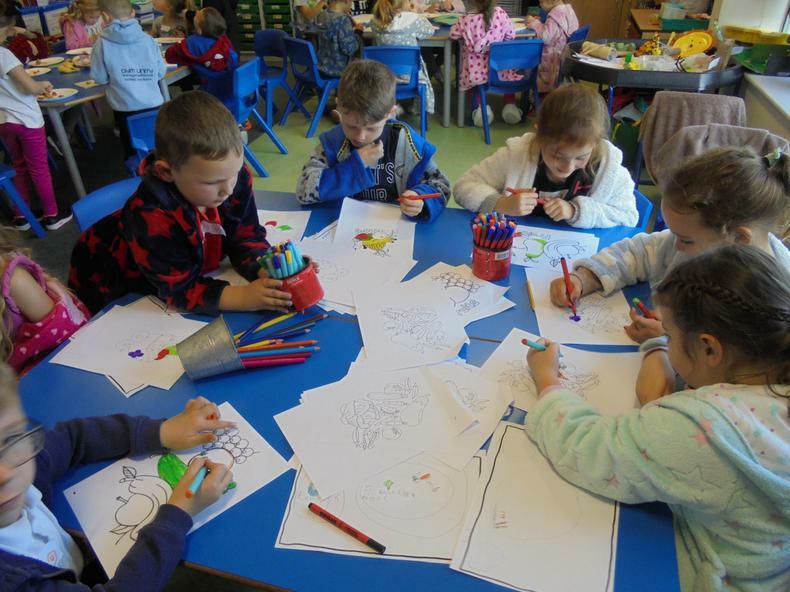 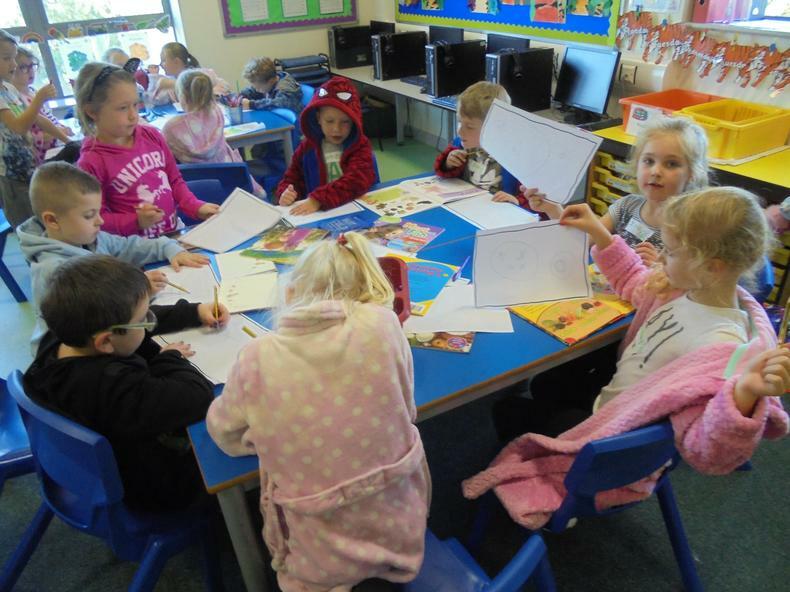 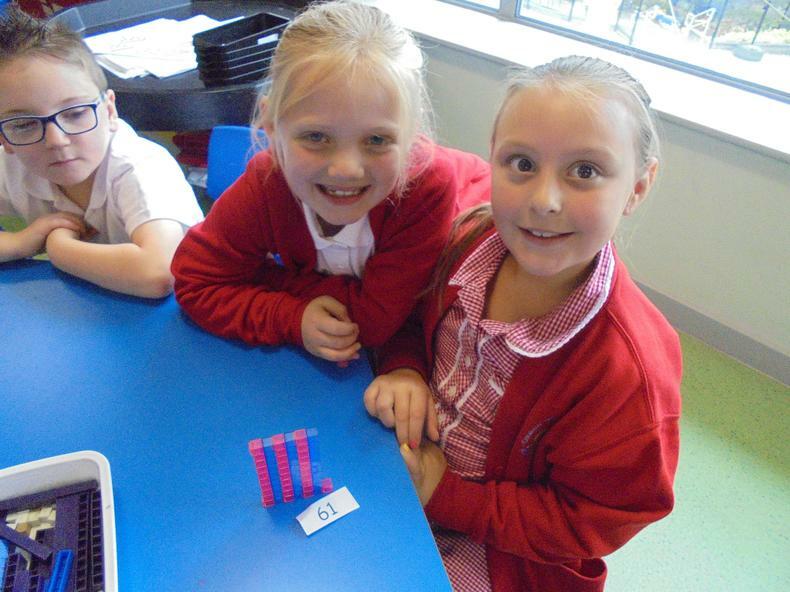 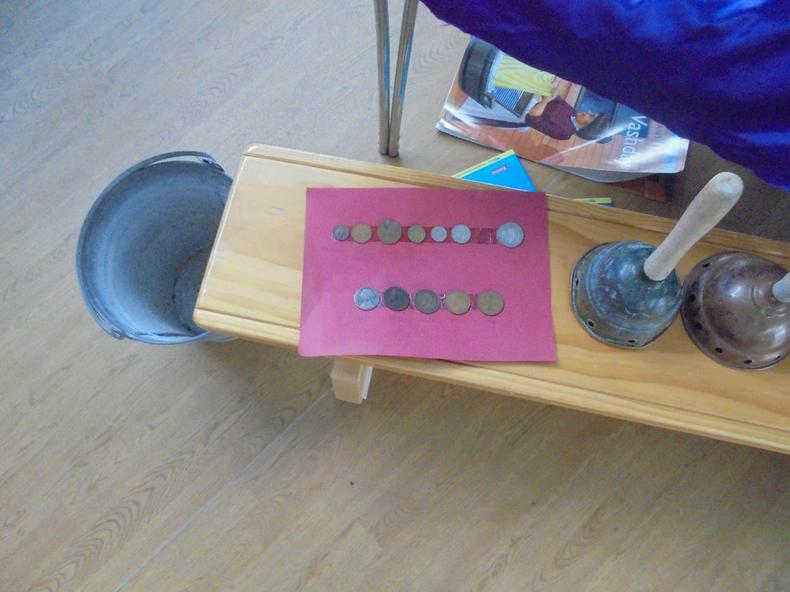 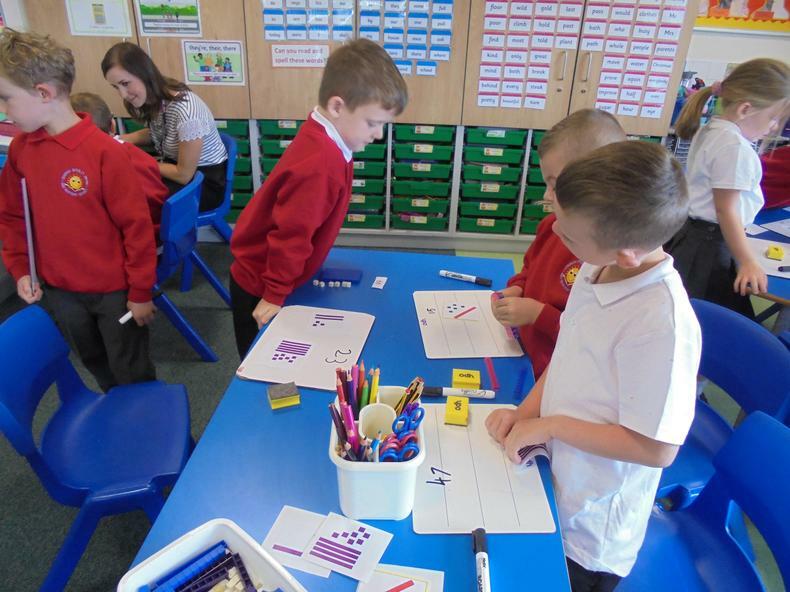 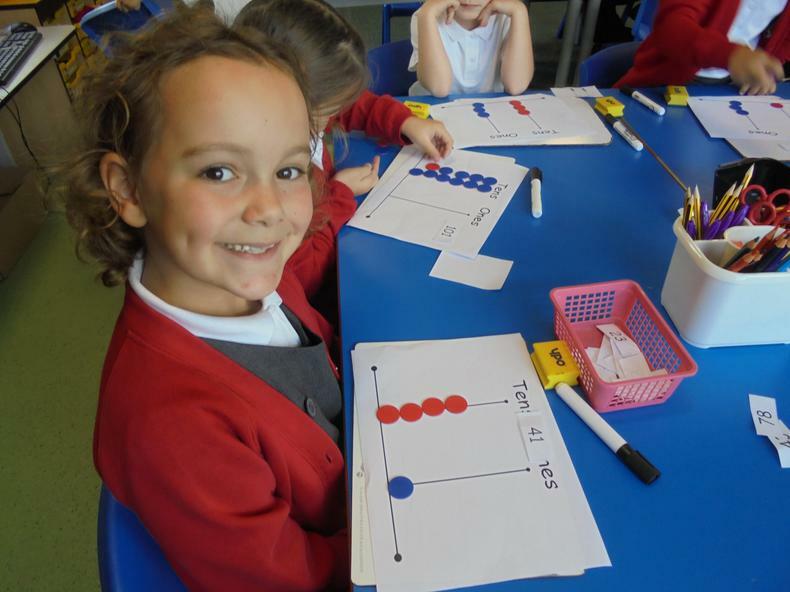 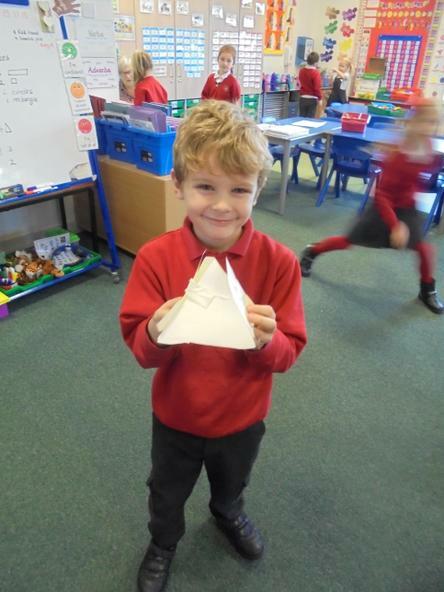 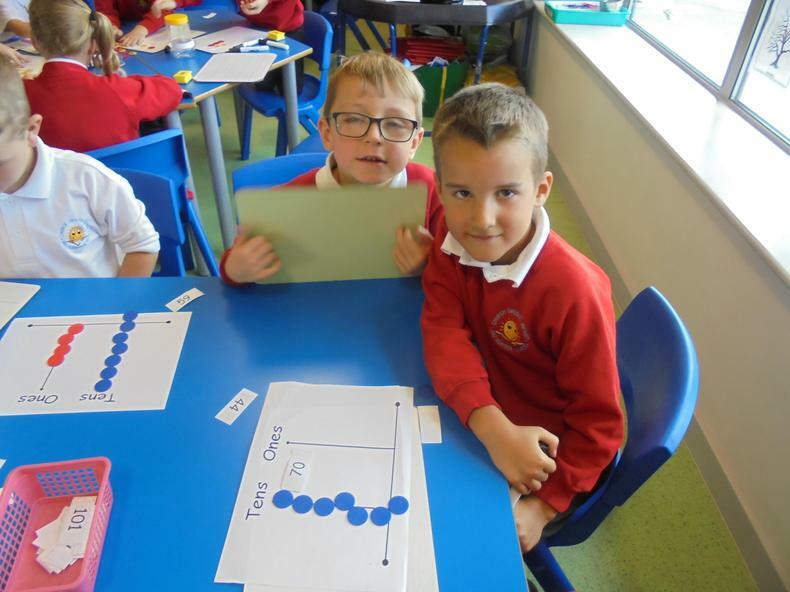 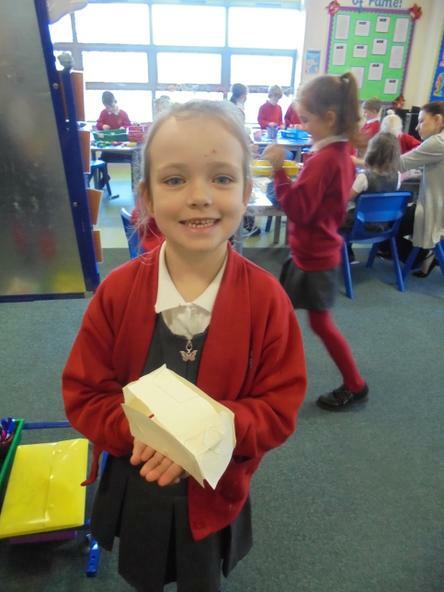 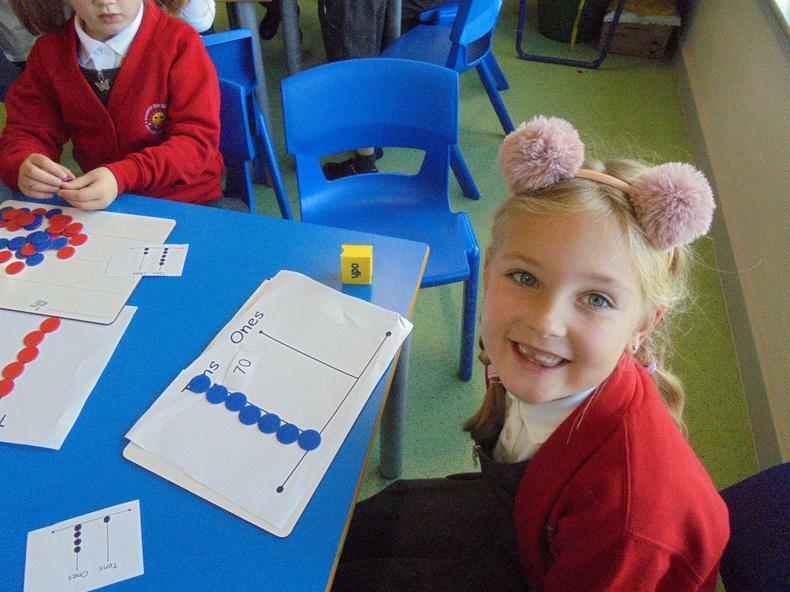 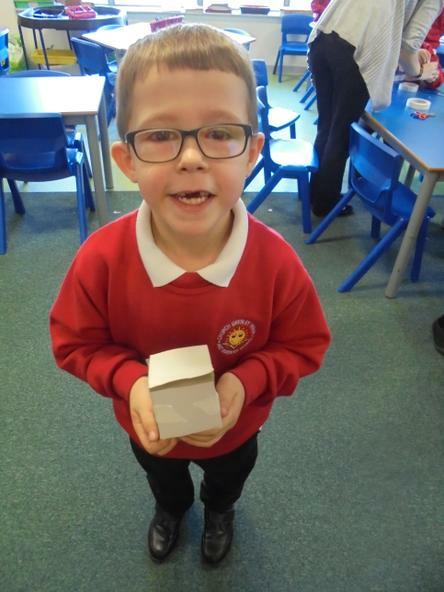 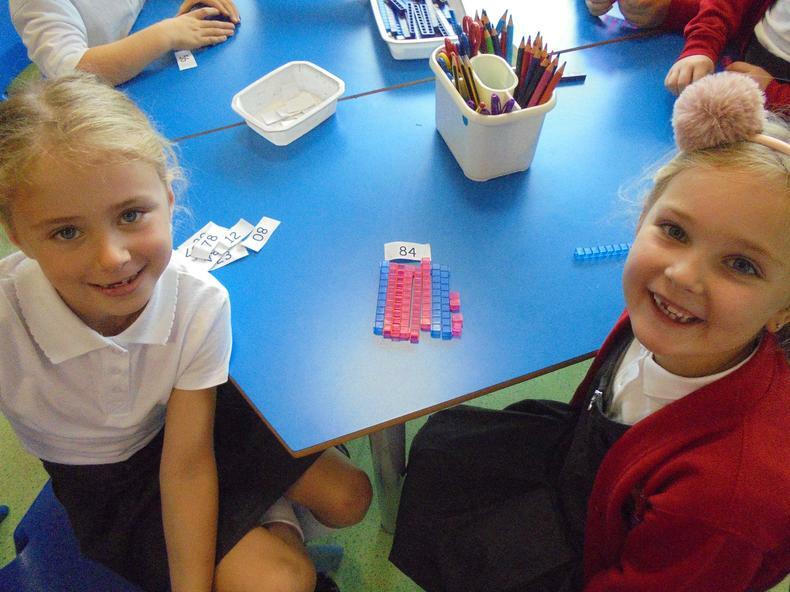 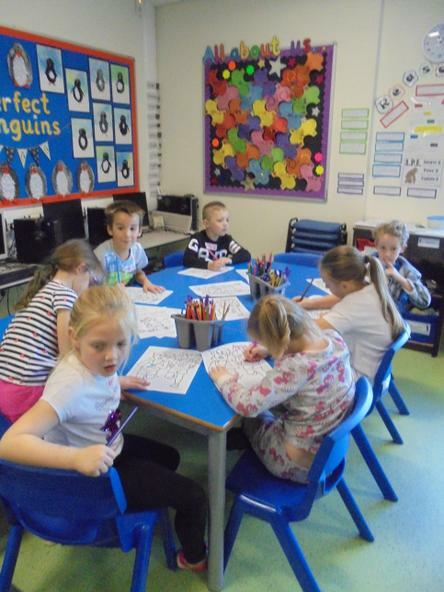 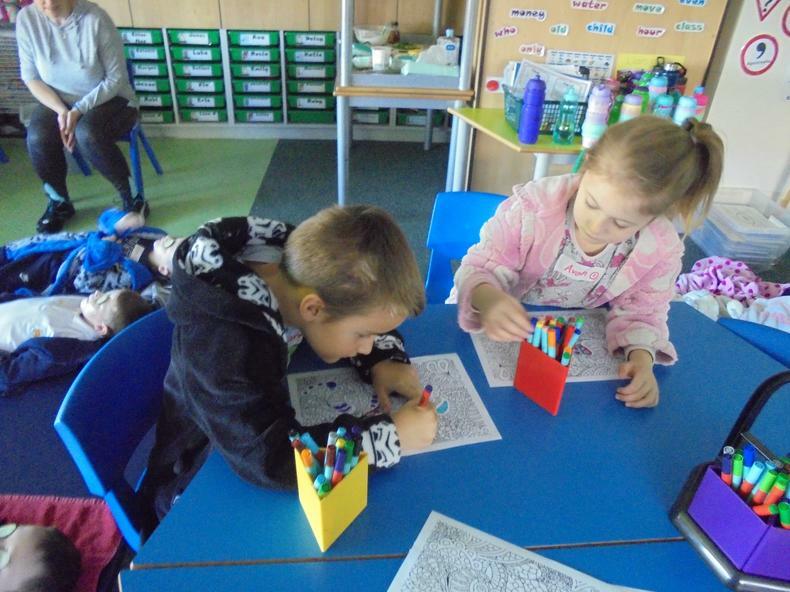 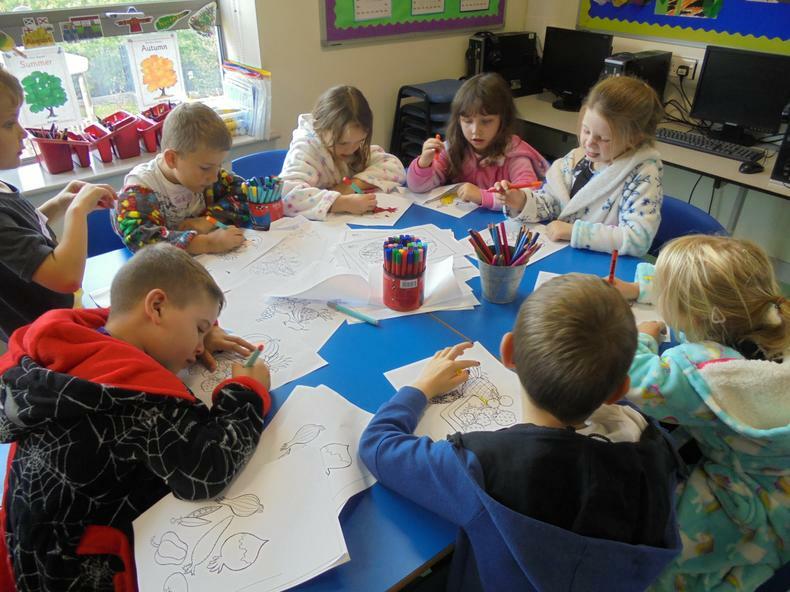 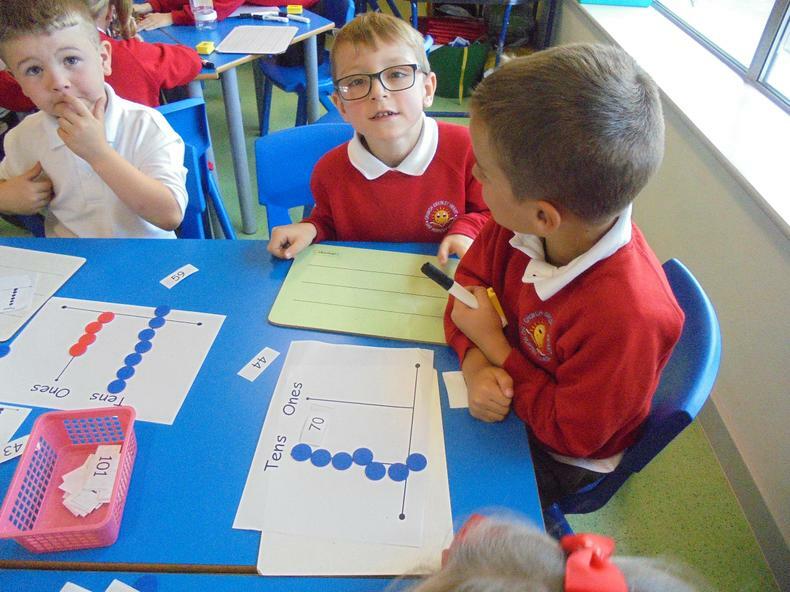 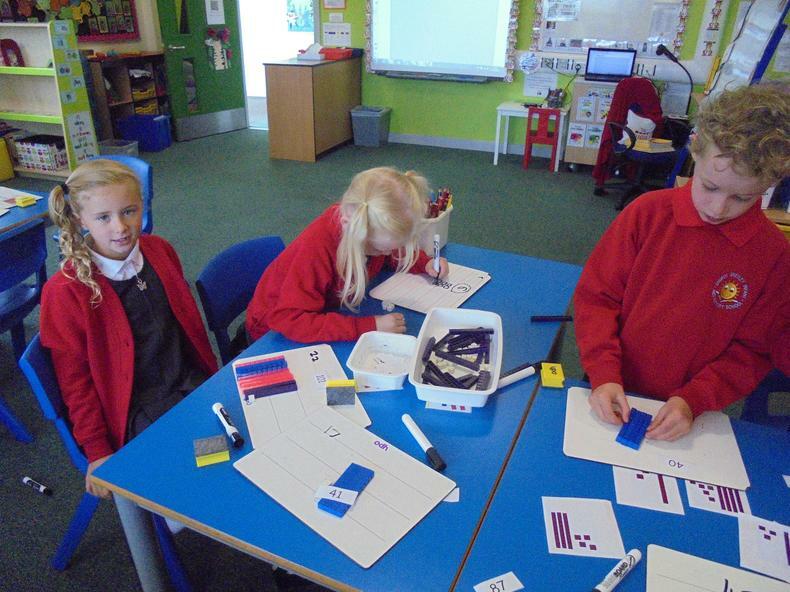 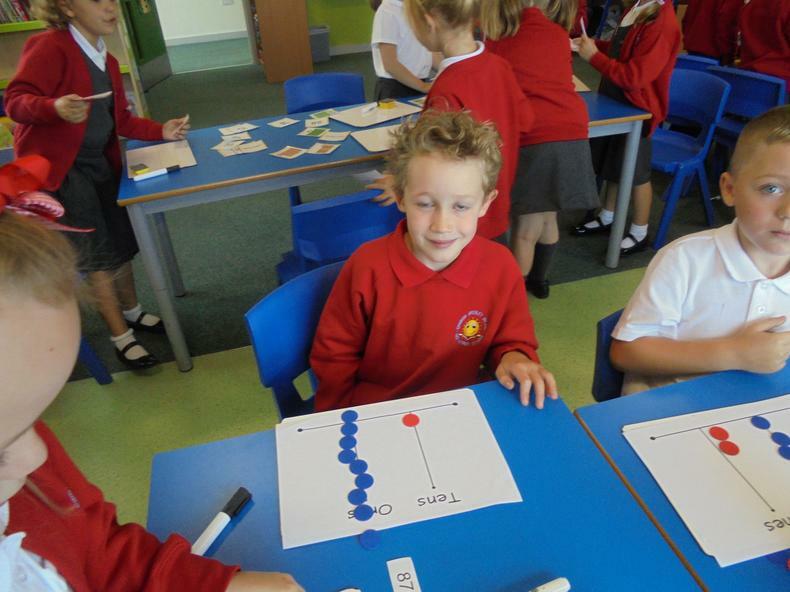 Maths Open Morning - We really enjoyed creating our treasure maps and then writing instructions to find the treasure! 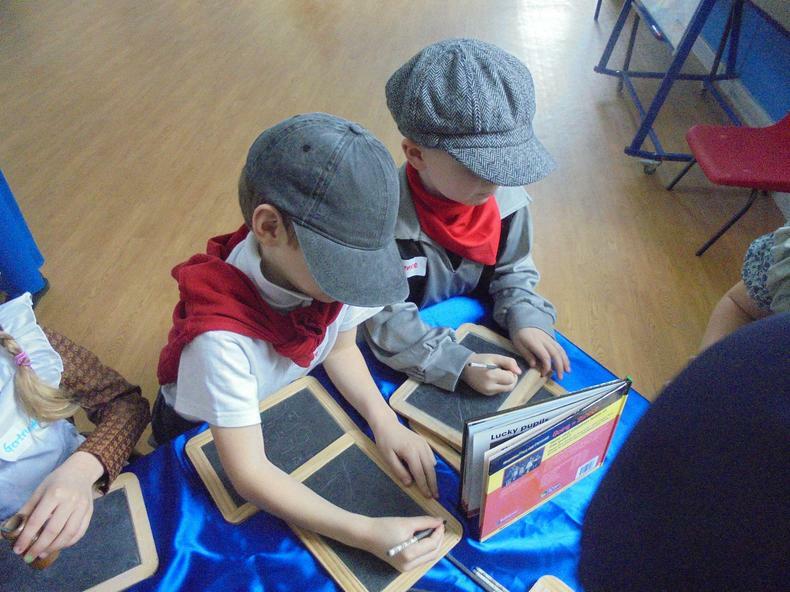 We used words like clockwise, anti-clockwise, left, right, North, South, East and West. 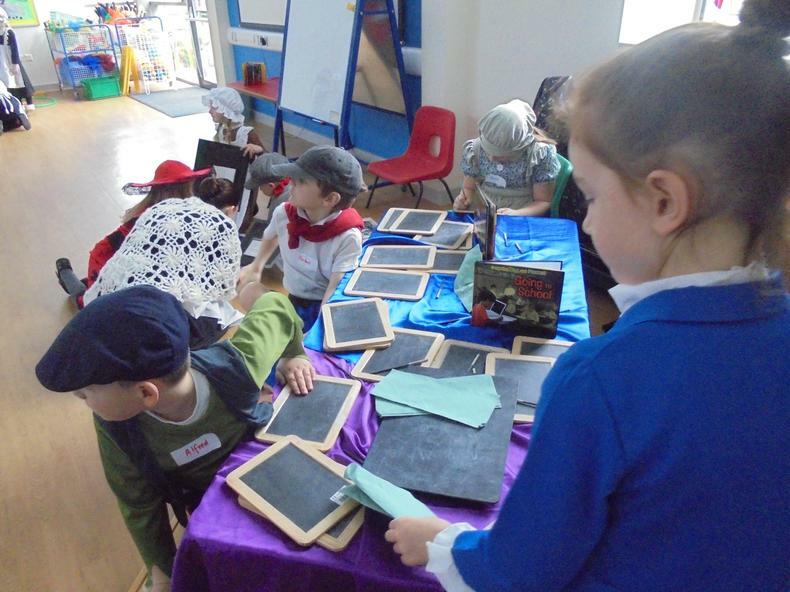 Thank you to all the grownups who came to help us. 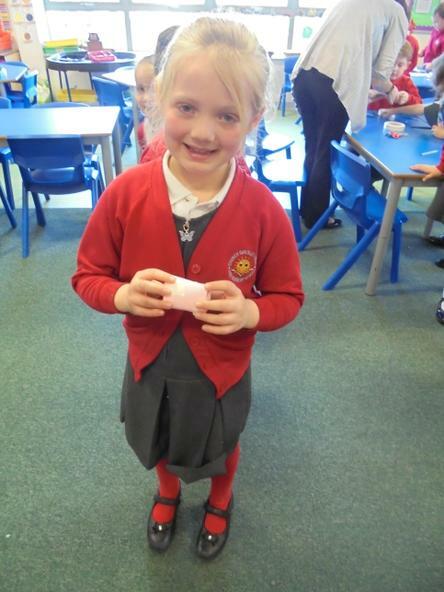 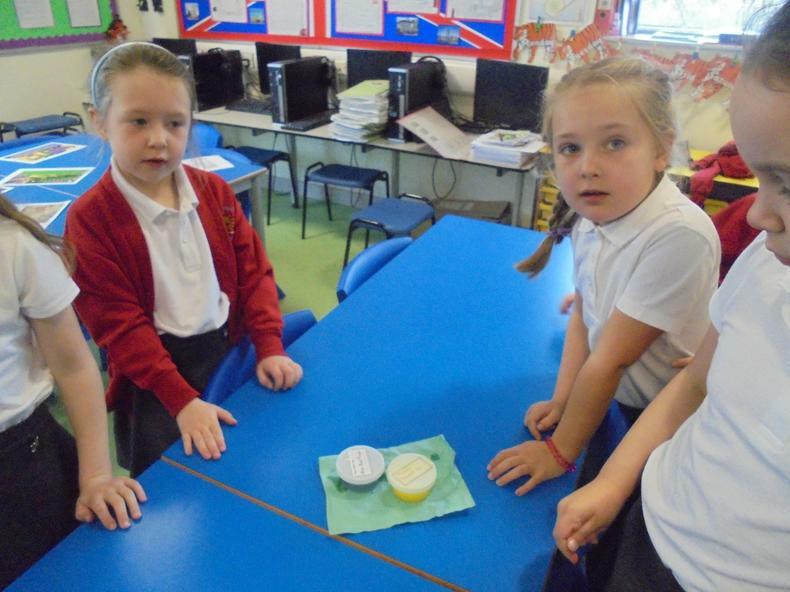 To help support our work in science, we had some Living Eggs in school, and look, 3 little chicks! 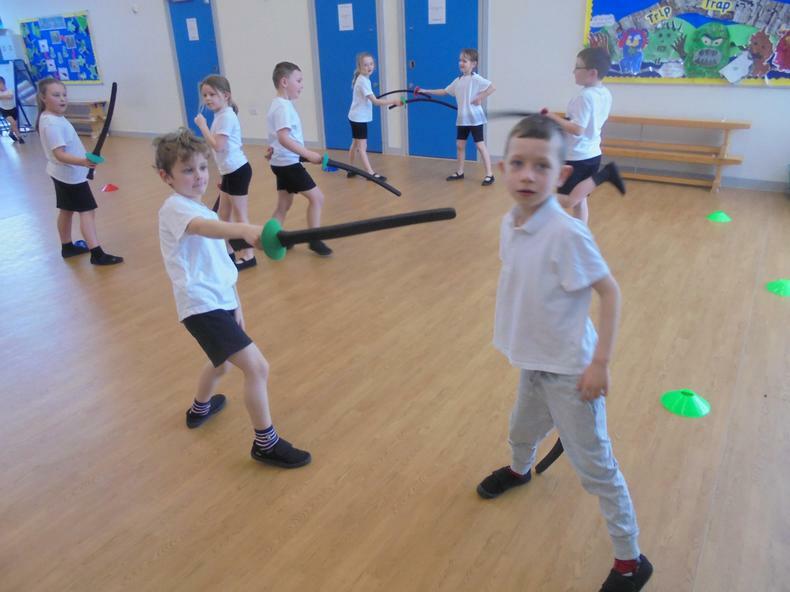 En garde! 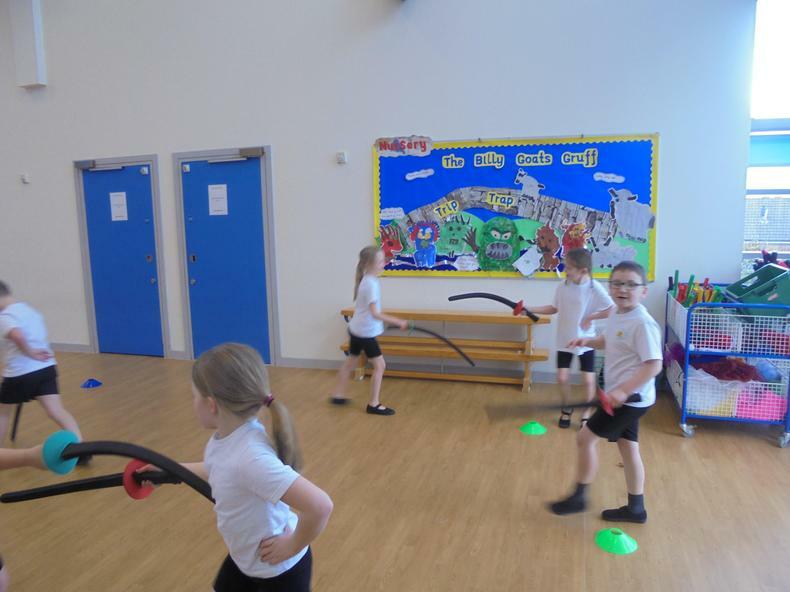 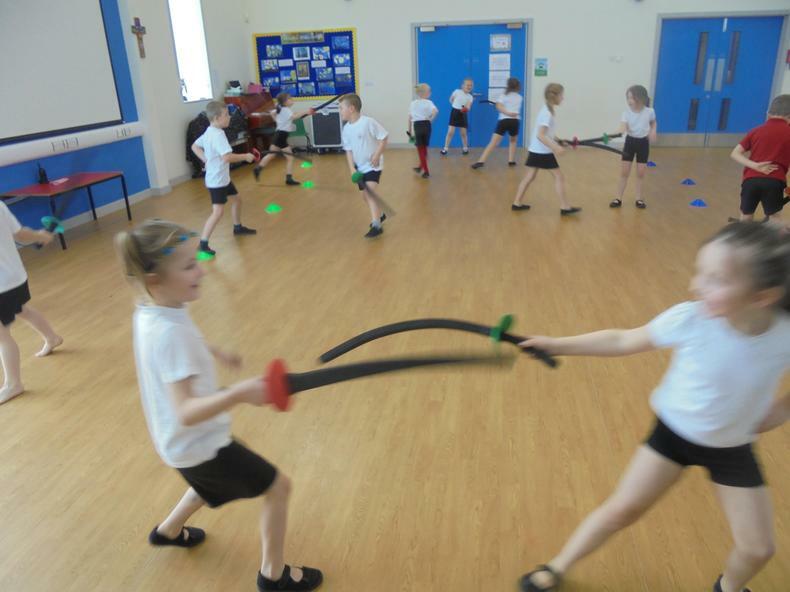 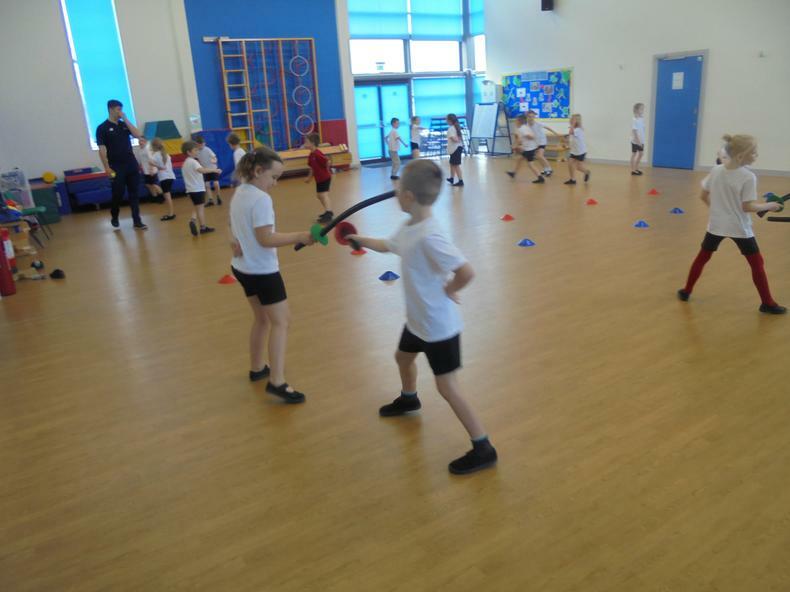 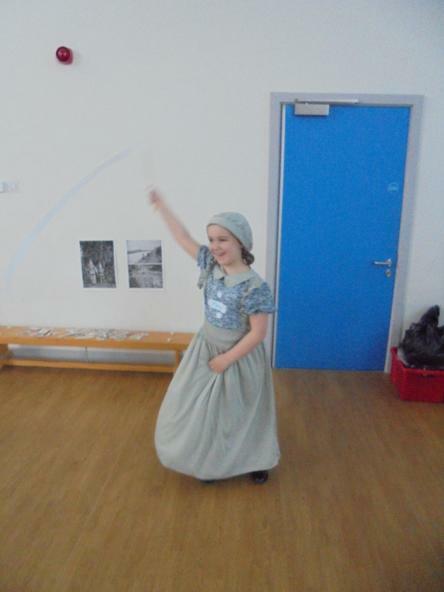 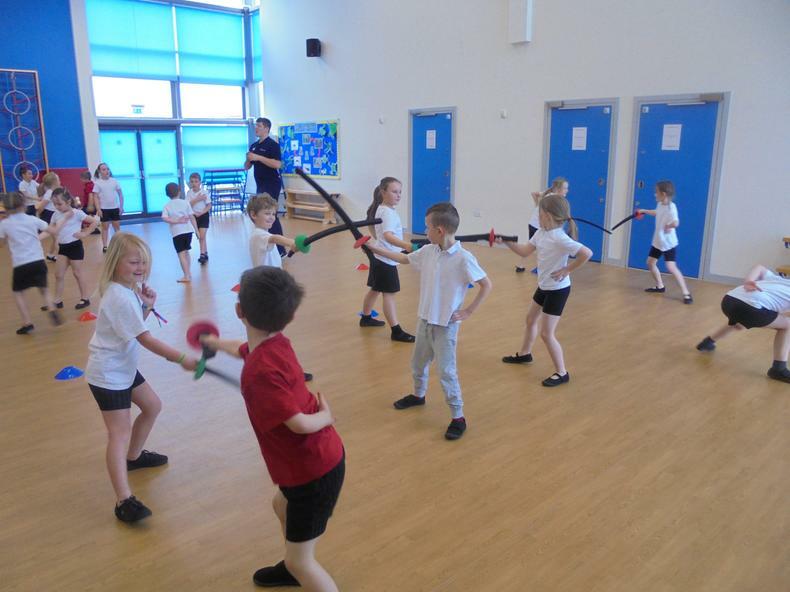 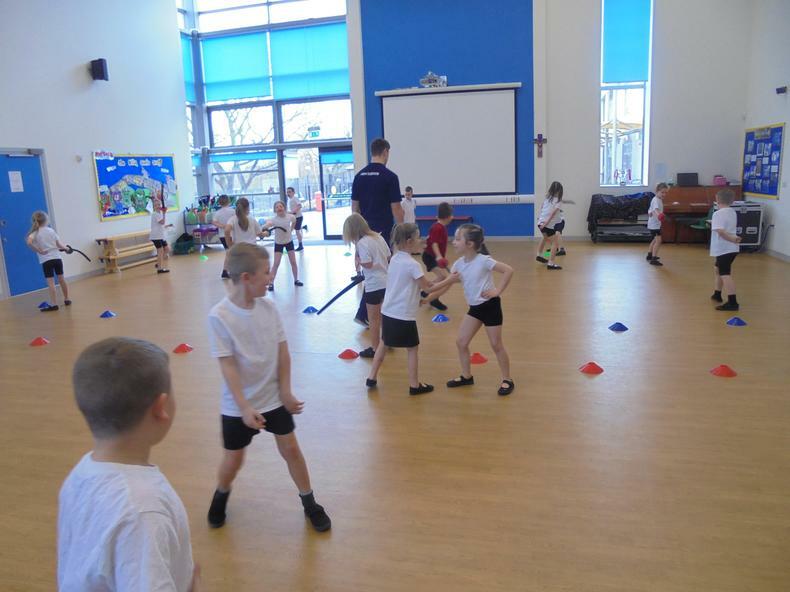 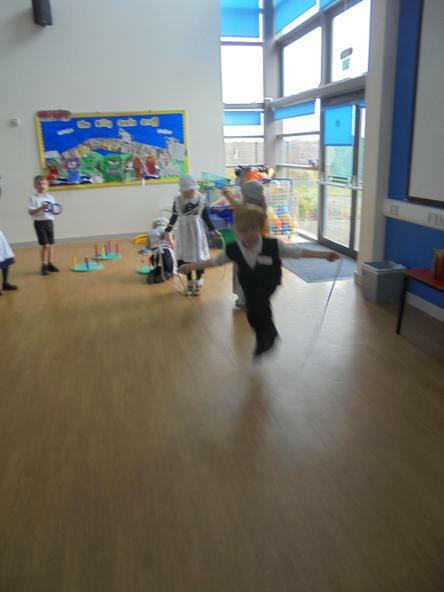 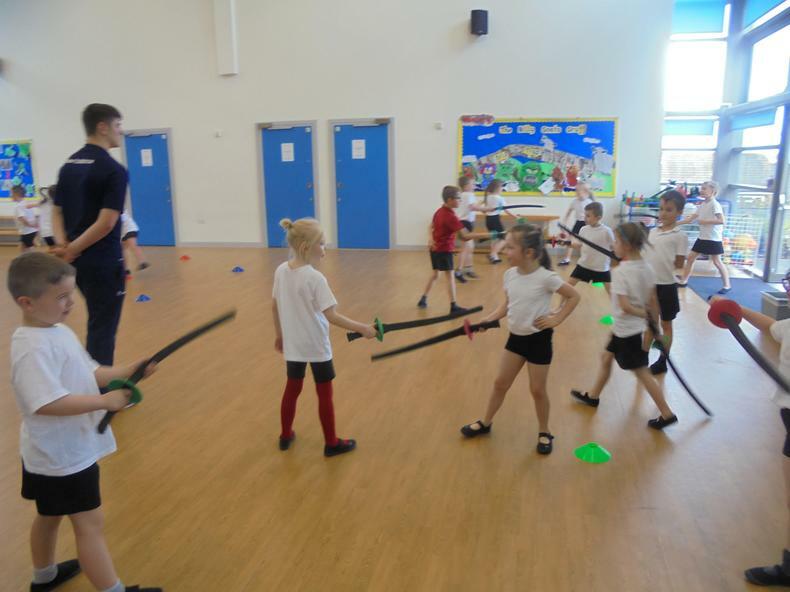 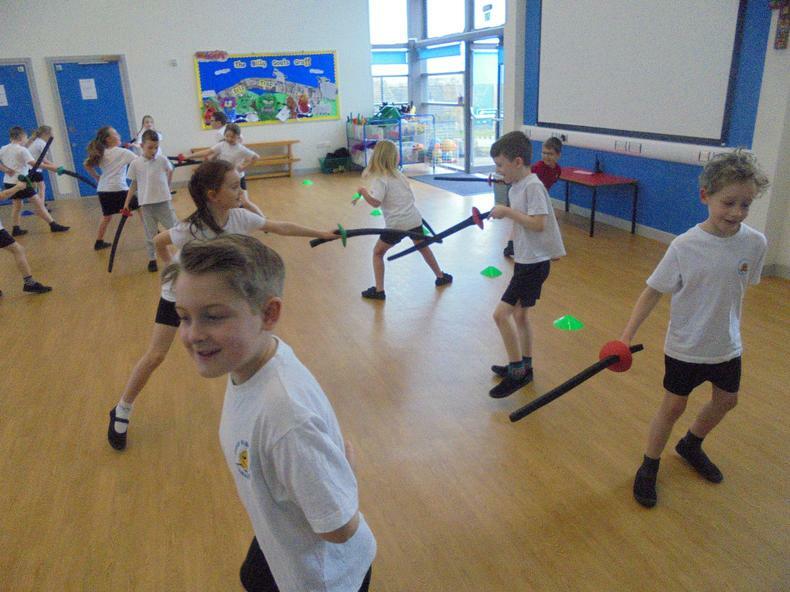 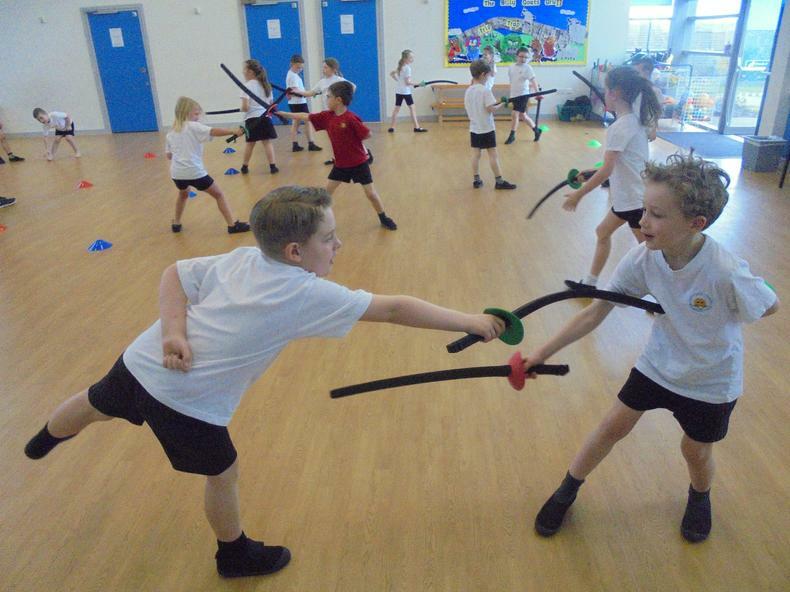 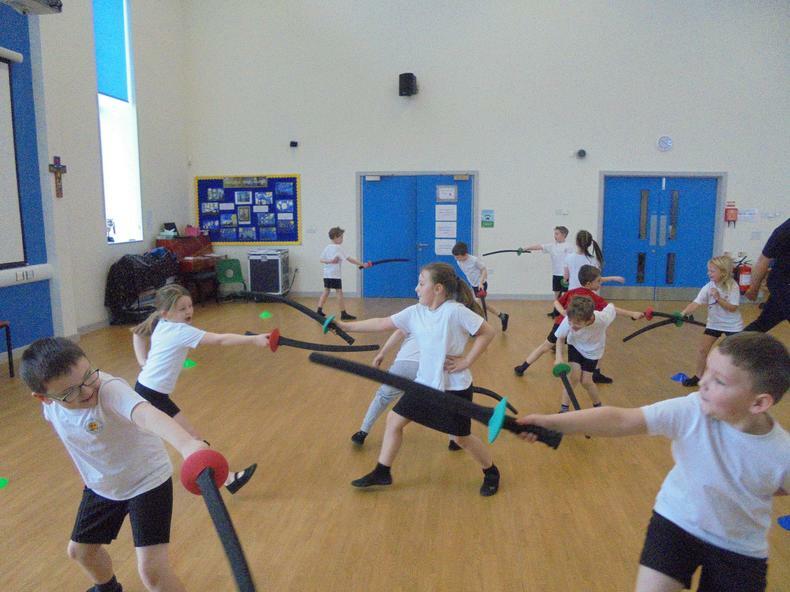 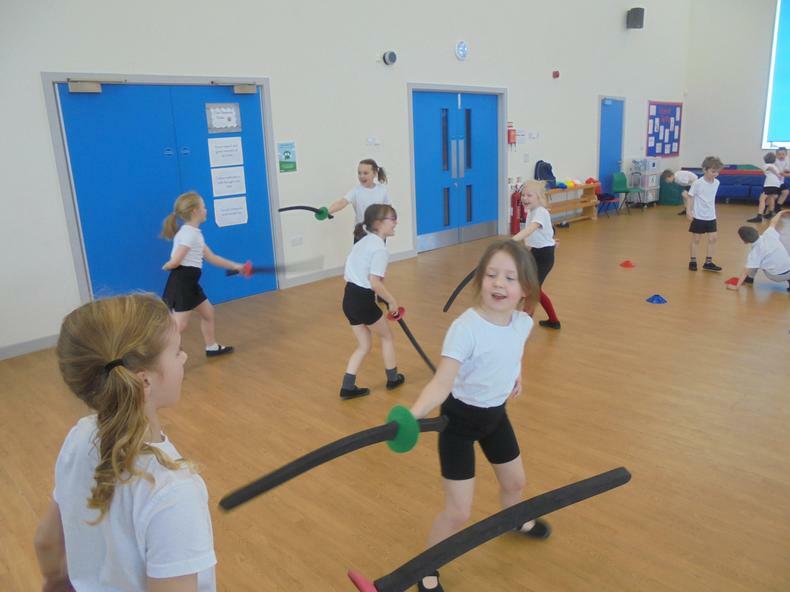 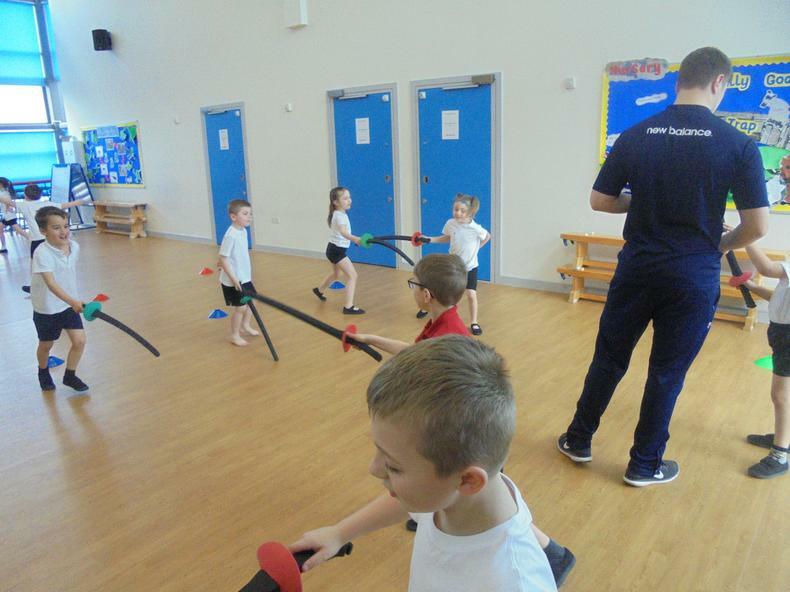 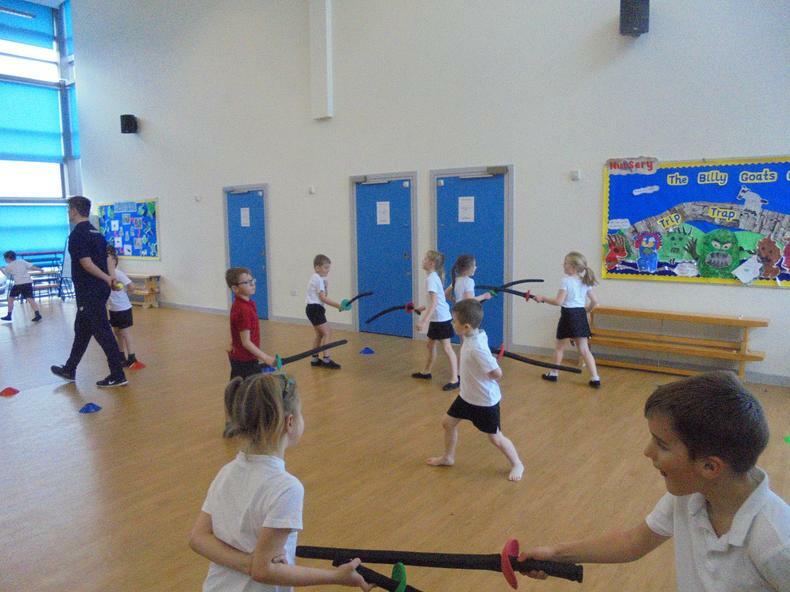 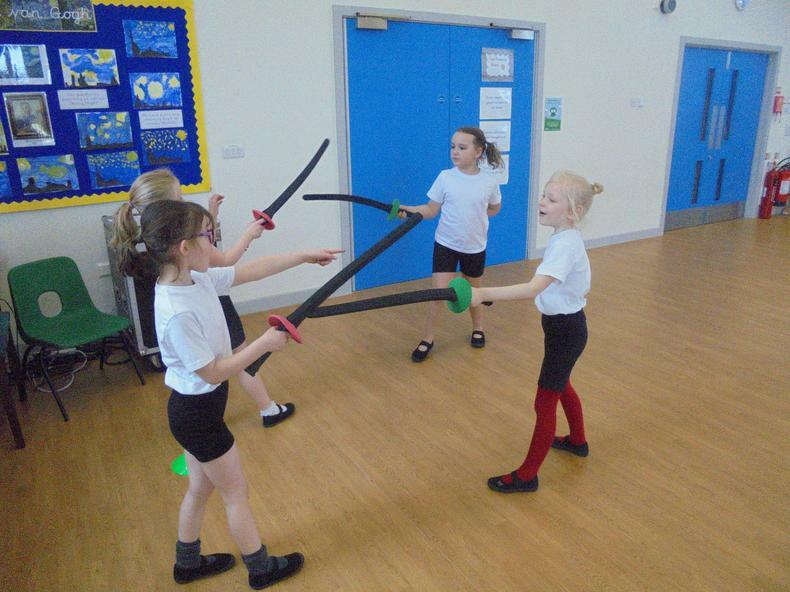 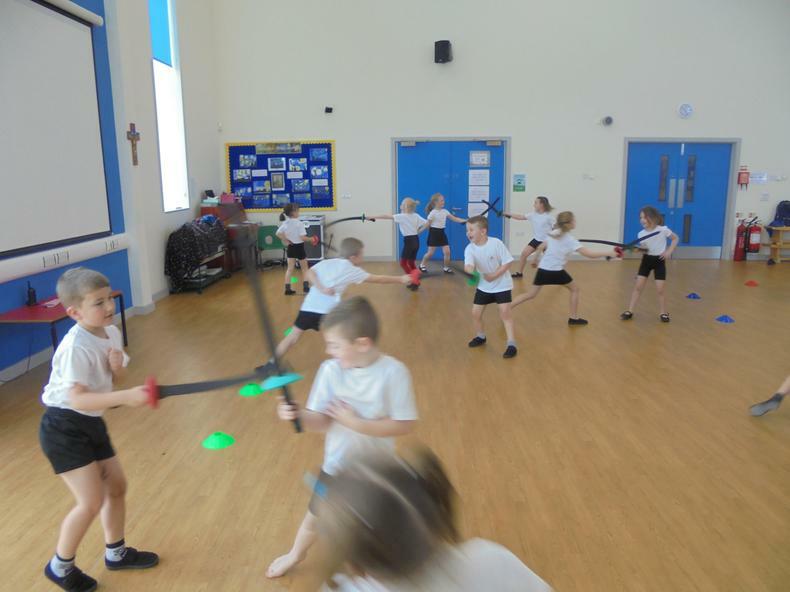 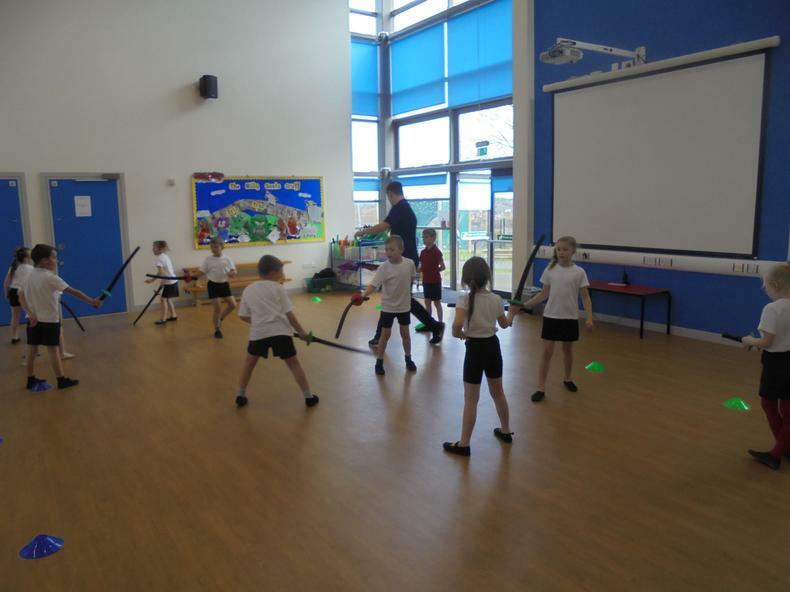 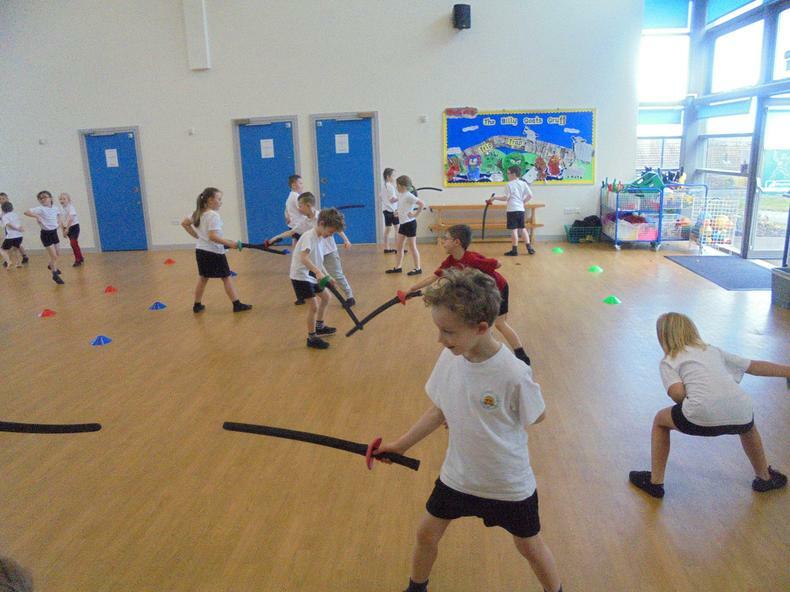 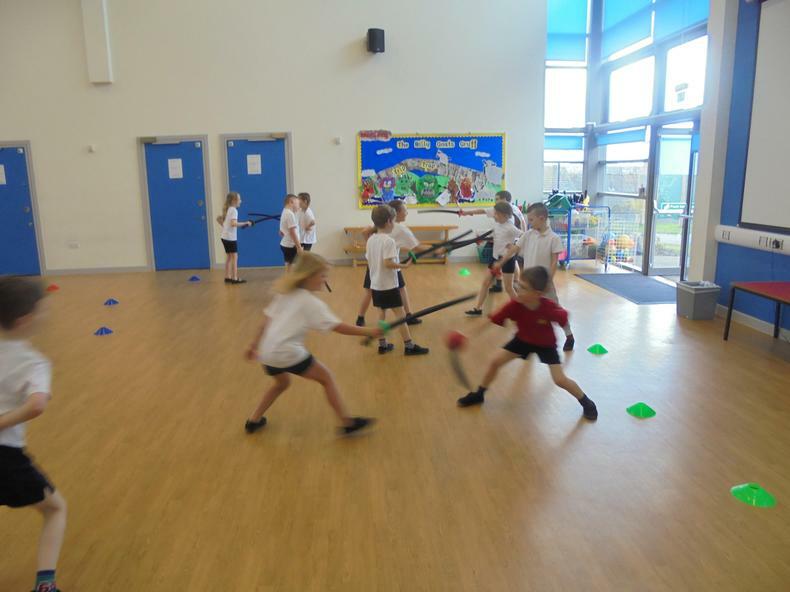 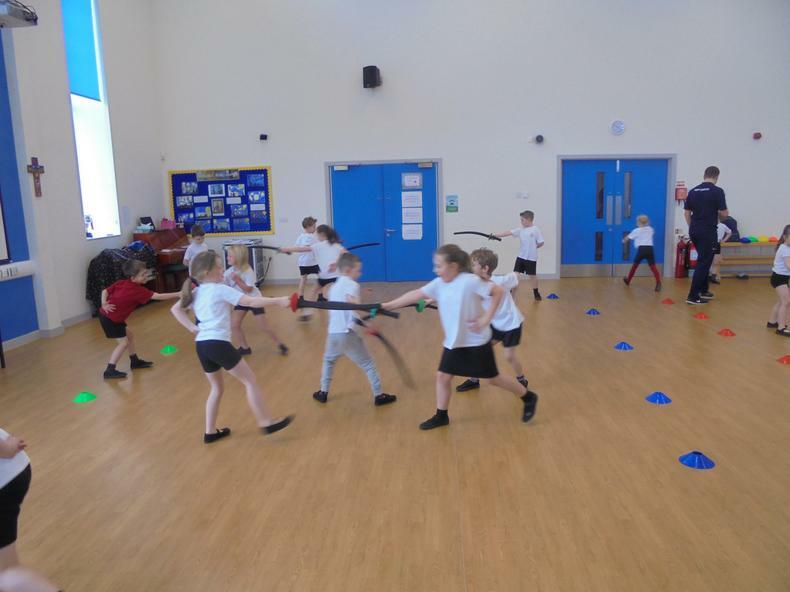 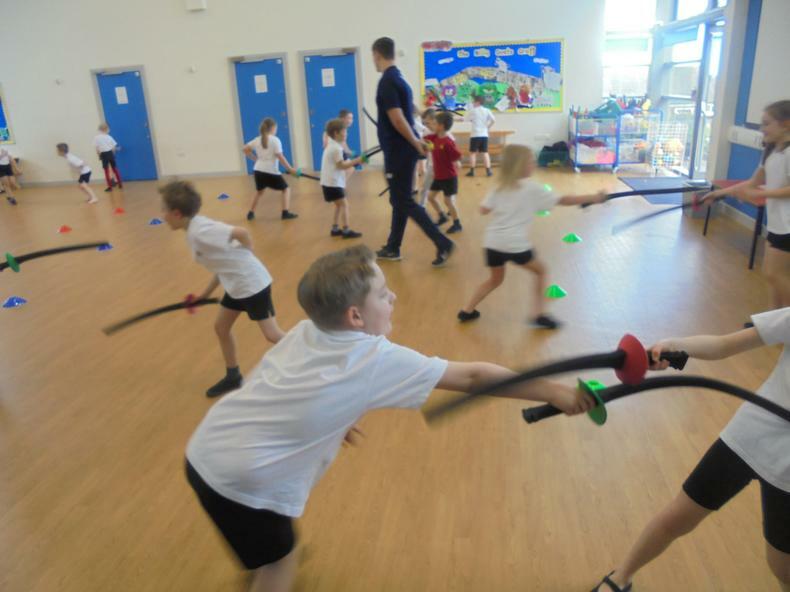 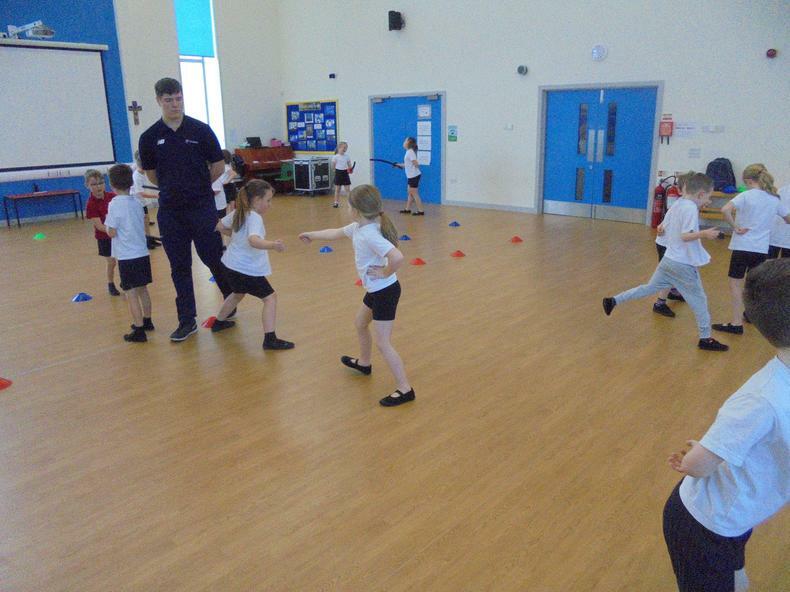 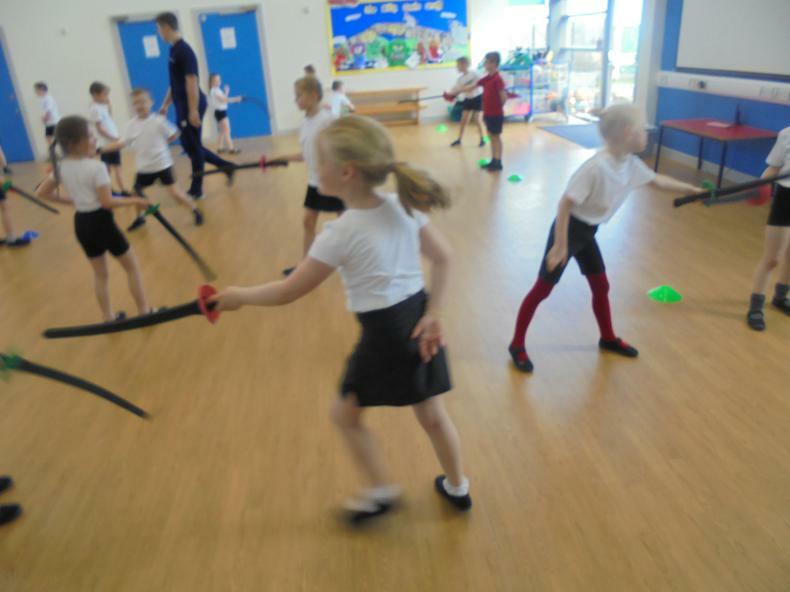 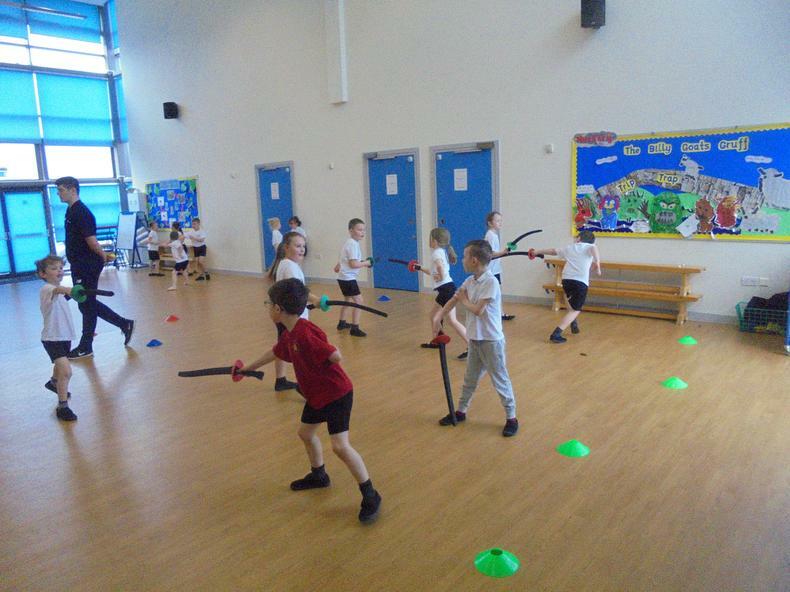 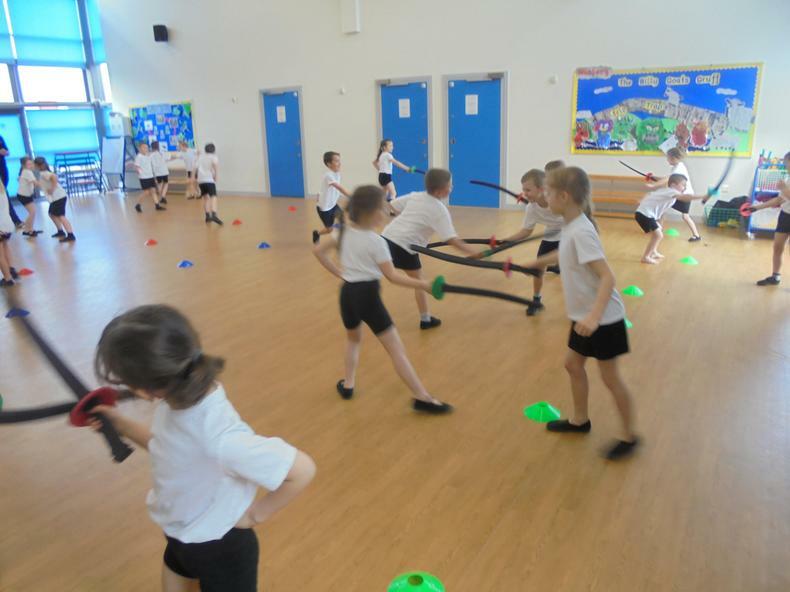 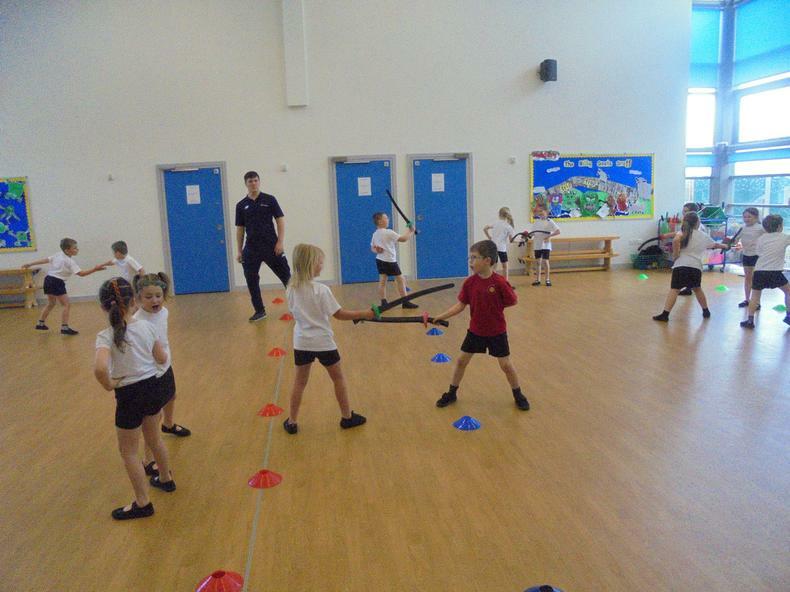 We had a brilliant time in PE learning all about fencing. 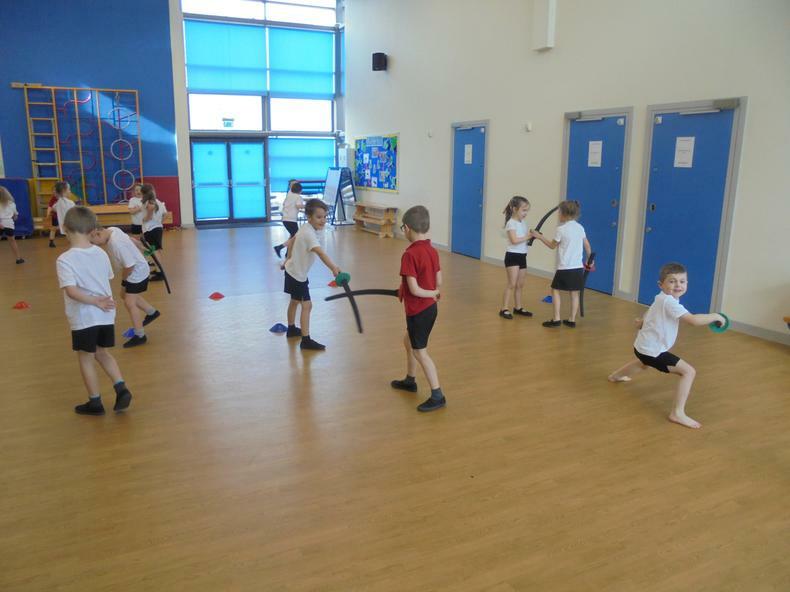 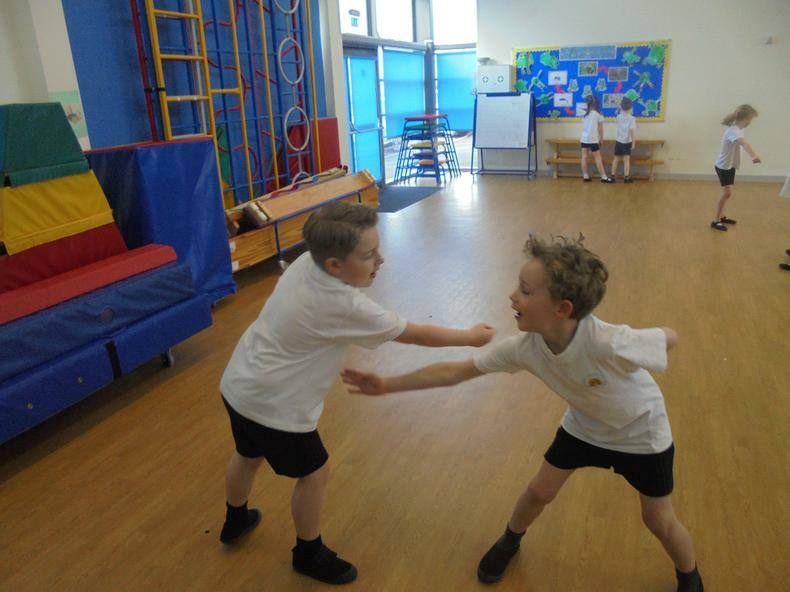 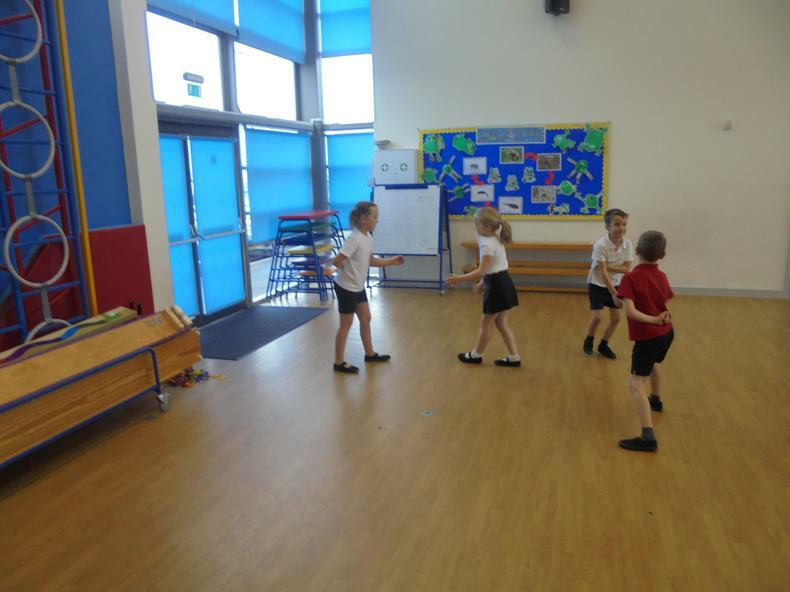 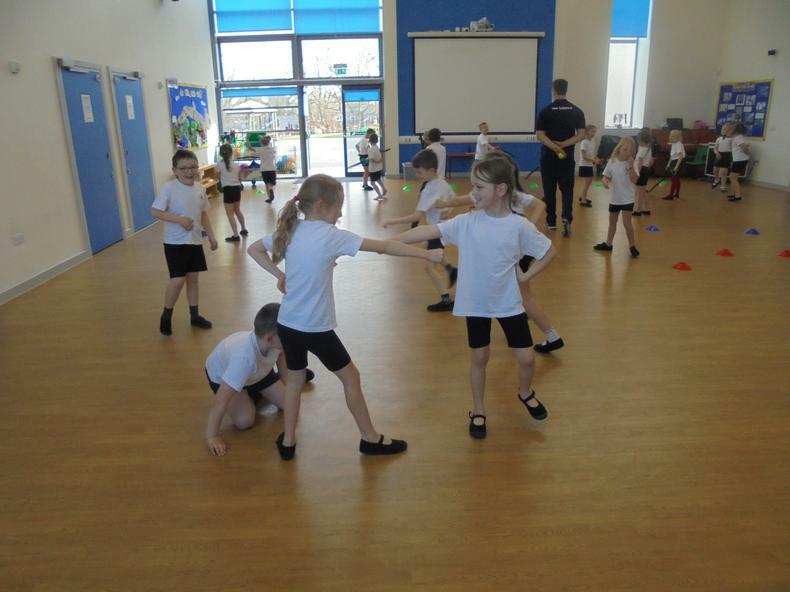 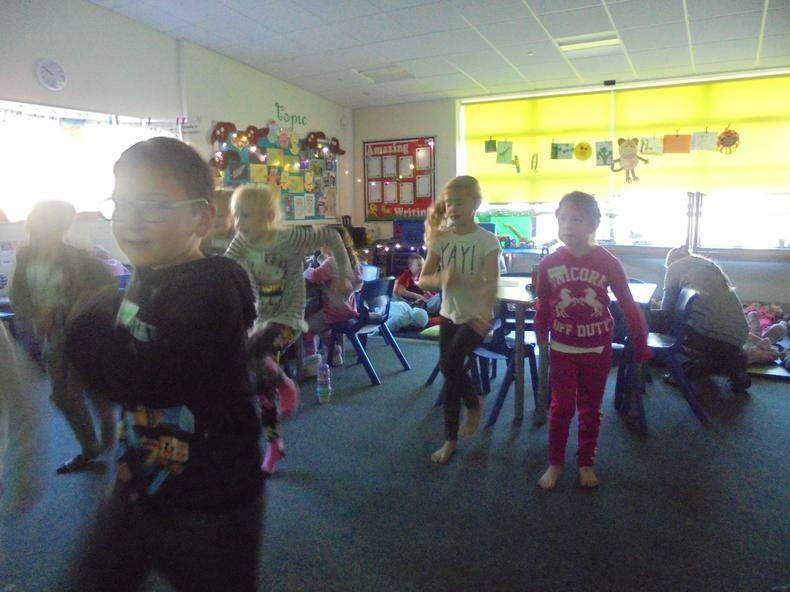 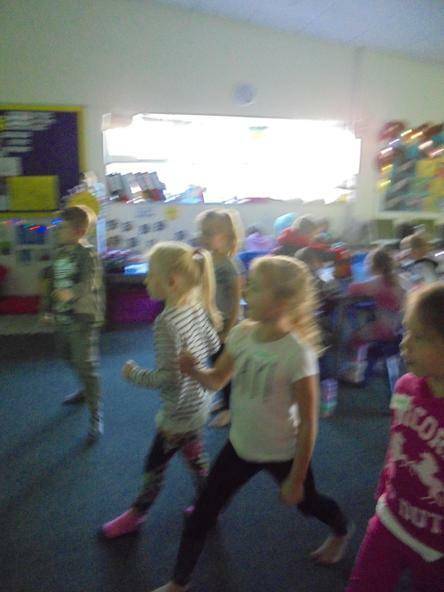 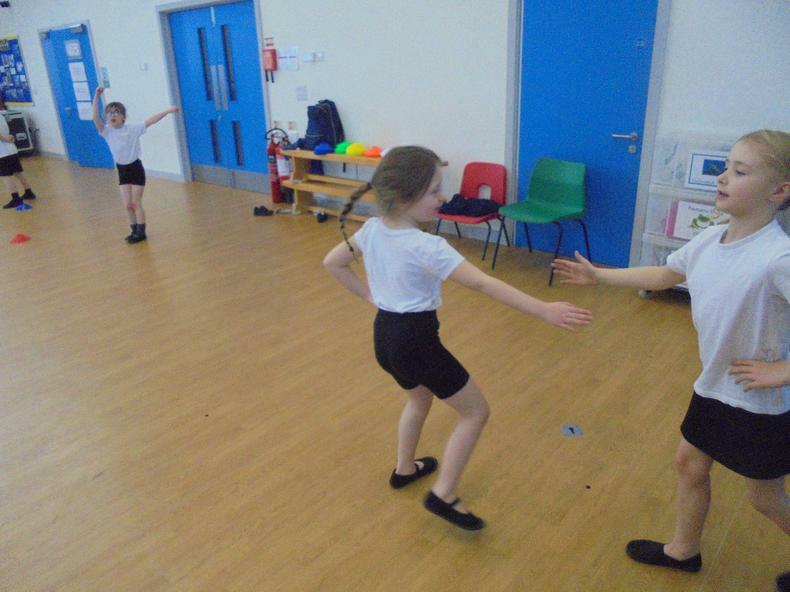 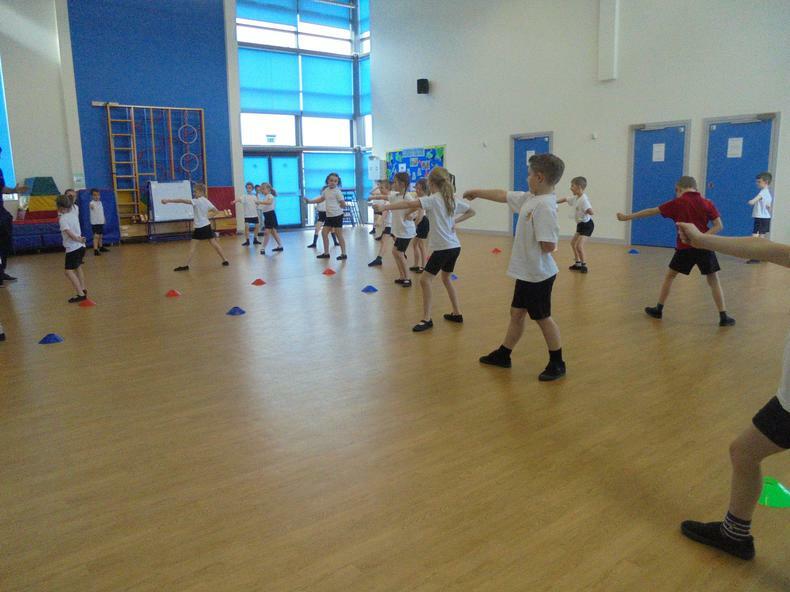 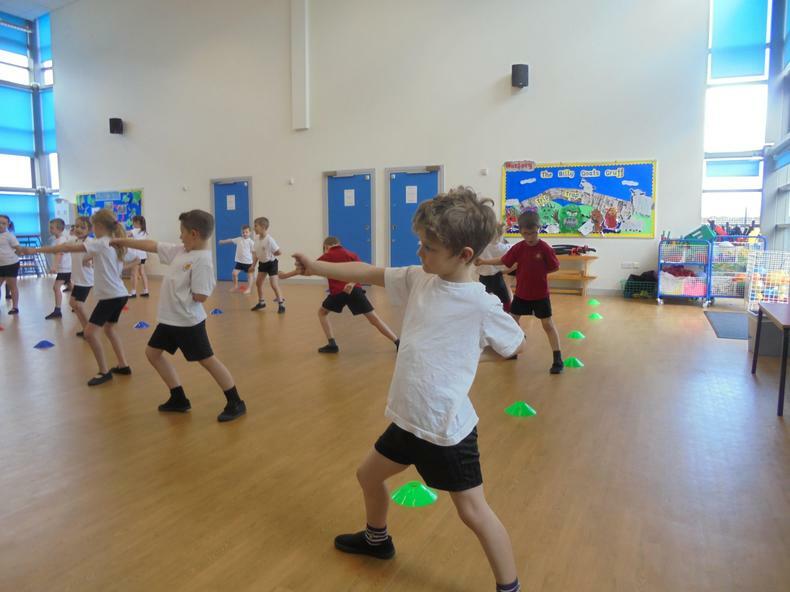 We learnt the correct positions and how to lunge, thrust and parry. 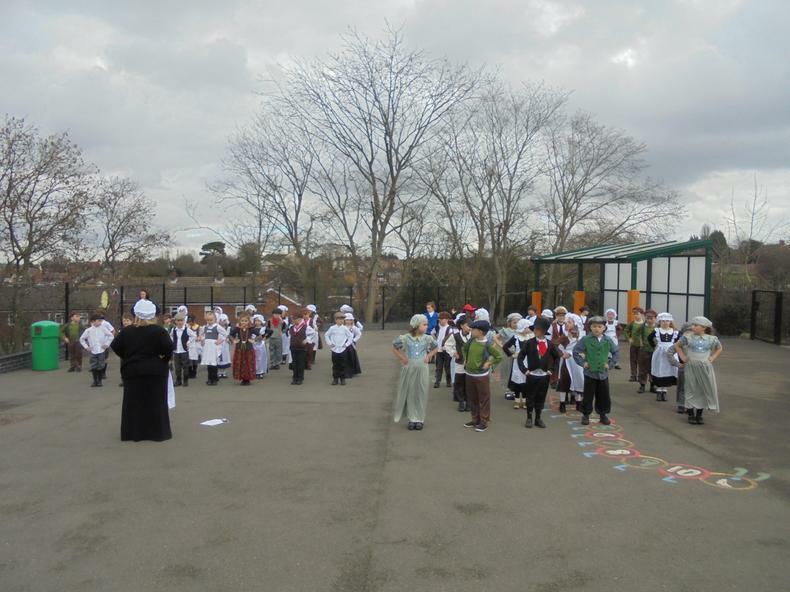 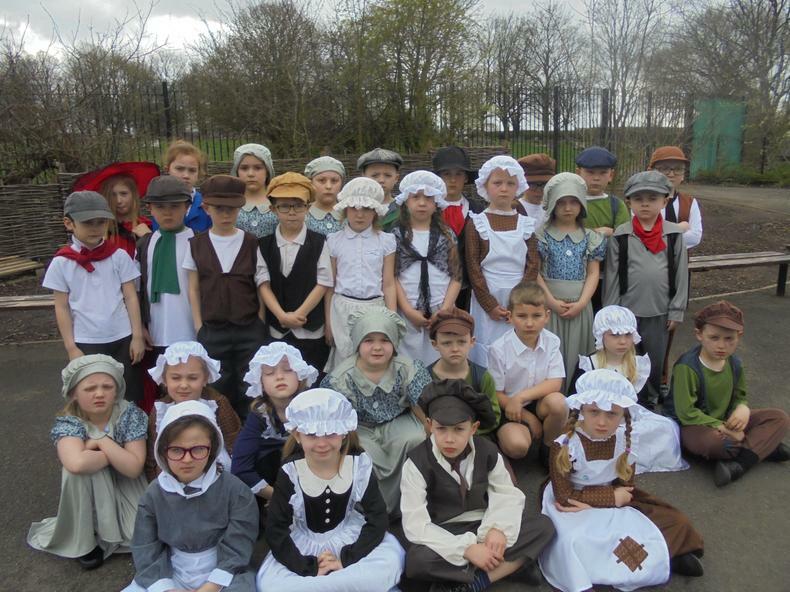 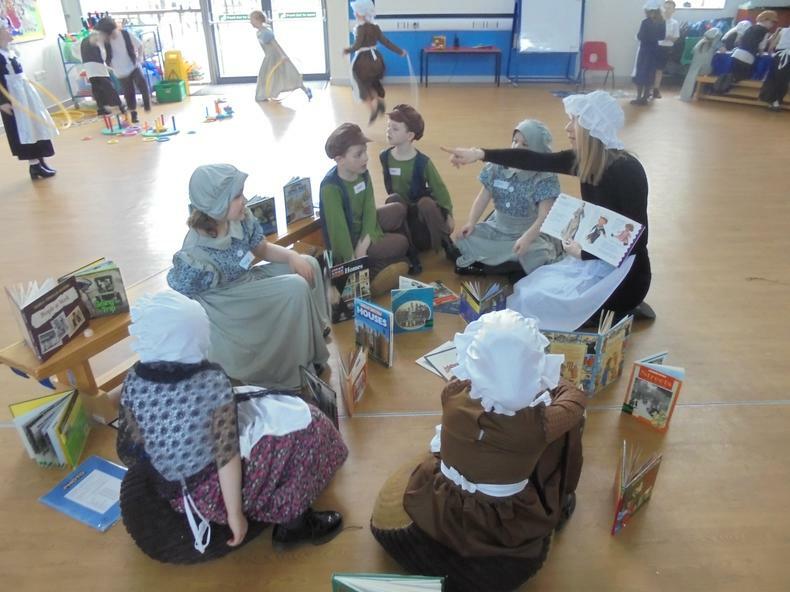 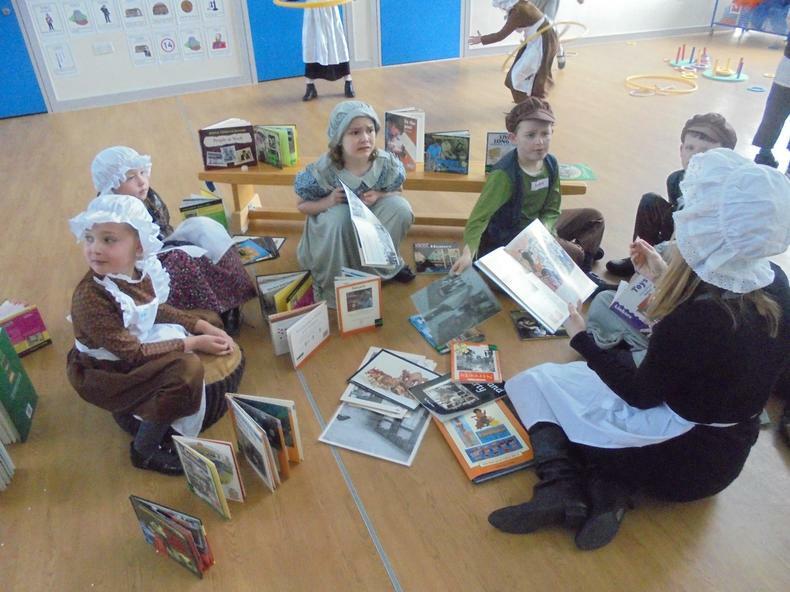 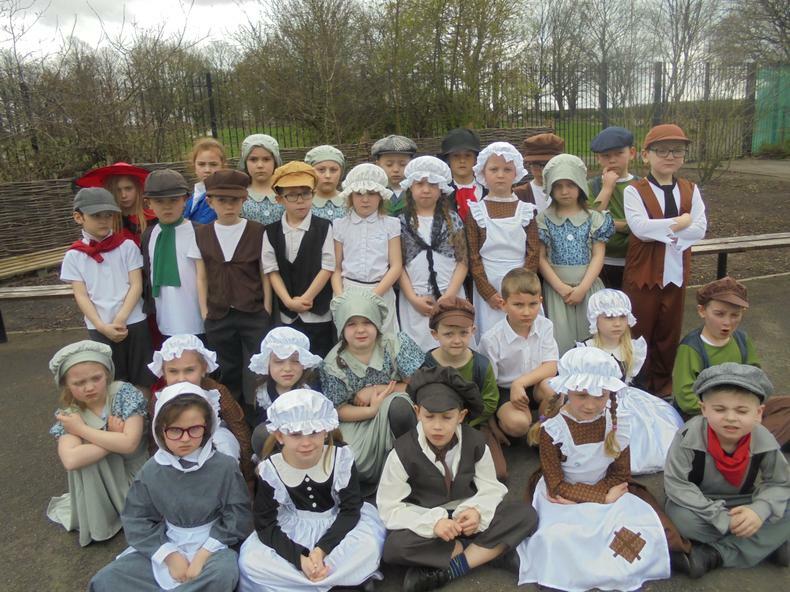 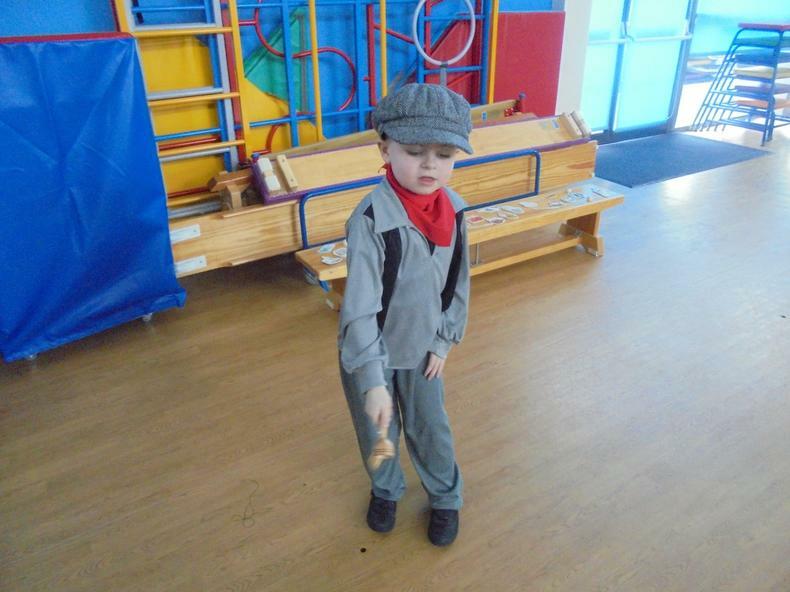 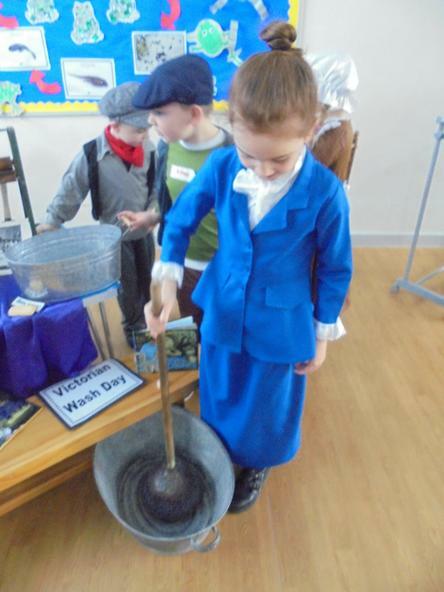 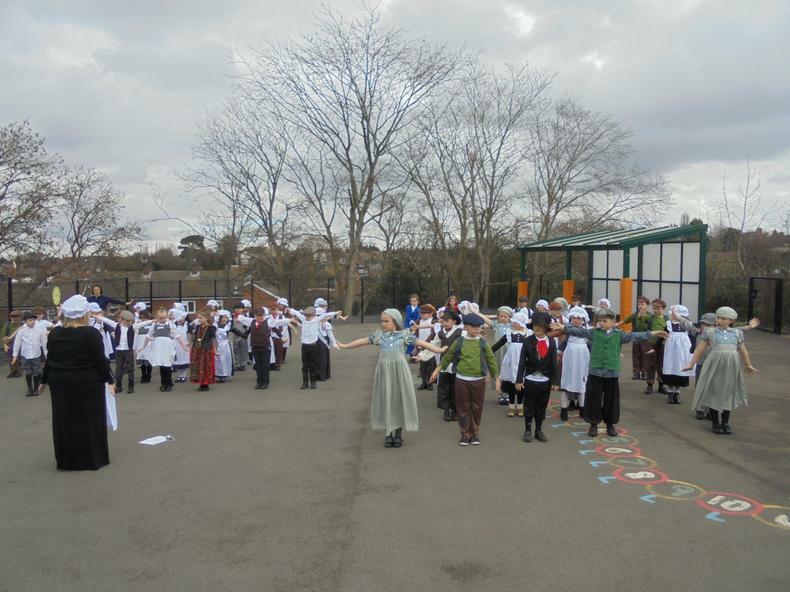 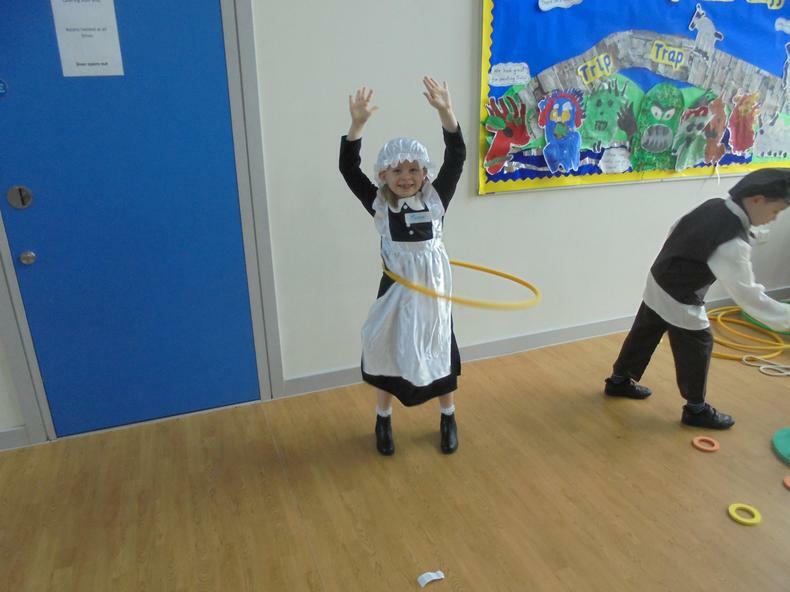 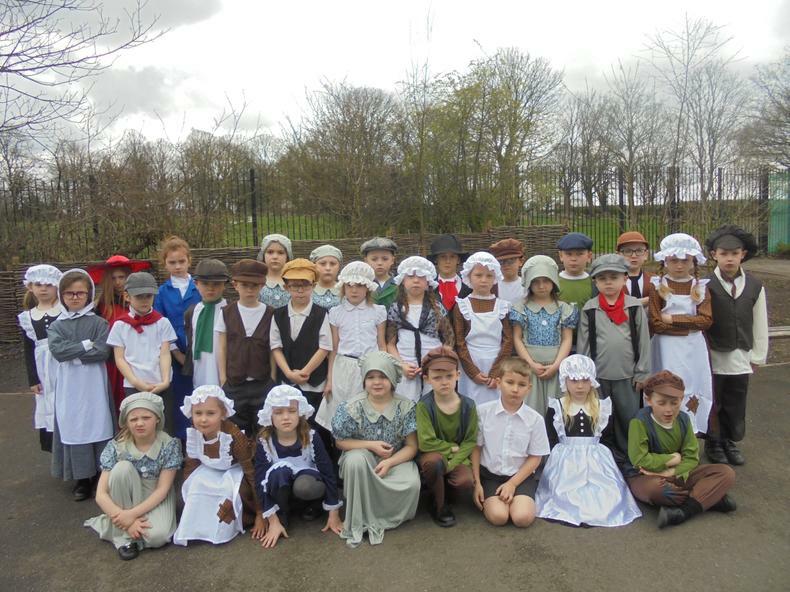 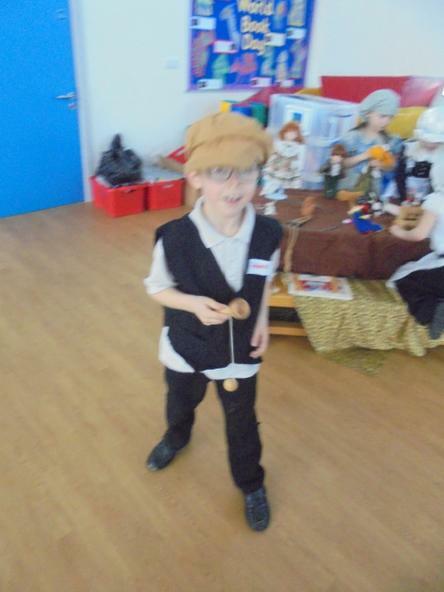 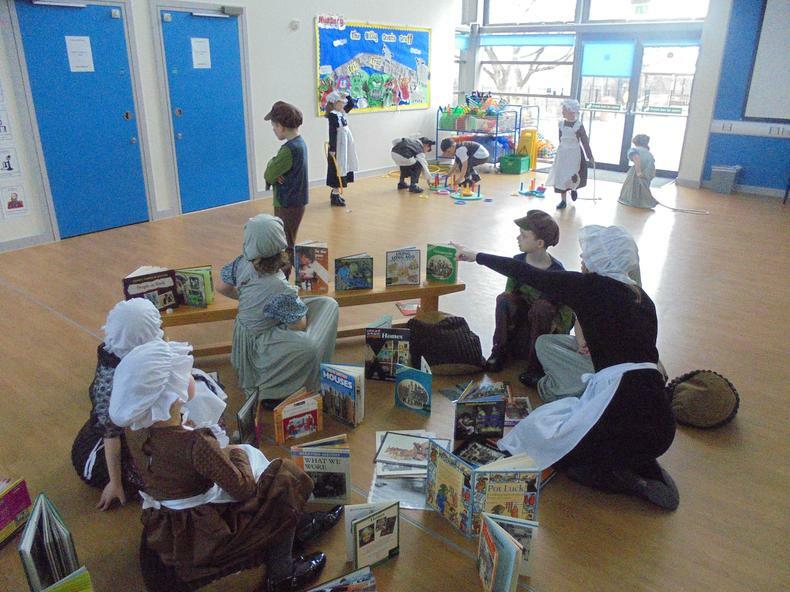 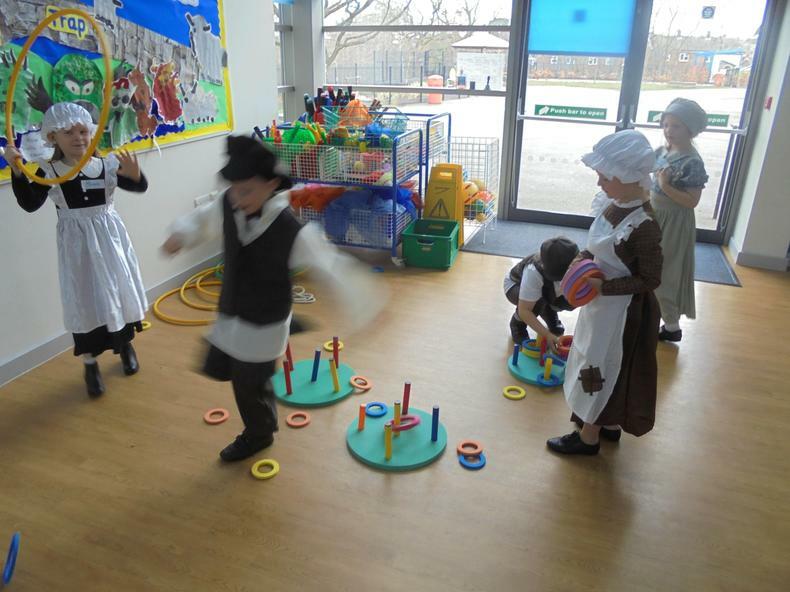 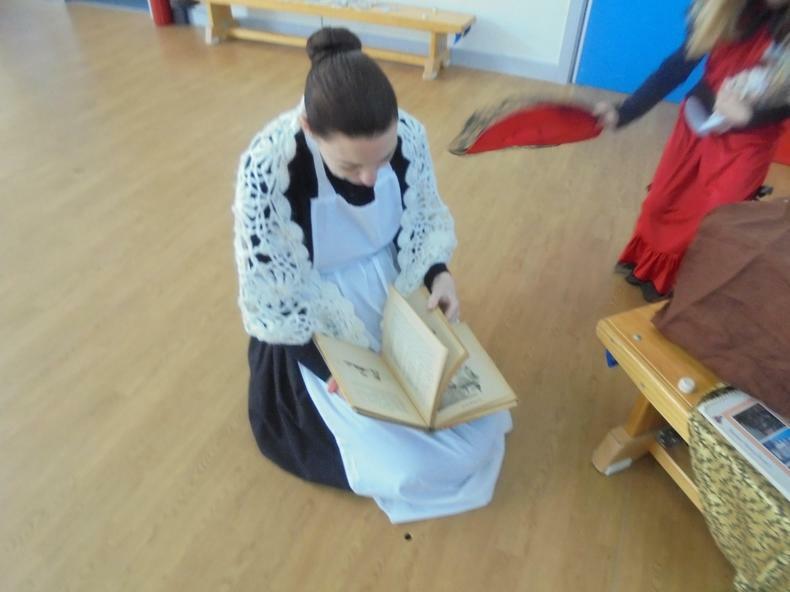 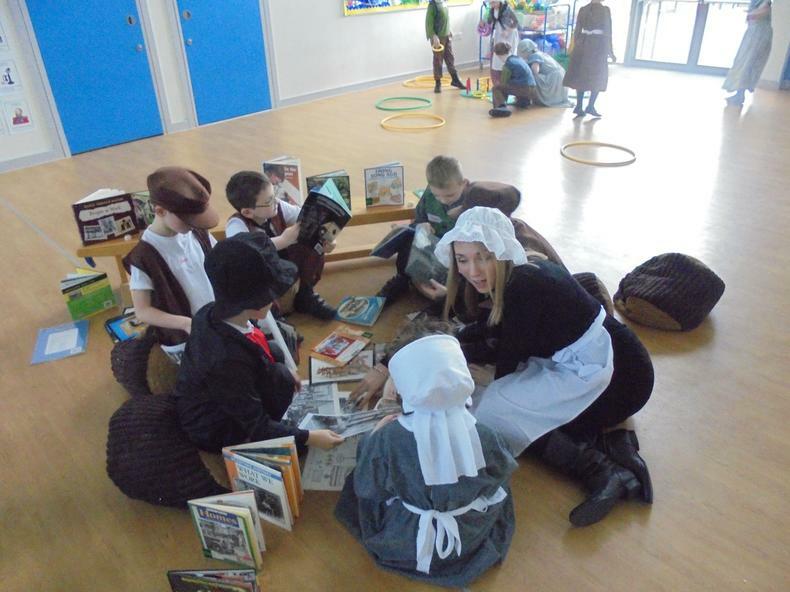 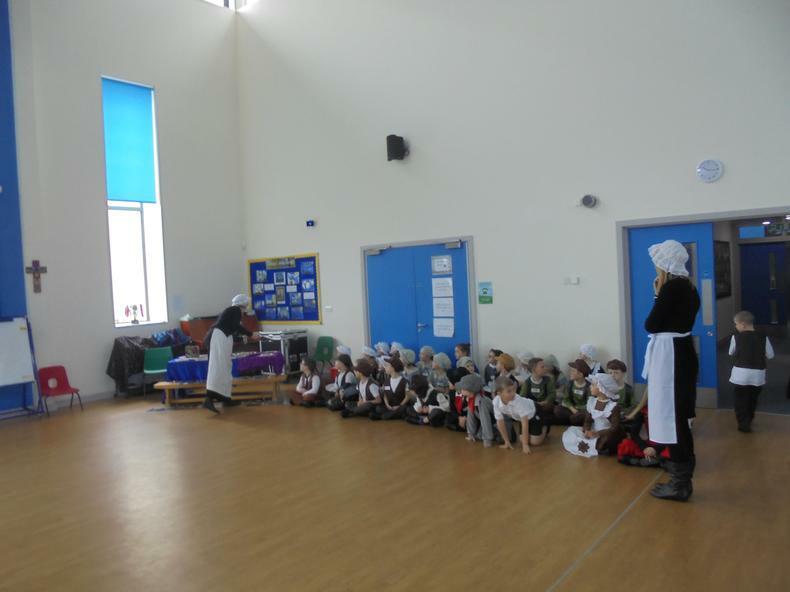 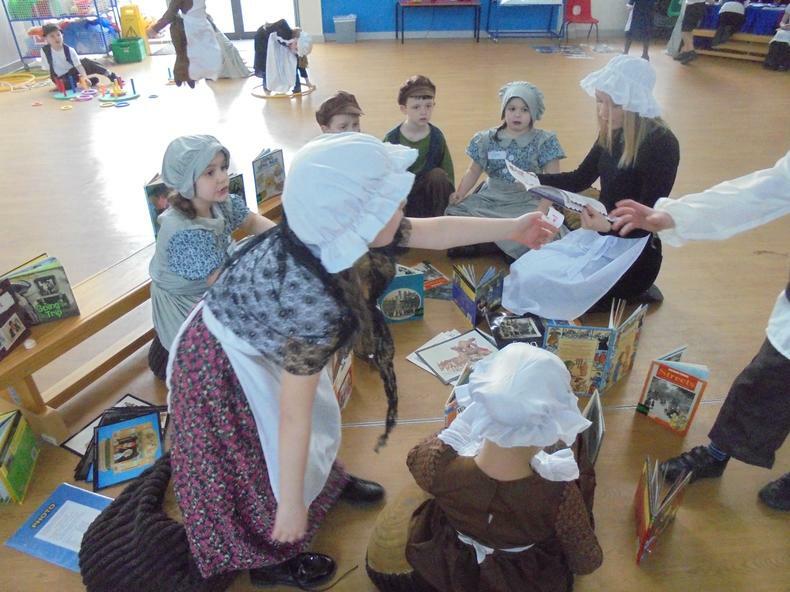 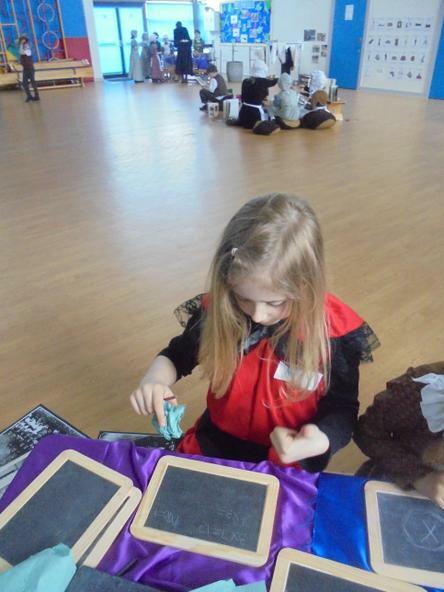 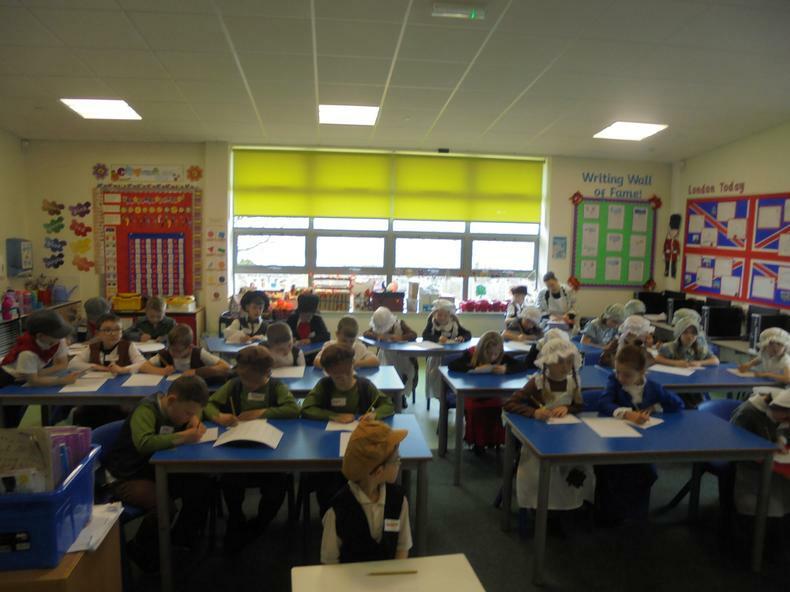 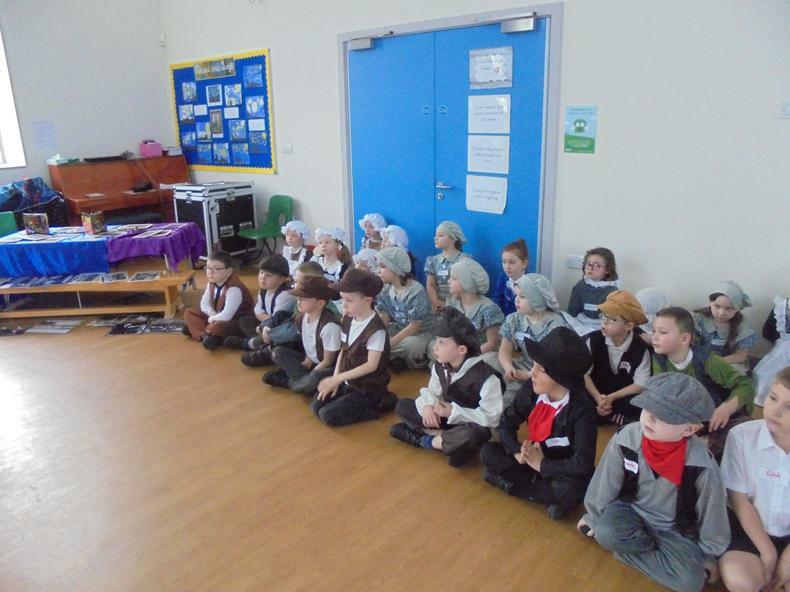 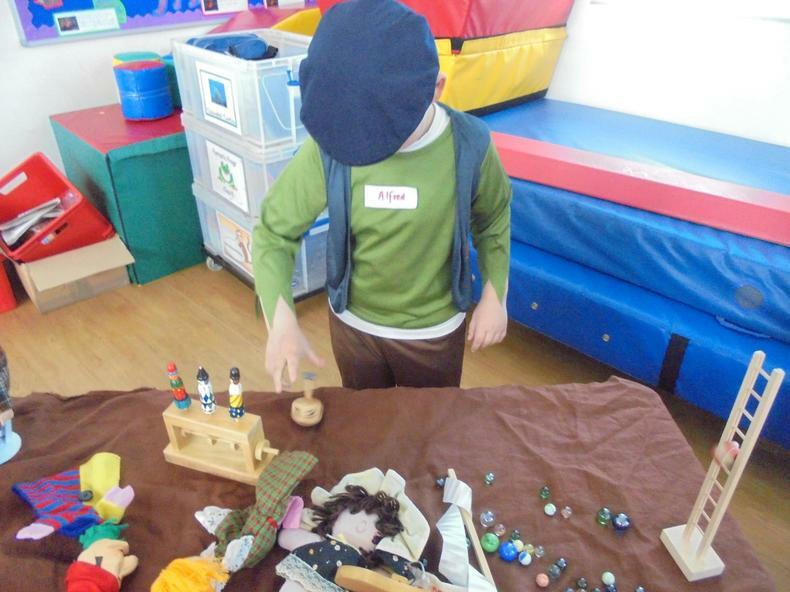 We really enjoyed our Victorian Day in school! 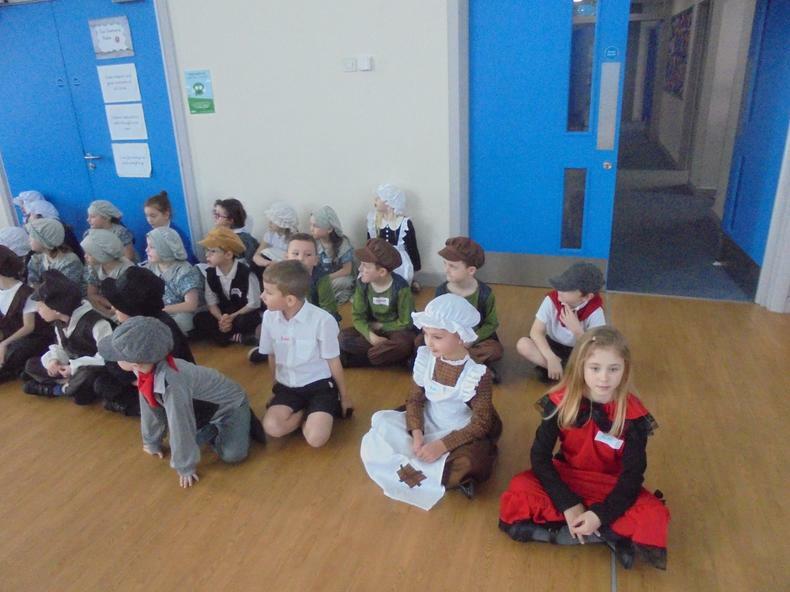 We sat in rows in alphabetical order with boys on one side and girls on the other. 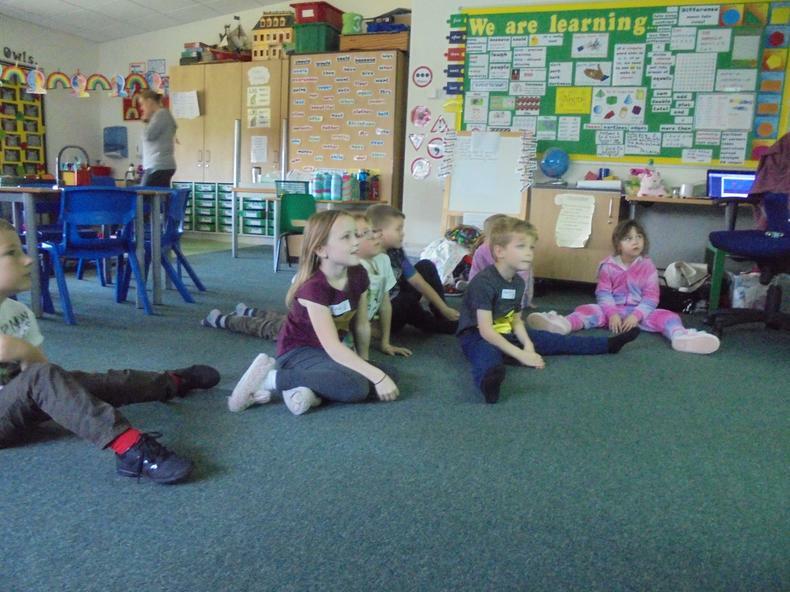 We had to stand up when a grown up came into the room and work in silence. 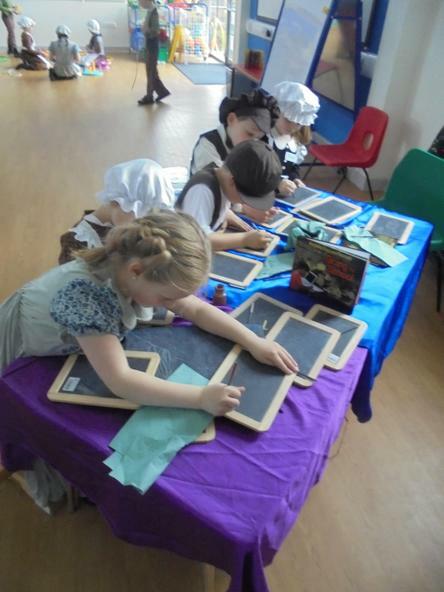 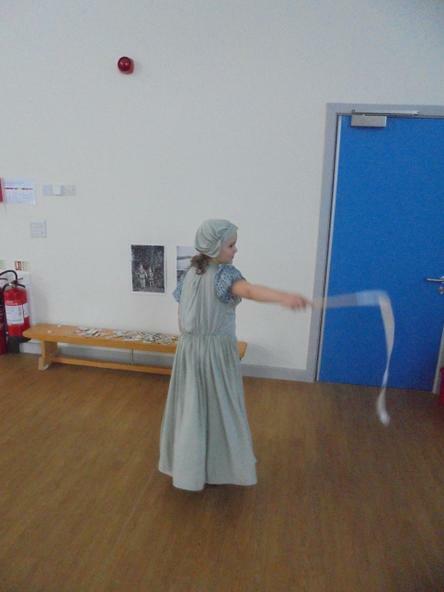 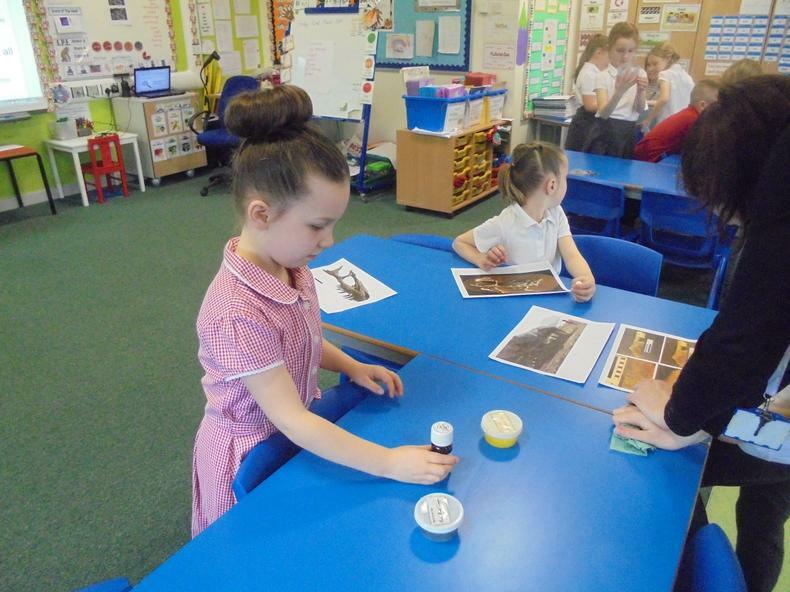 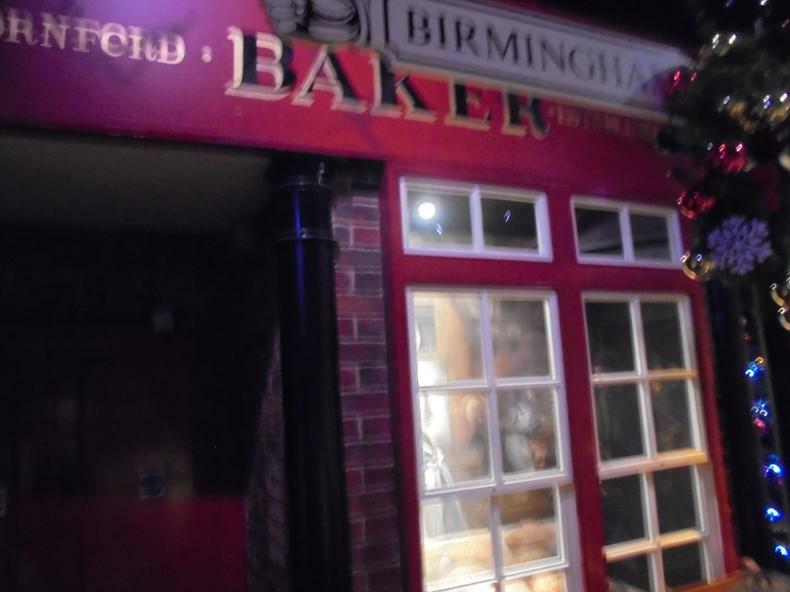 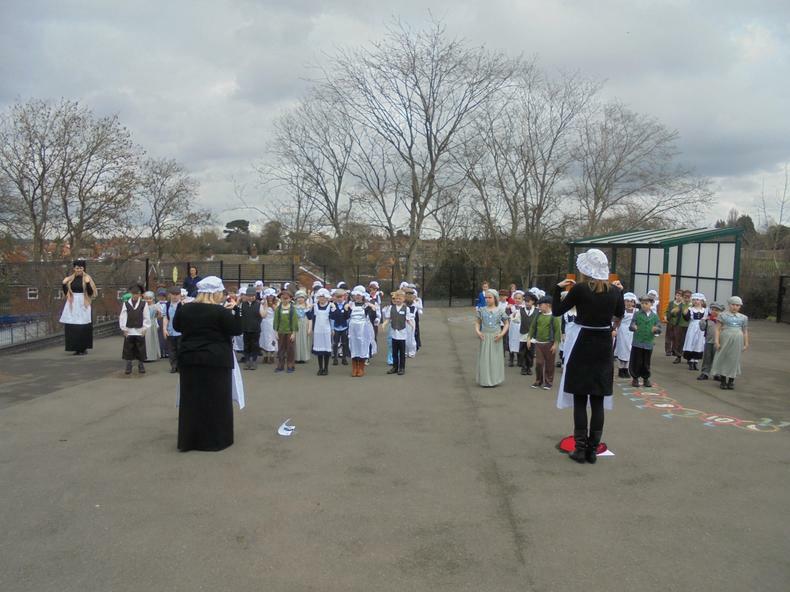 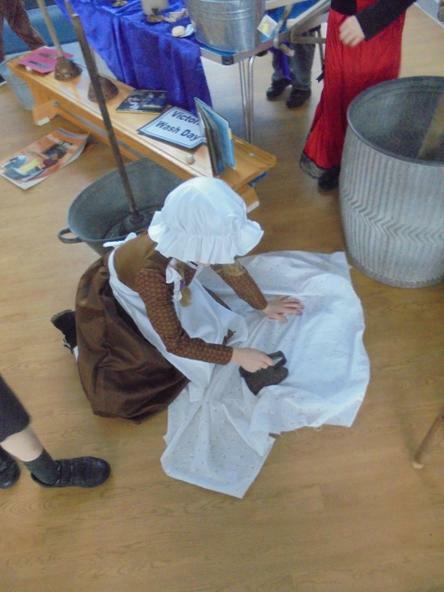 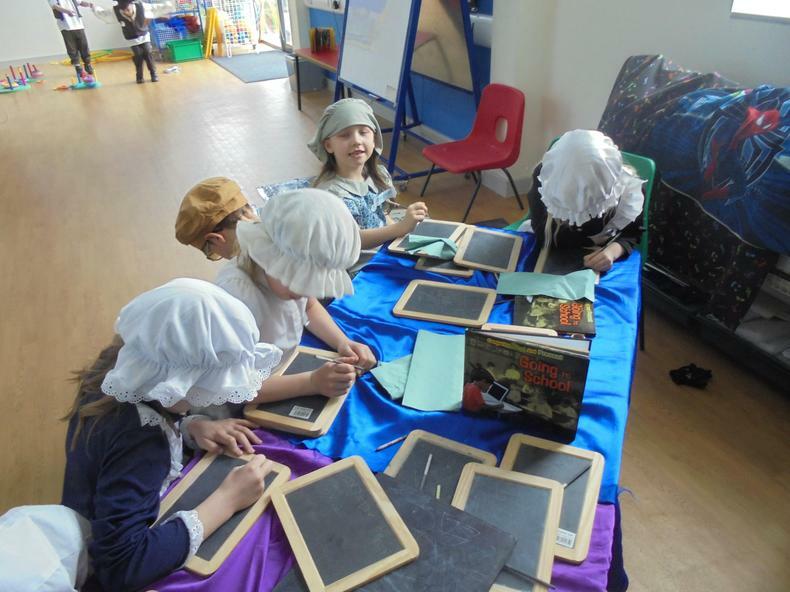 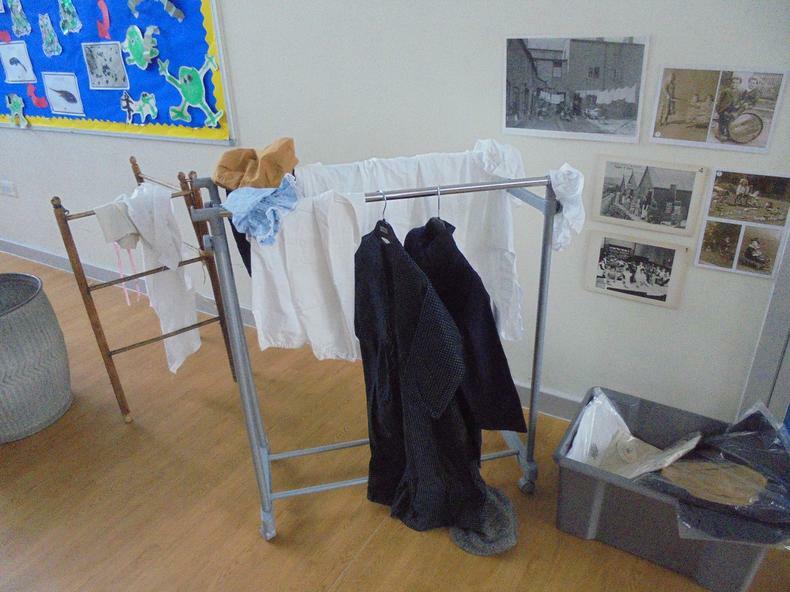 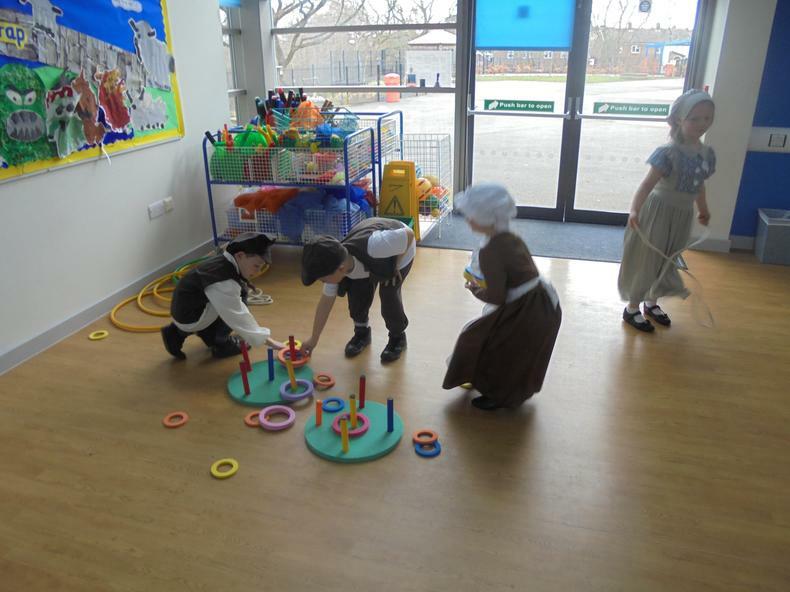 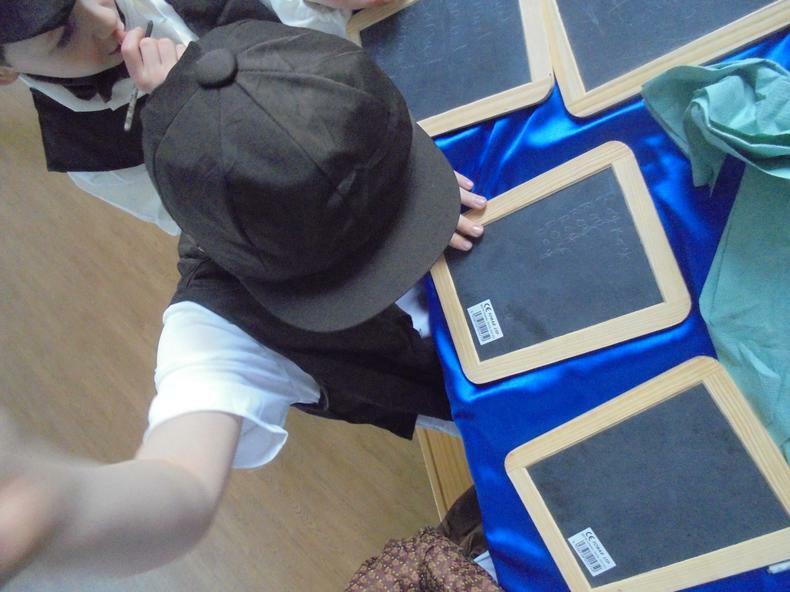 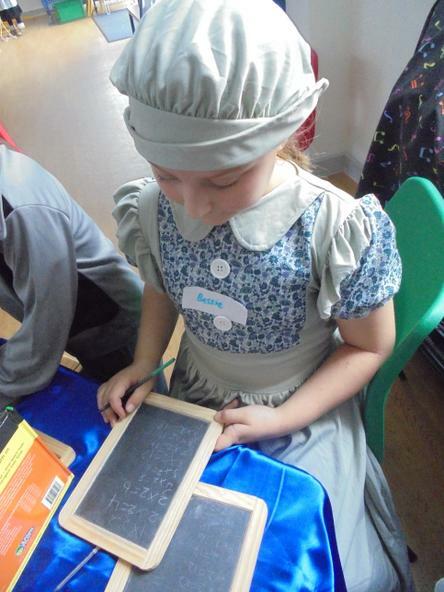 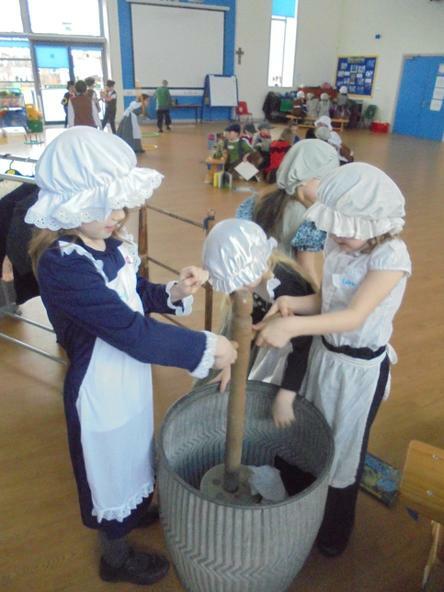 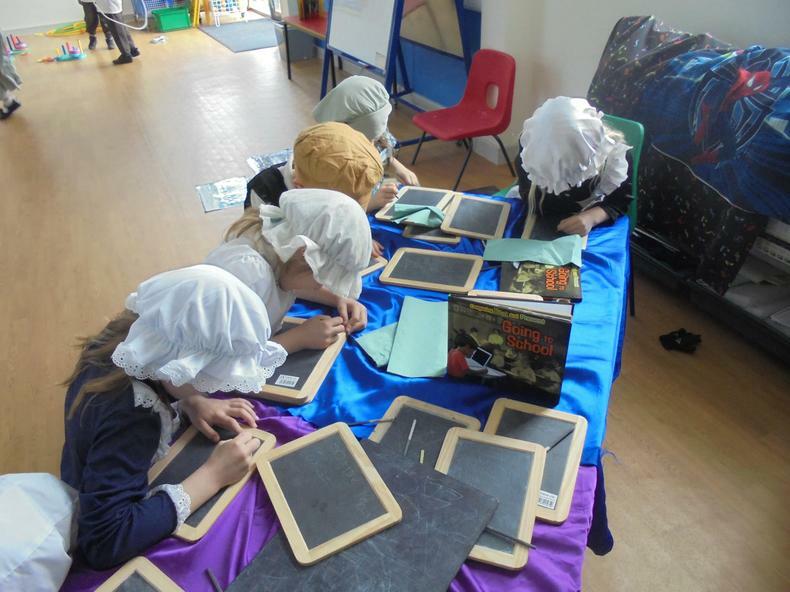 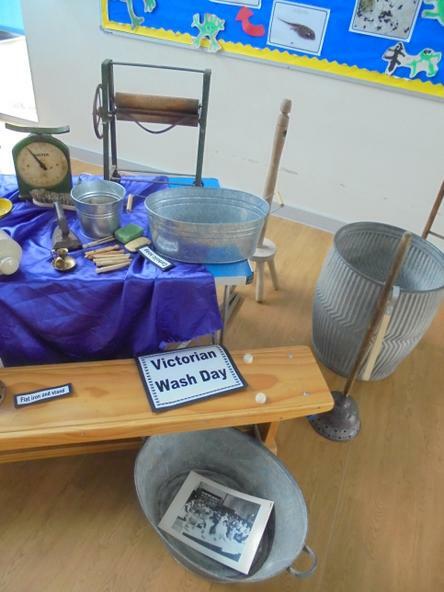 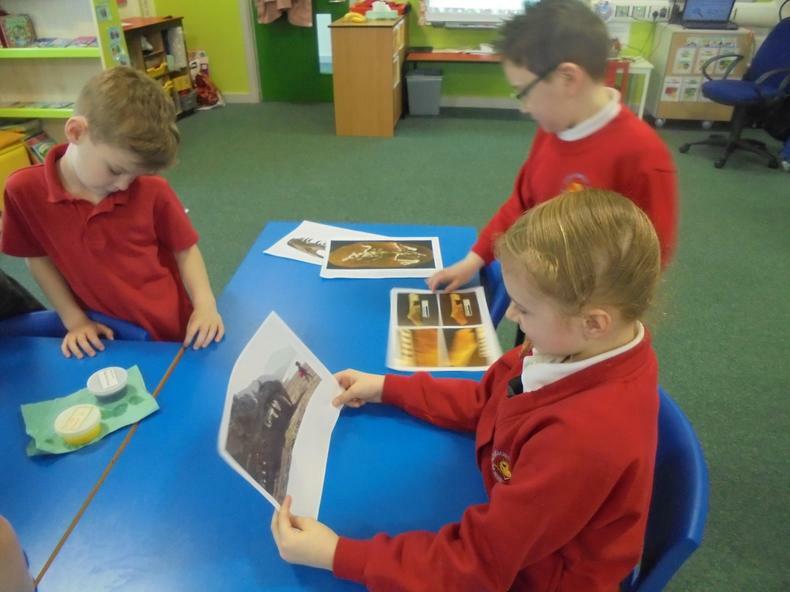 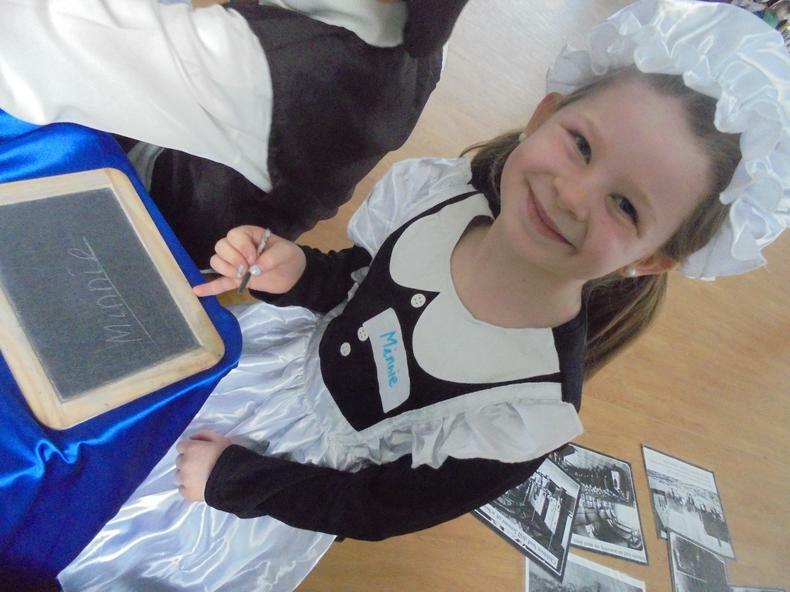 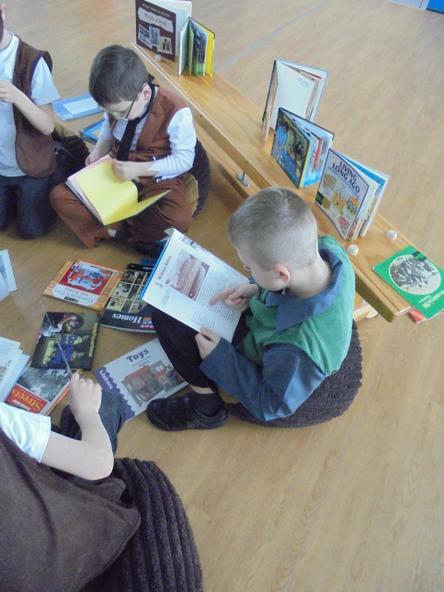 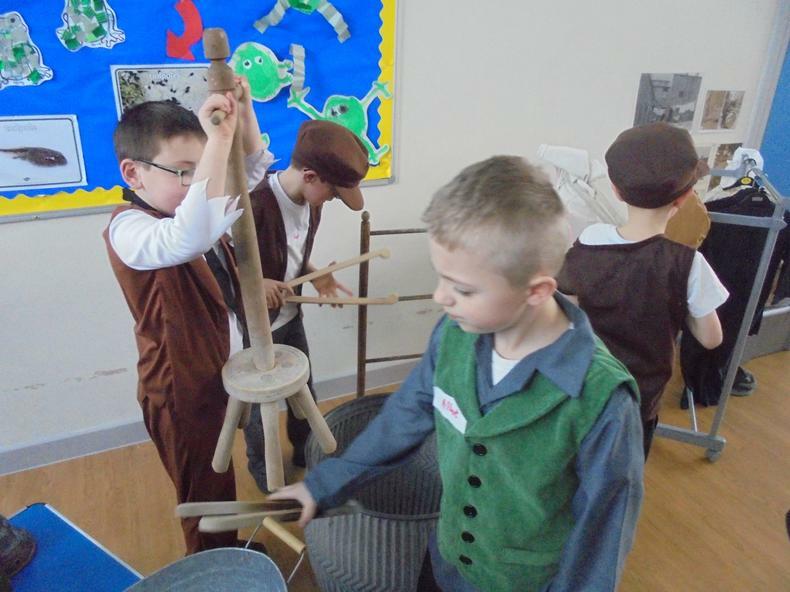 We practised our handwriting, did drill outside and explored lots of Victorian artefacts. 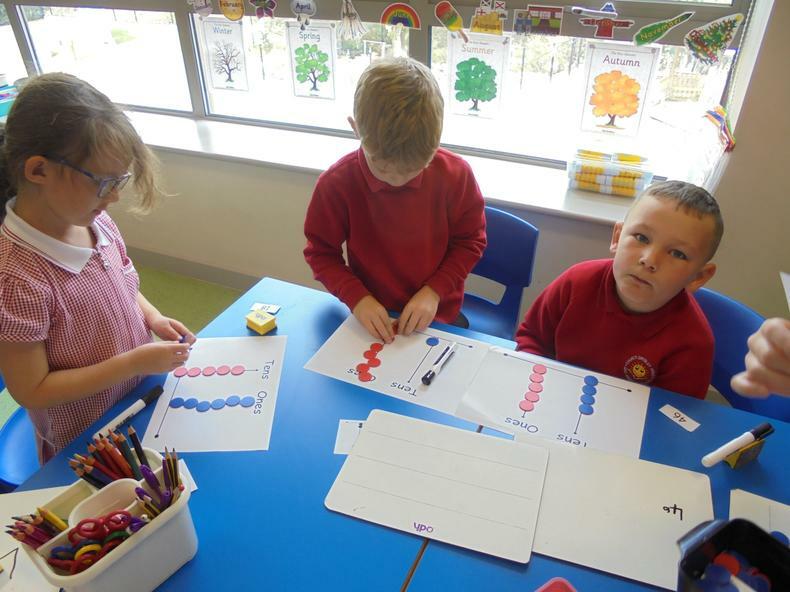 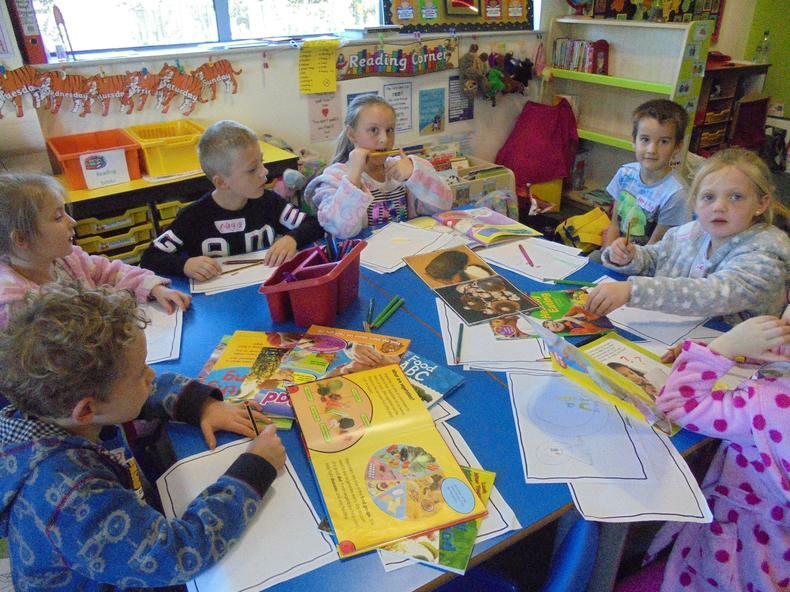 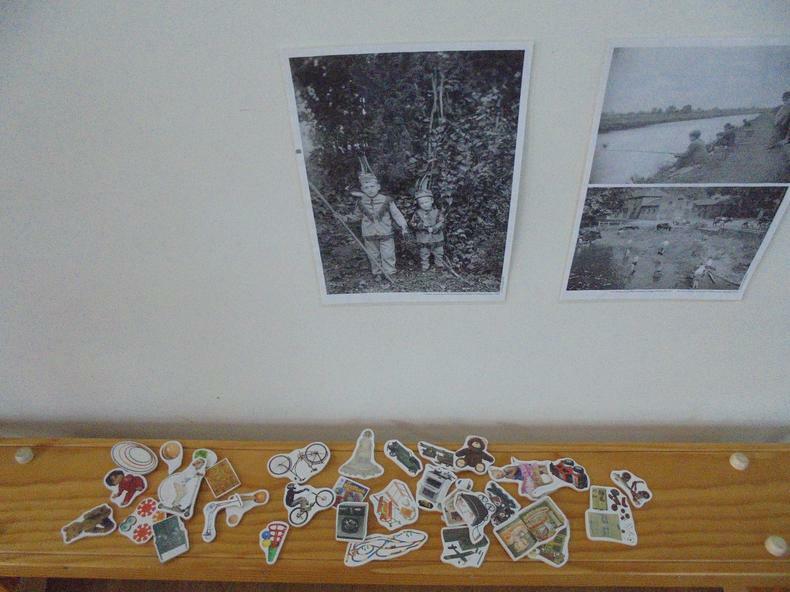 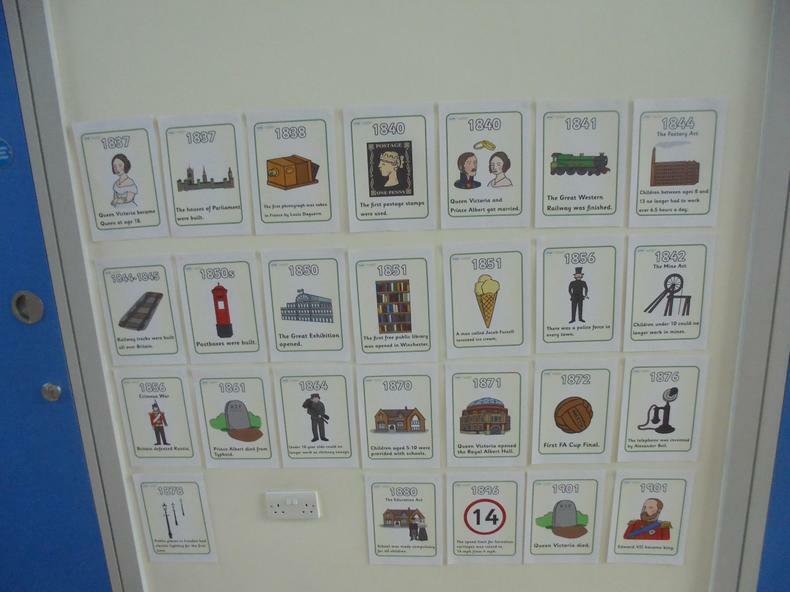 22.3.19 We have just started our next Talk for Writing unit which is non chronological reports. 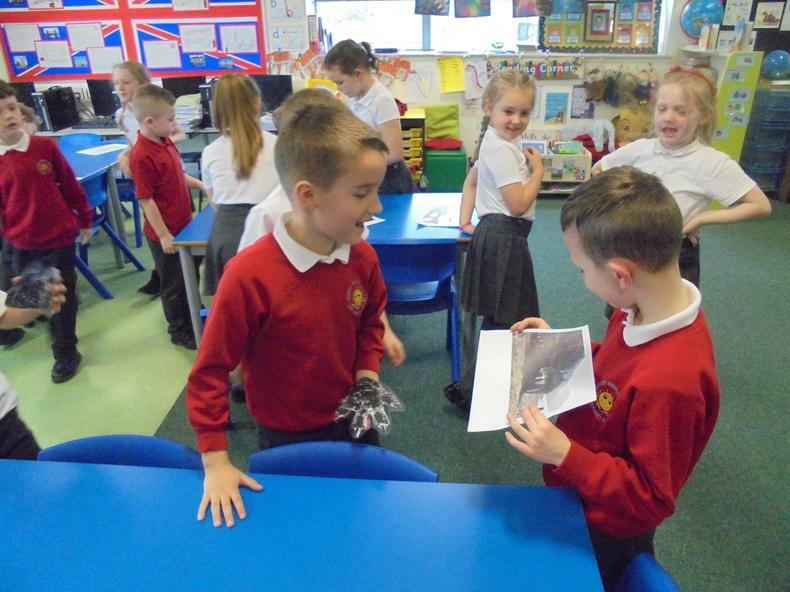 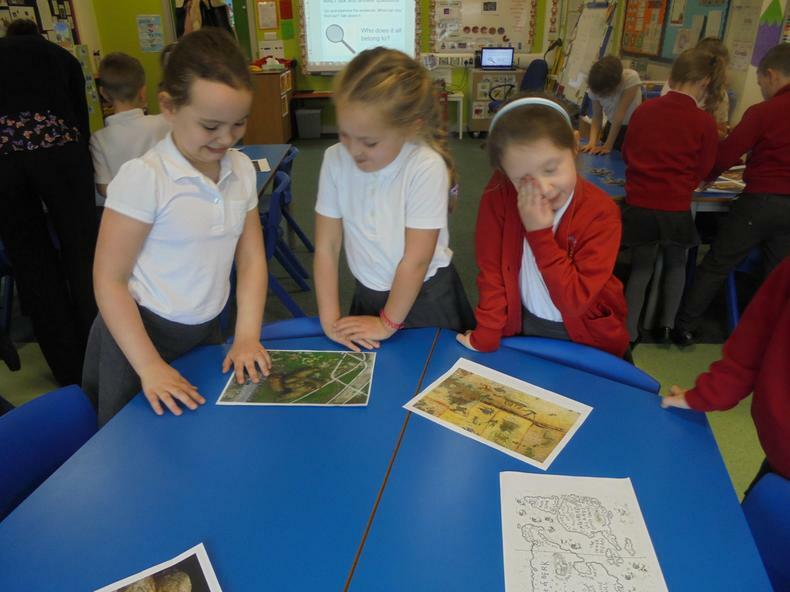 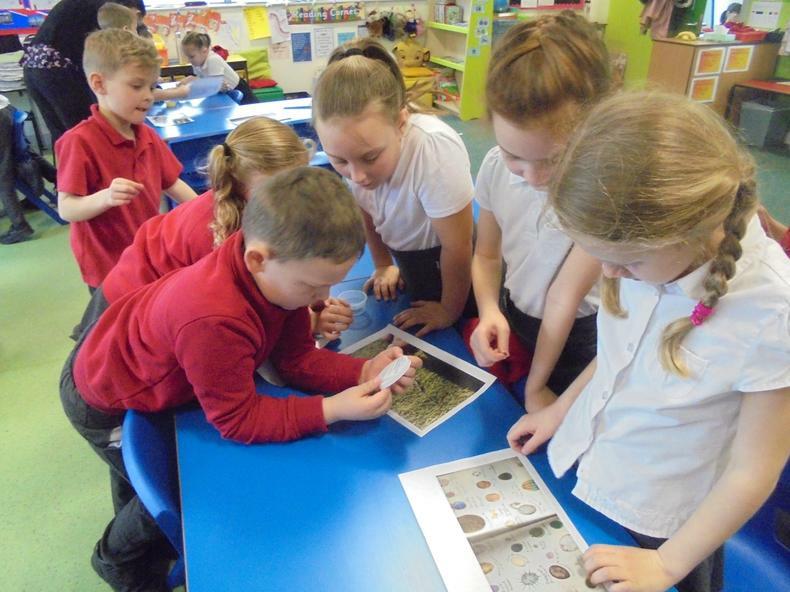 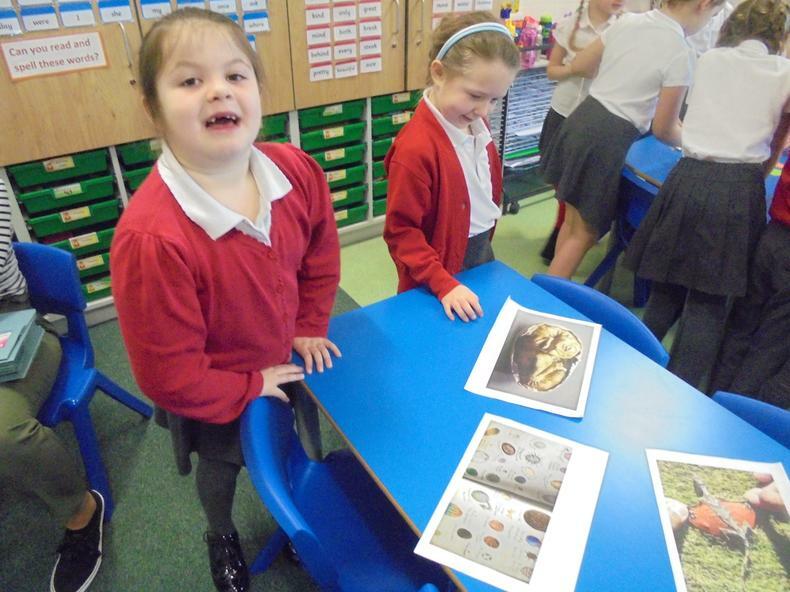 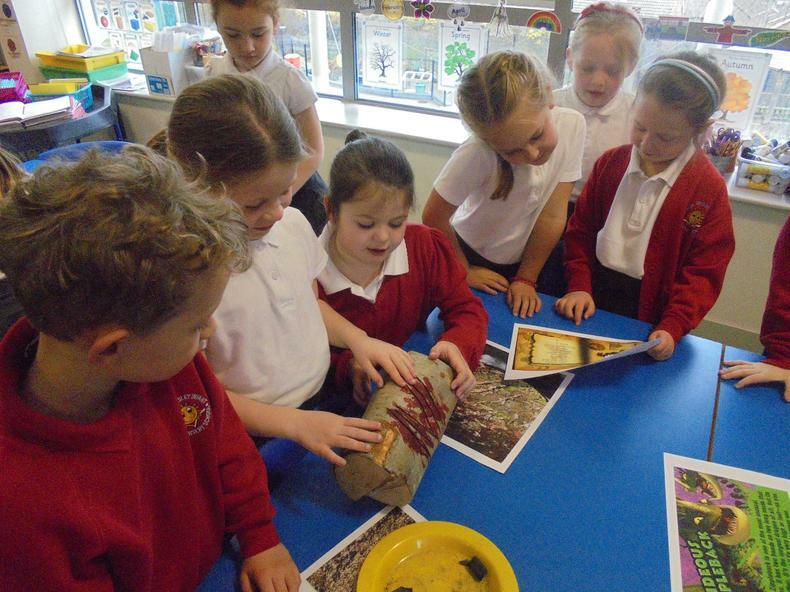 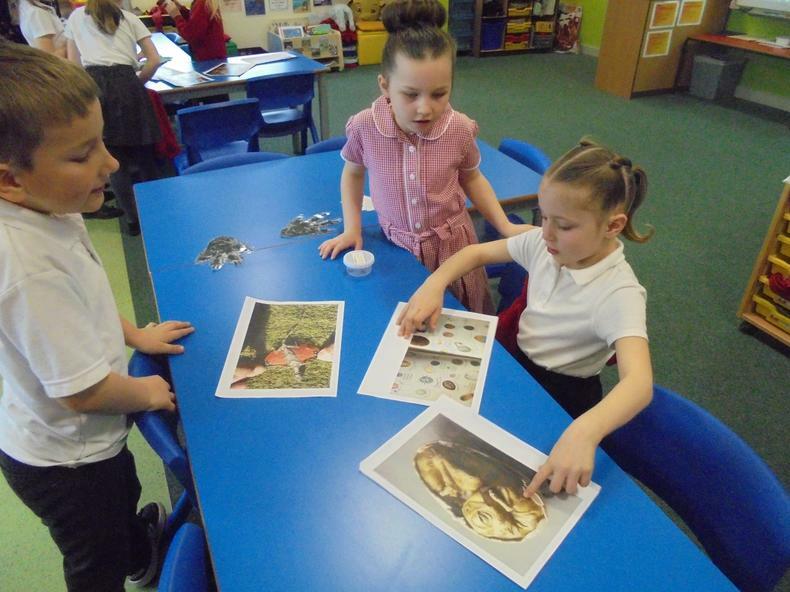 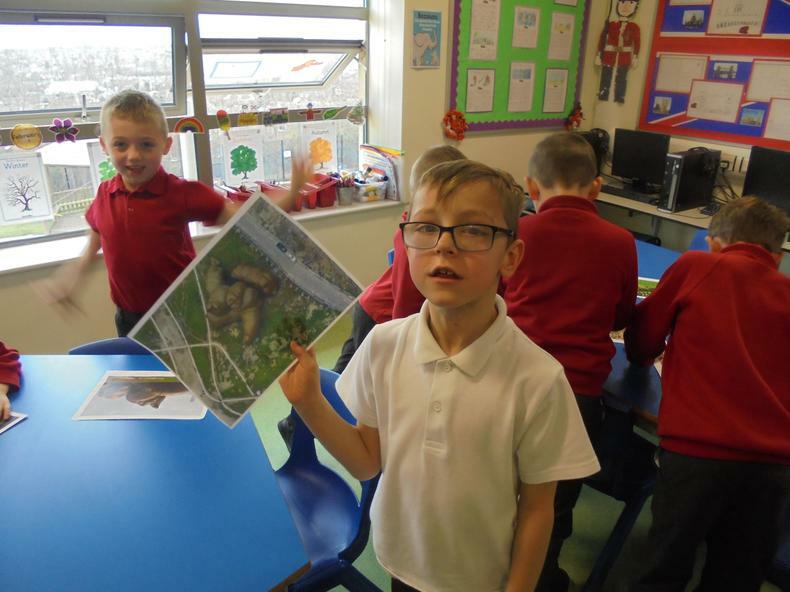 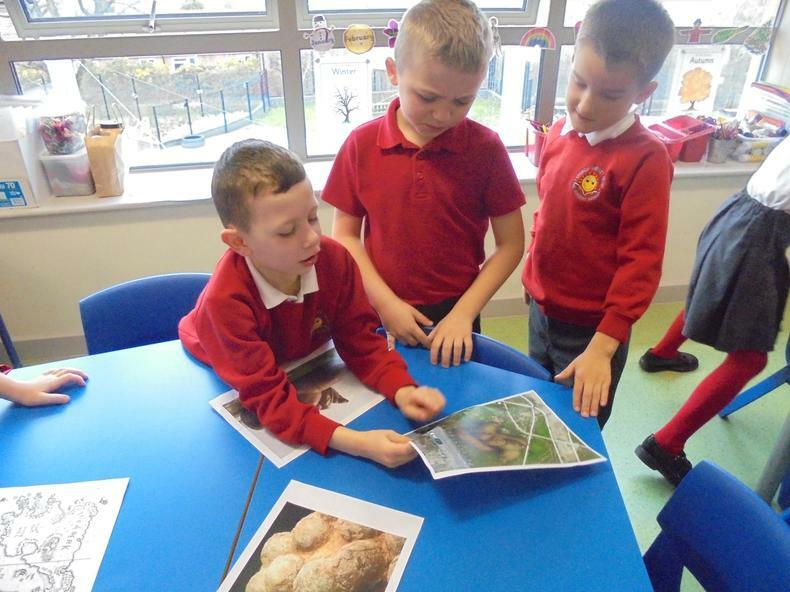 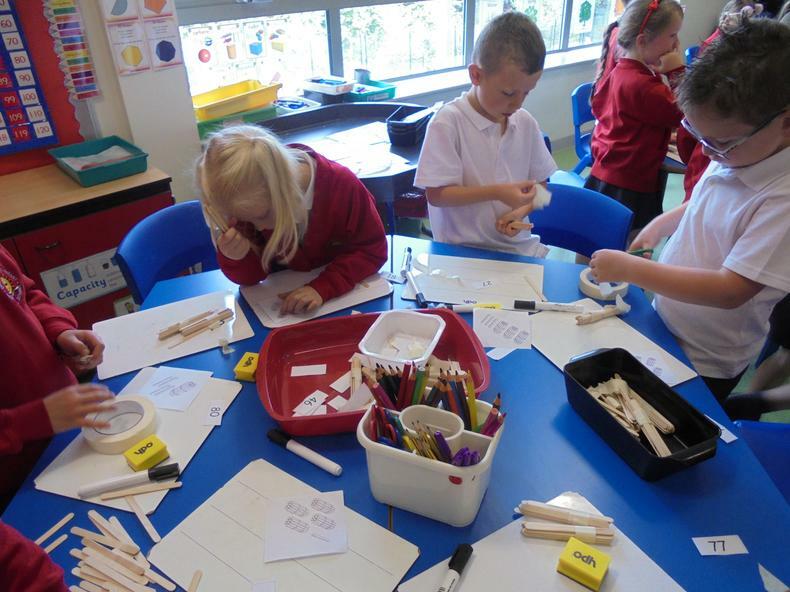 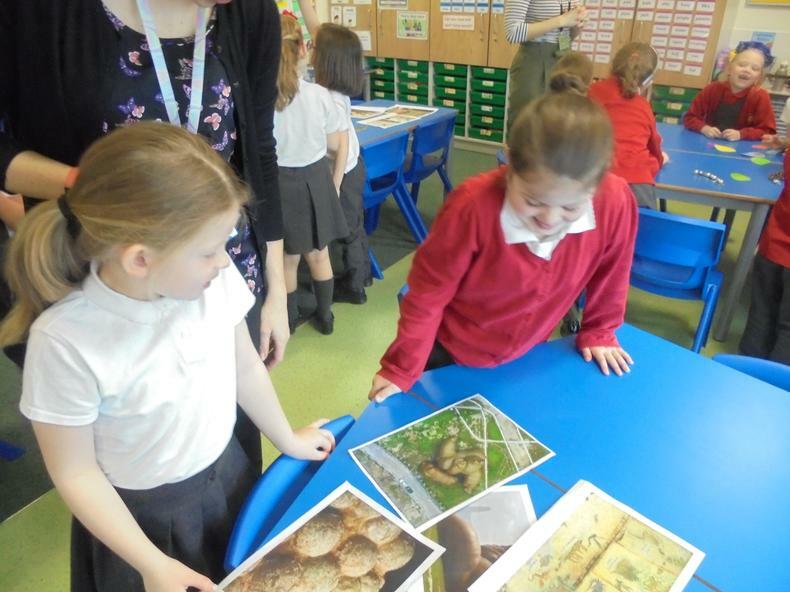 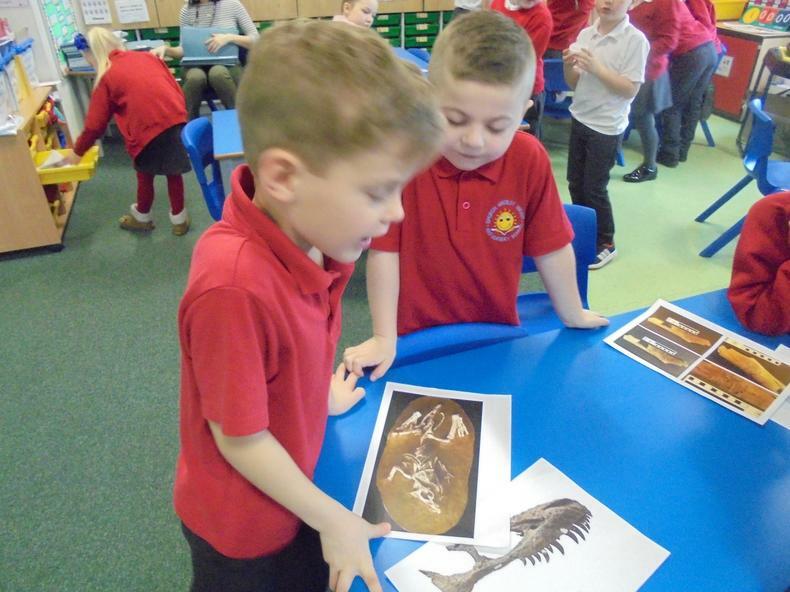 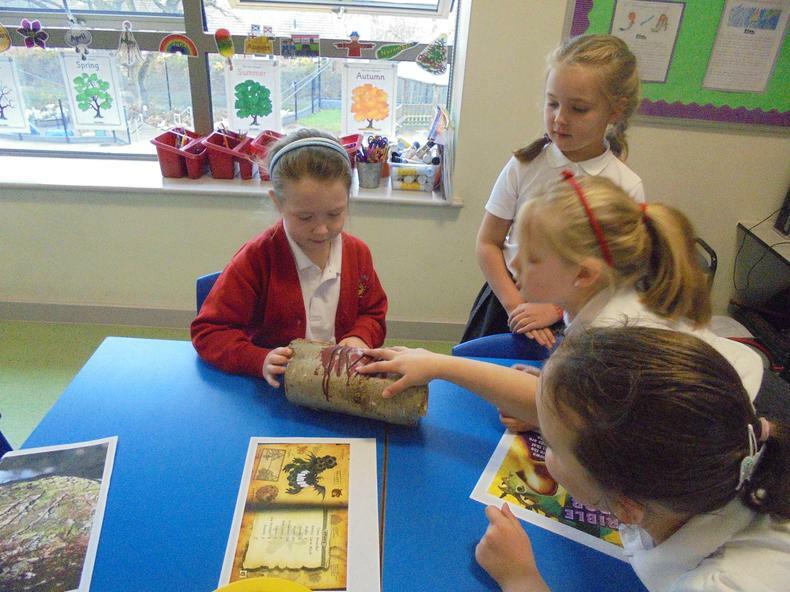 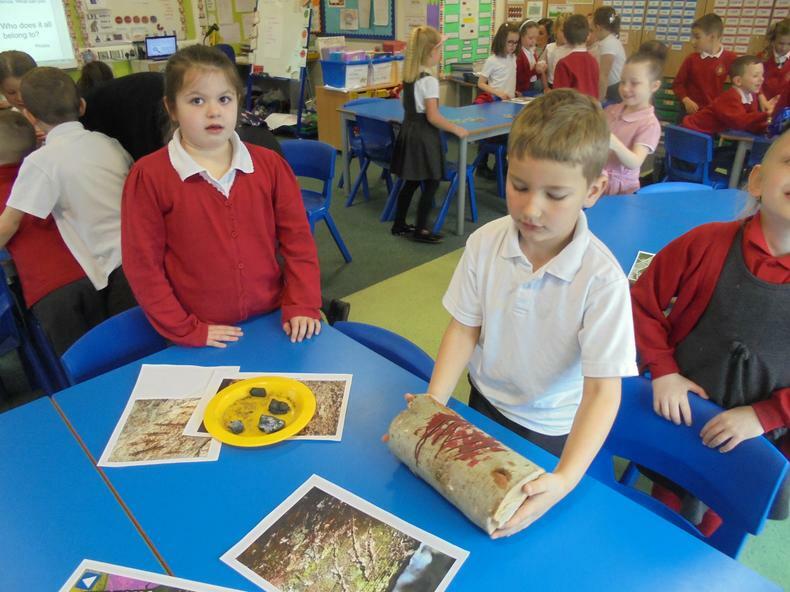 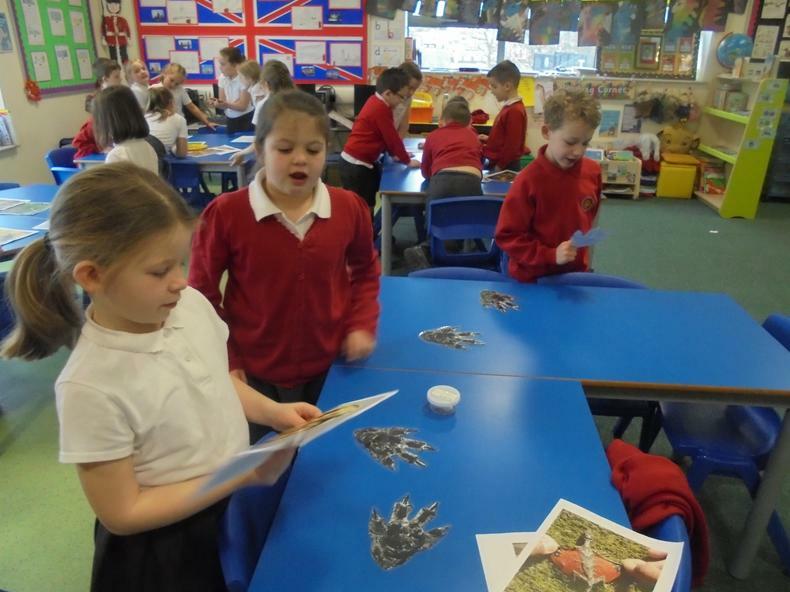 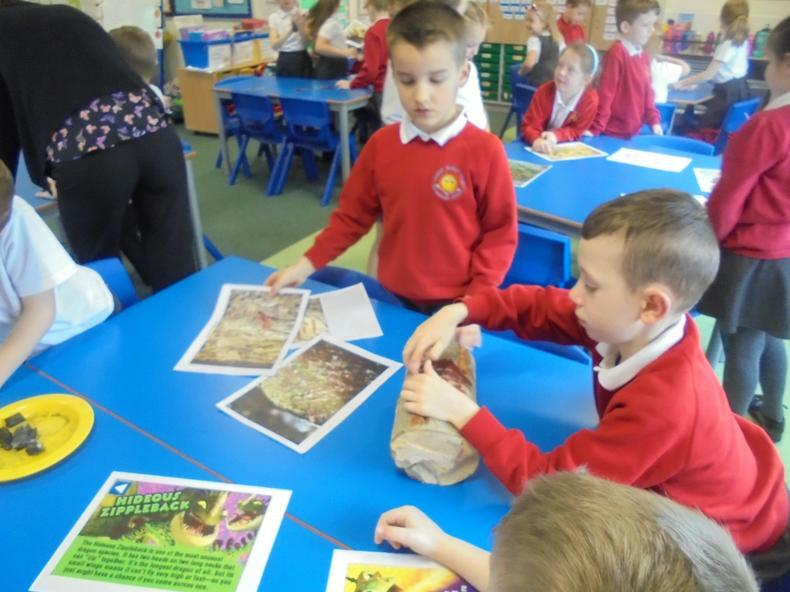 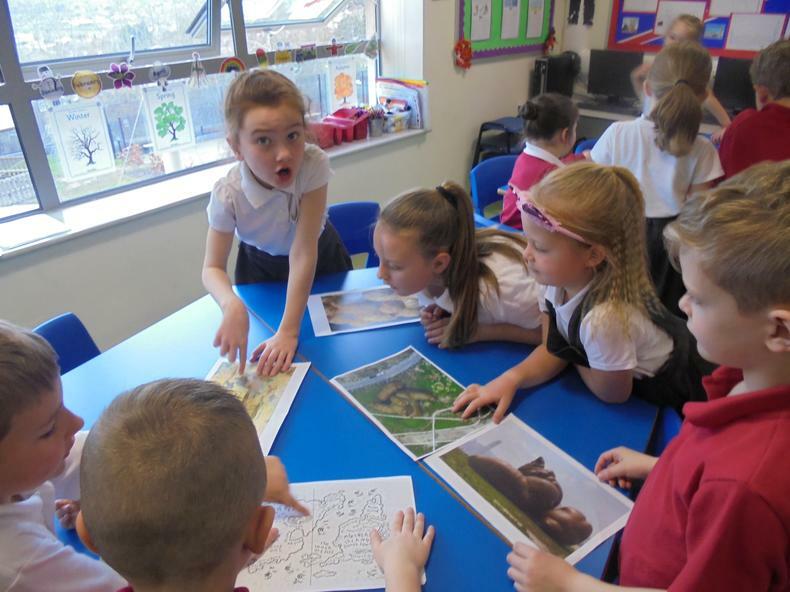 Today we had to examine lots of evidence to find out about dragons before we write a report about them next week.